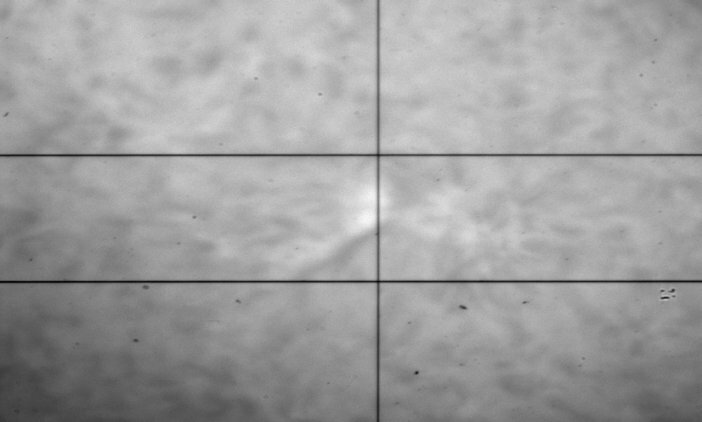 Made by Yu. 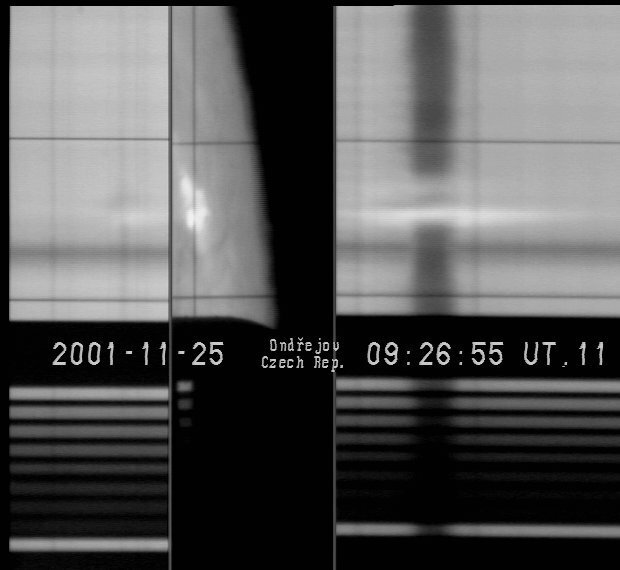 A. Kupryakov, P. Kotrč, L.K. 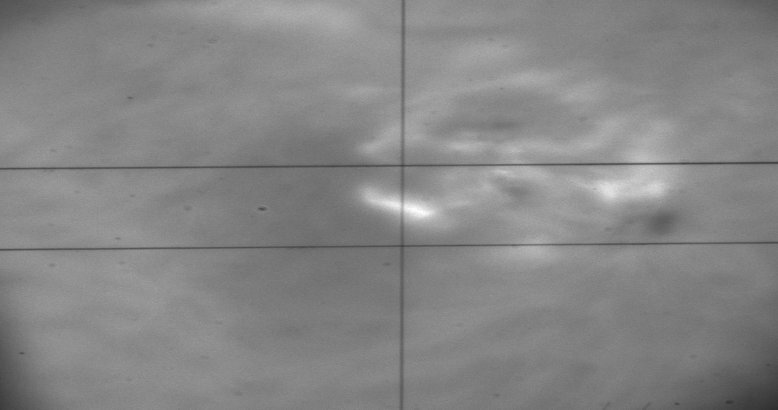 Kashapova in 2009-2017. 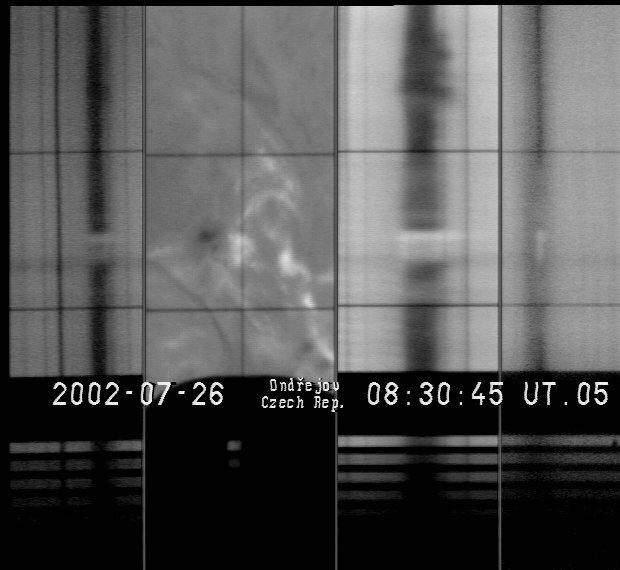 Kotrč P., Kashapova L. K. and Kupryakov Yu. 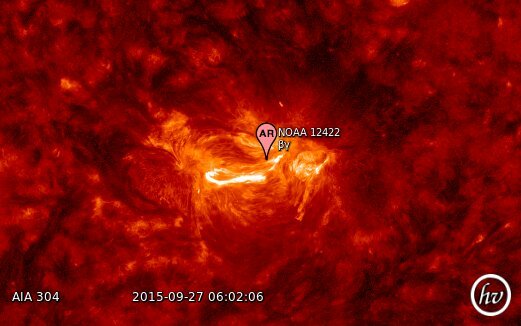 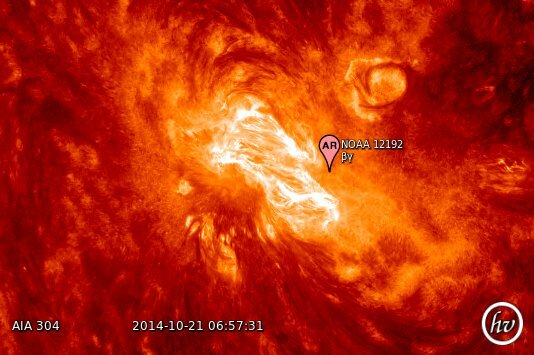 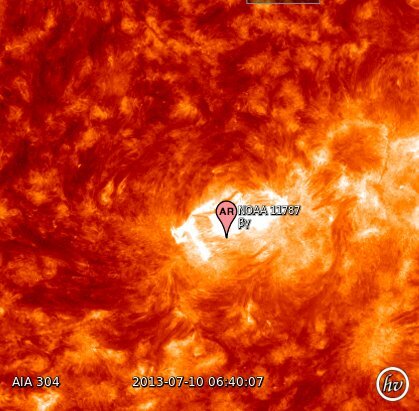 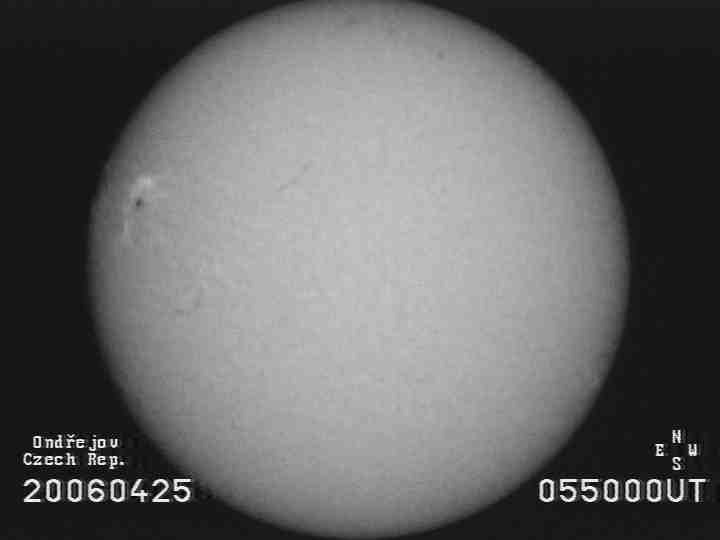 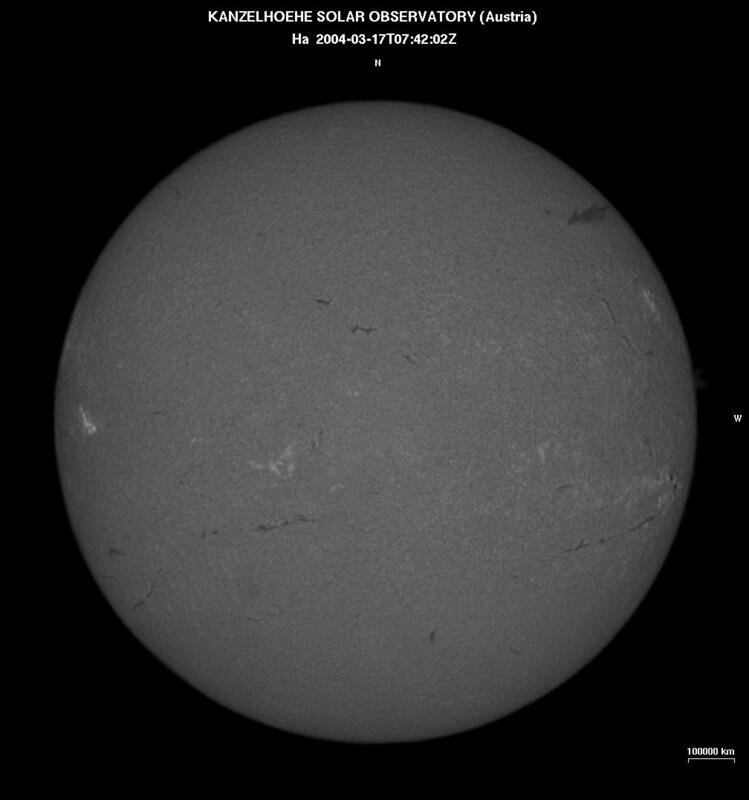 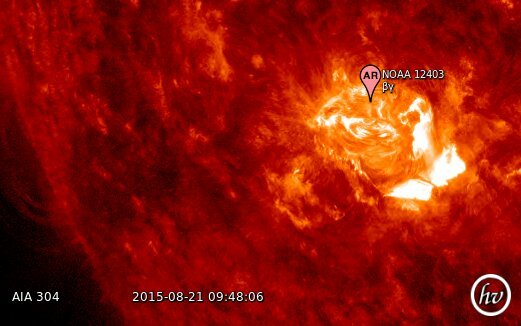 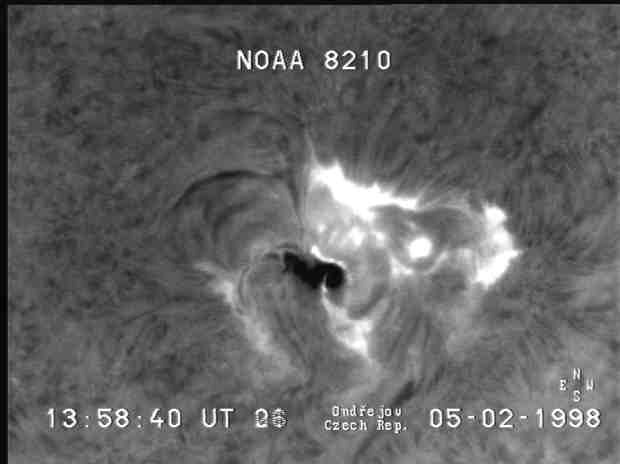 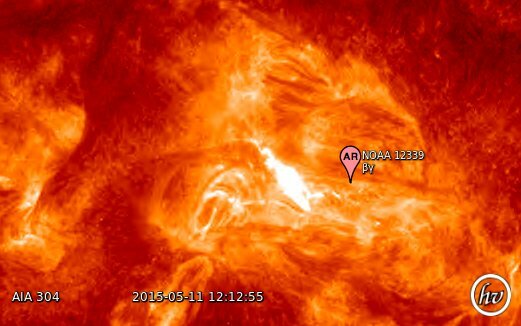 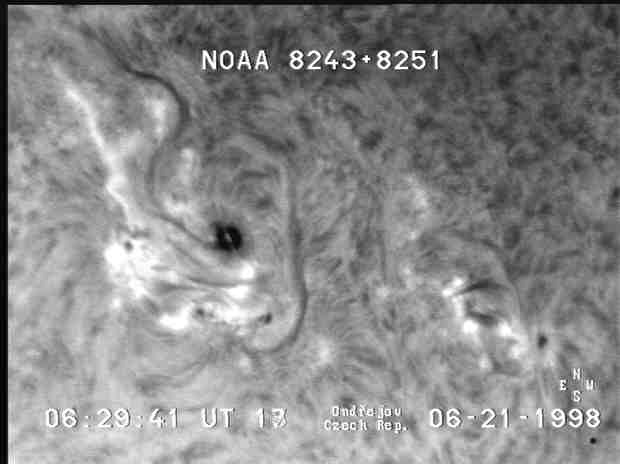 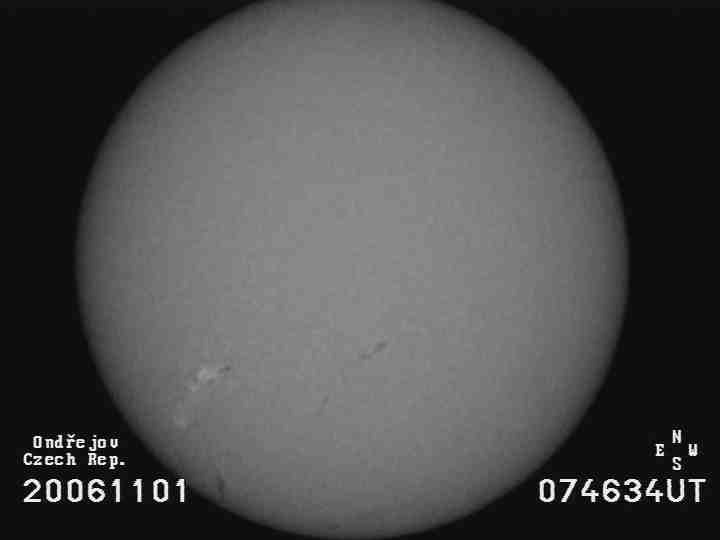 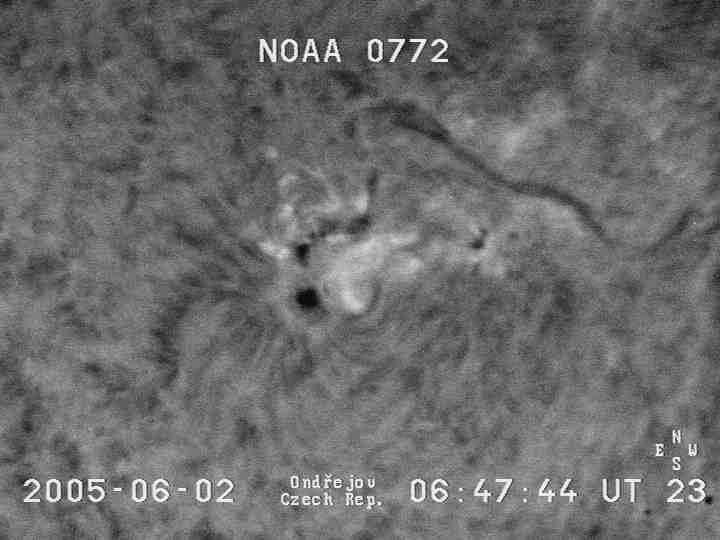 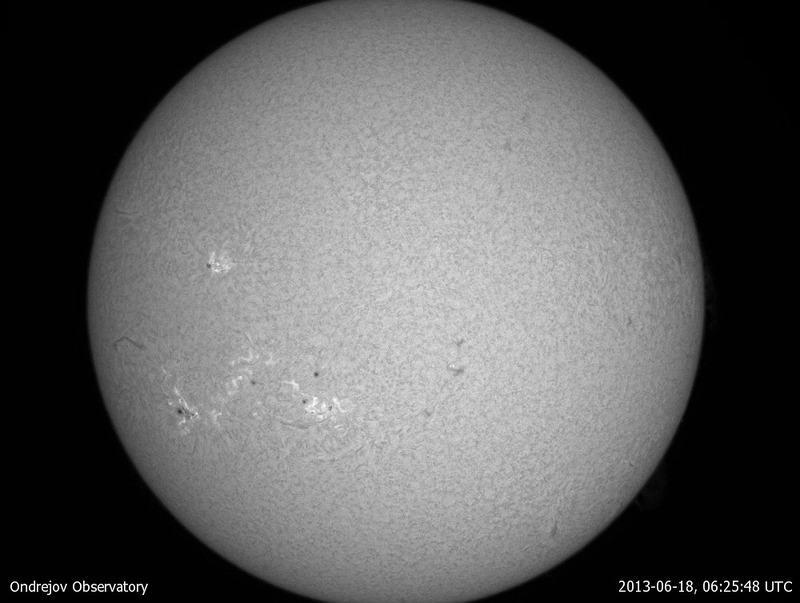 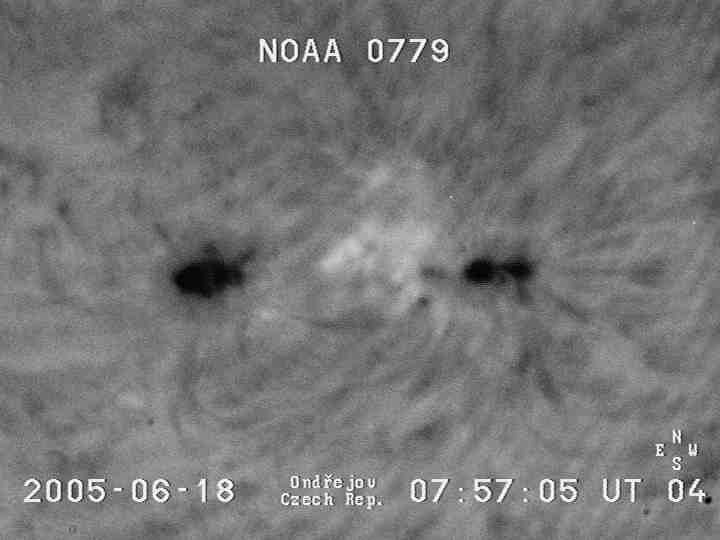 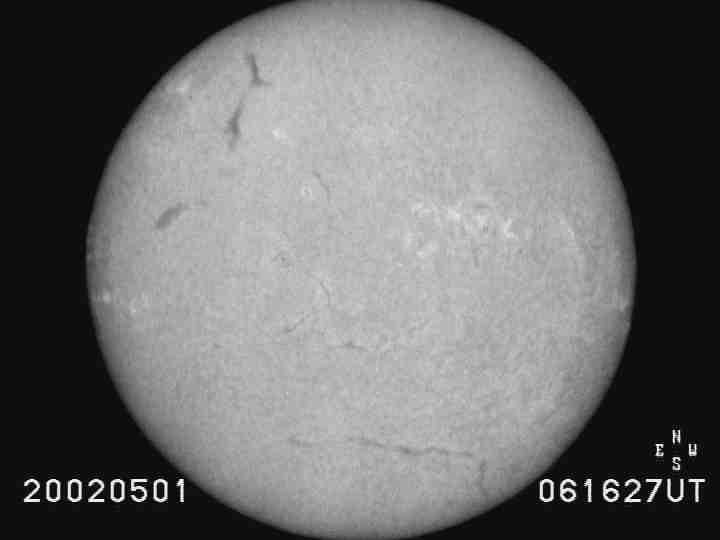 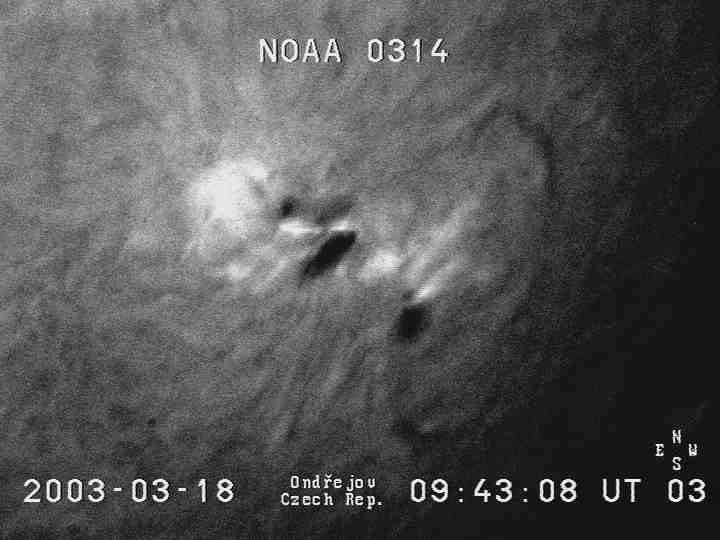 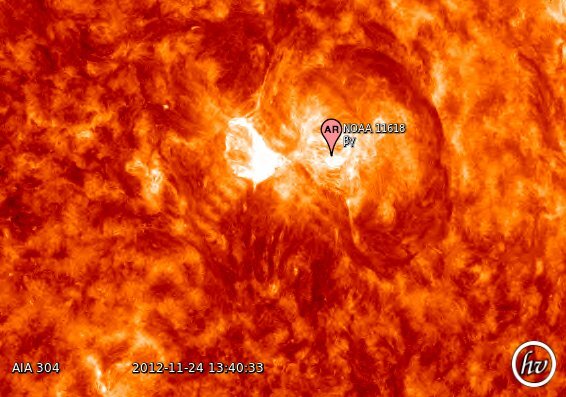 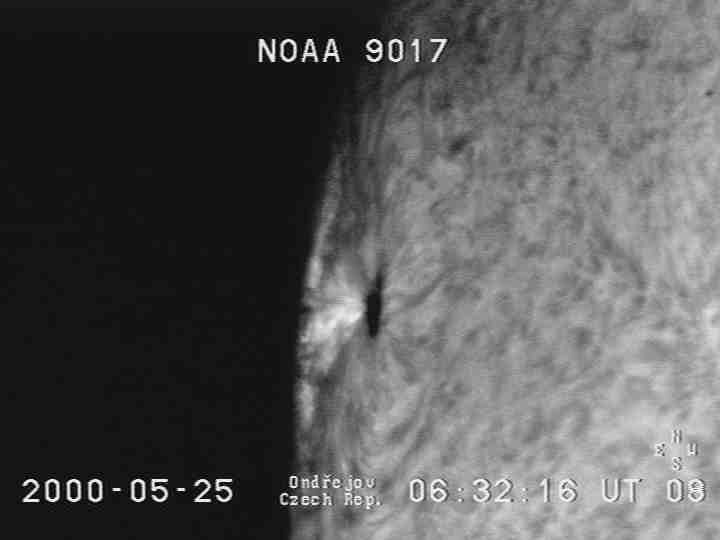 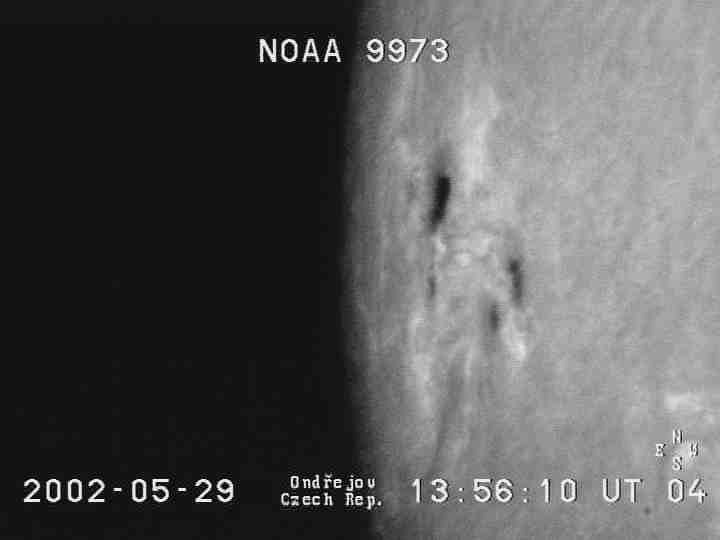 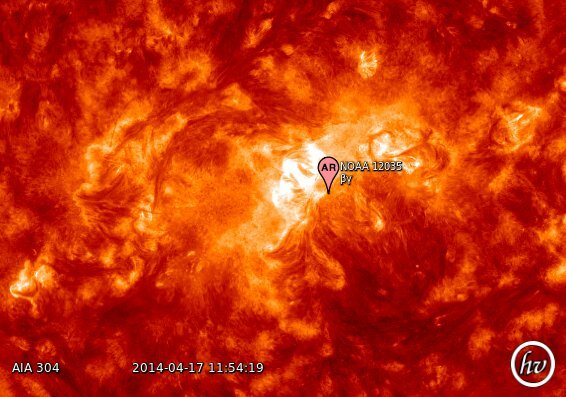 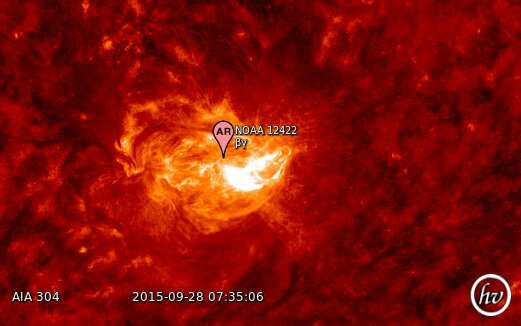 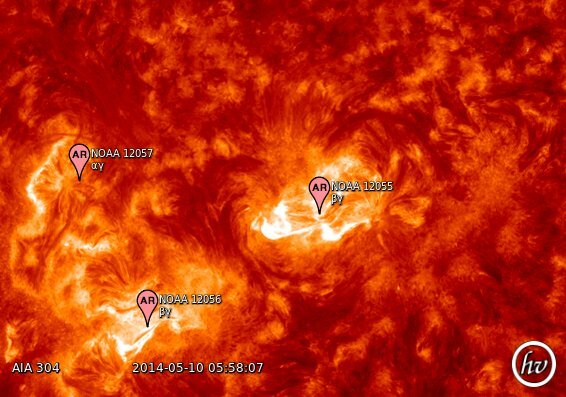 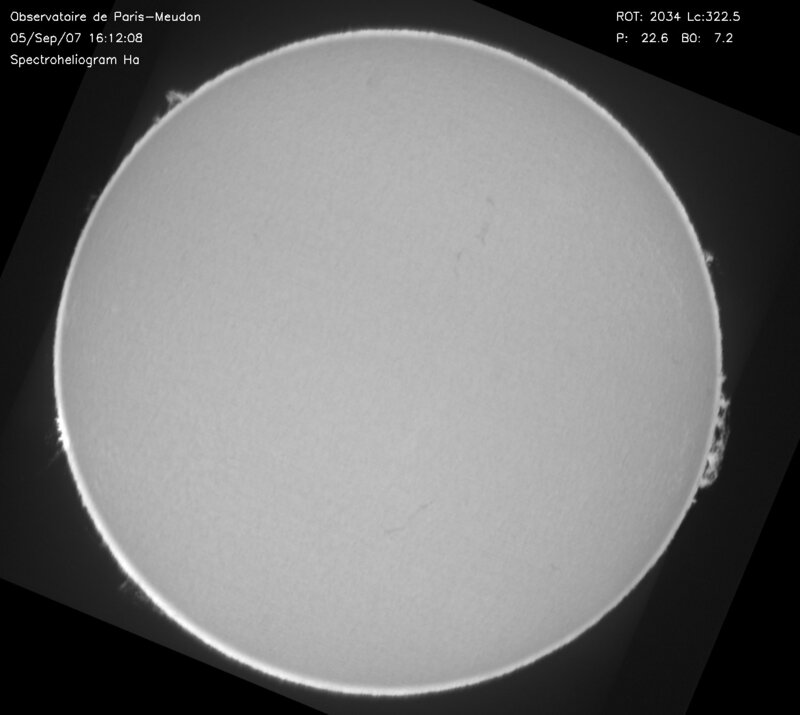 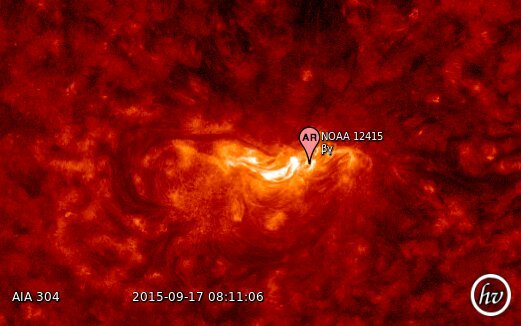 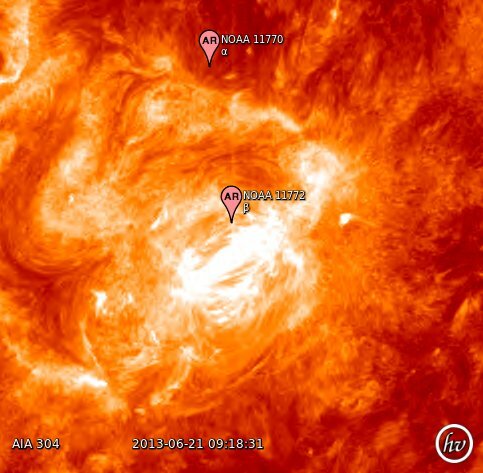 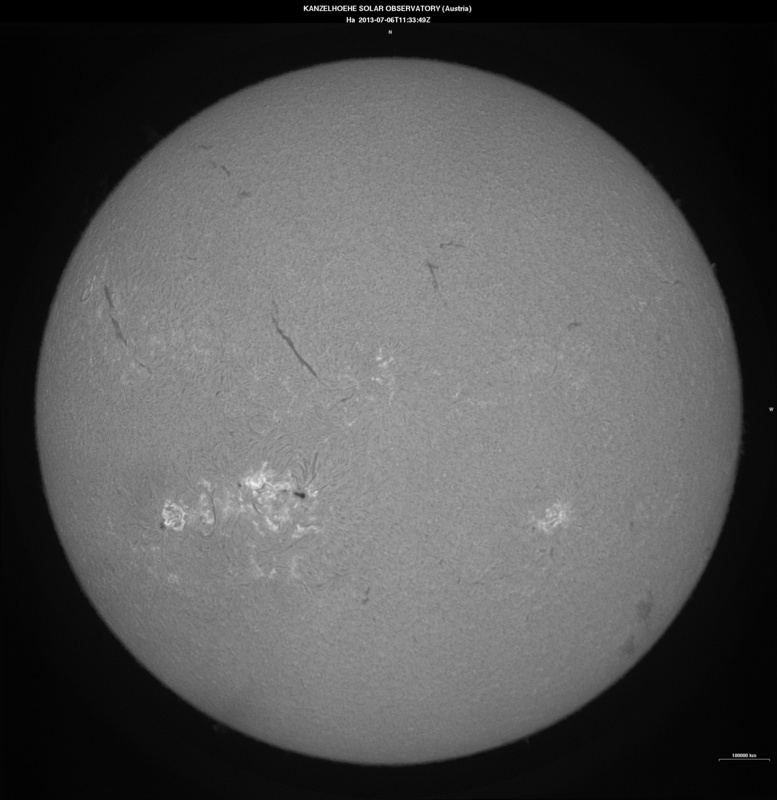 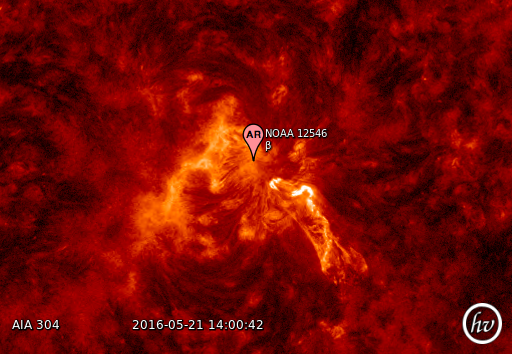 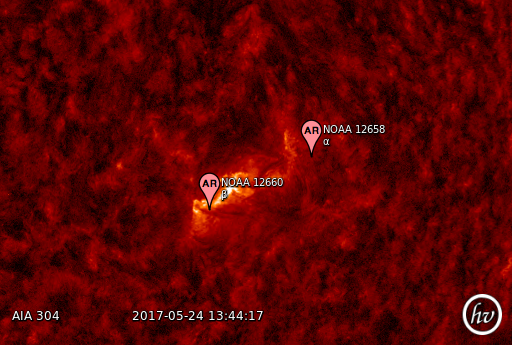 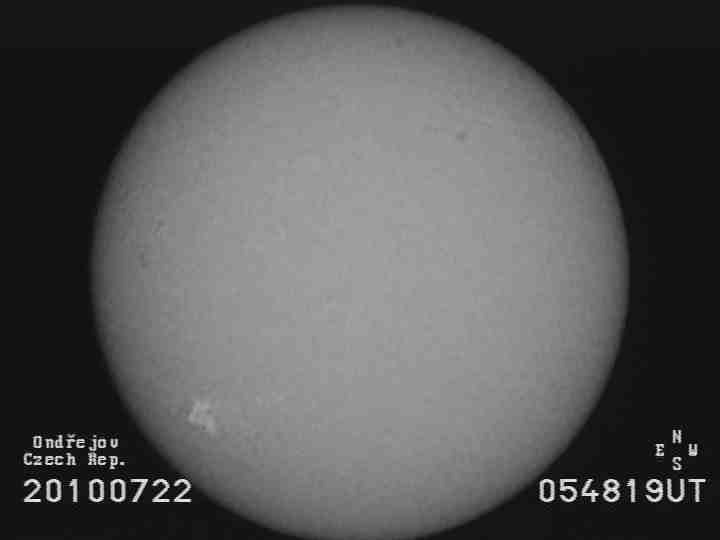 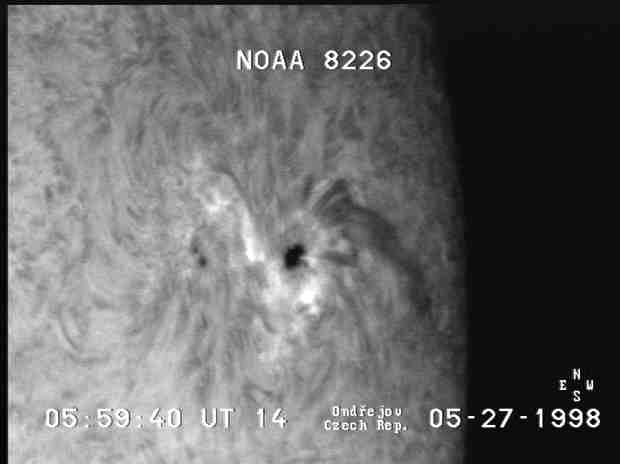 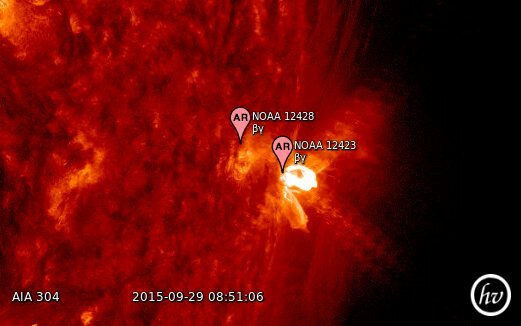 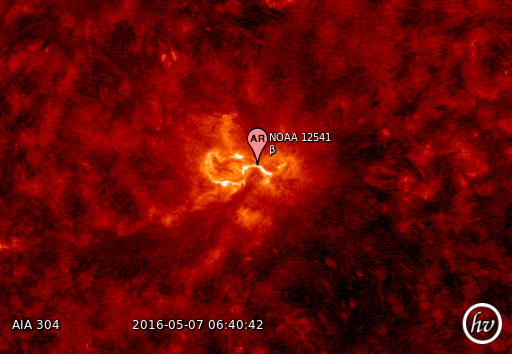 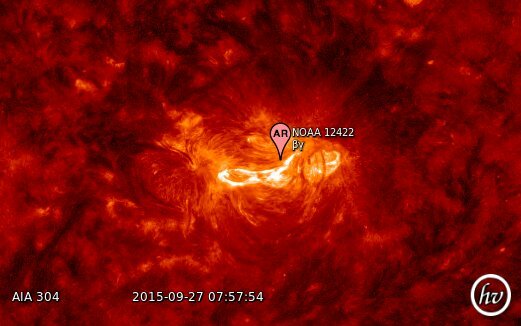 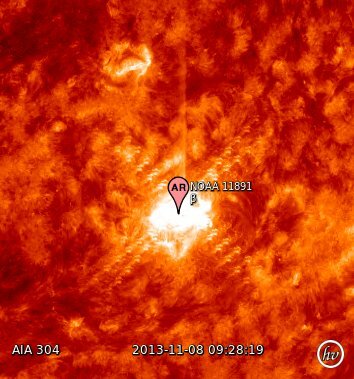 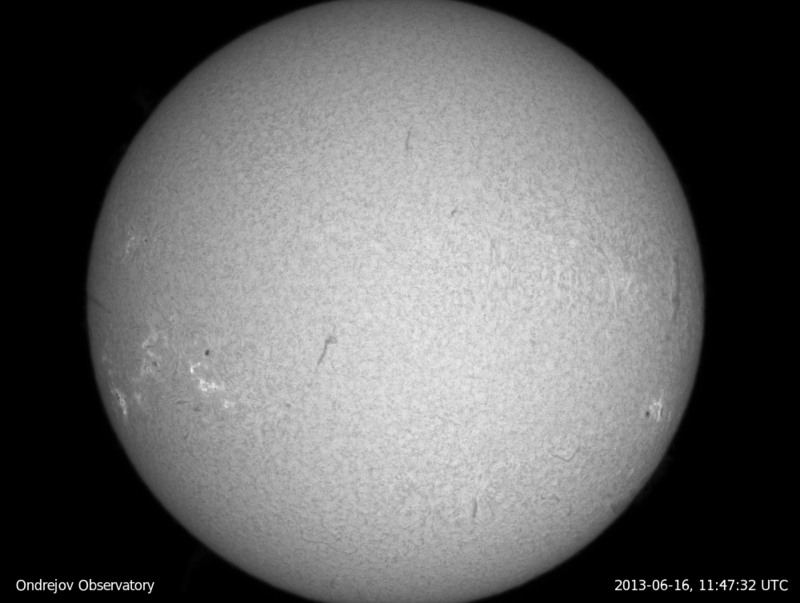 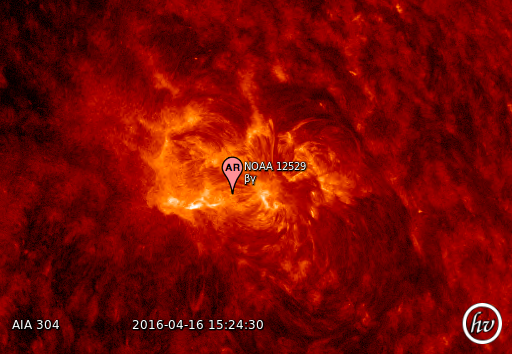 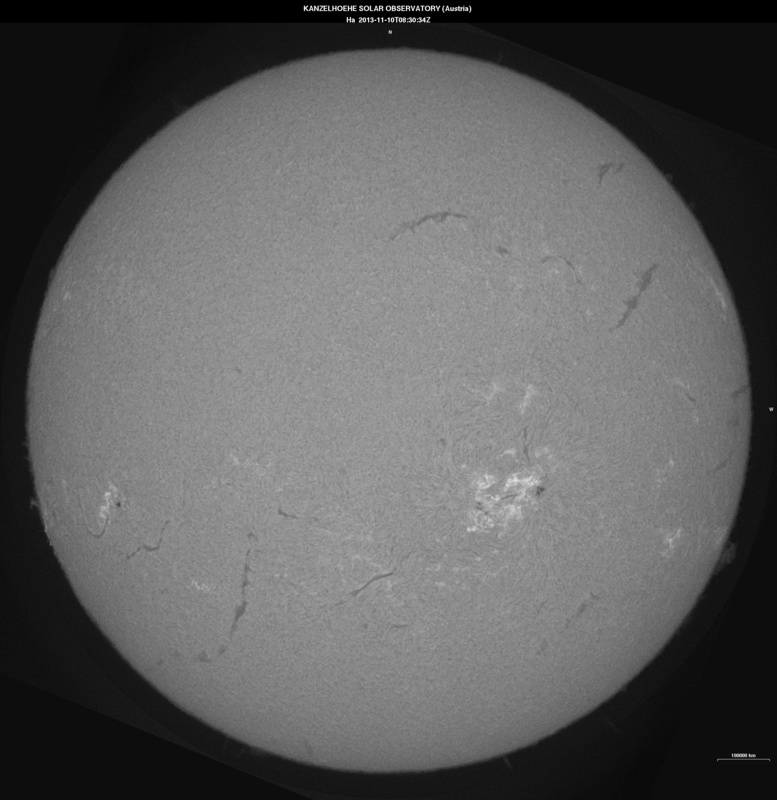 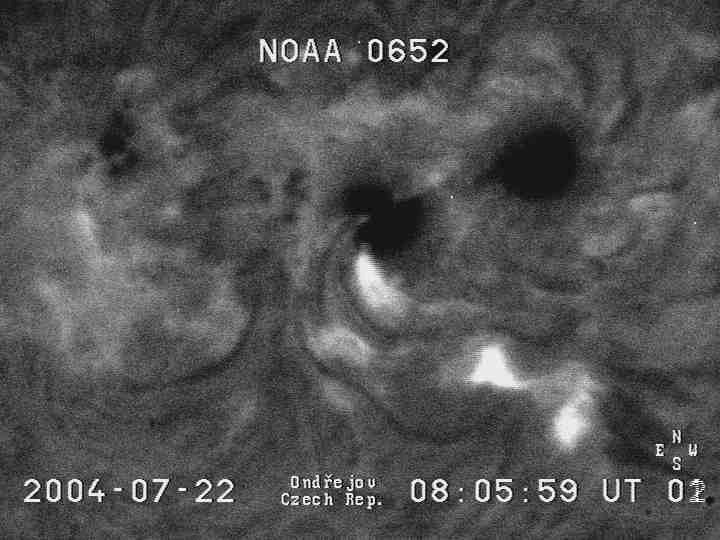 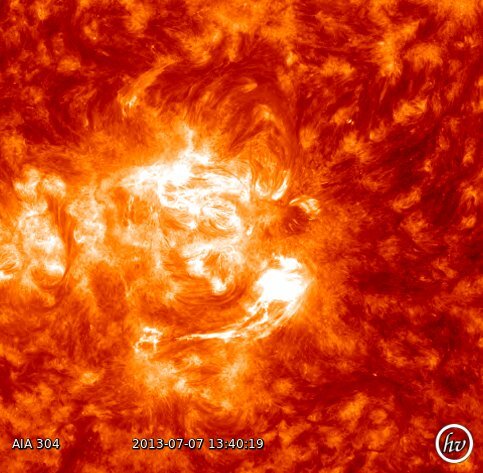 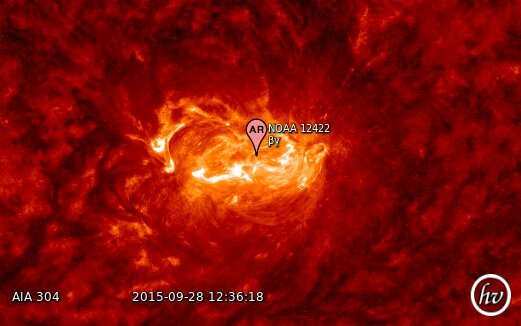 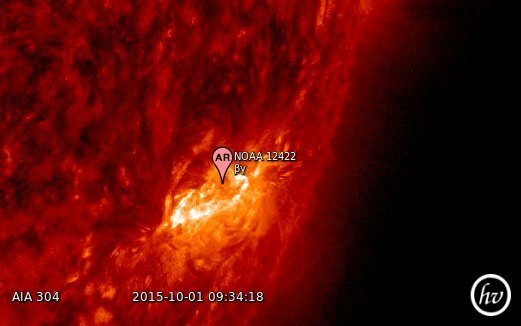 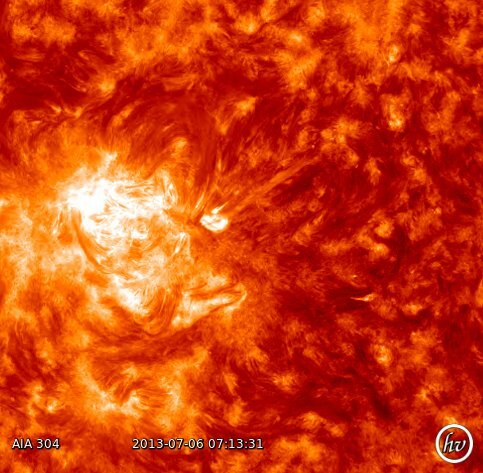 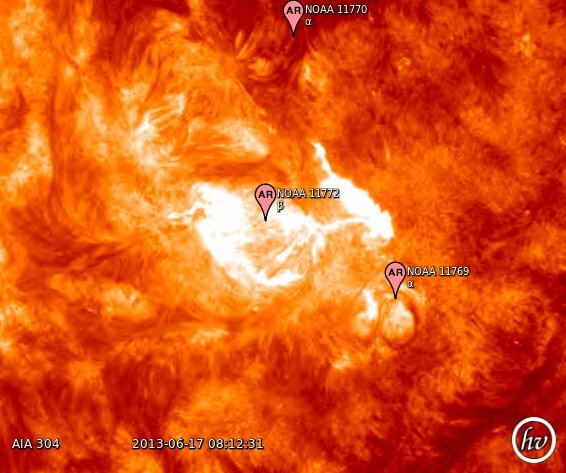 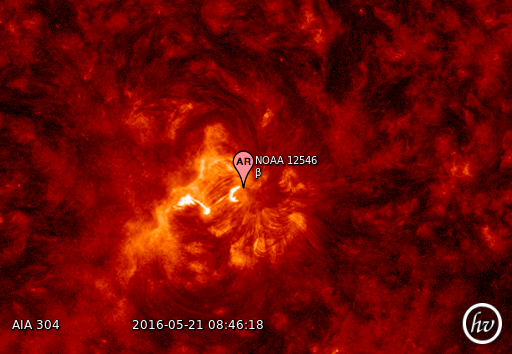 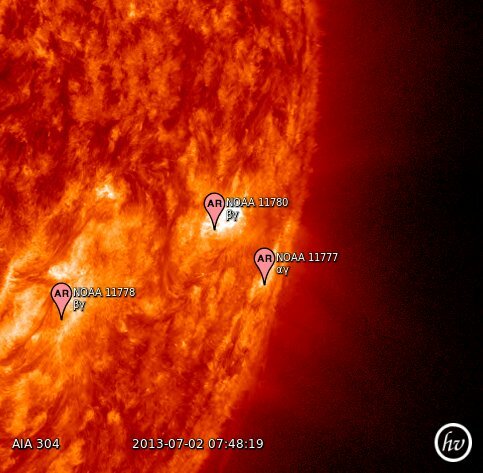 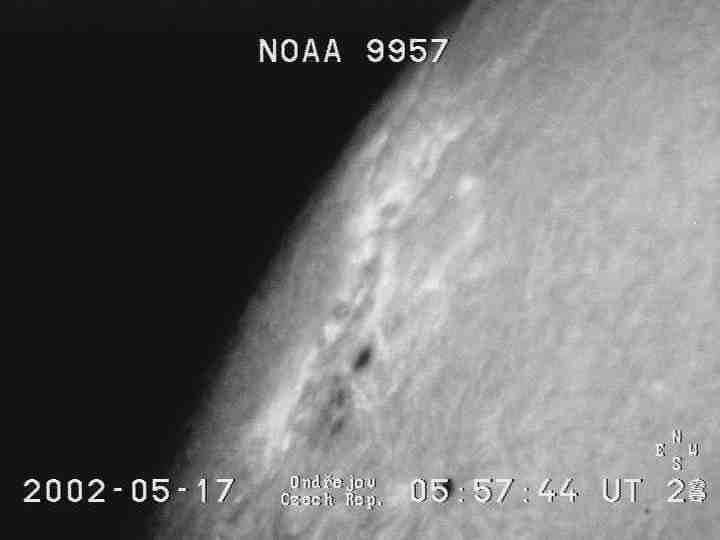 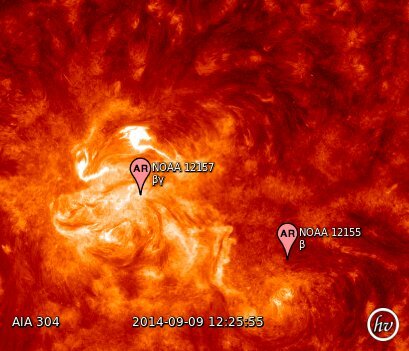 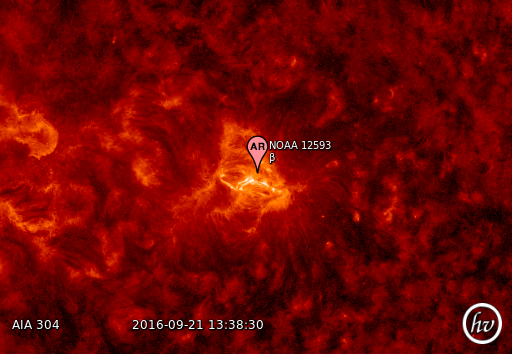 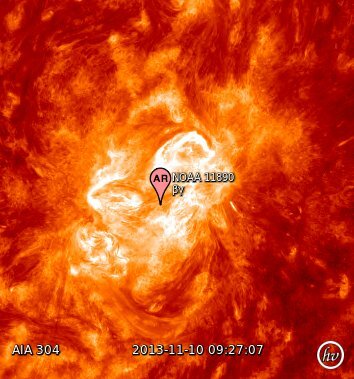 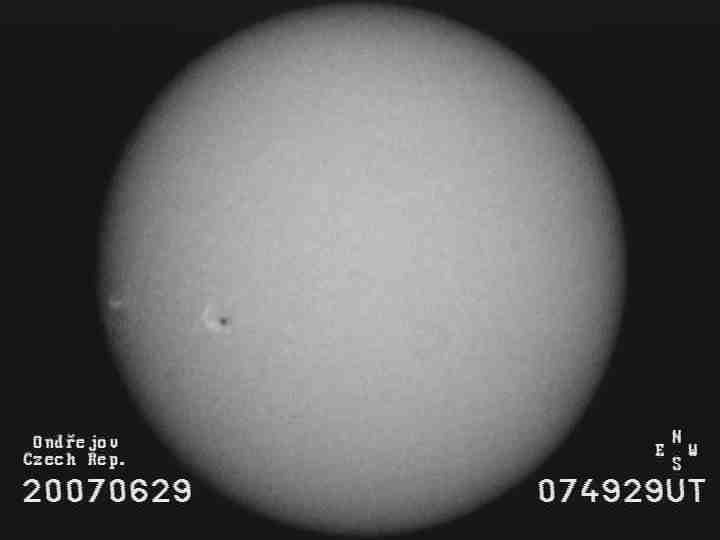 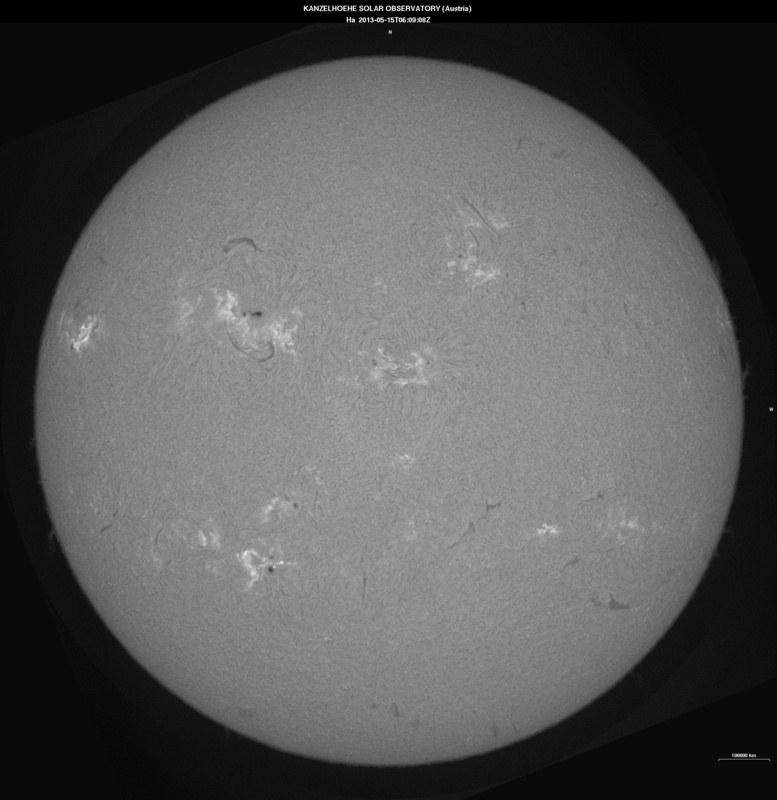 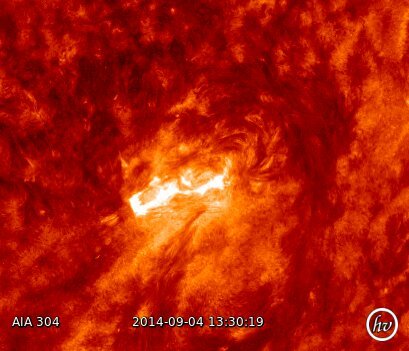 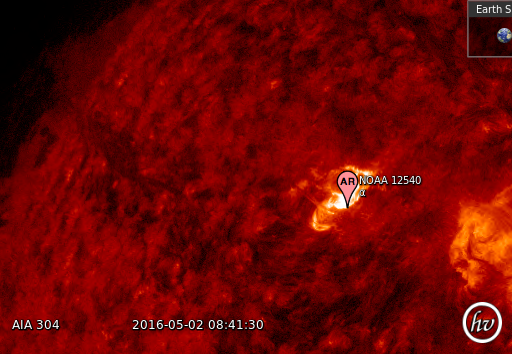 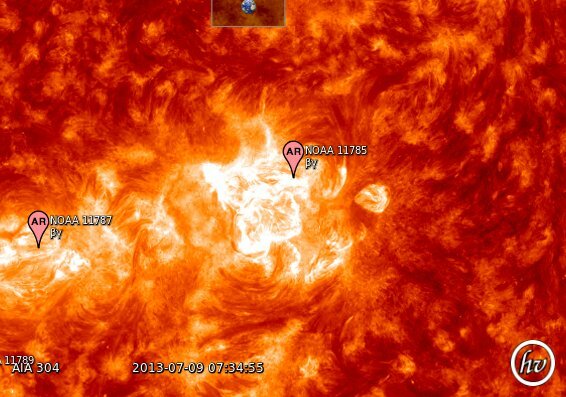 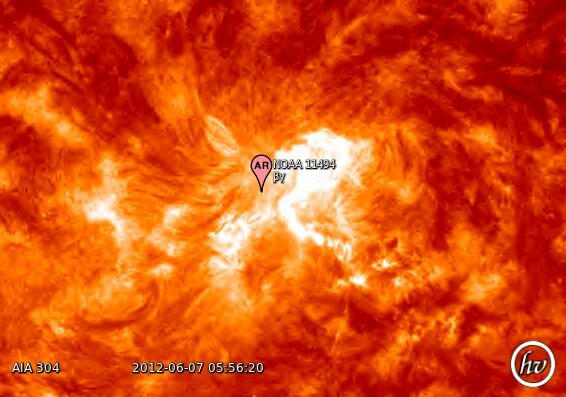 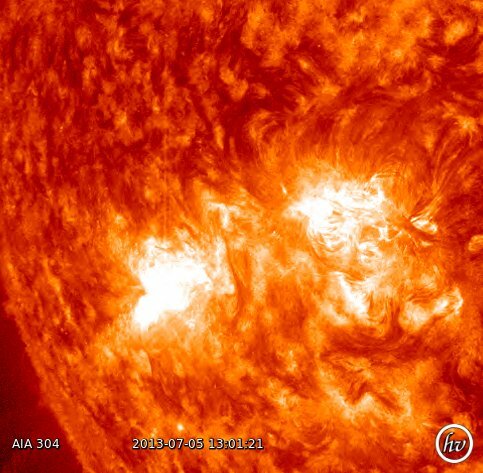 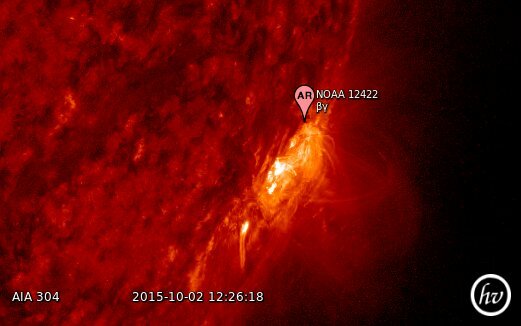 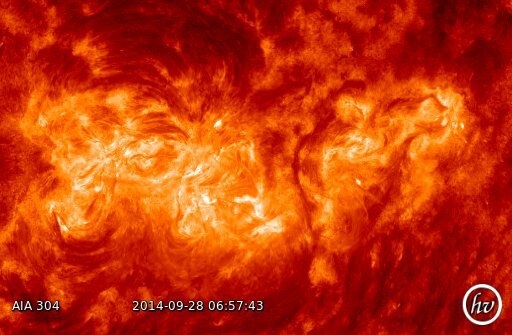 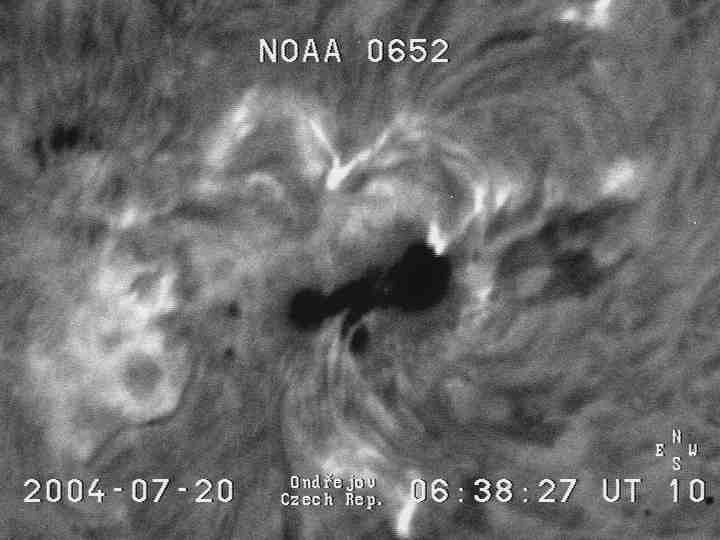 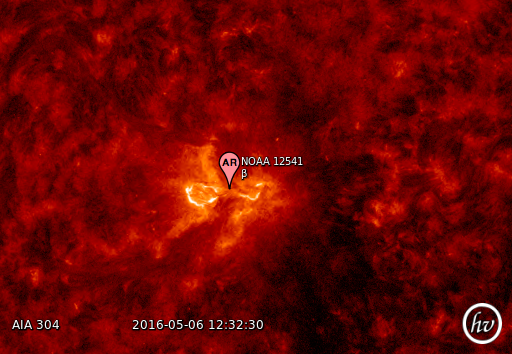 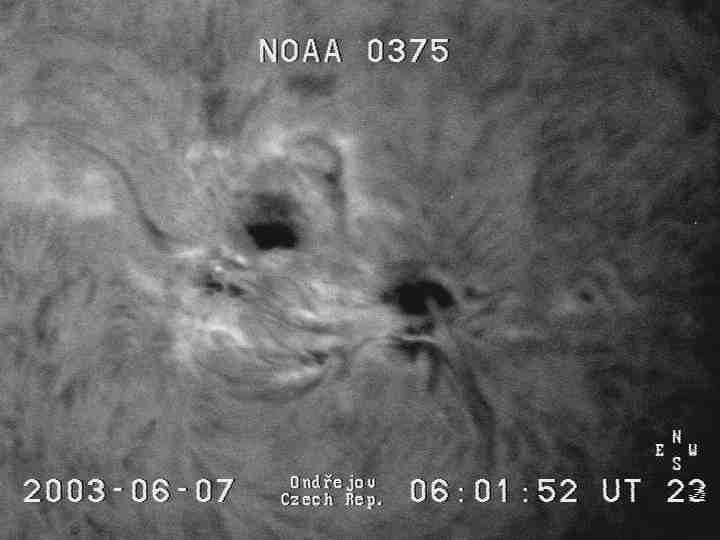 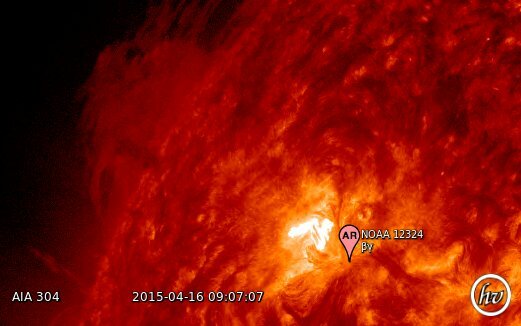 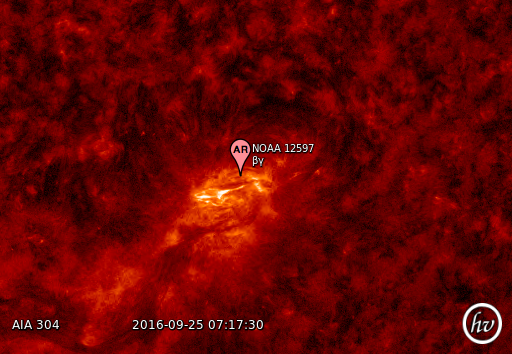 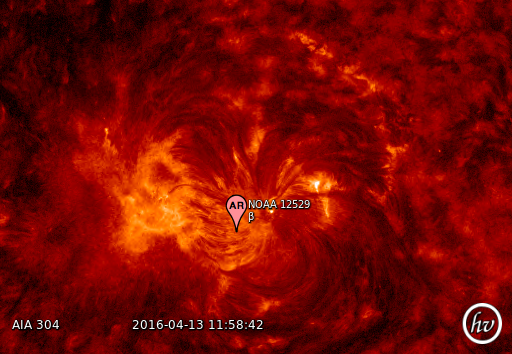 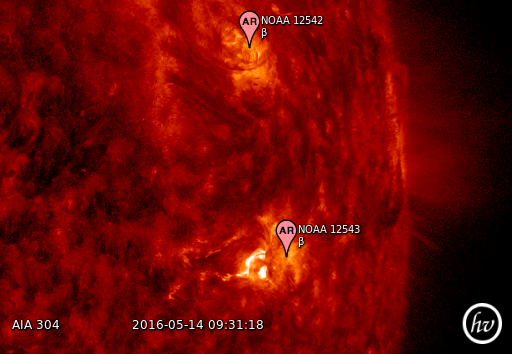 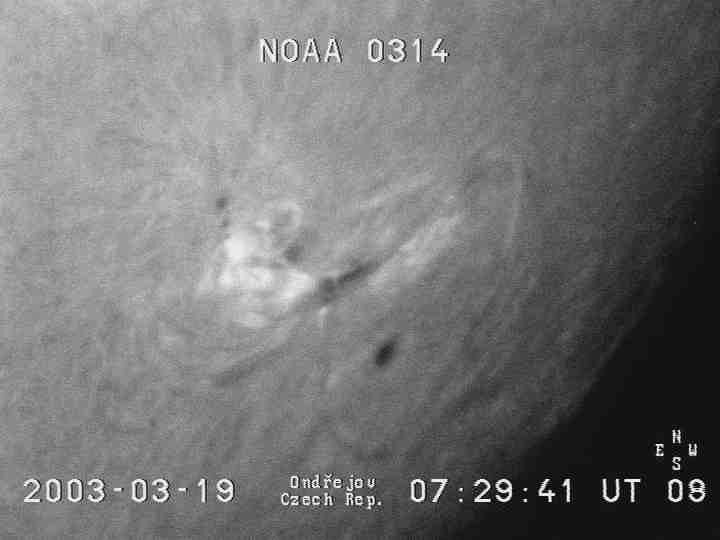 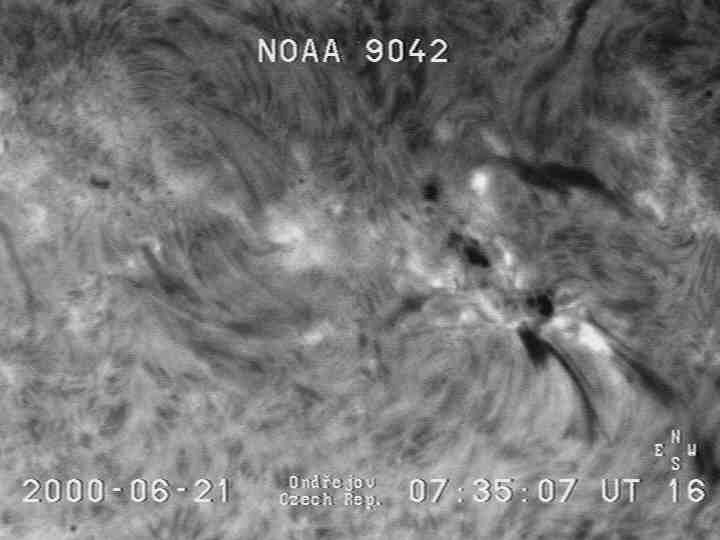 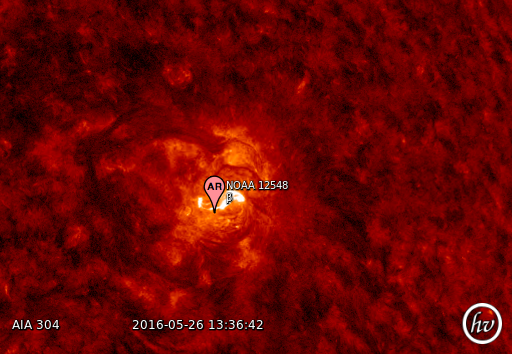 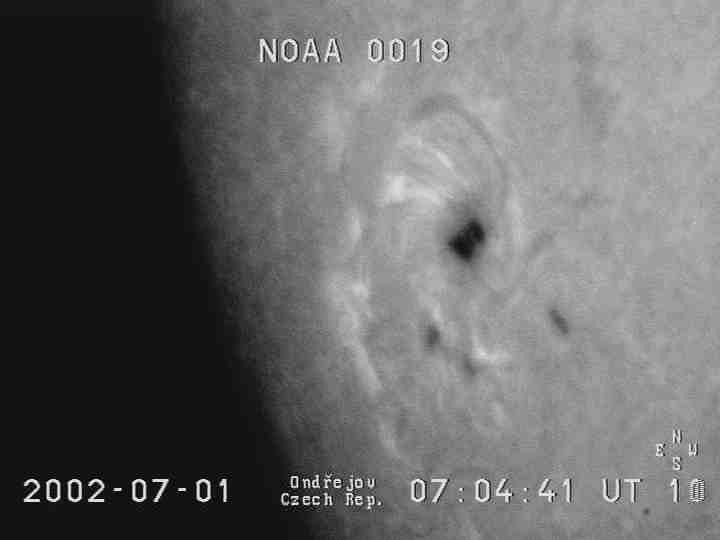 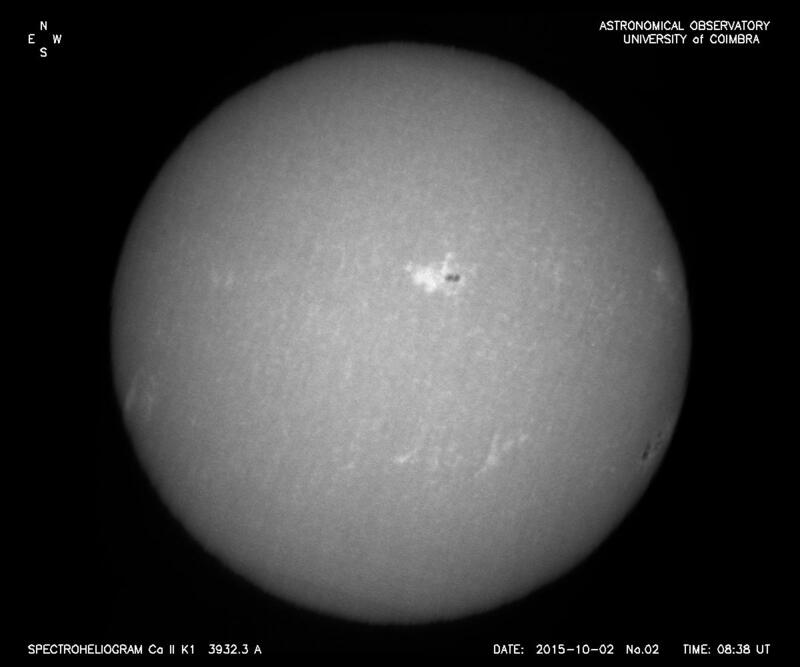 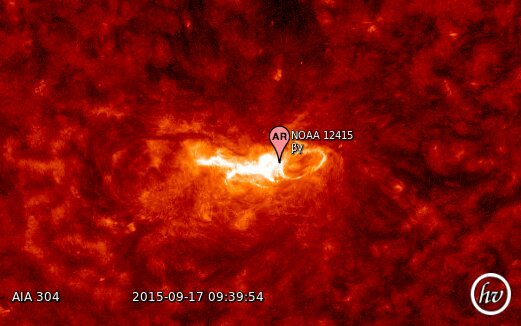 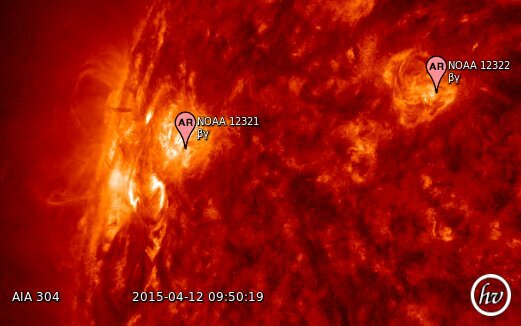 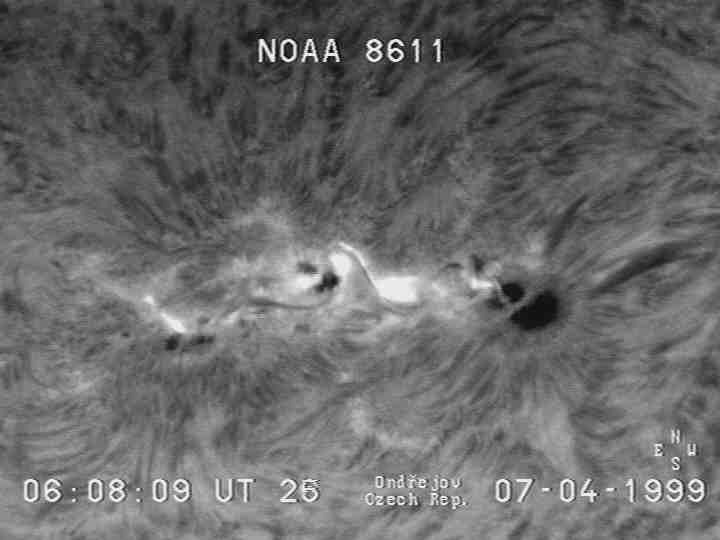 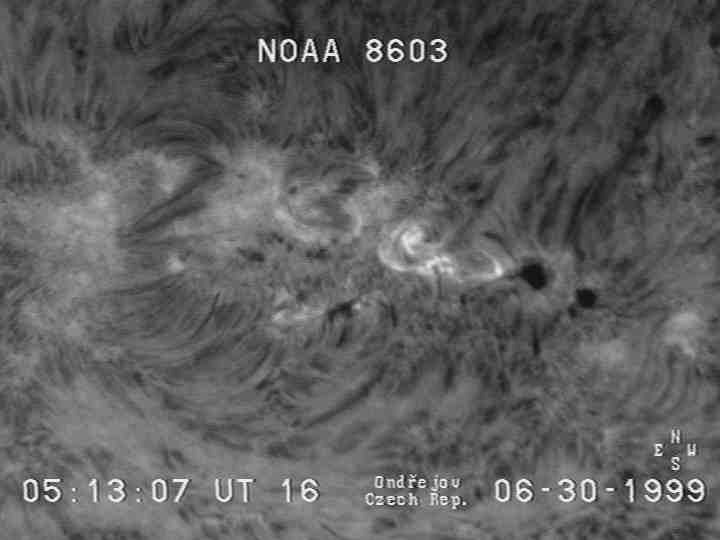 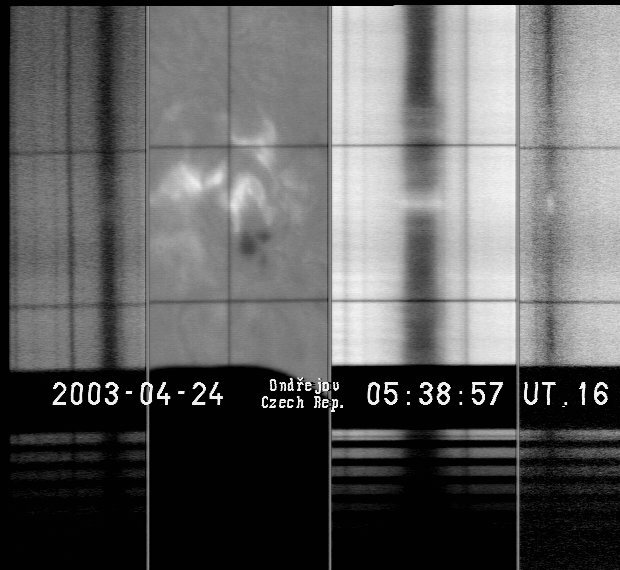 A.: 2004; On the presence of linear polarization in the flare on 26 June, 1999; Proceedings IAU, 223 Symposium Multi-Wavelength Investigations of Solar Activity, Cambridge University Press, Eds. 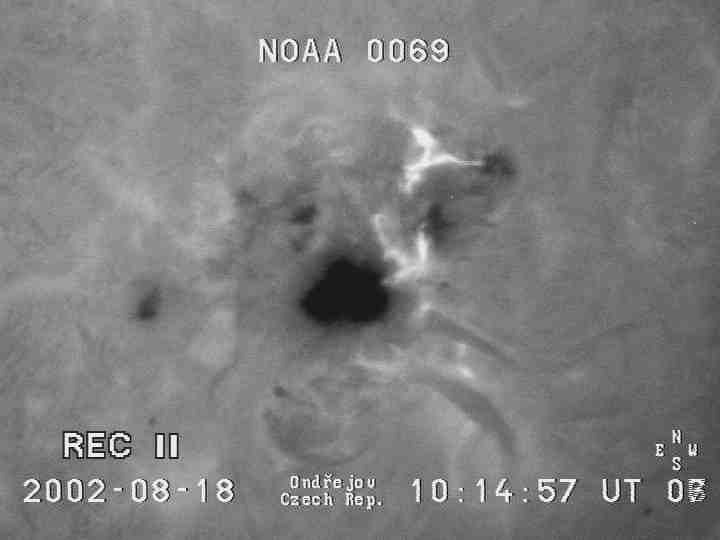 A.V. 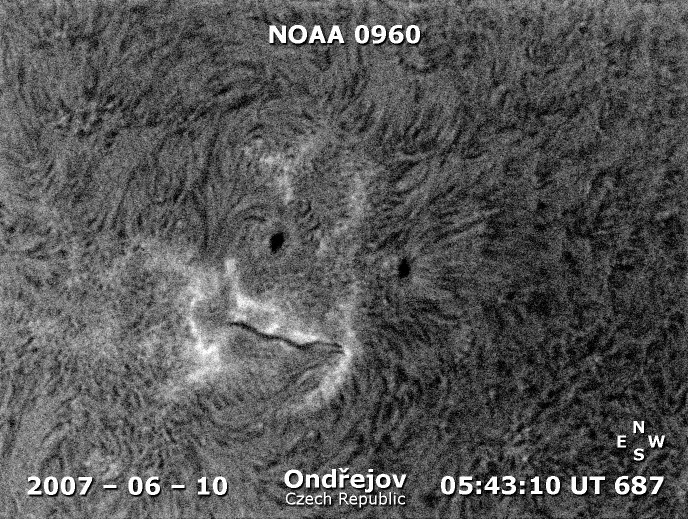 Stepanov, E.B. 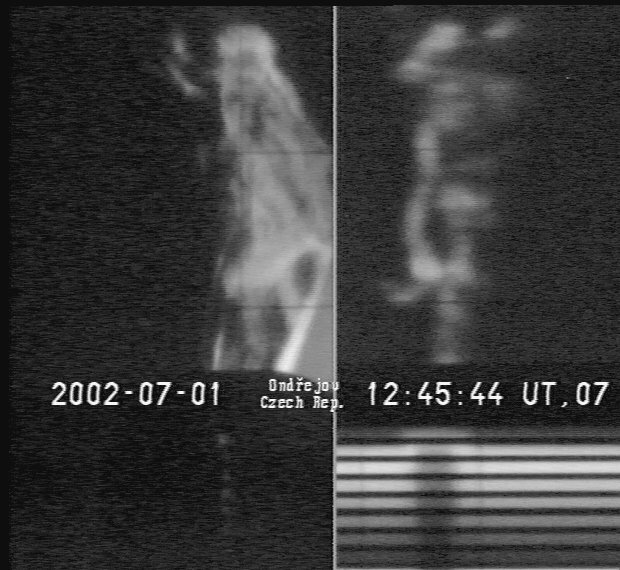 Benevolenskaja and A.B. 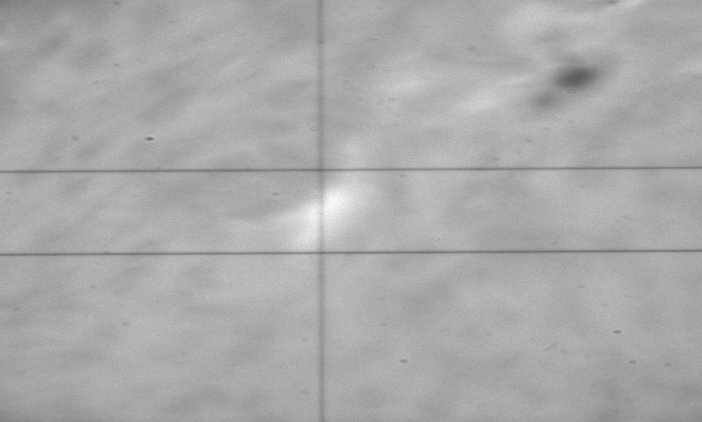 Kosovichev, p. 463-464. 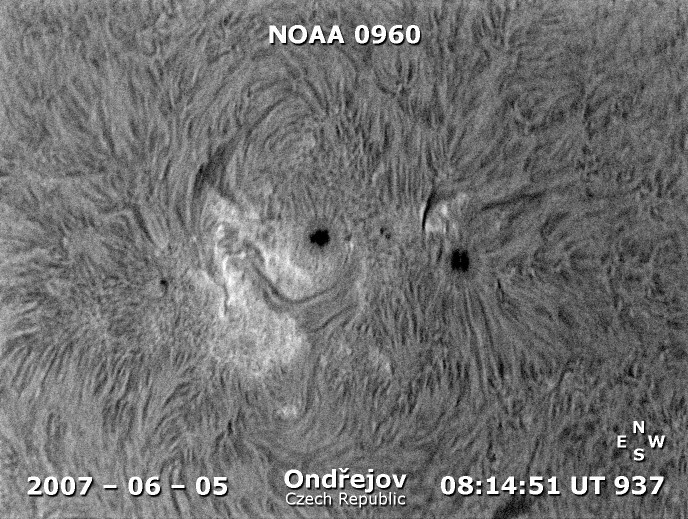 Kashapova L. K., Kotrč P., Kupryakov Yu. 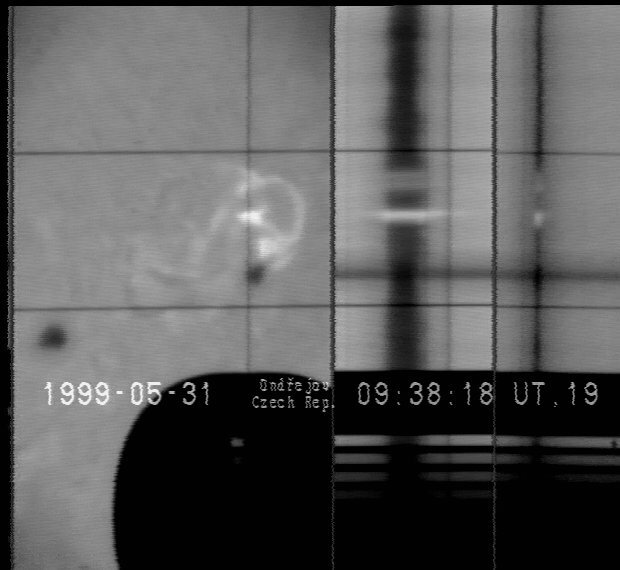 A. and Kasparova J.: 2005; An Effect of Particle Beams on Correlation Between Balmer Series Lines; in ESA SP-600: The Dynamic Sun: Challenges for Theory and Observations, ed. 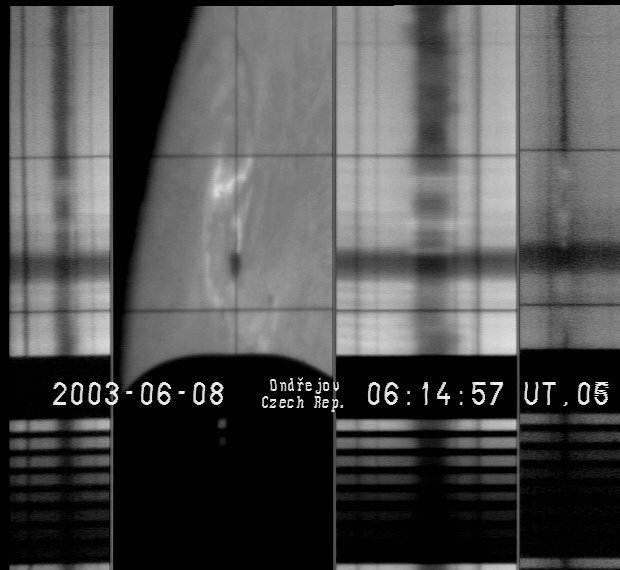 D.Danesy, S.Poedts, A.DeGroof, and J.Andries, (ESA Publication Division), published on CDROM. 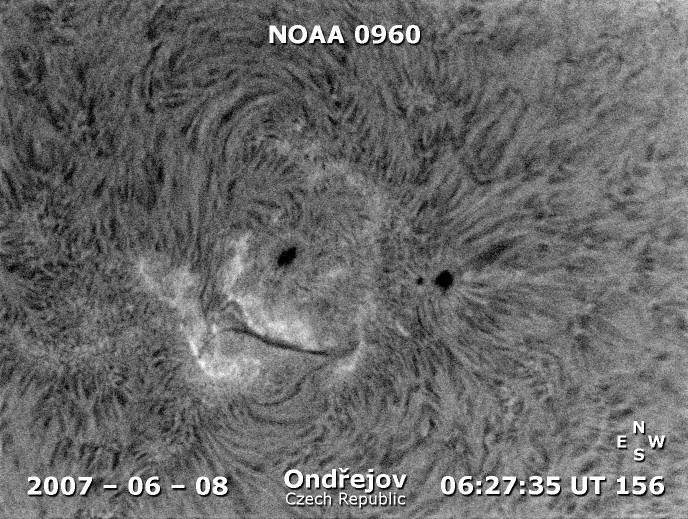 Kotrč P., Kashapova L. K. and Kupryakov Yu. 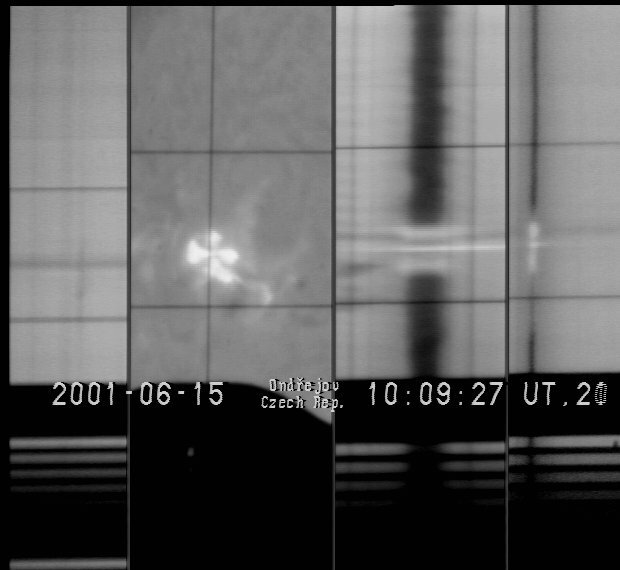 A.: 2006; Characteristics of a non-thermal electron effect in the H-alpha/H-beta line-profile ratio in the June 26, 1999 flare; US-SK Workshop on Solar Flares and Initialisation of CMEs. 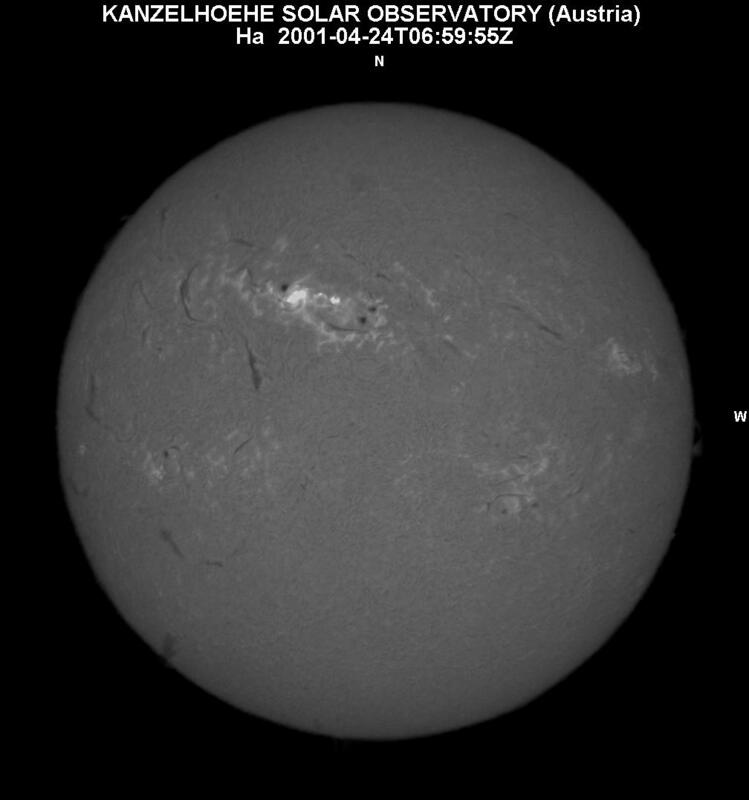 Tatranska Lomnica, Sept. 13-15, 2006. 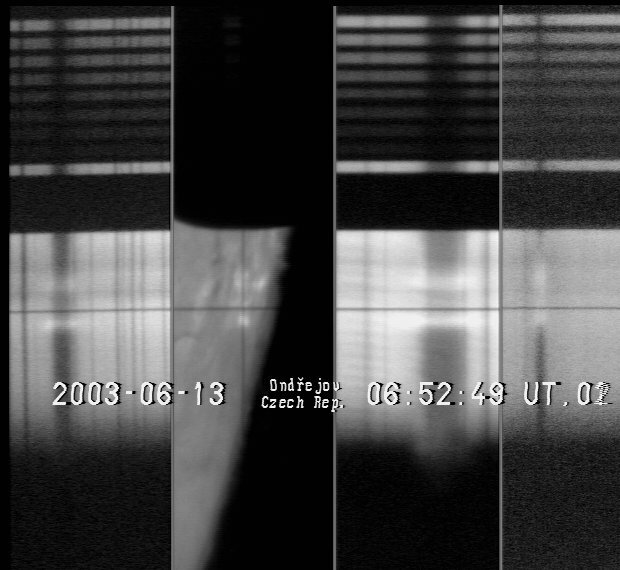 Published on CD, J. Rybak ed. 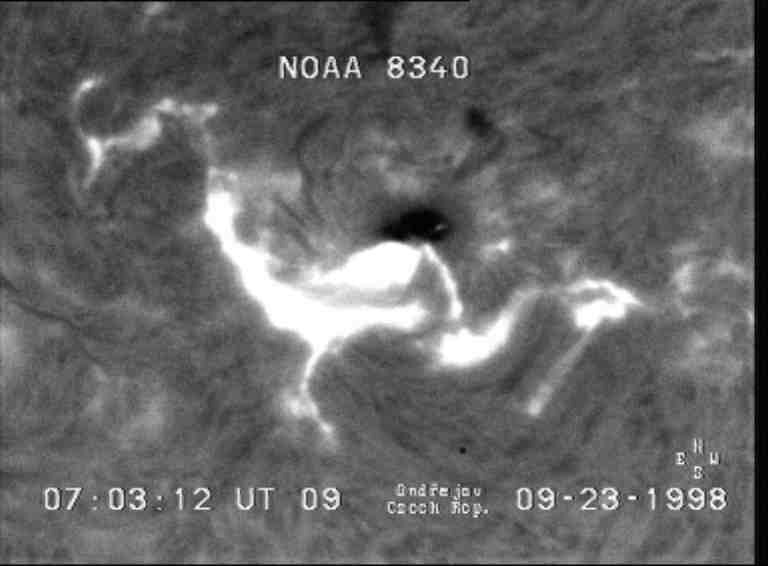 Kotrč P., L.K. 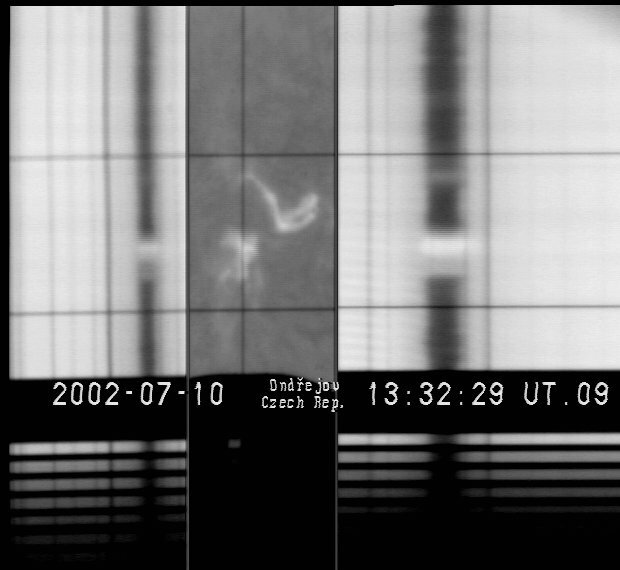 Kashapova and Yu. 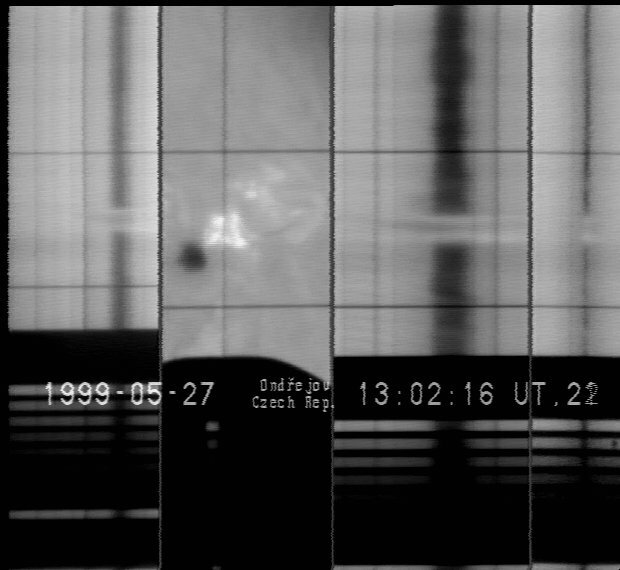 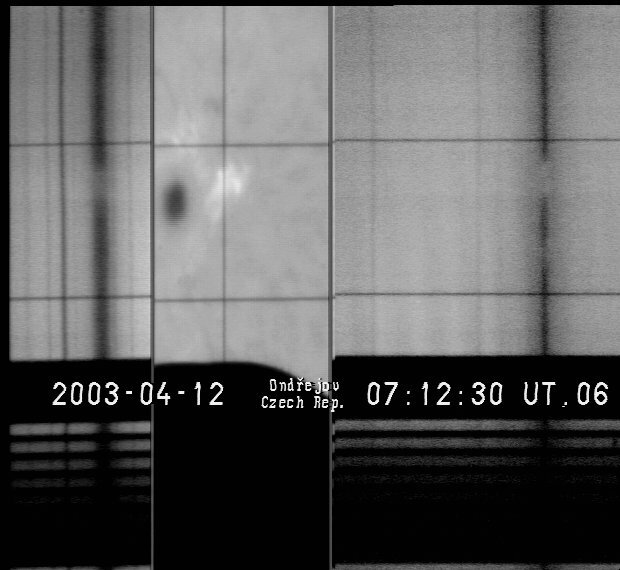 A. Kupryakov: 2006; On Possible Manifestation of Non-Thermal Electrons in the Halpha/Hbeta Line Profile Ratio in the June 26, 1999 Flare ; Presented at the Joint Discussion JD01 during the GA IAU in Prague, August 14 - 24, 2006. 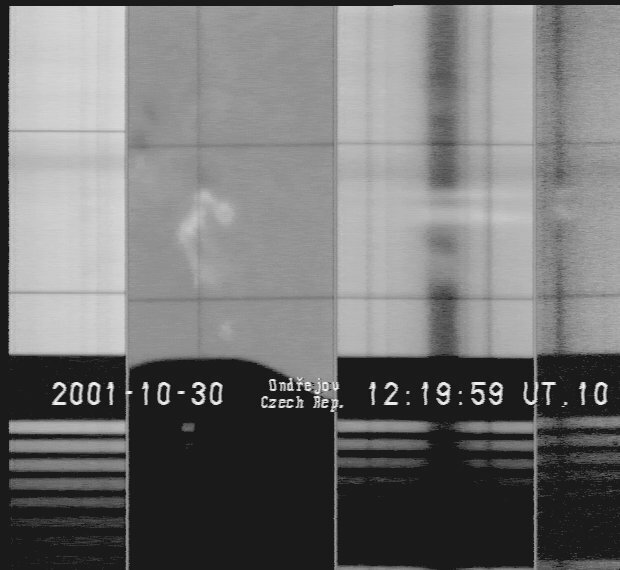 L.K. 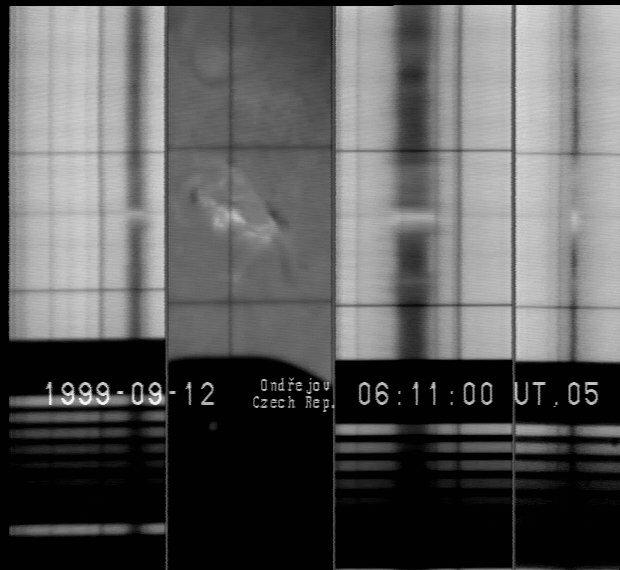 Kashapova, P. Kotrč, Yu. 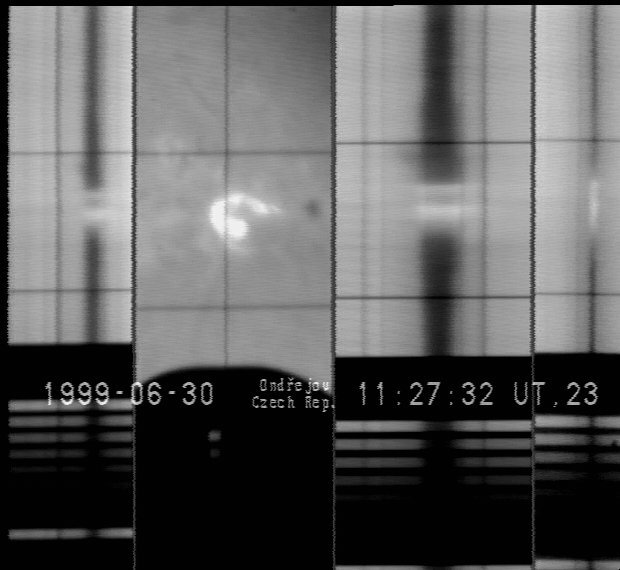 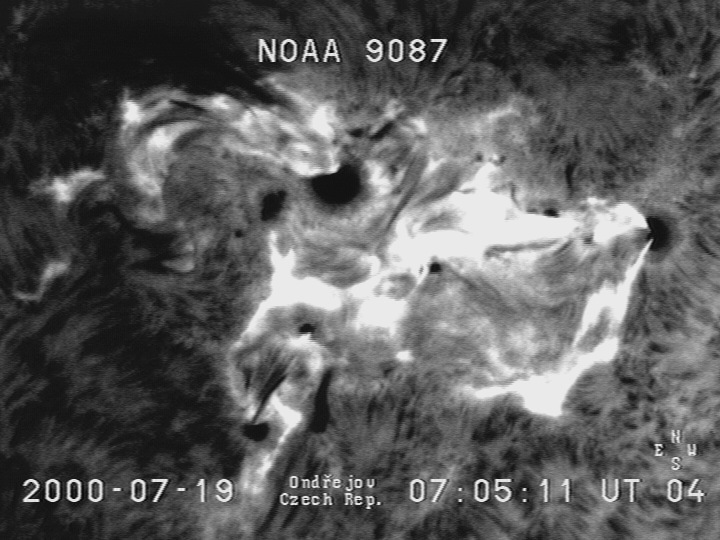 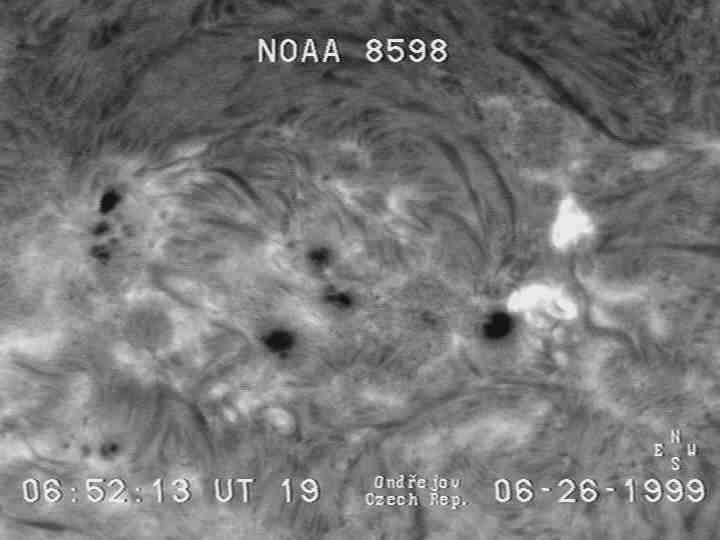 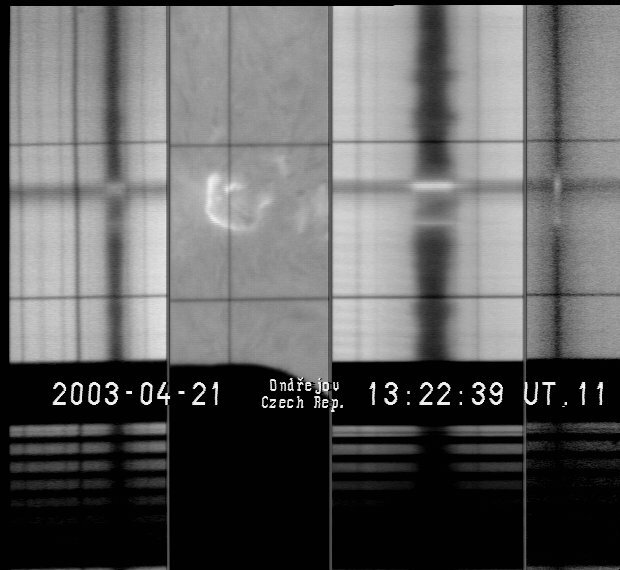 A. Kupryakov:2008; Non-thermal particle effects on the H-alpha, H-beta and CAII 8542 A line profiles in the 18 August 2002 solar flare; SOHO 20, Transient events on the sun in the heliosphere, Ann. 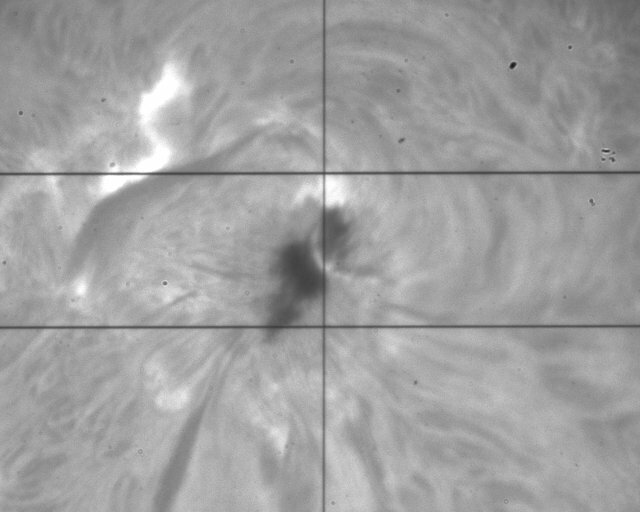 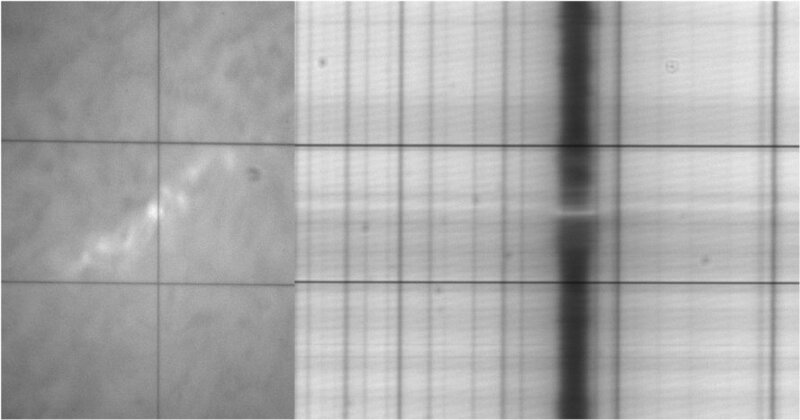 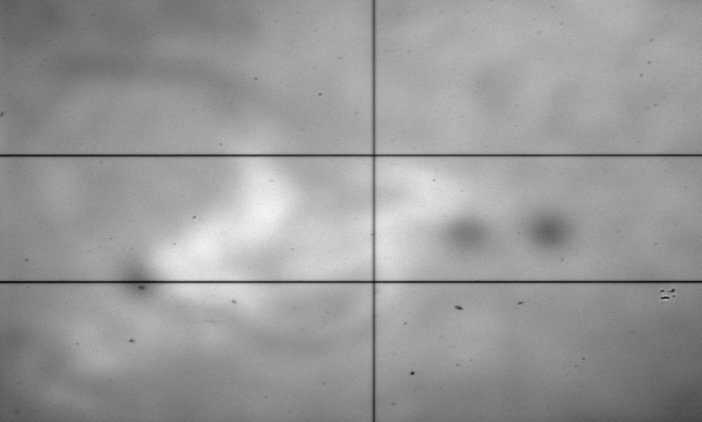 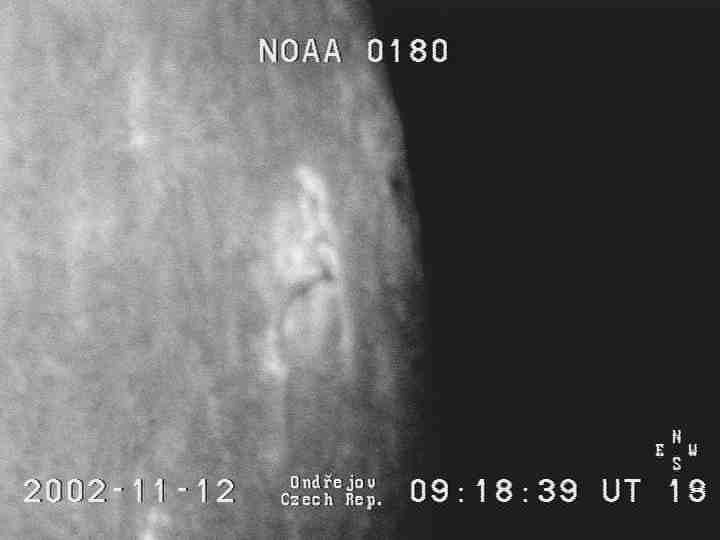 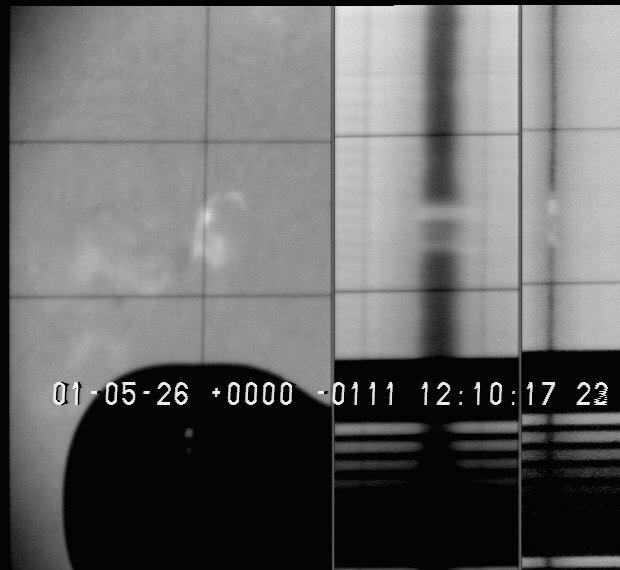 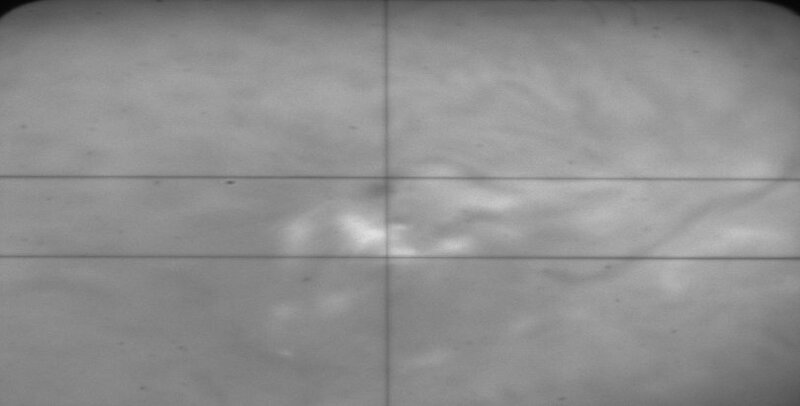 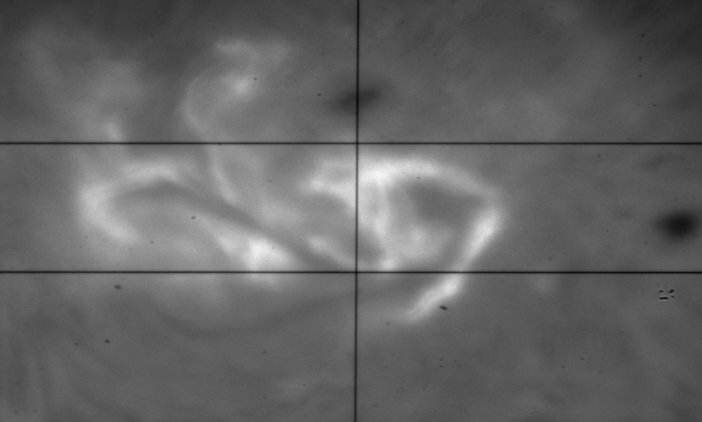 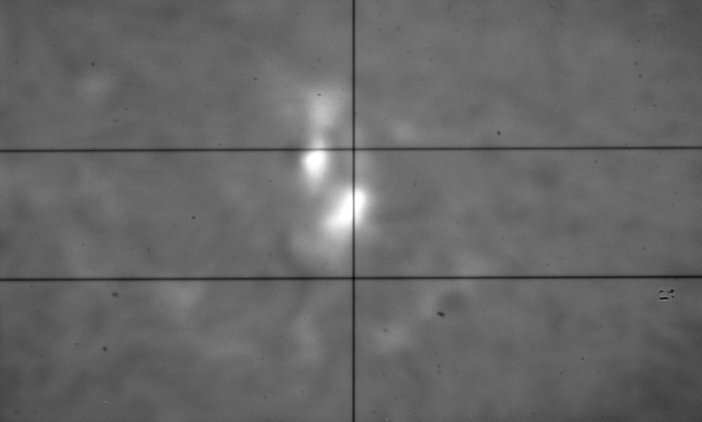 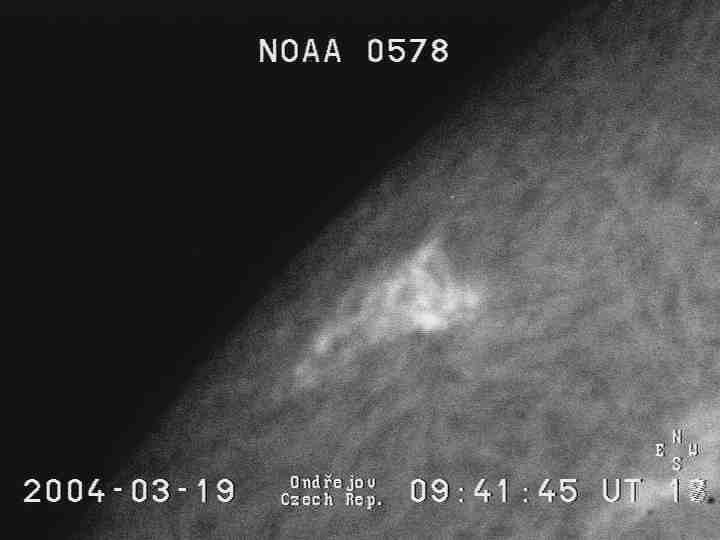 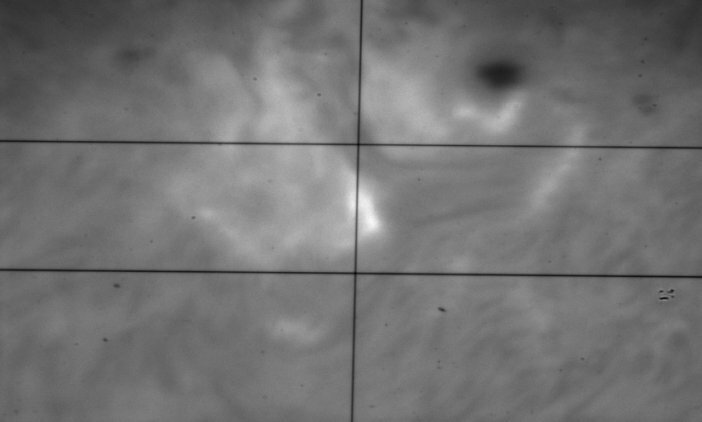 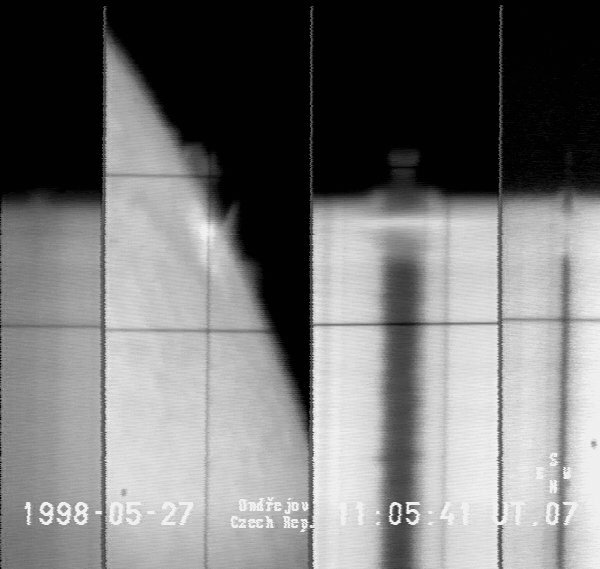 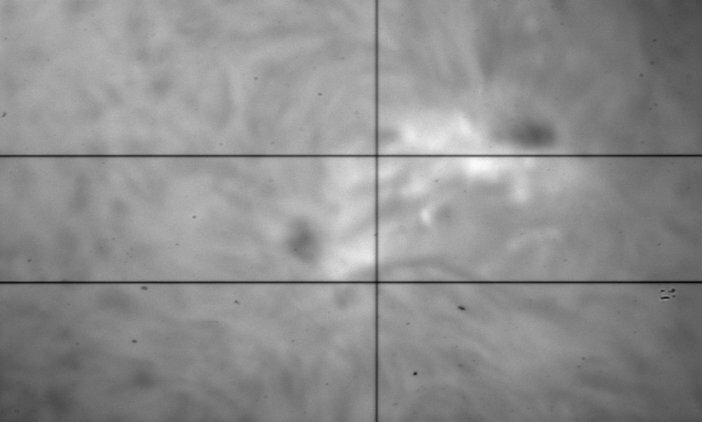 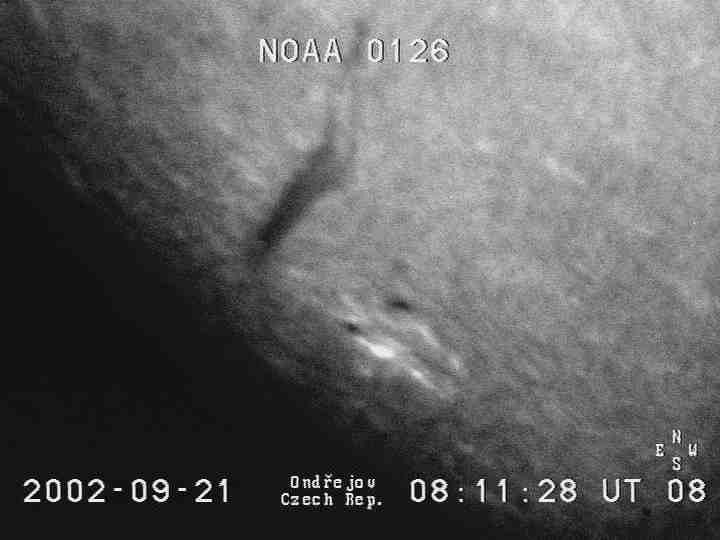 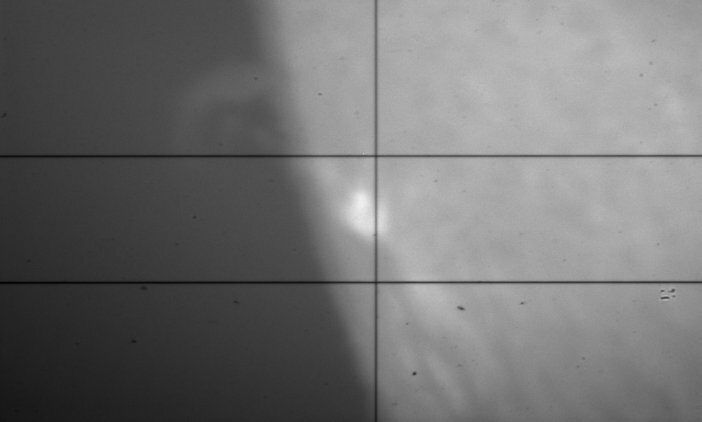 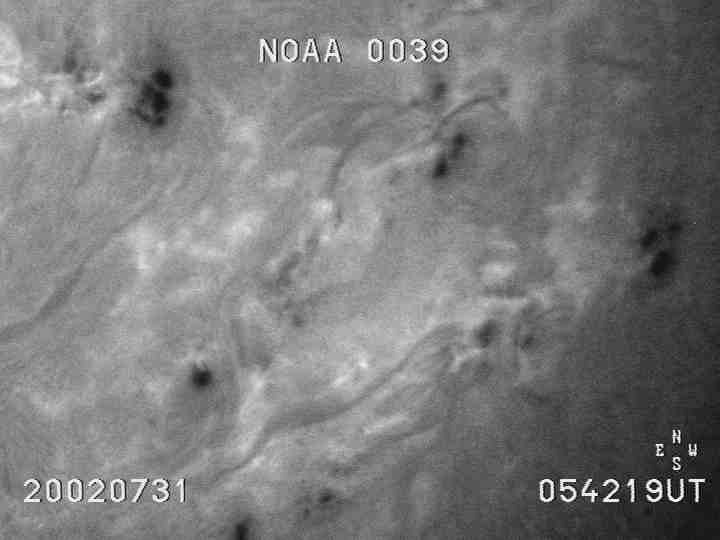 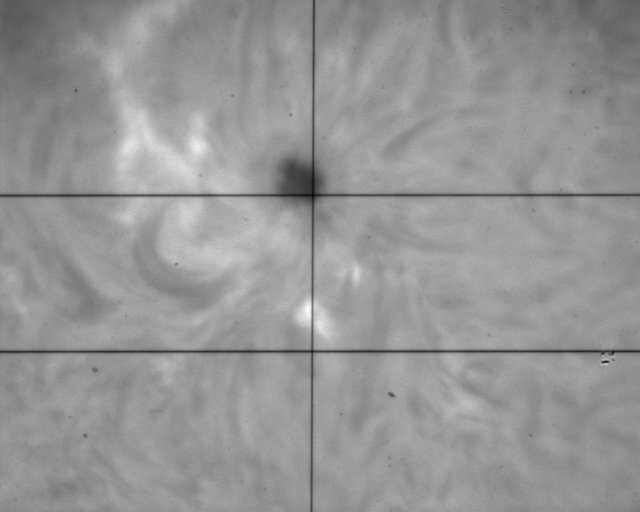 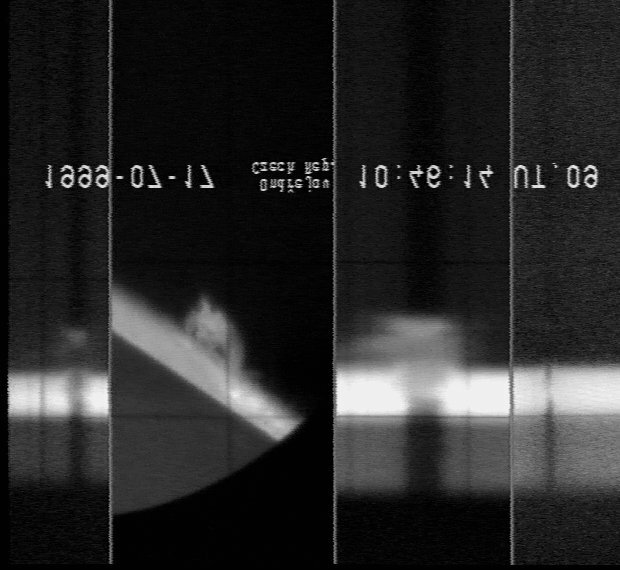 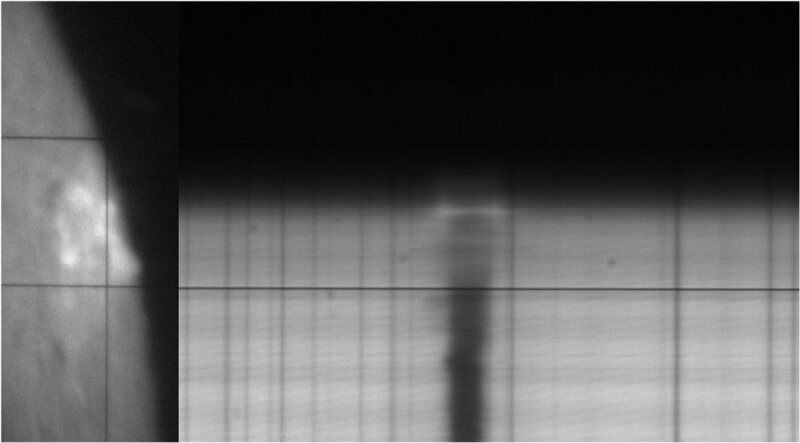 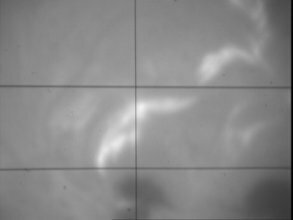 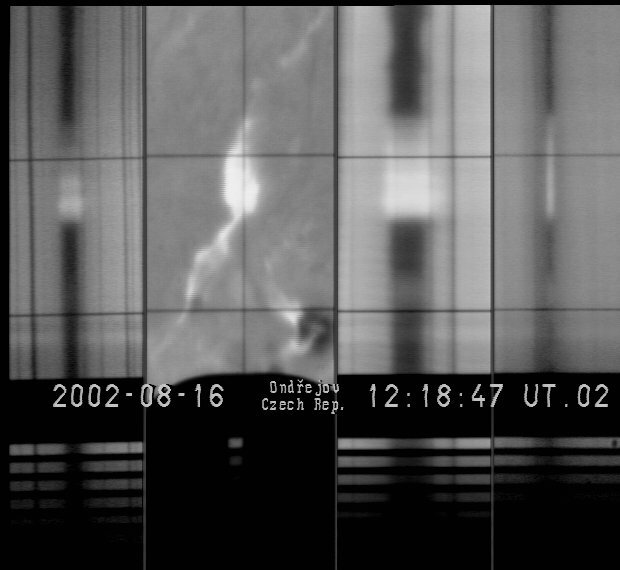 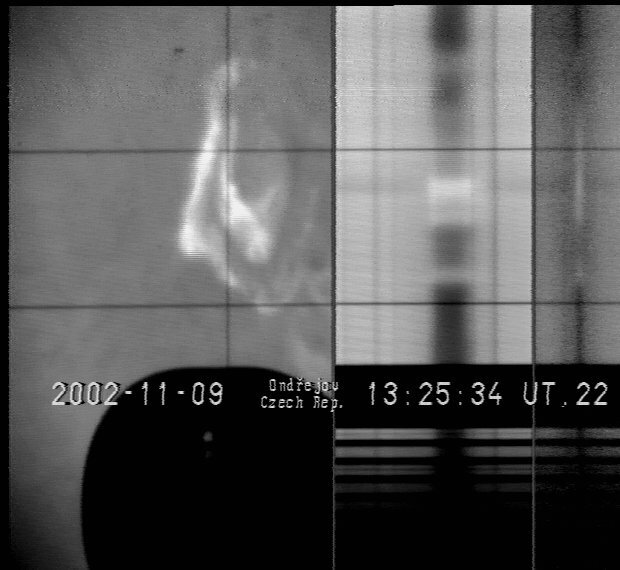 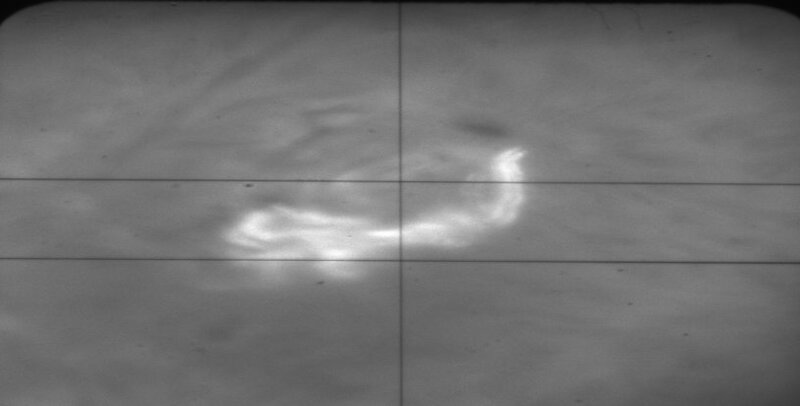 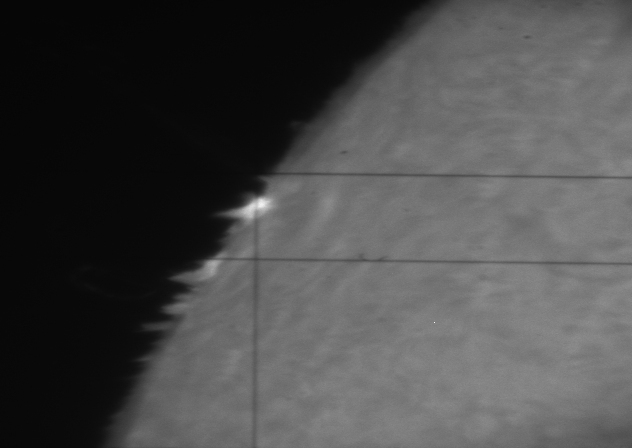 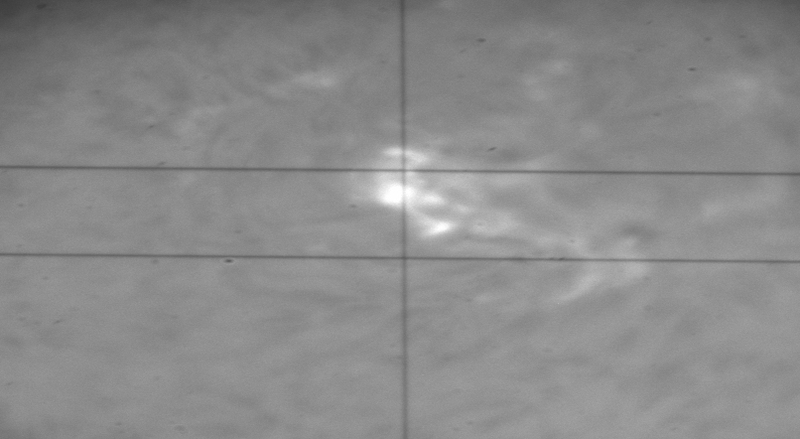 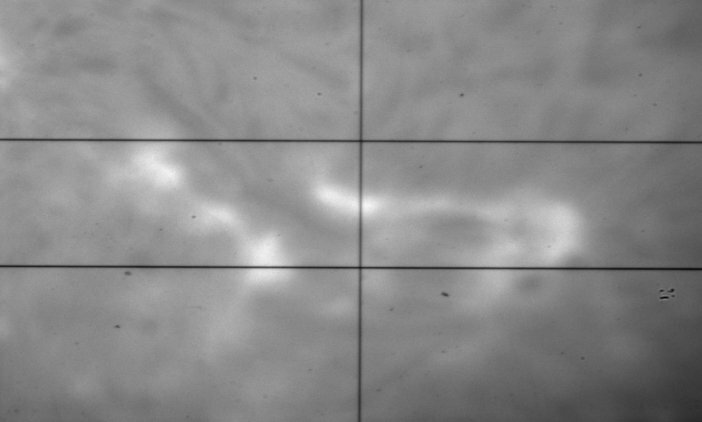 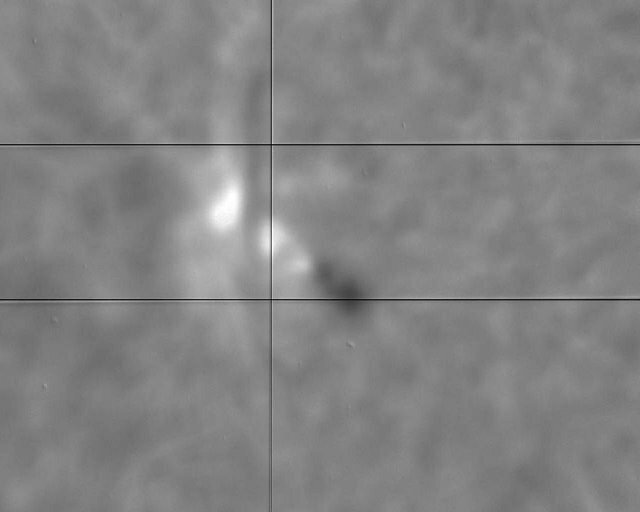 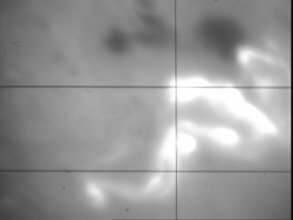 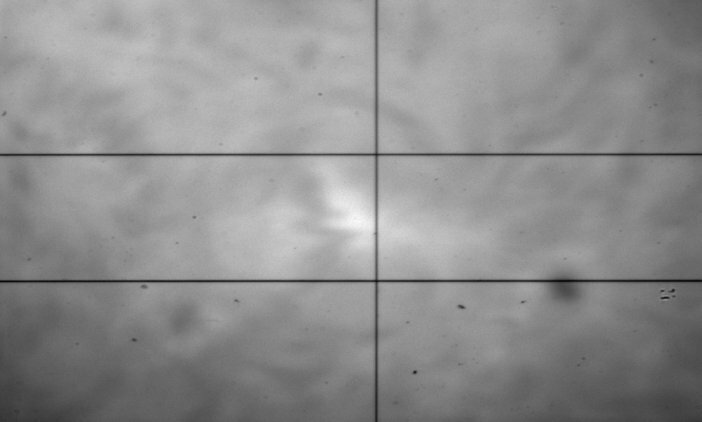 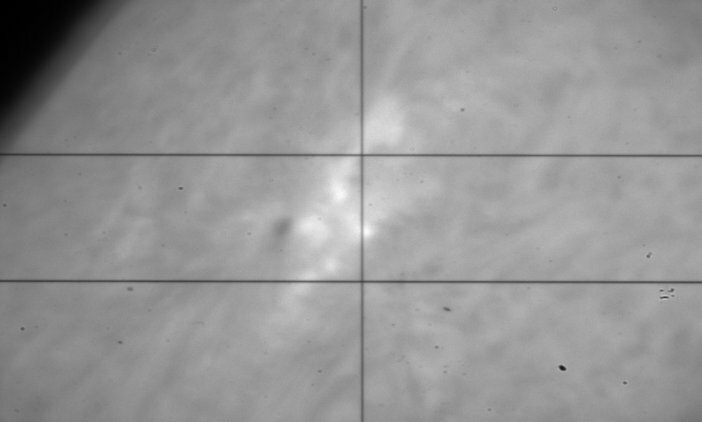 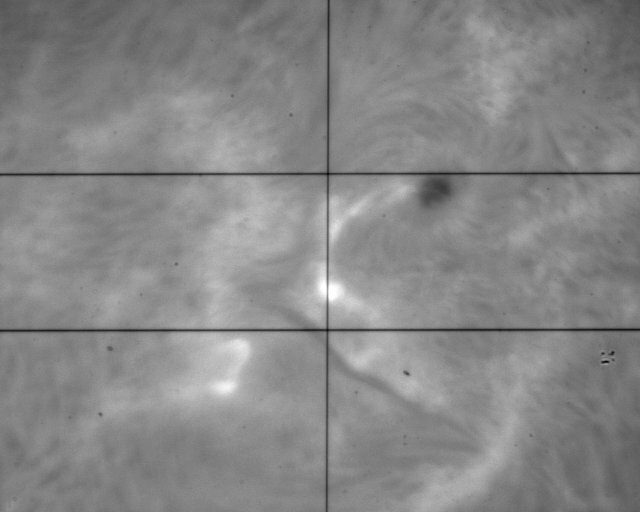 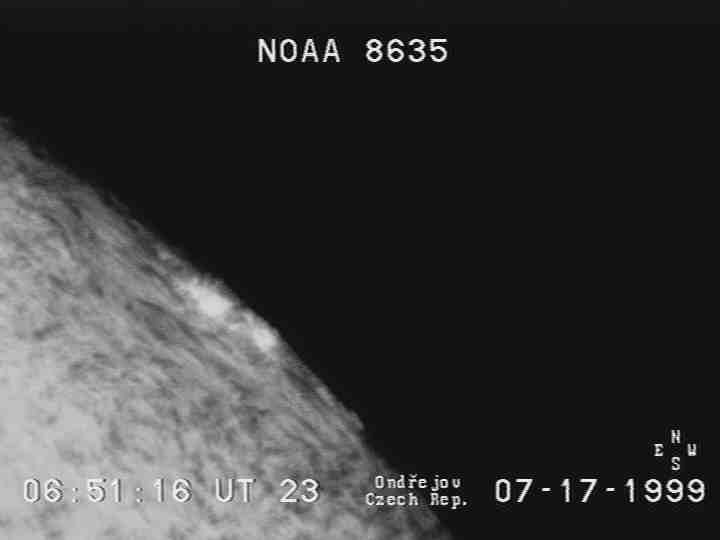 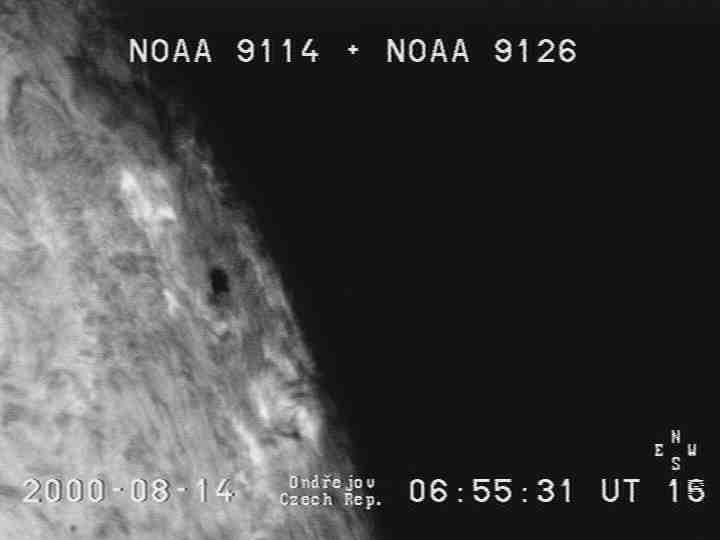 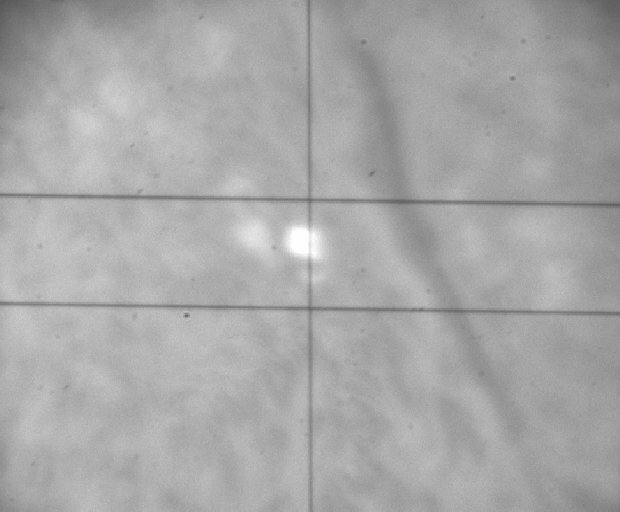 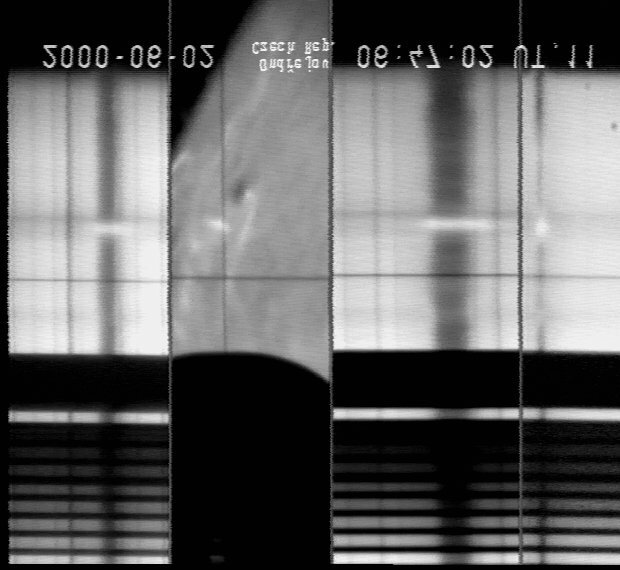 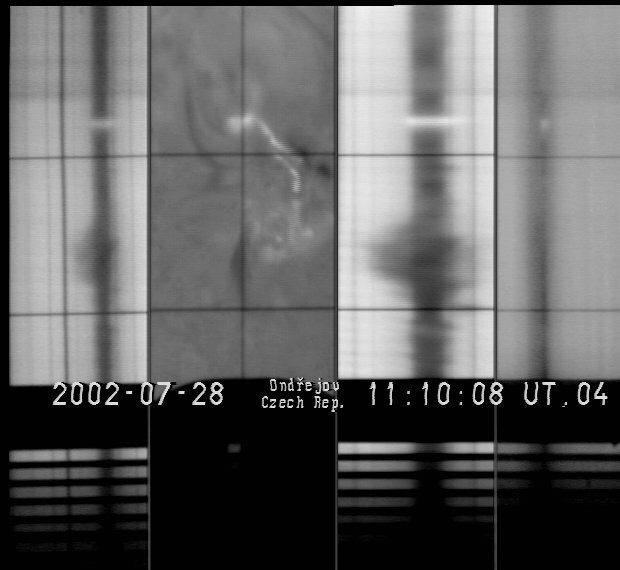 Geophys.,26, 2975-2982,2008. 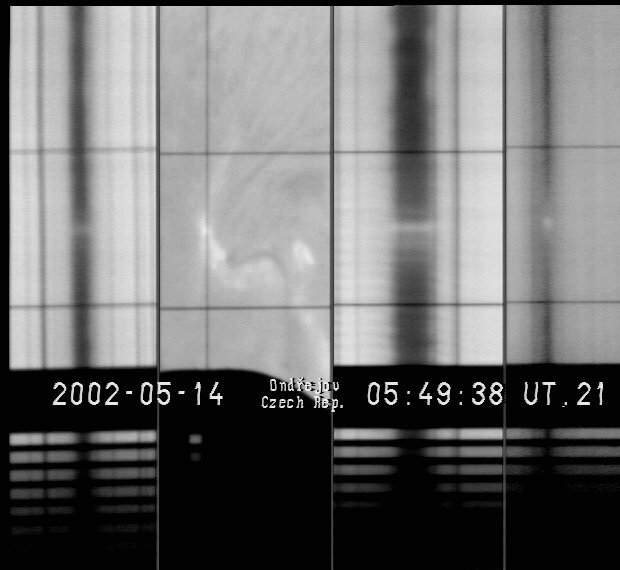 P. Kotrč, L.K. 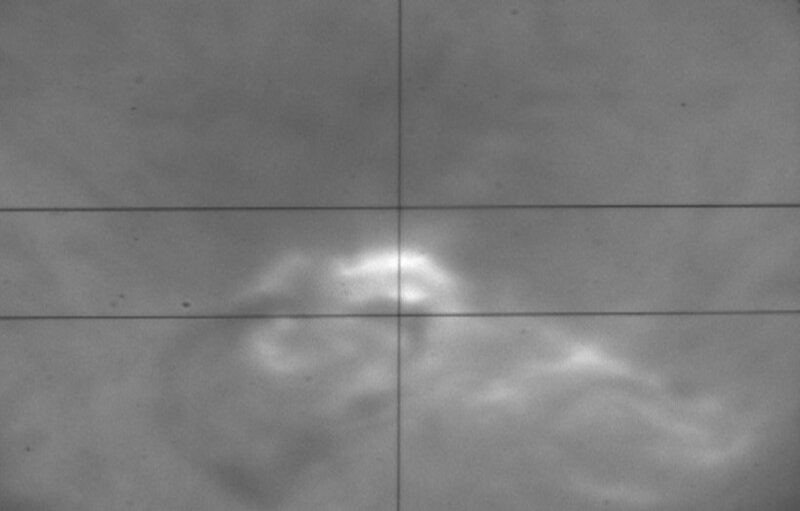 Kashapova, A.S.Frolova and Yu. 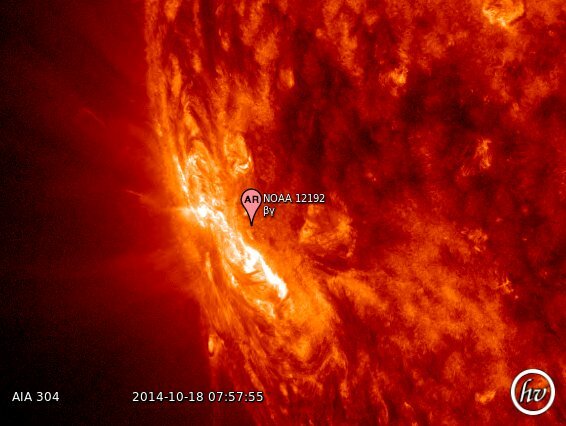 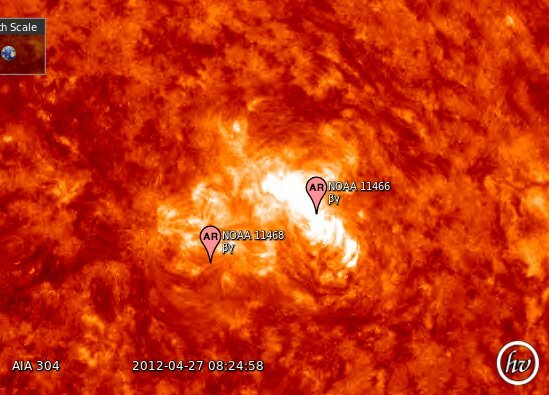 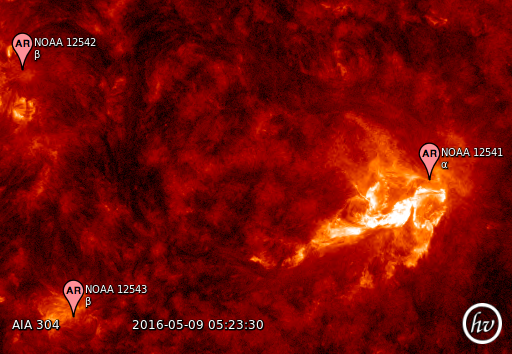 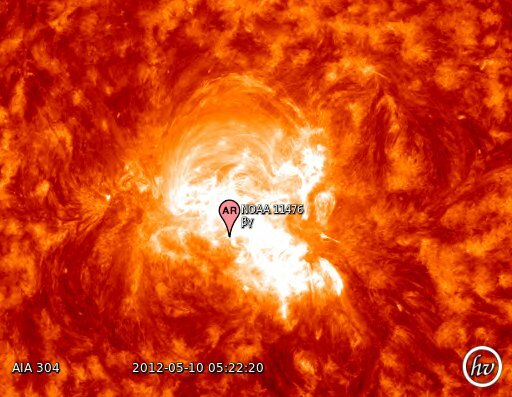 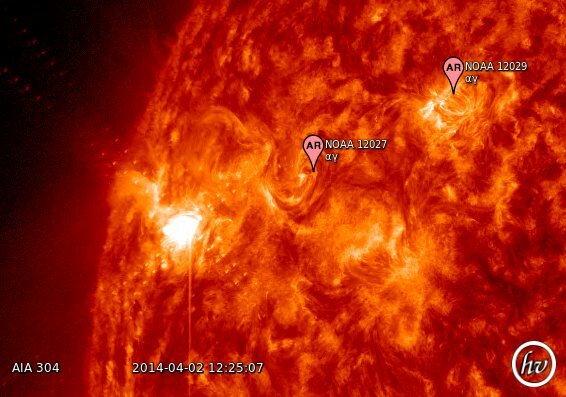 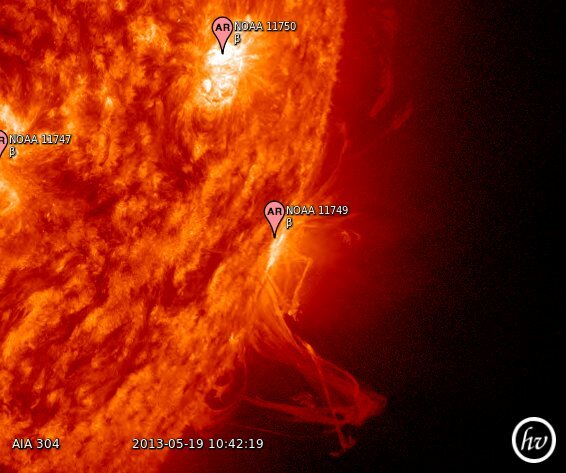 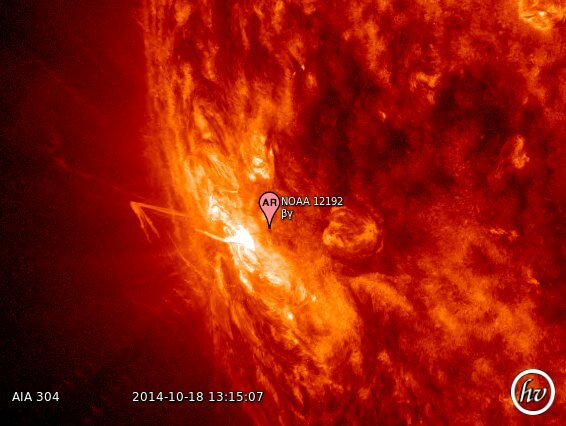 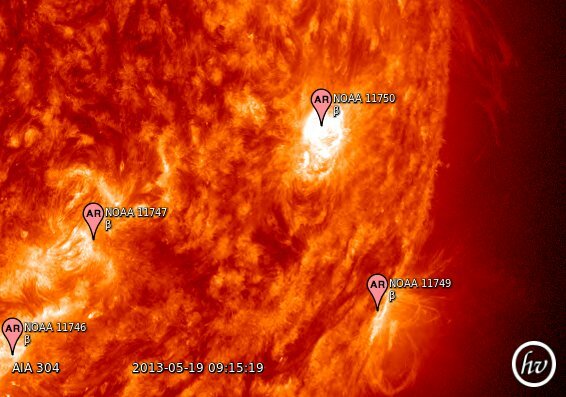 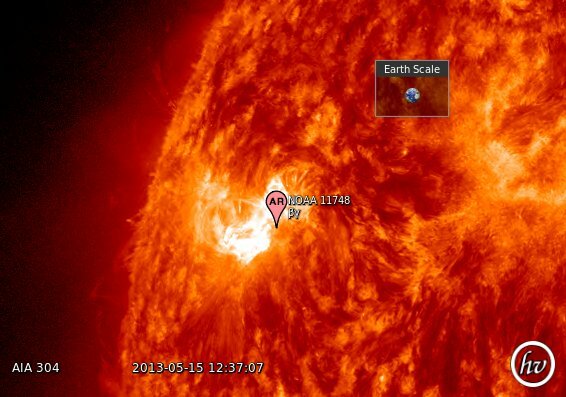 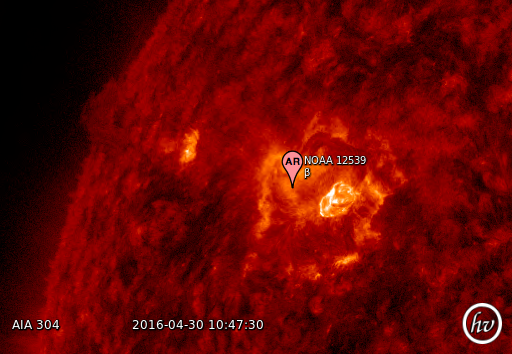 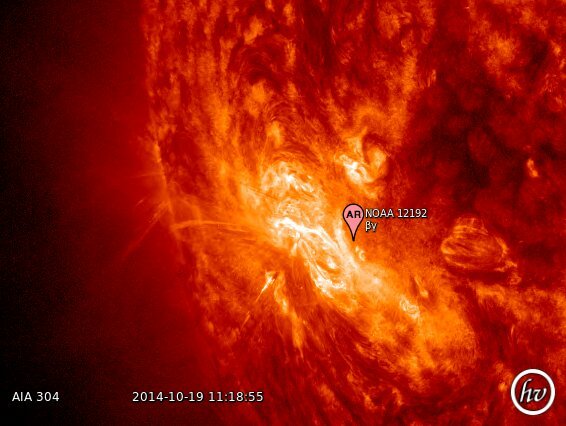 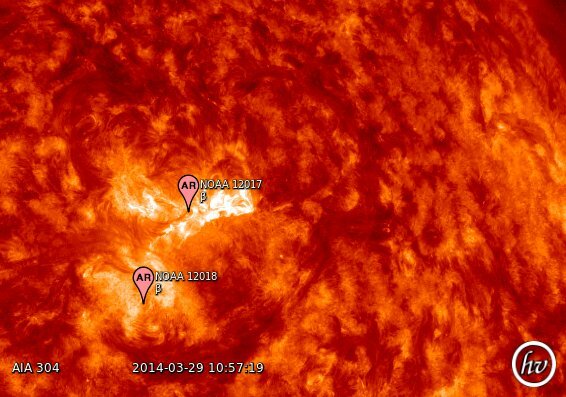 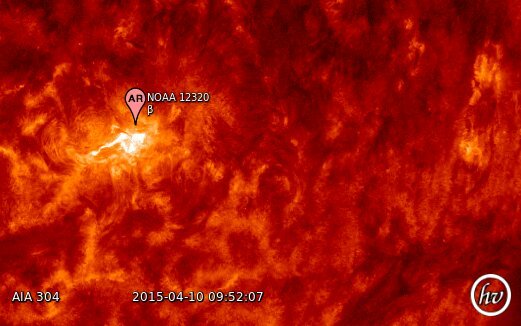 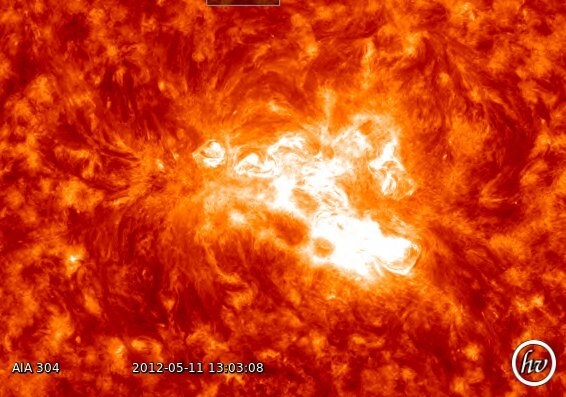 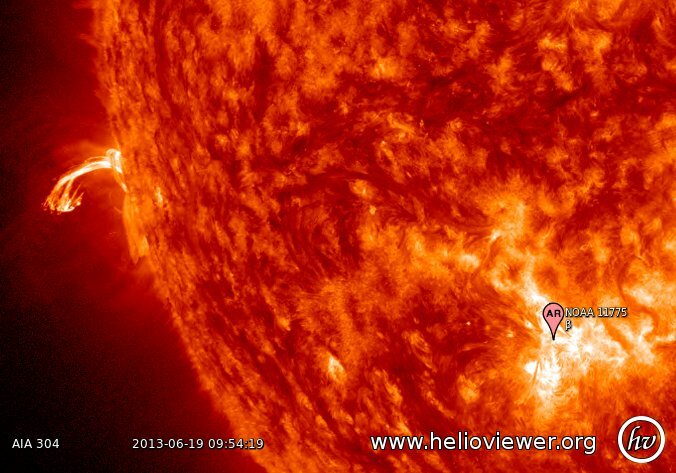 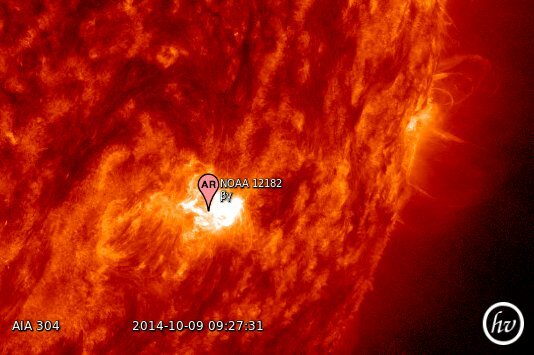 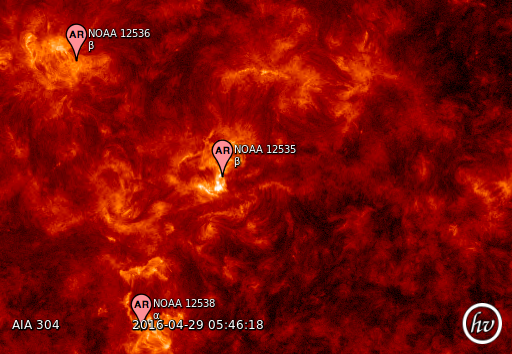 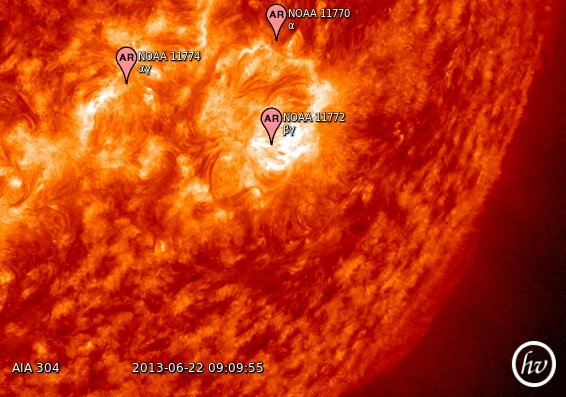 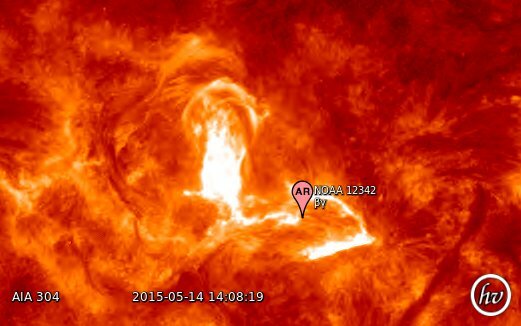 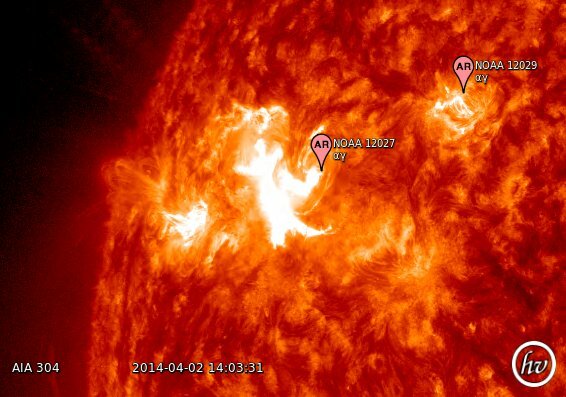 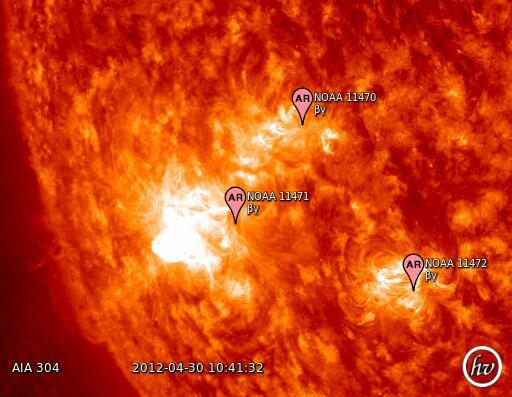 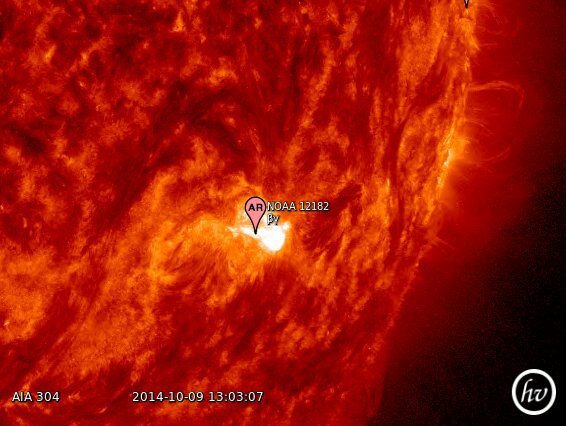 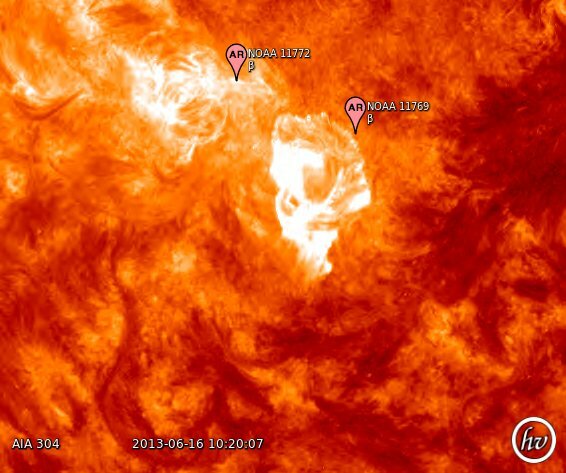 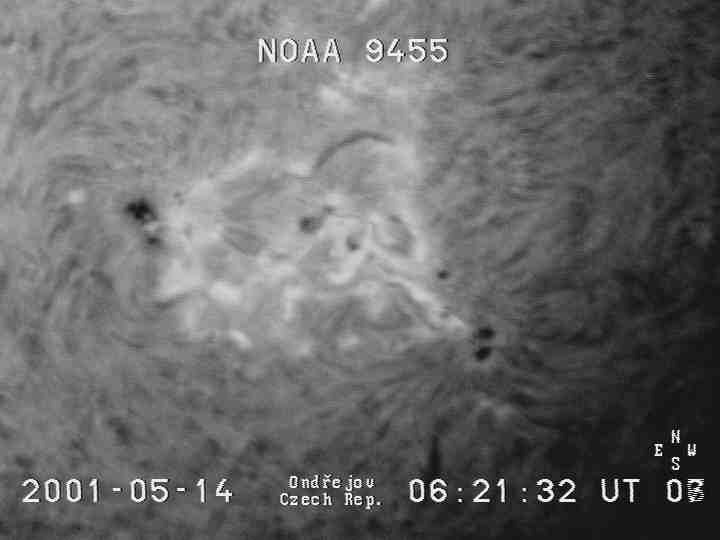 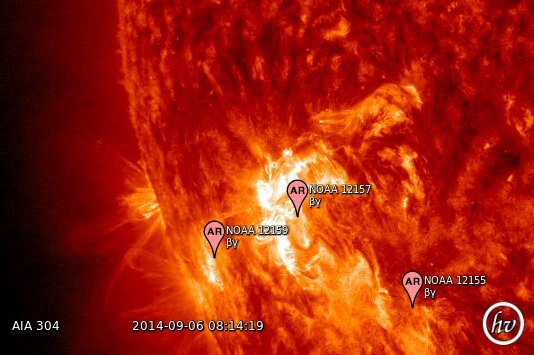 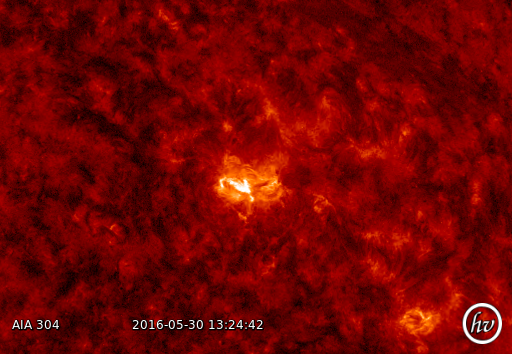 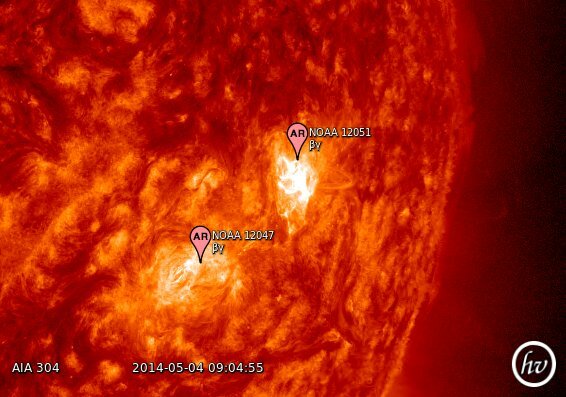 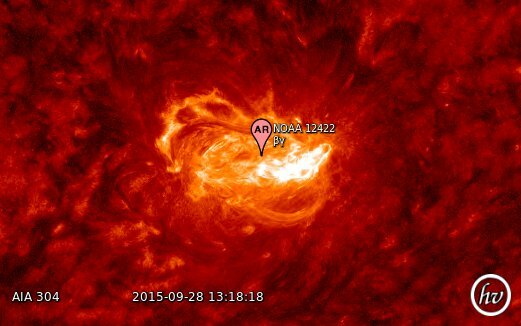 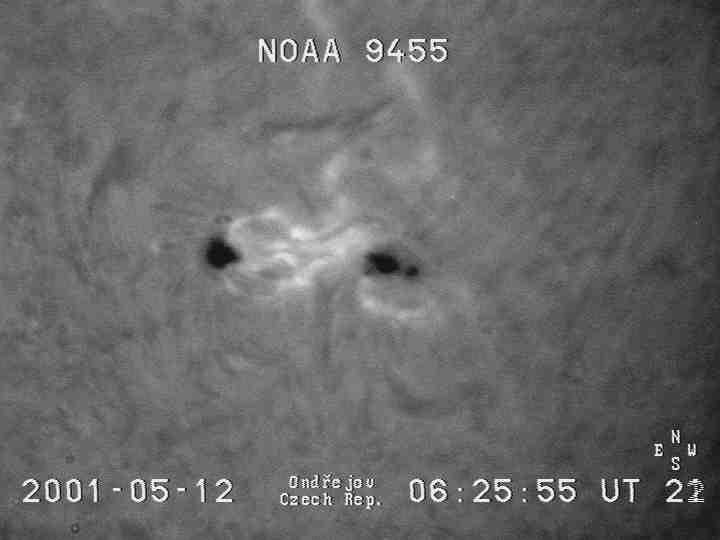 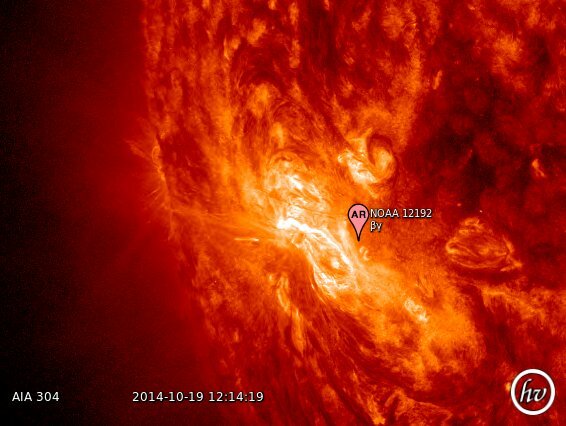 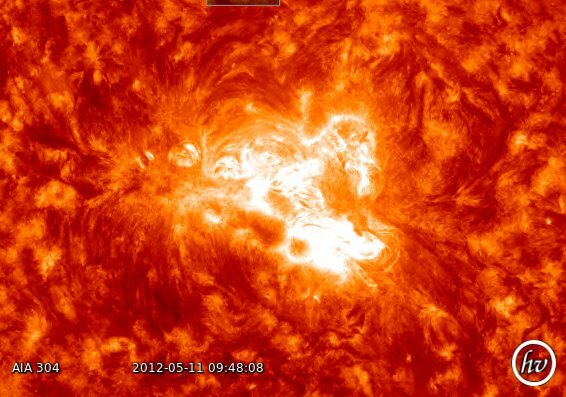 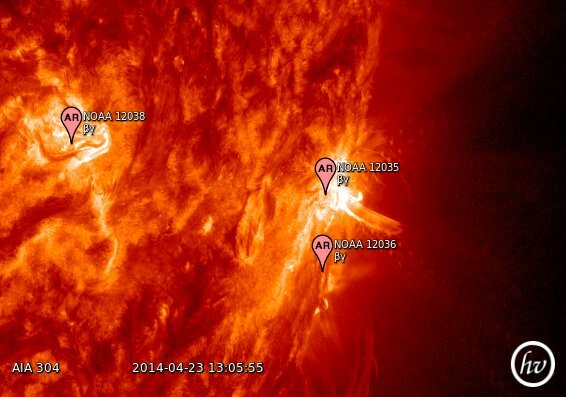 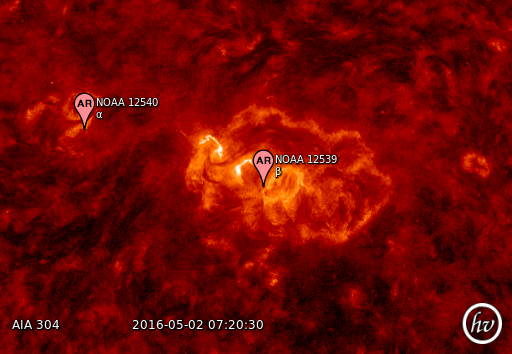 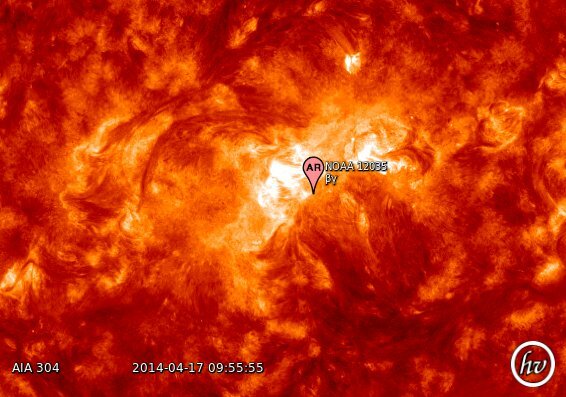 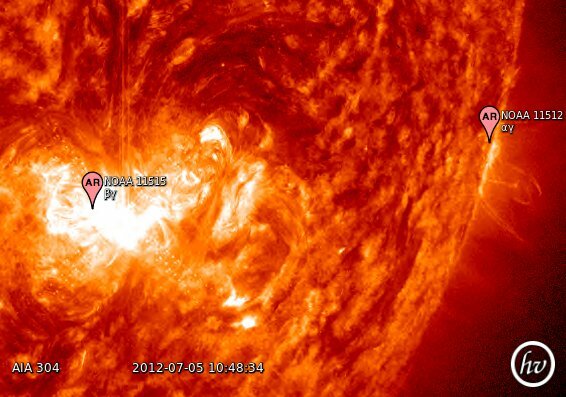 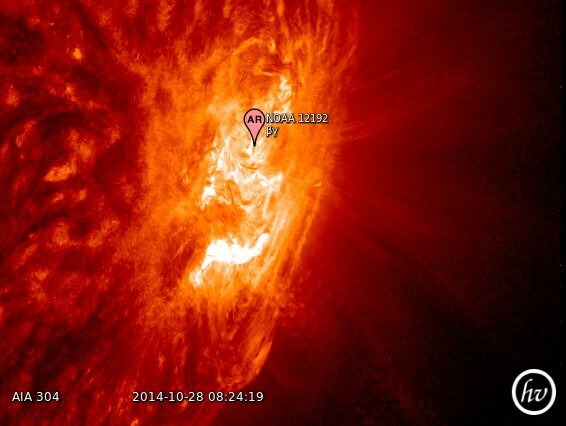 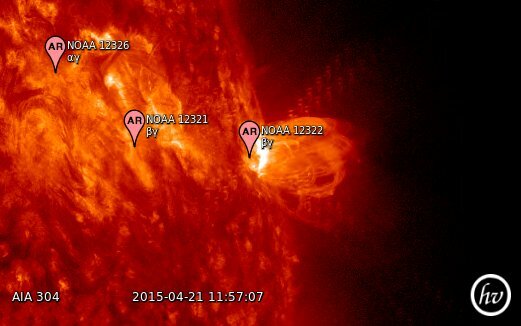 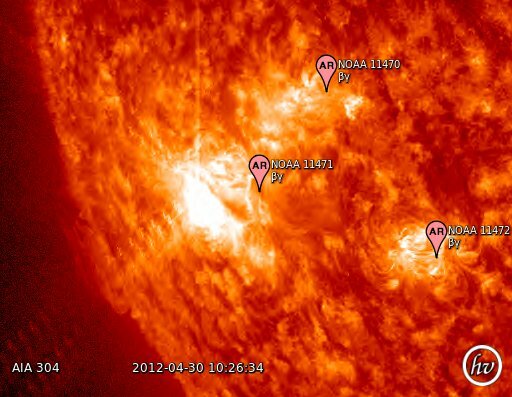 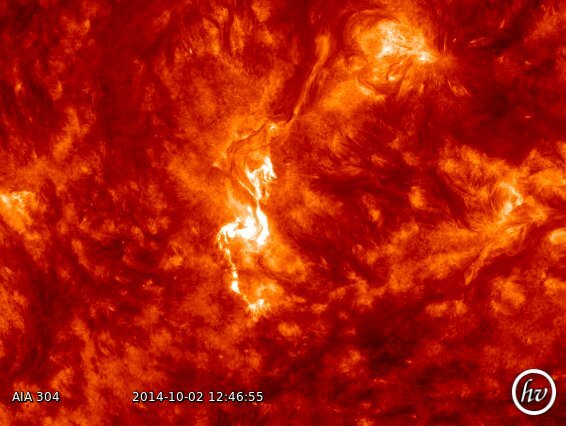 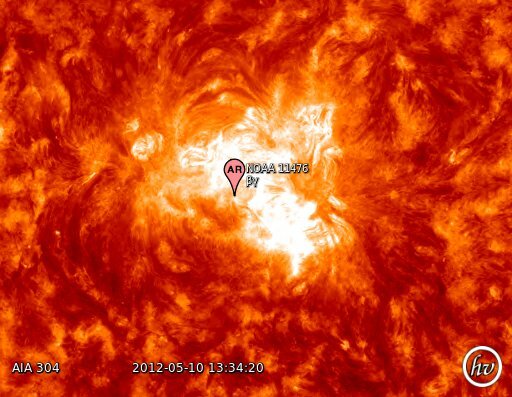 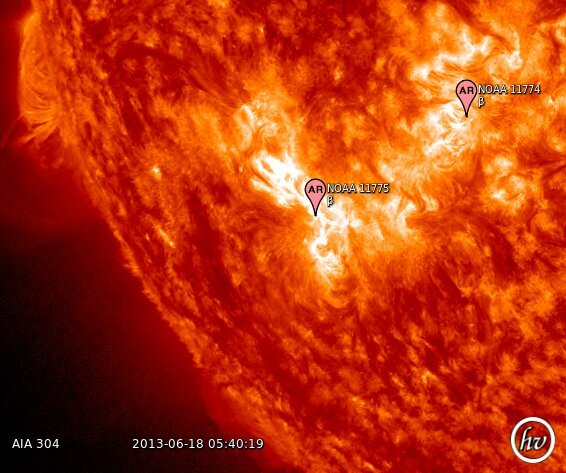 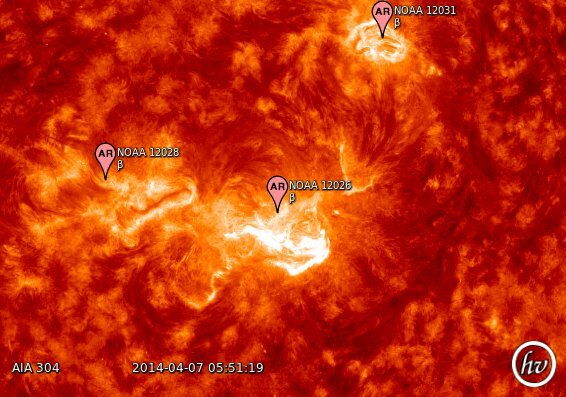 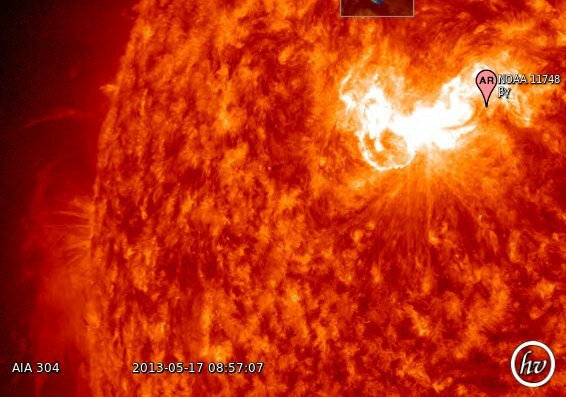 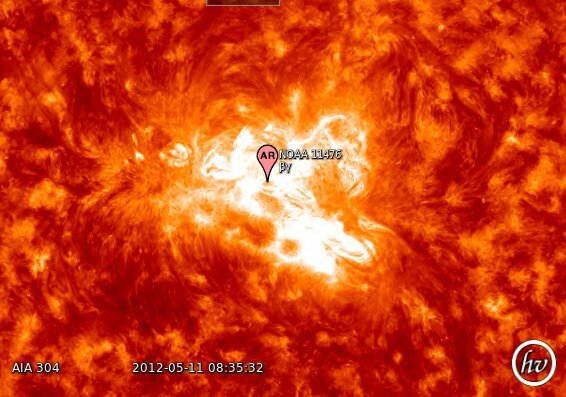 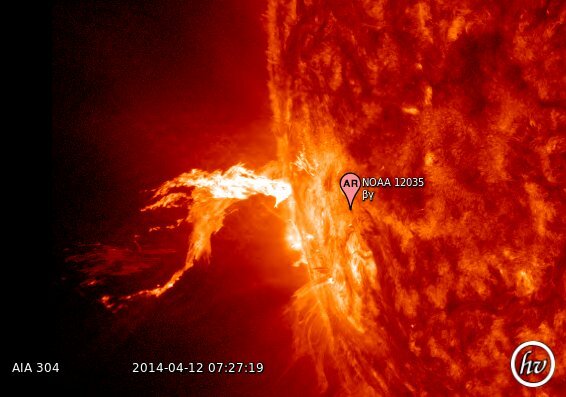 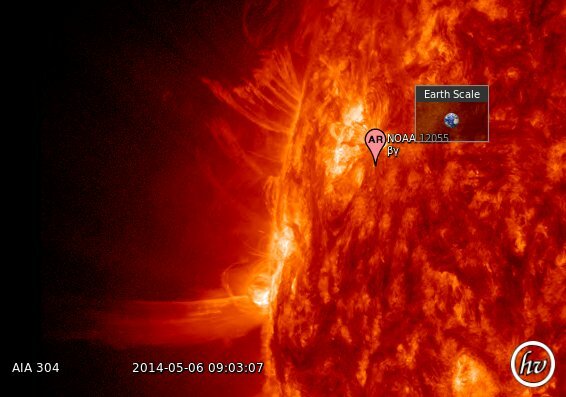 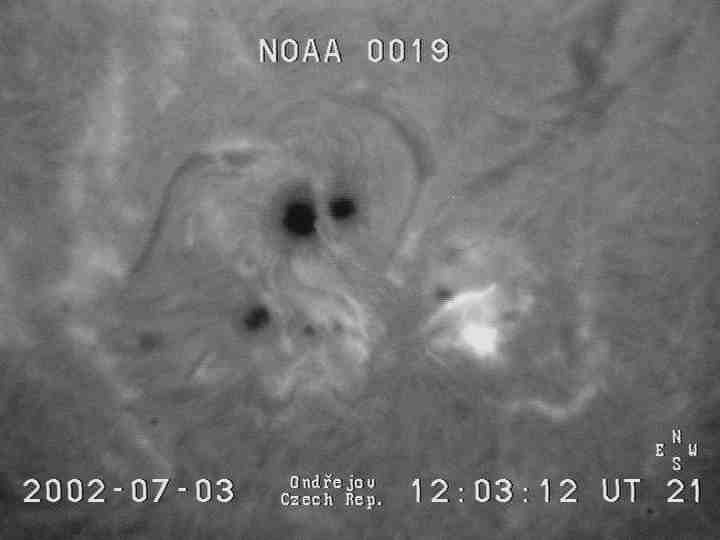 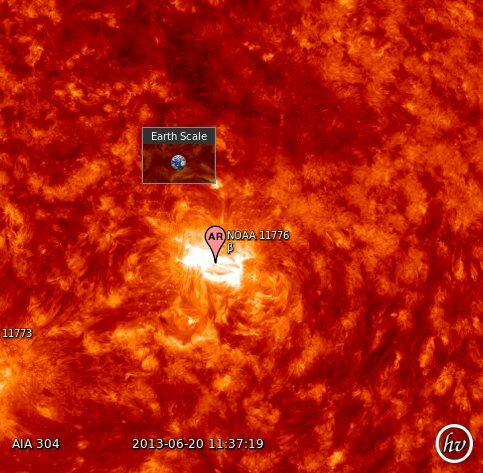 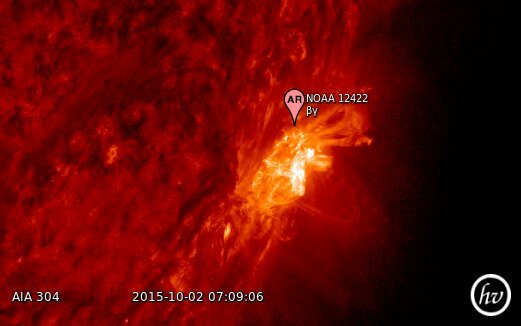 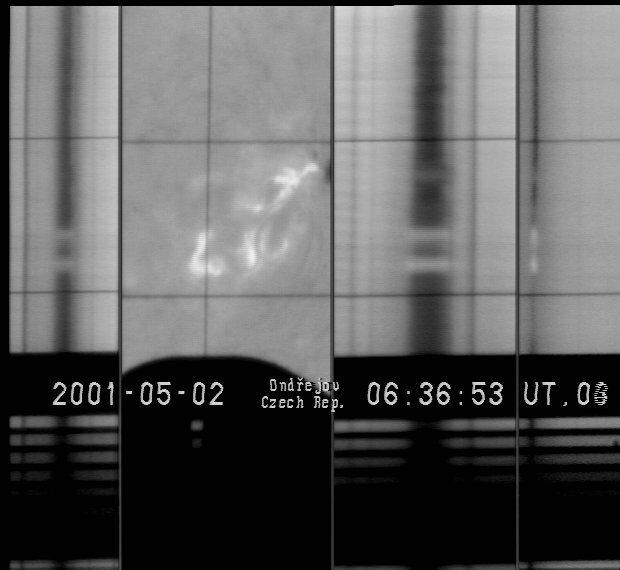 A. Kupryakov: 2009; A possible scenario of energy transport in the 17-th May 2002 flare; Cent.Eur.Astrophts. 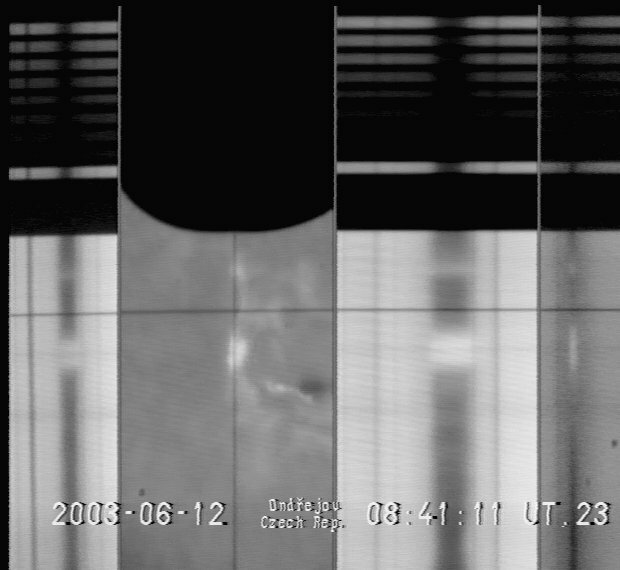 Bull., 33 (2009) 1, 207-215. 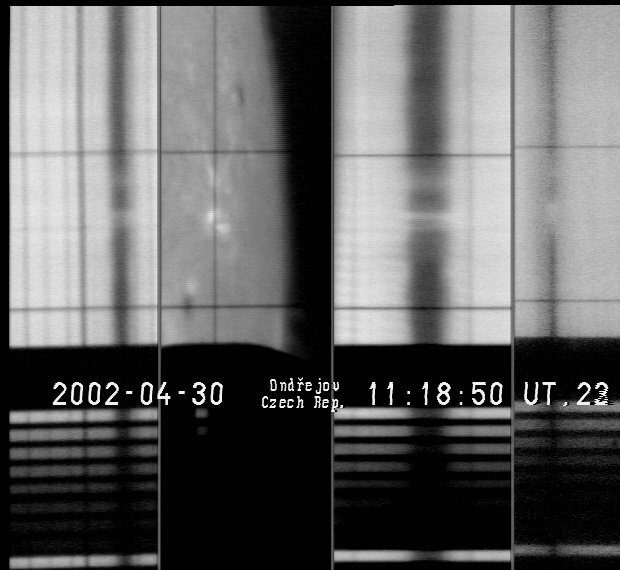 Kotrč P., Kashapova, L.K., Kuprjakov, Yu. 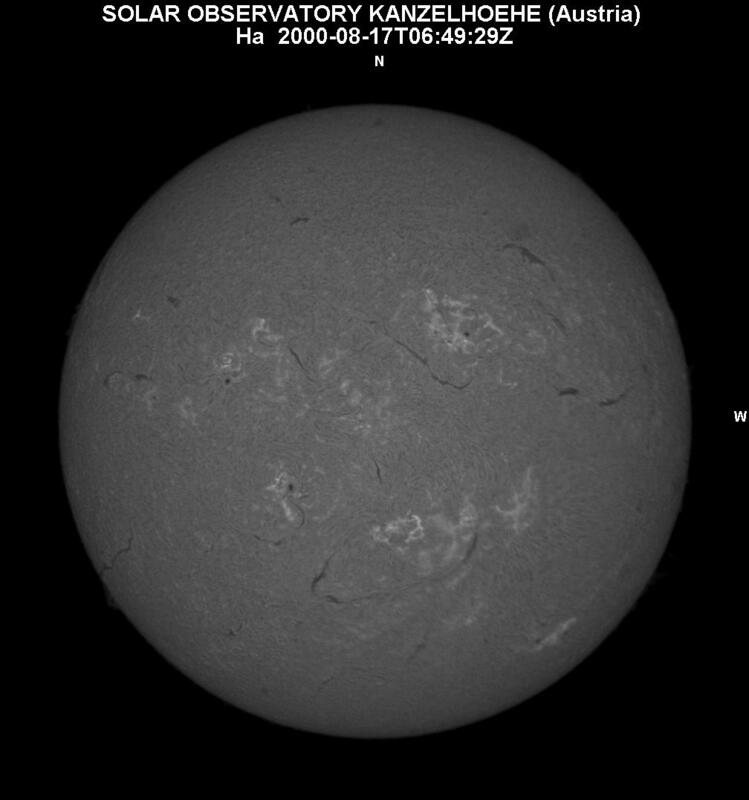 A.: 2009; A Response of Balmer Series Lines to Particle Beams - Observations; CAS-IAU Joint Solar Eclipse Meeting, July 23-26, 2009, Suzhou, China. 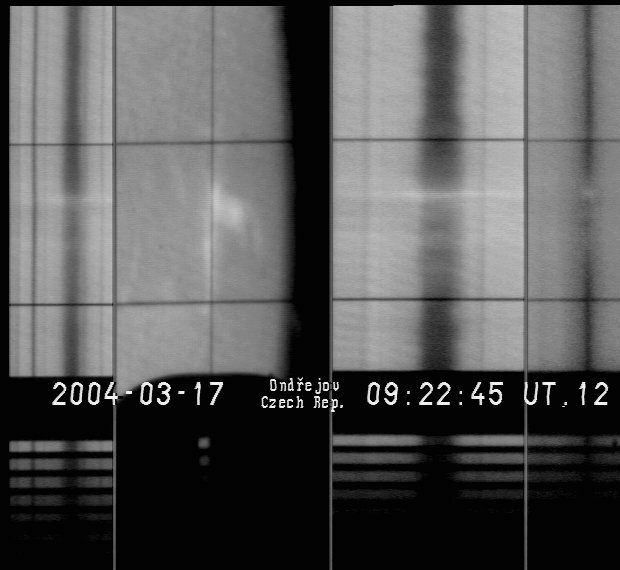 Kotrč P., Kashapova, L.K., Kuprjakov, Yu. 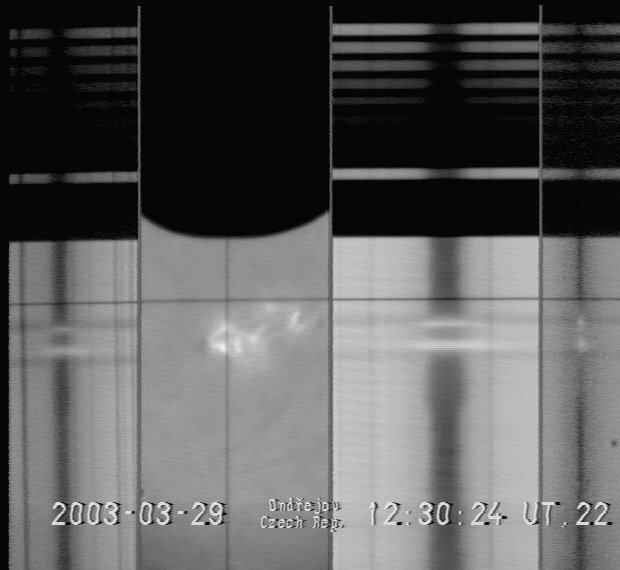 A.: 2009; On an effect of particle beams in Balmer series lines; The 3rd Hinode Science Meeting, 1-4 December 2009 Hitotsubashi Memorial Hall, Tokio. 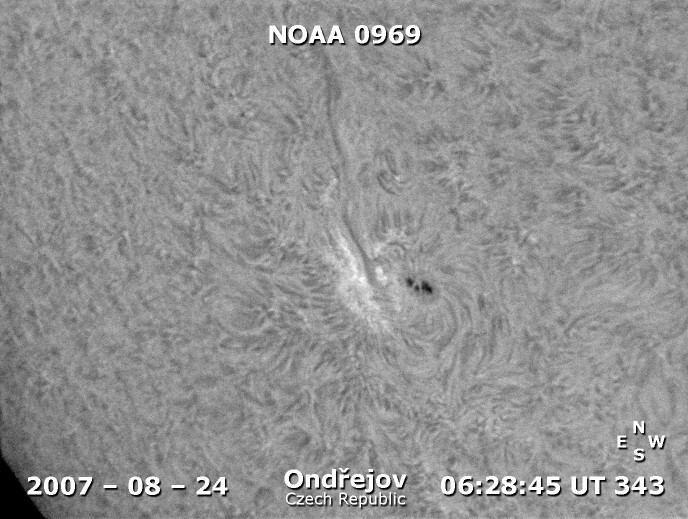 Kotrč P., Kupryakov Yu.A. and Kashapova L.K :2010; On width of H-alpha line-profile in solar flares, Community of European Solar Radio Astronomers (CESRA), La Roche en Ardenne (Belgium), Workshop 15-19 June 2010. 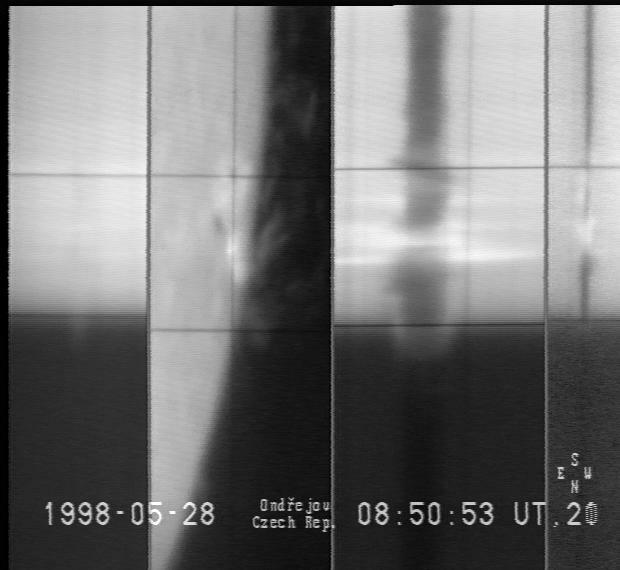 Kashapova L.K, Kotrč P., Kupryakov Yu.A. 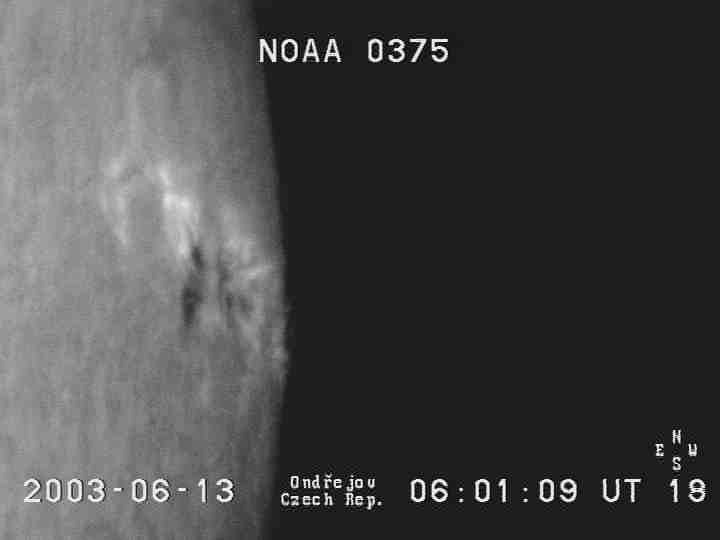 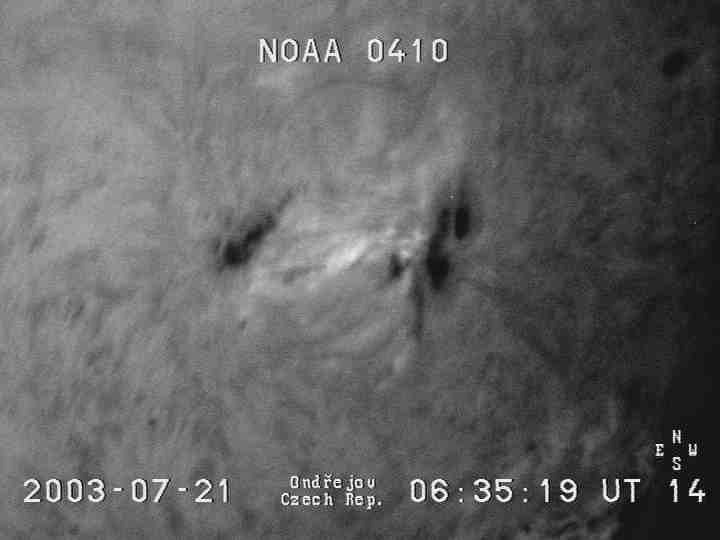 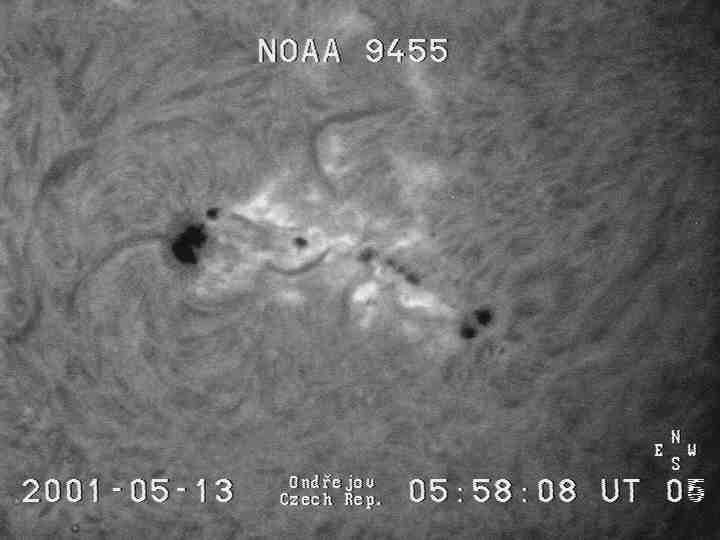 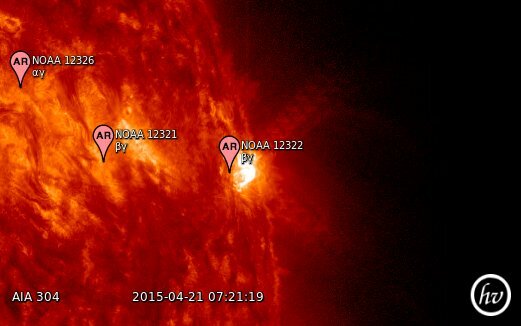 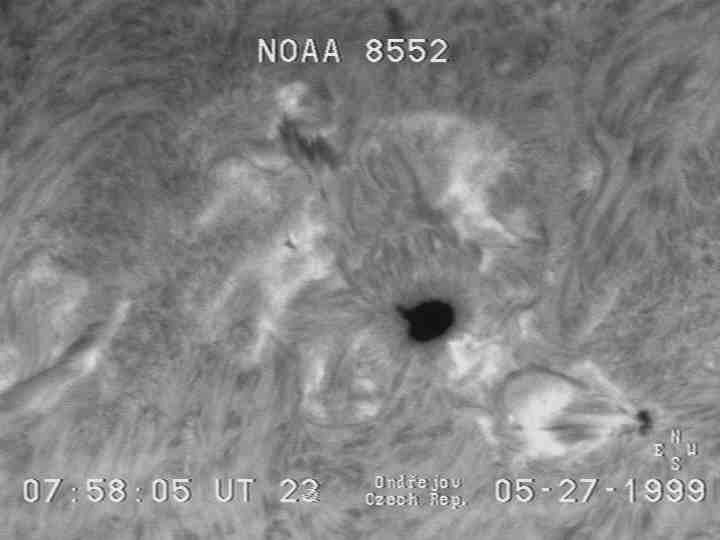 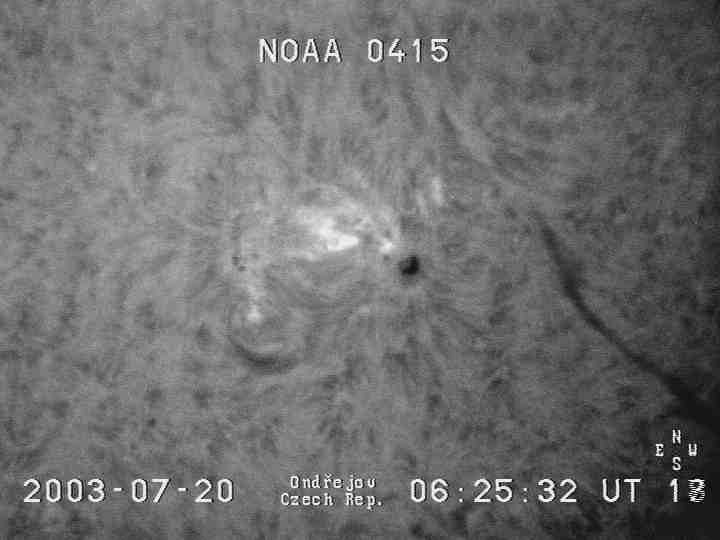 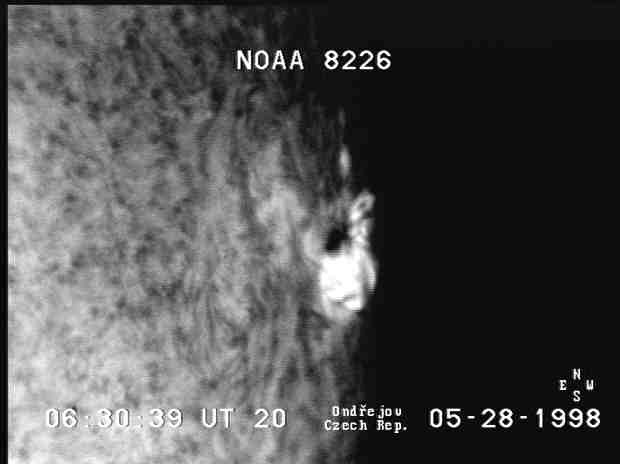 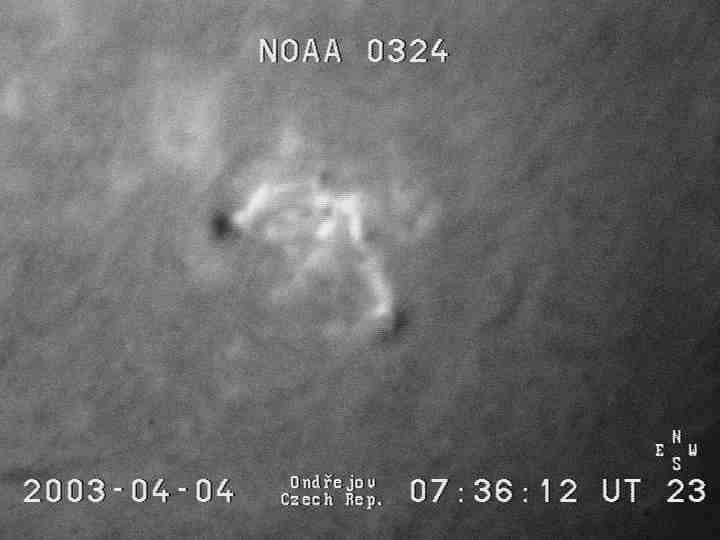 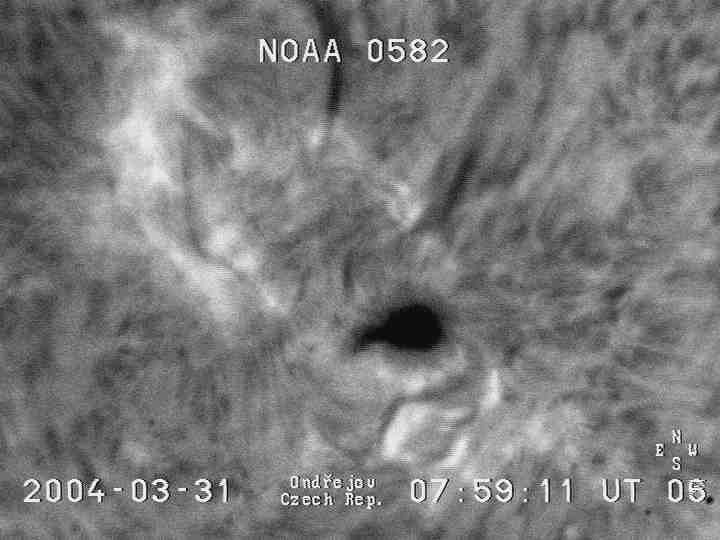 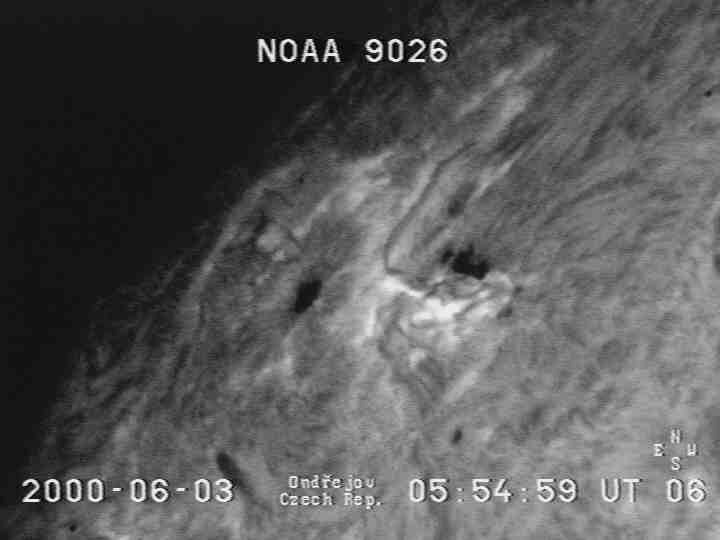 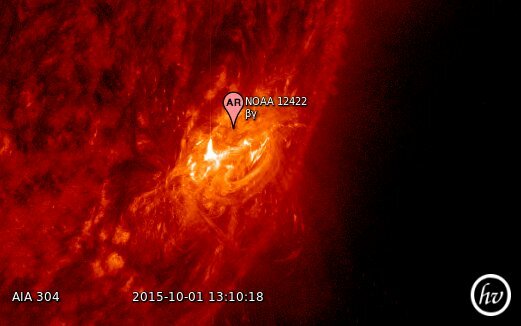 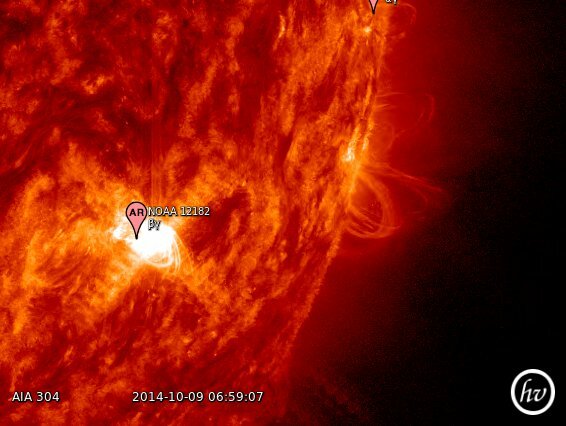 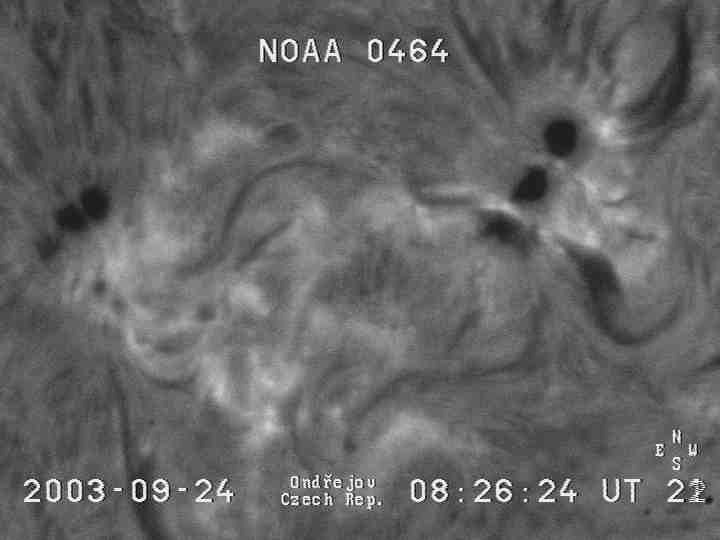 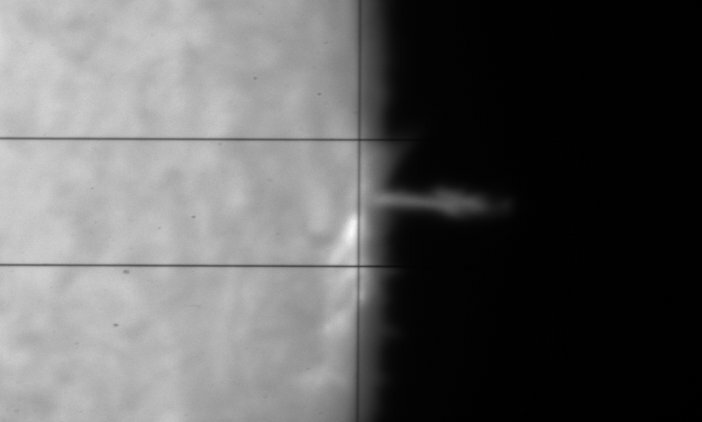 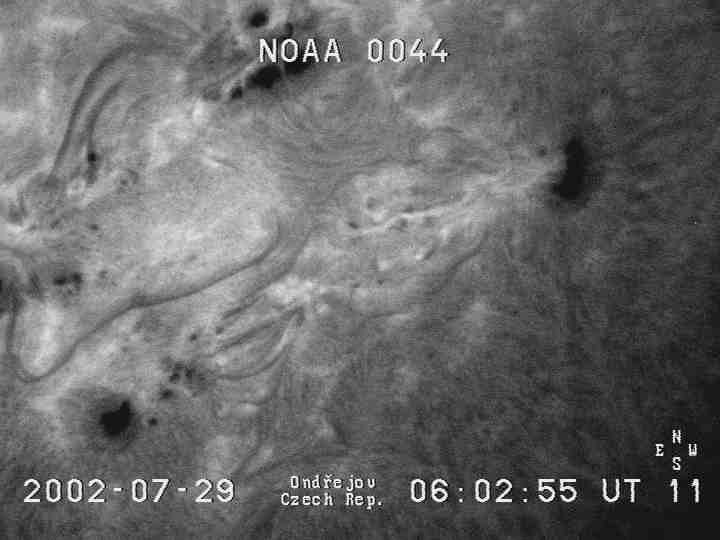 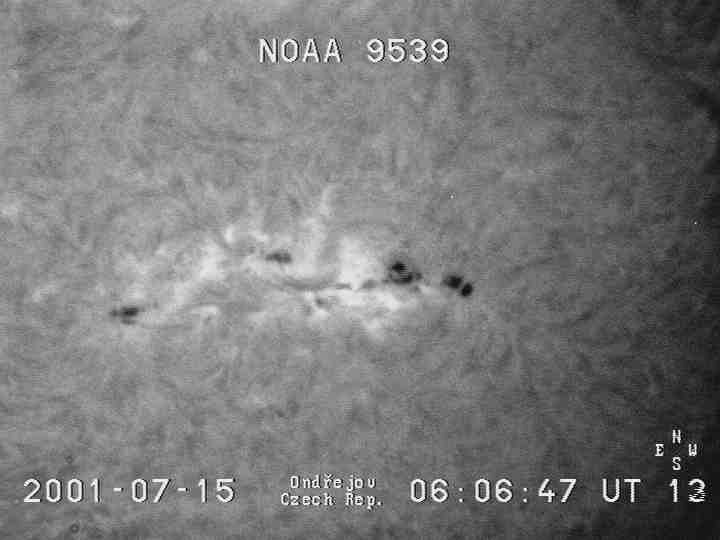 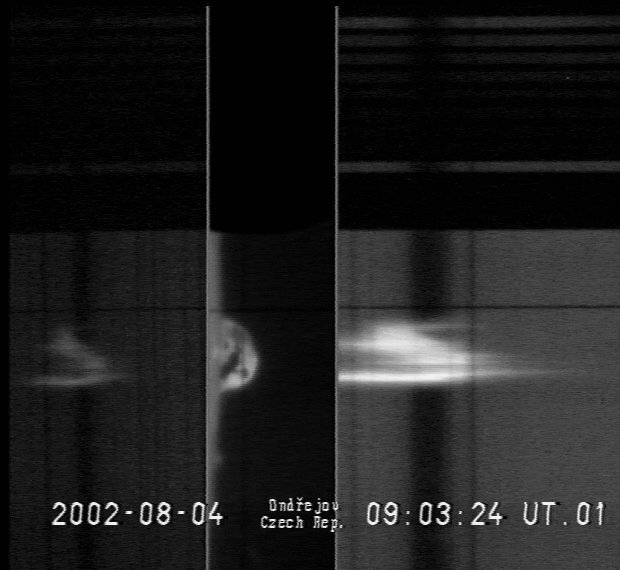 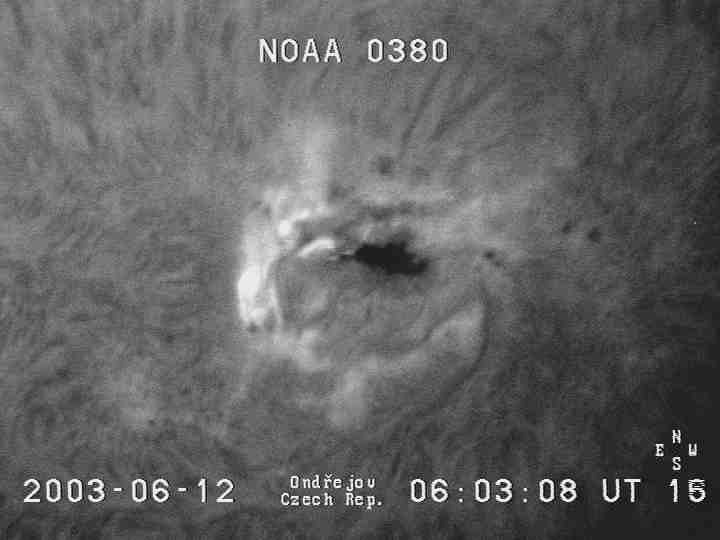 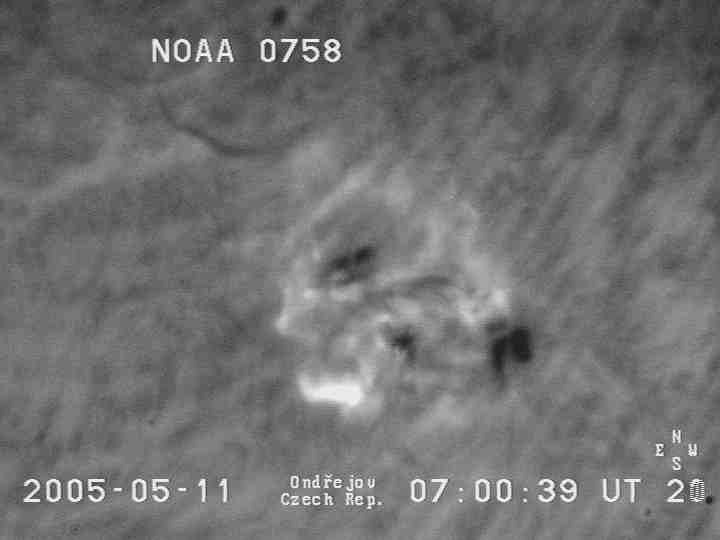 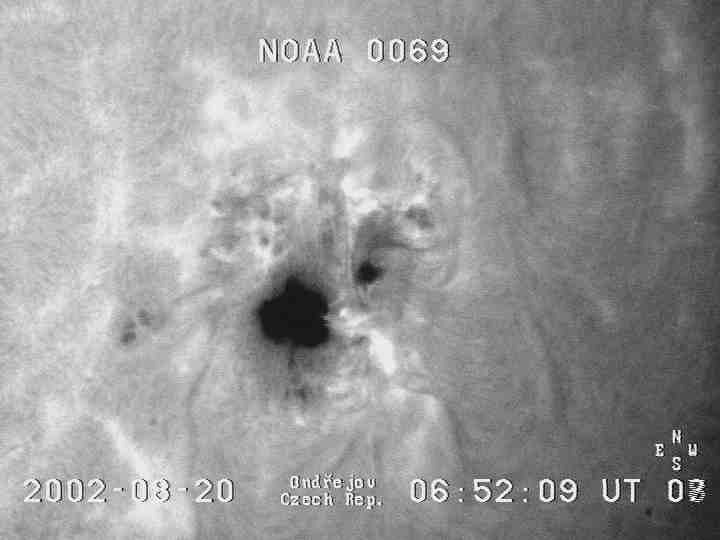 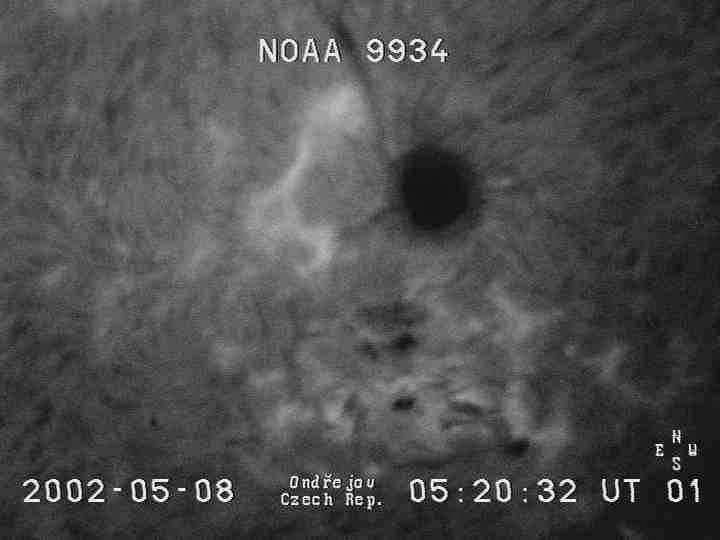 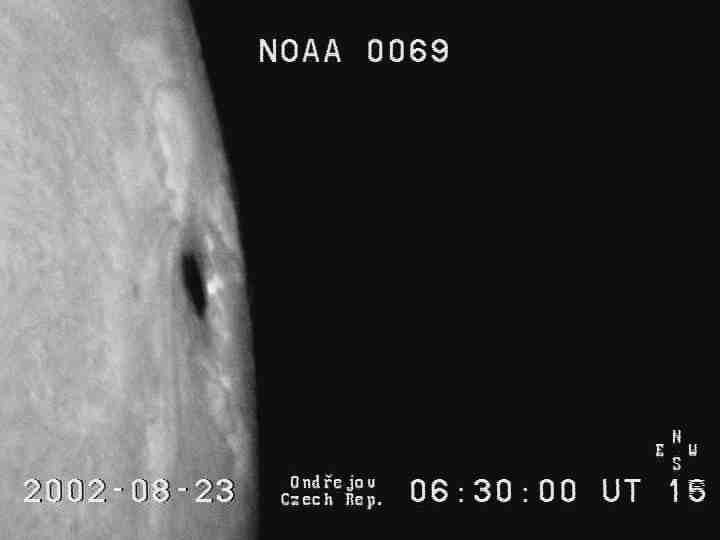 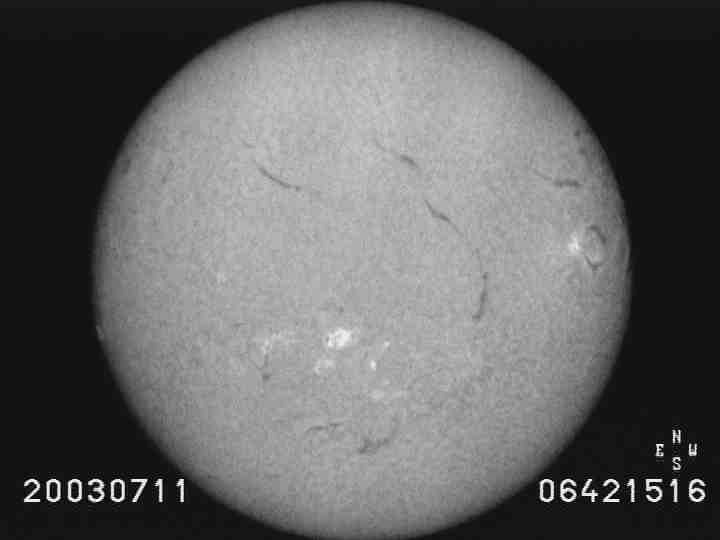 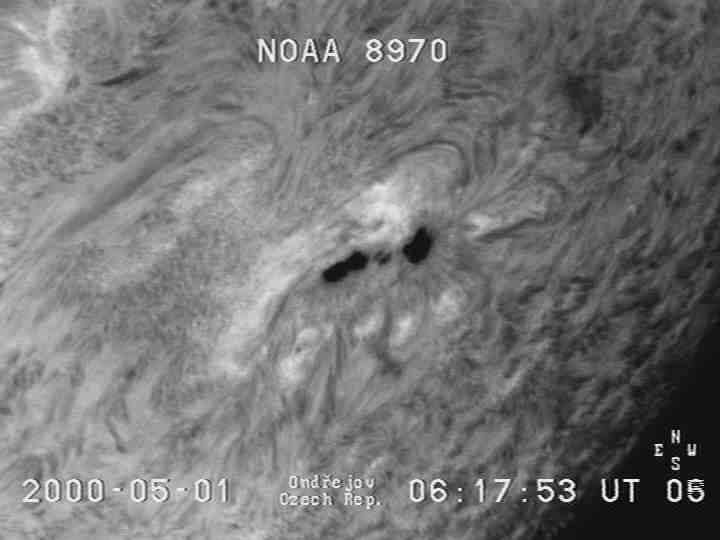 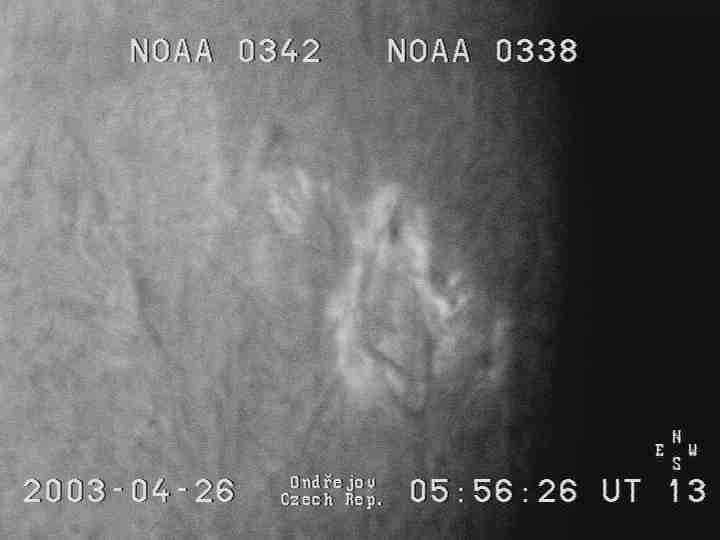 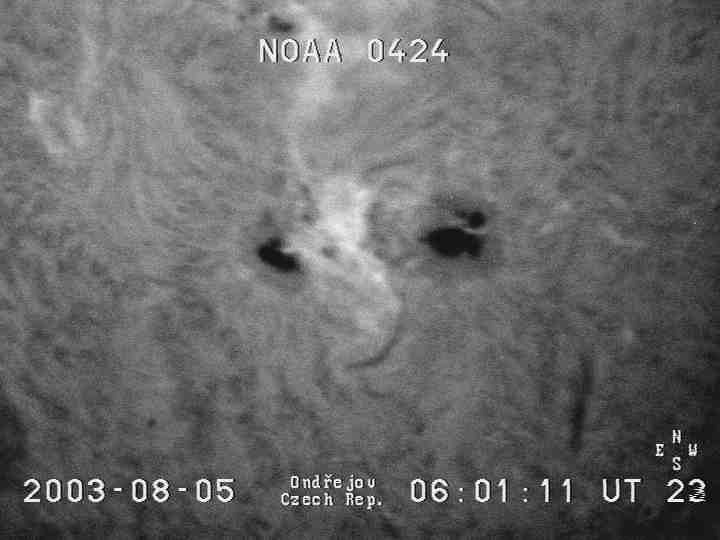 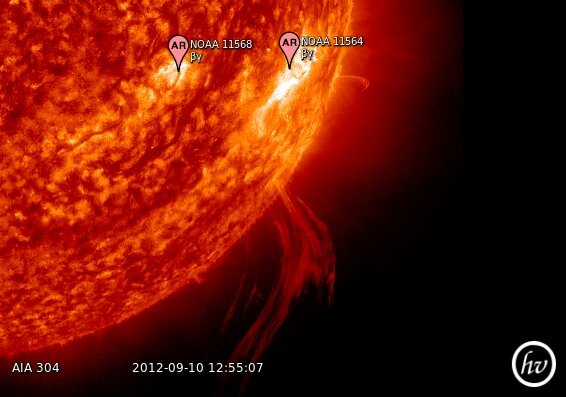 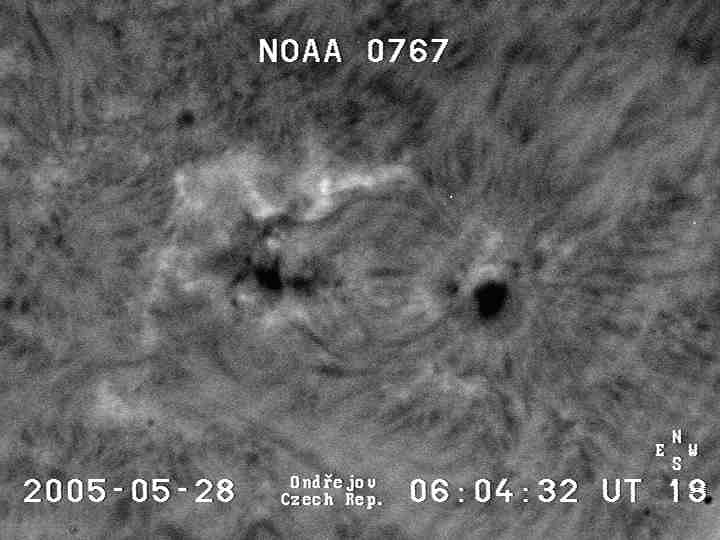 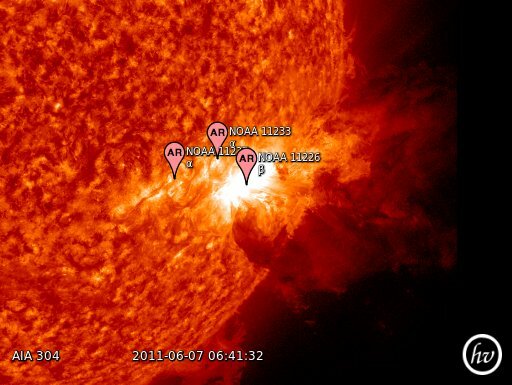 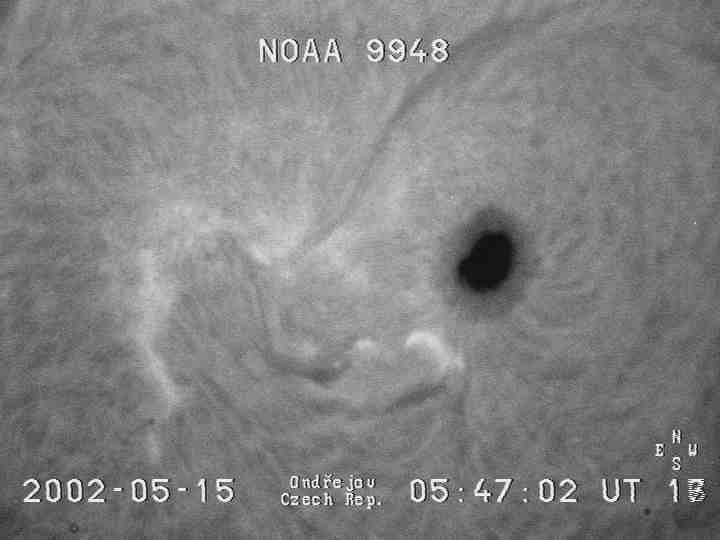 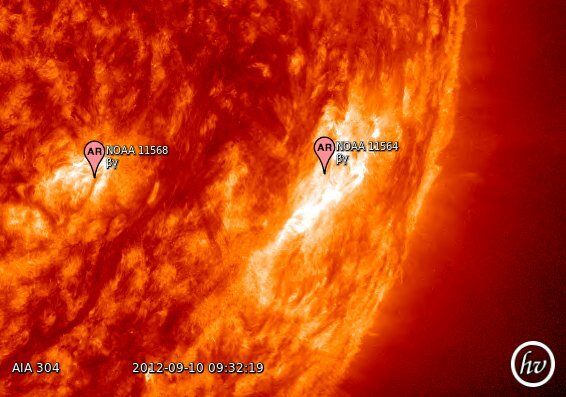 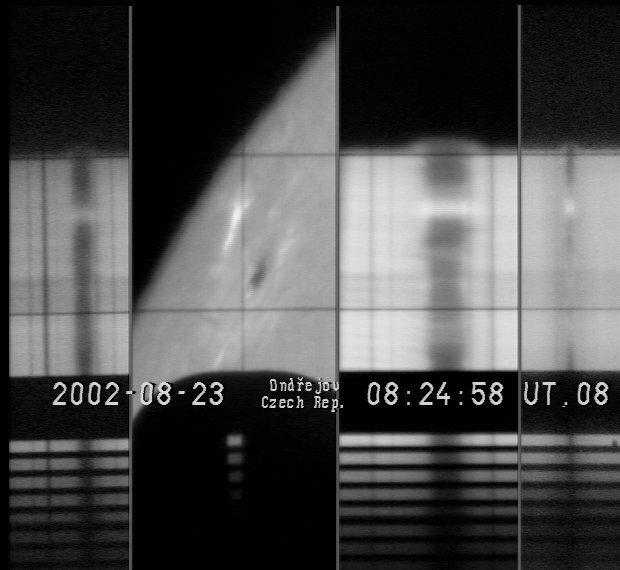 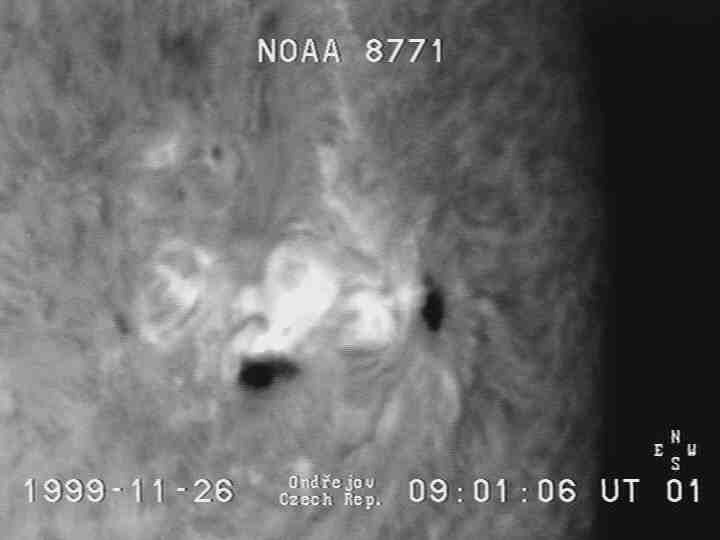 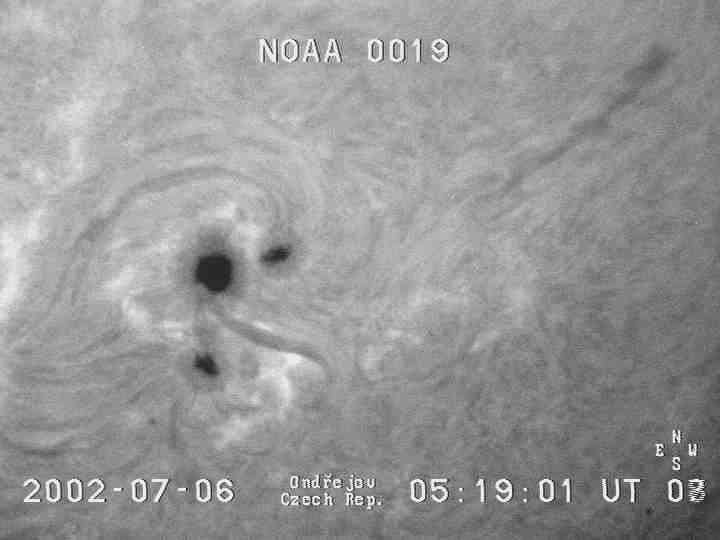 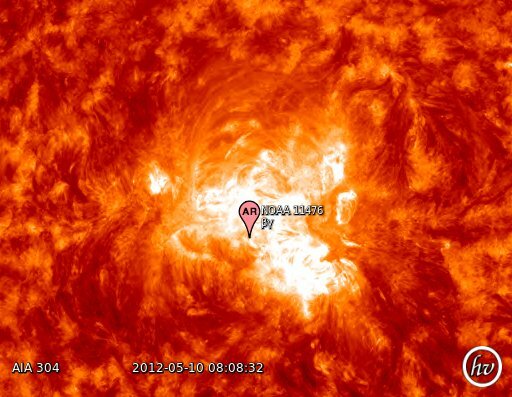 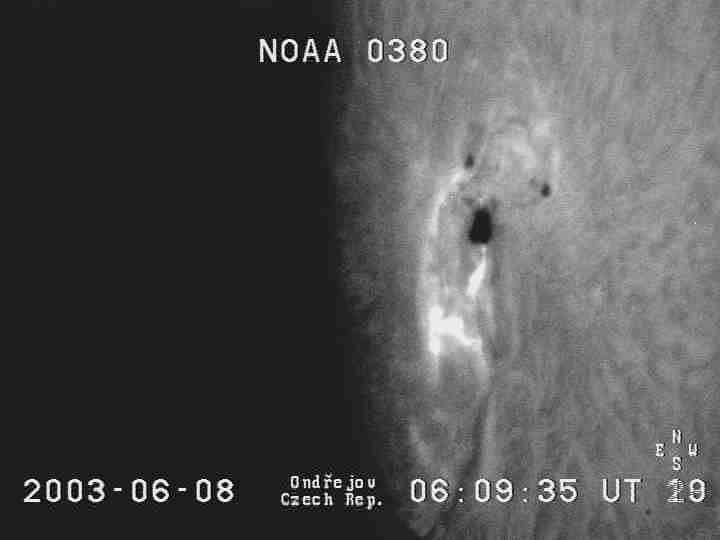 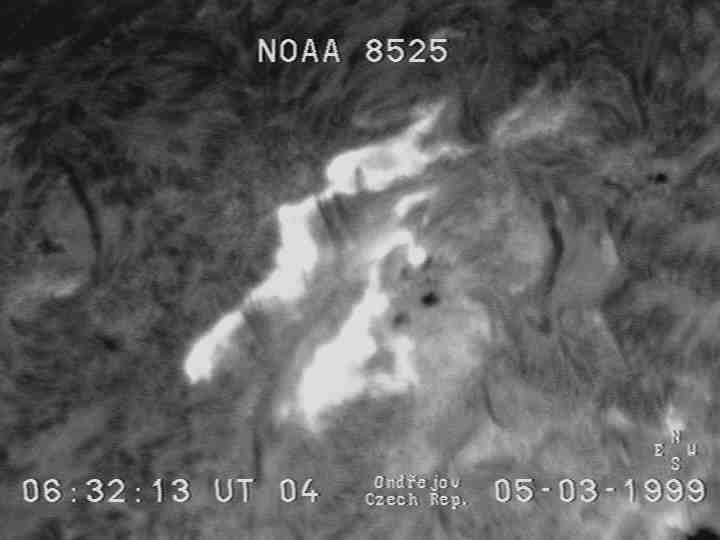 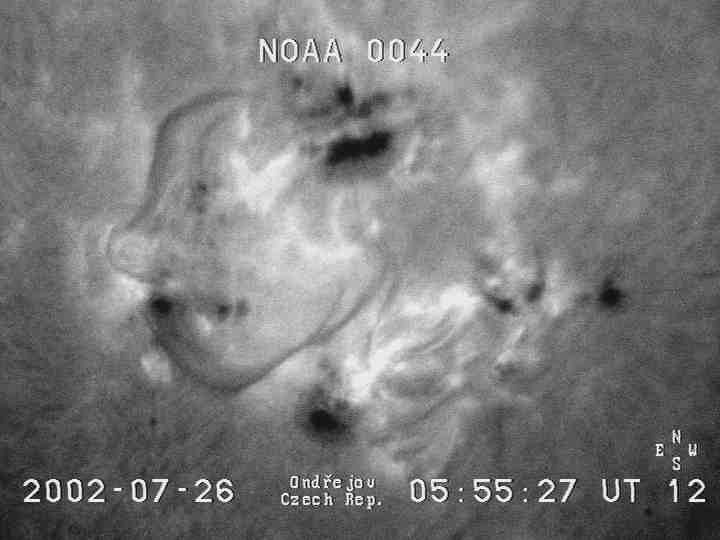 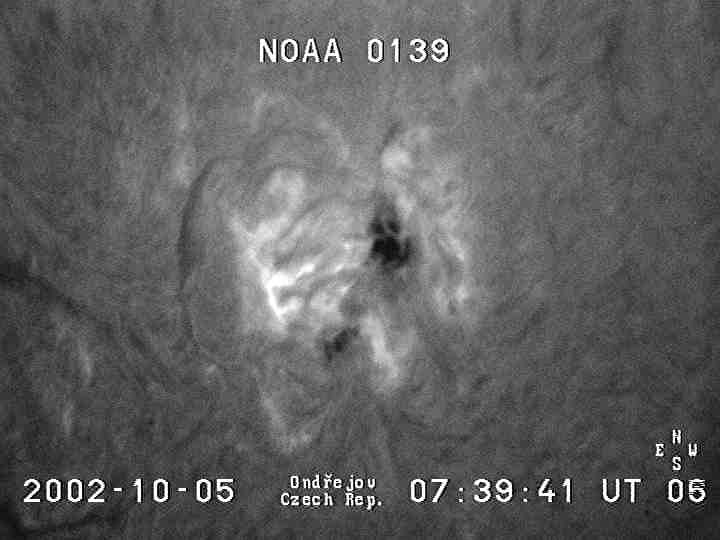 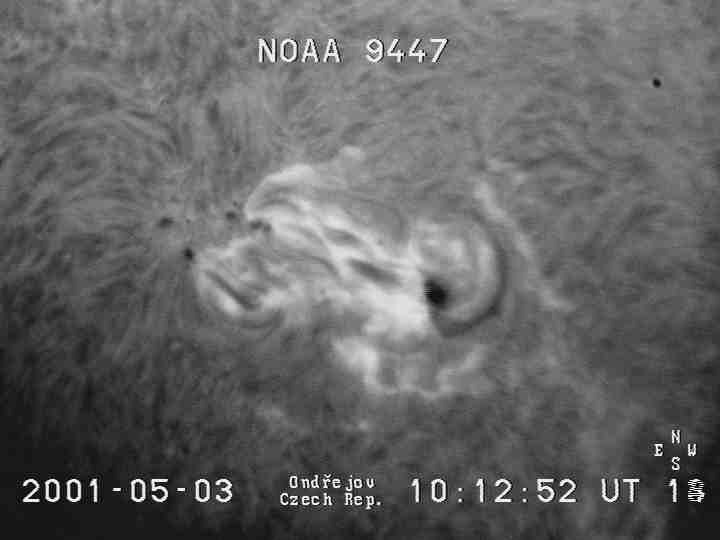 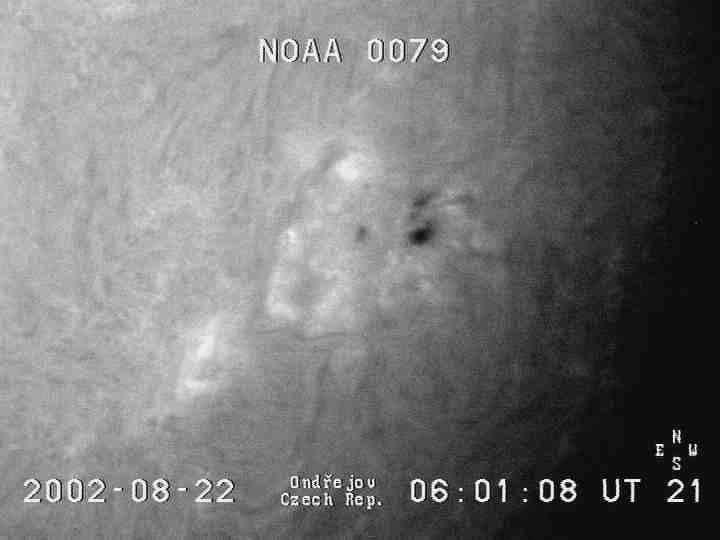 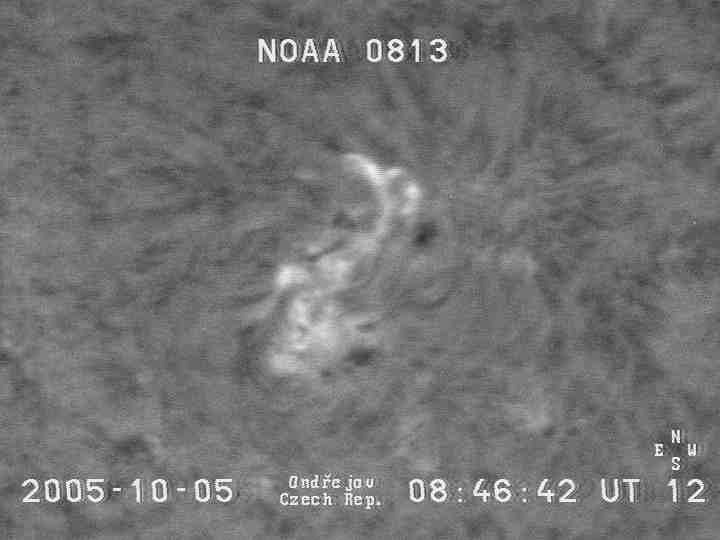 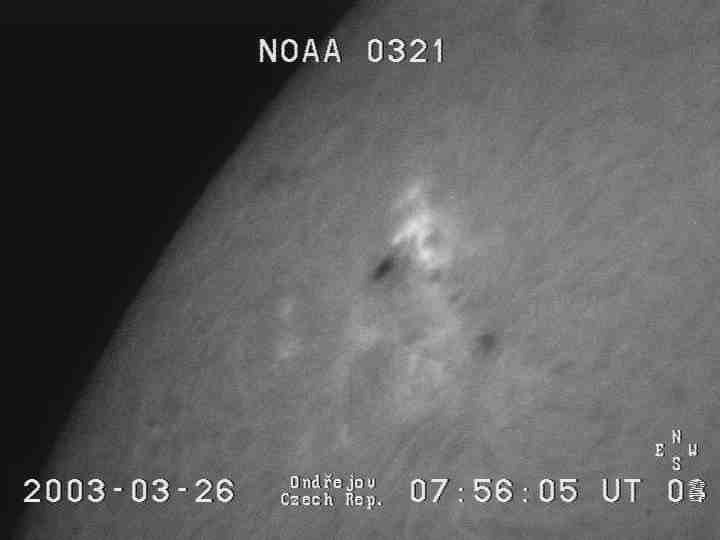 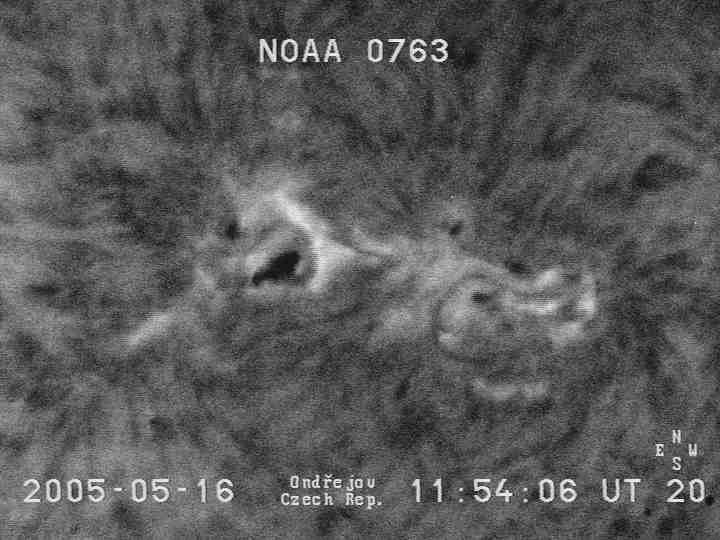 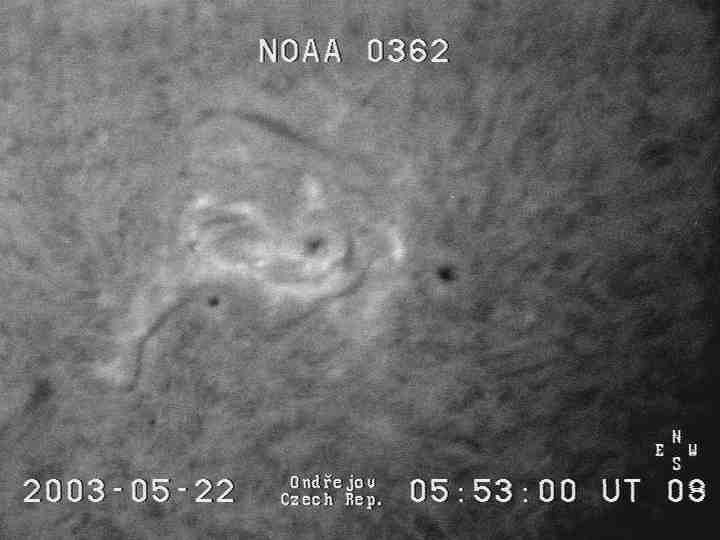 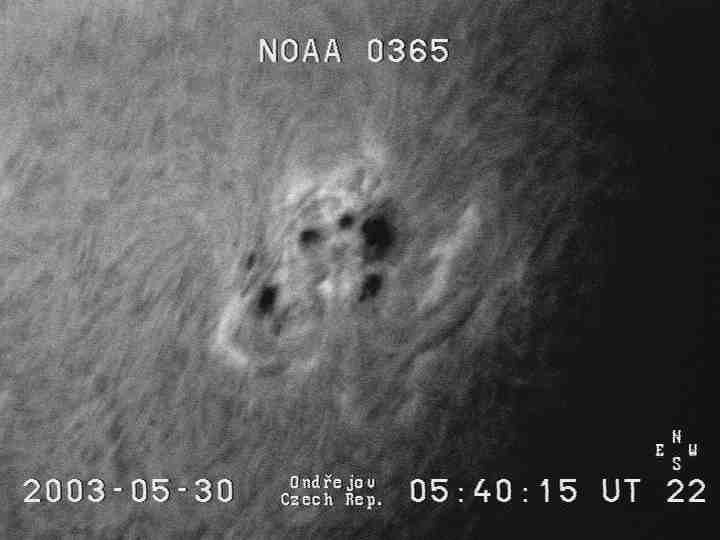 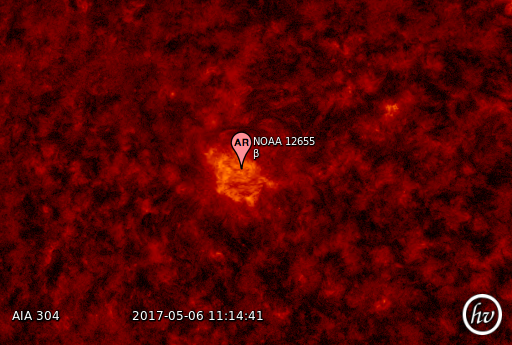 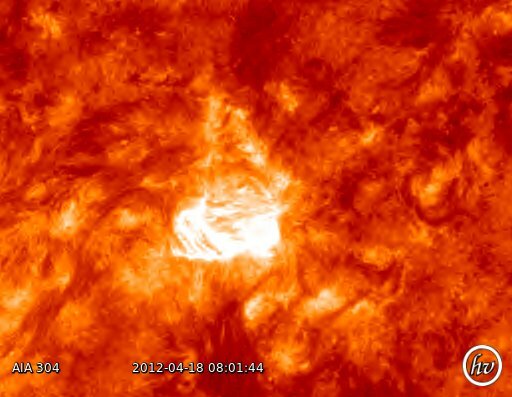 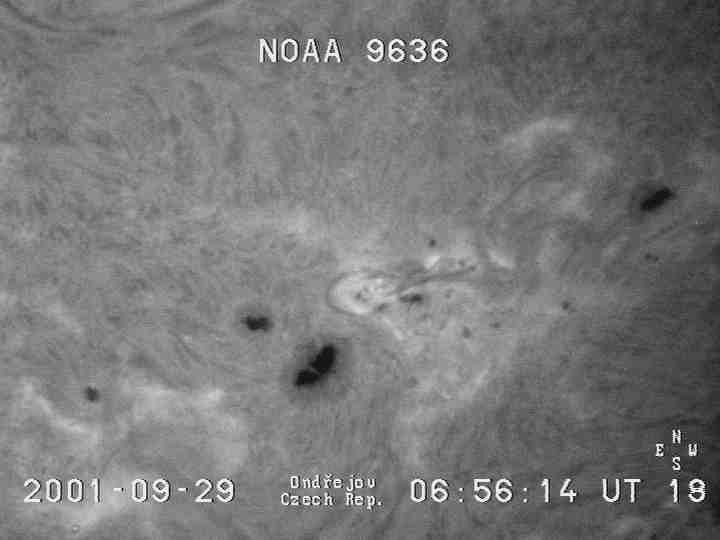 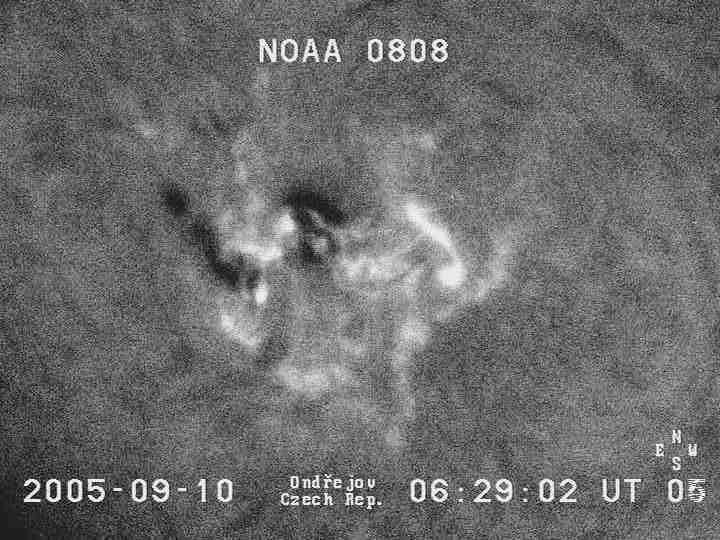 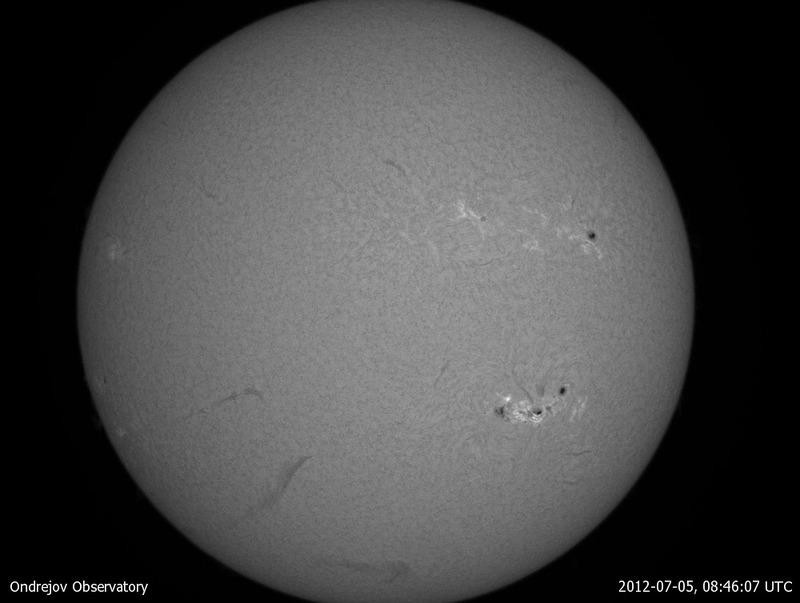 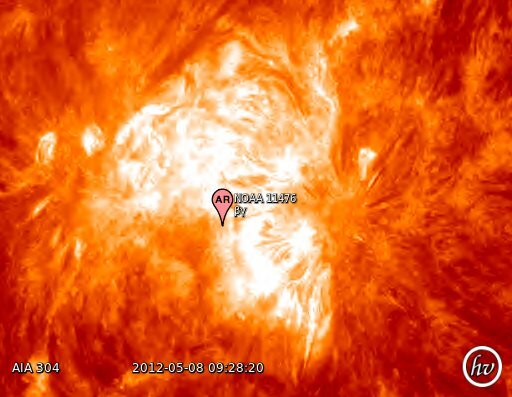 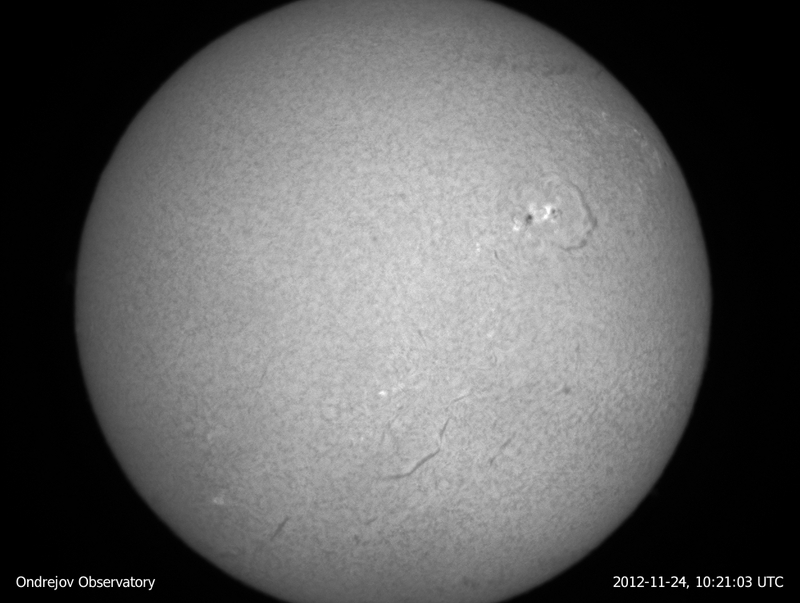 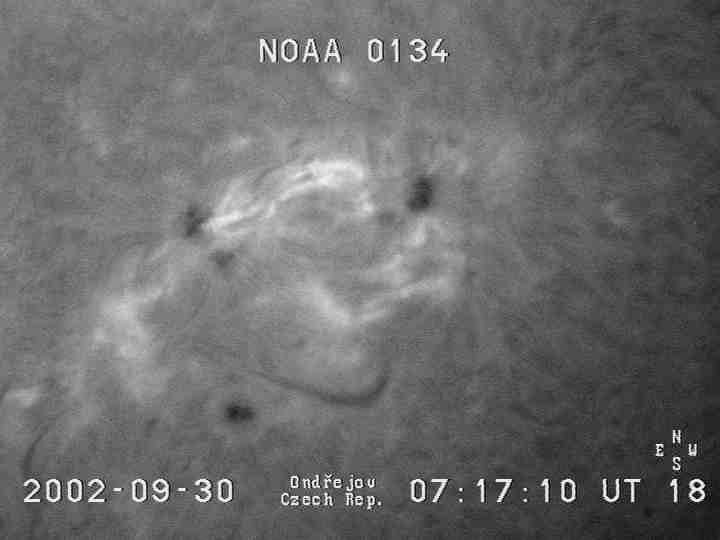 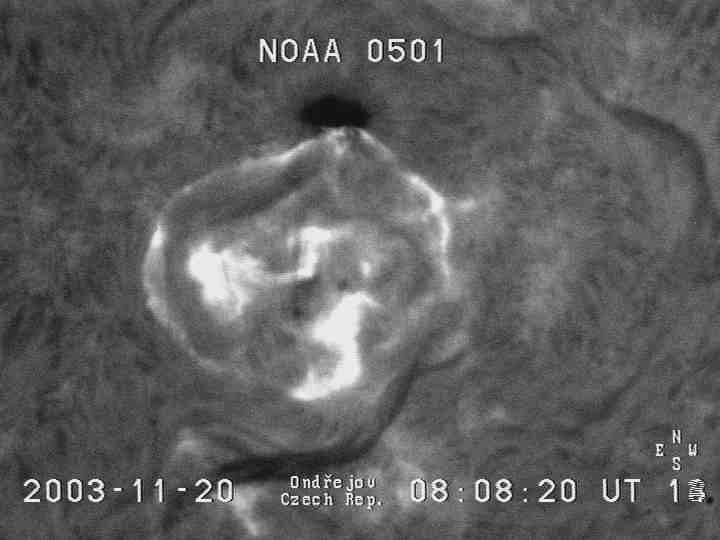 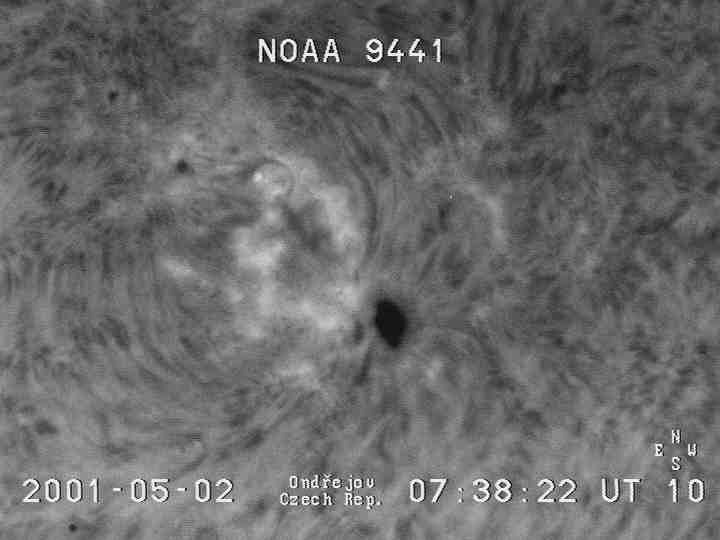 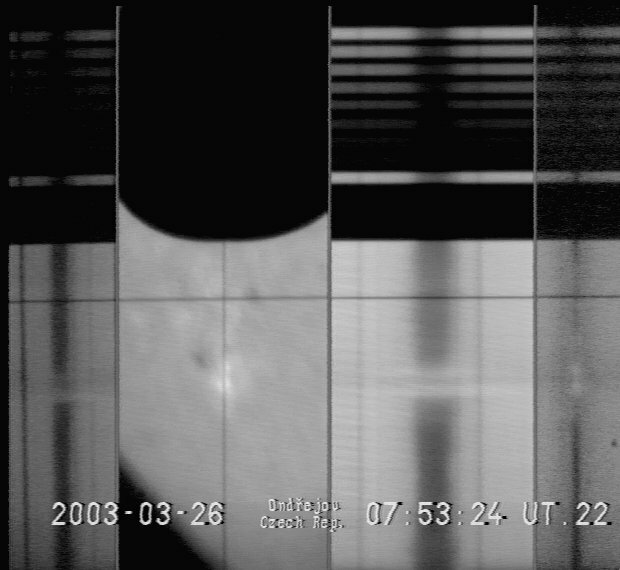 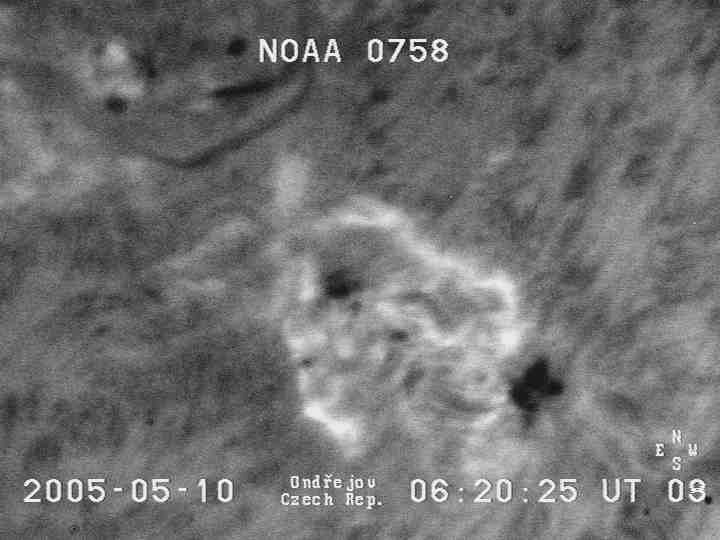 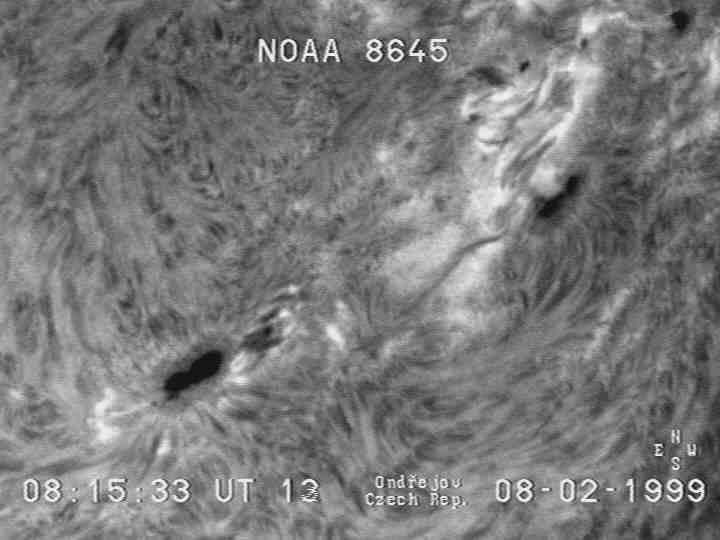 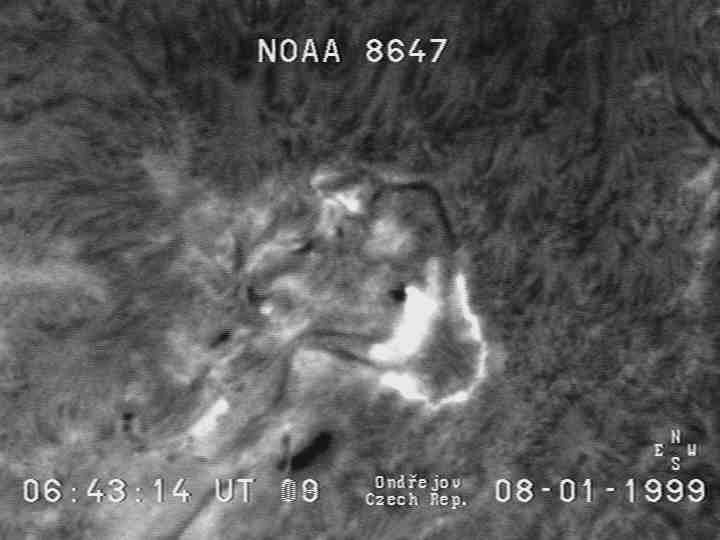 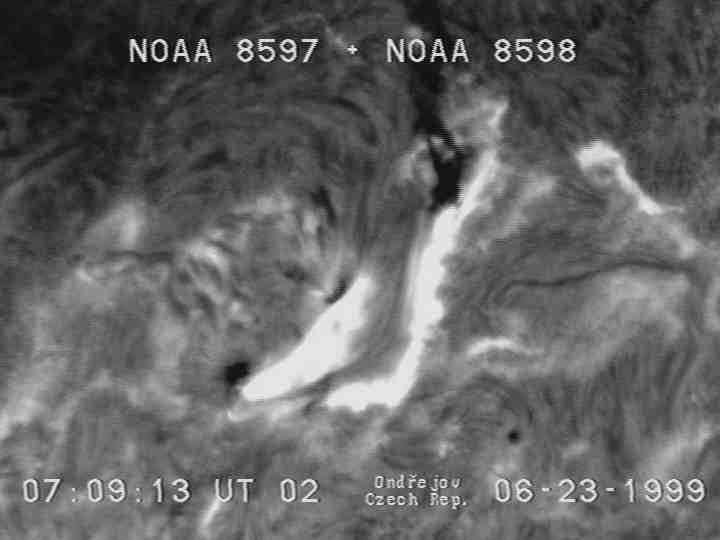 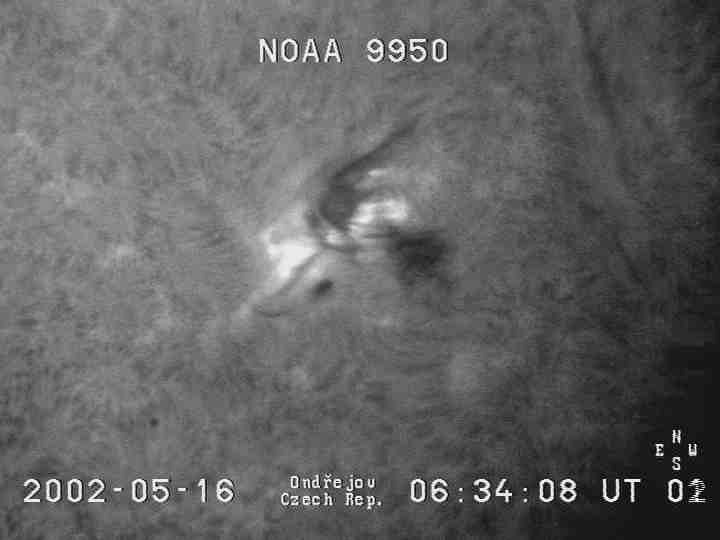 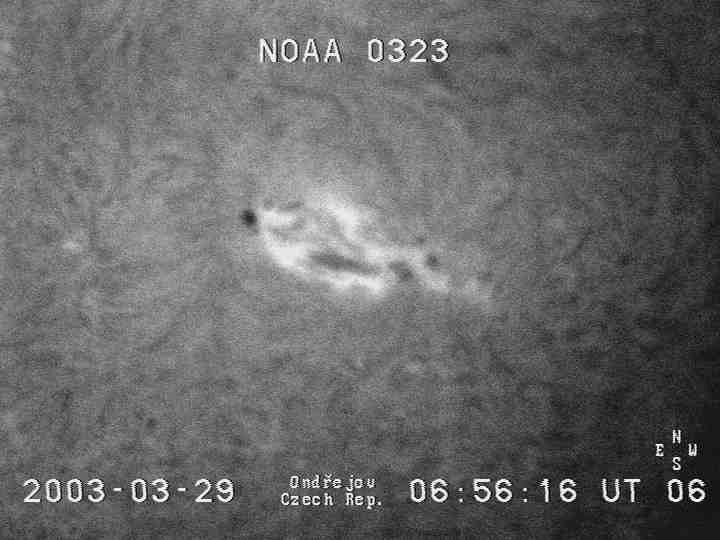 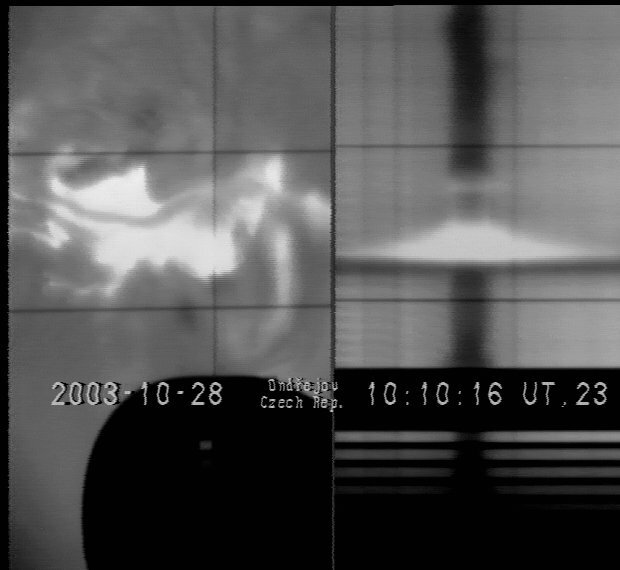 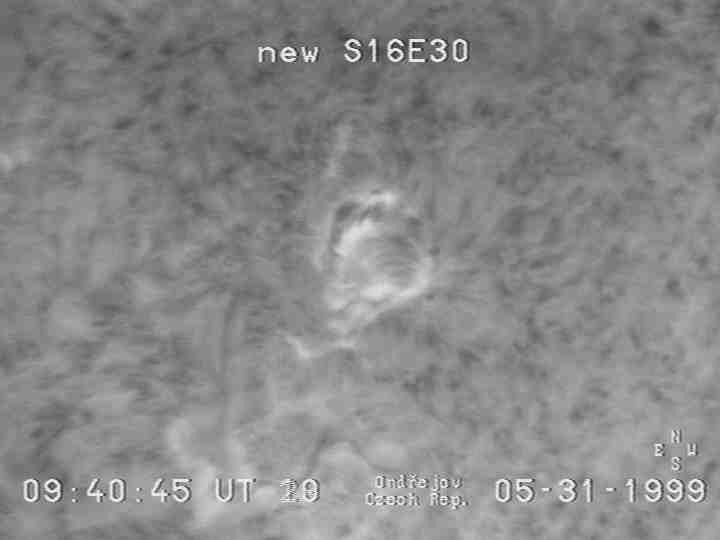 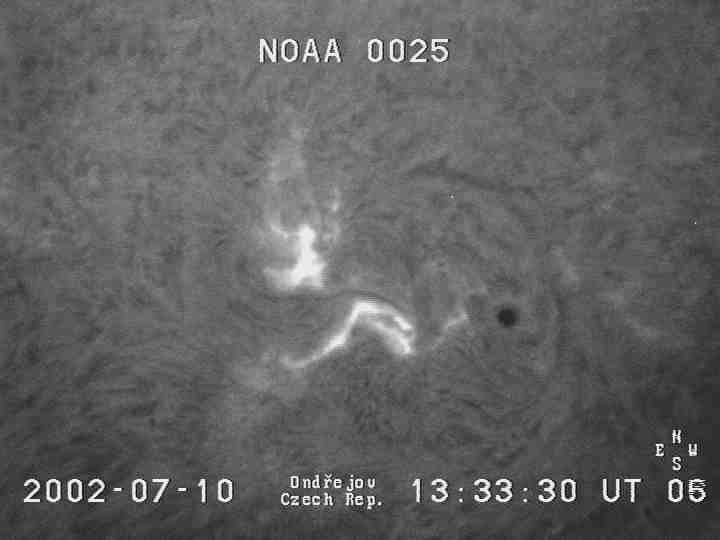 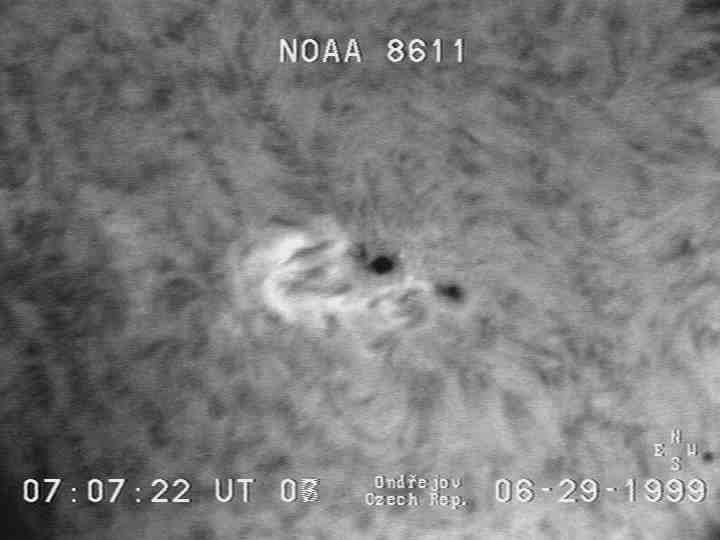 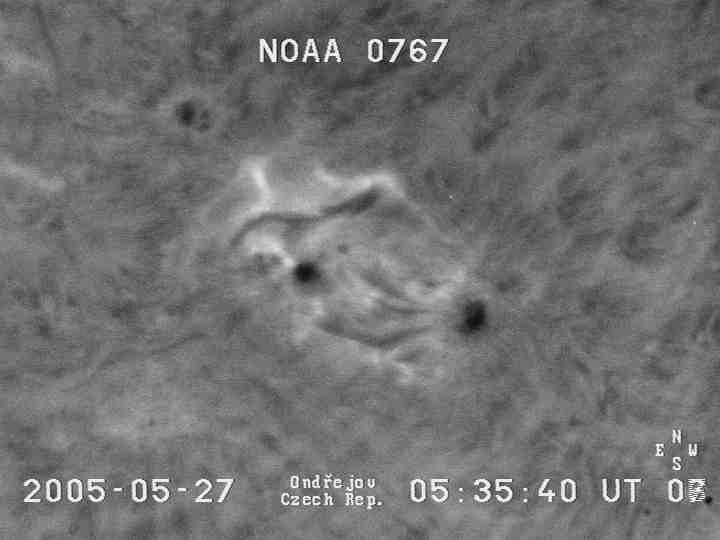 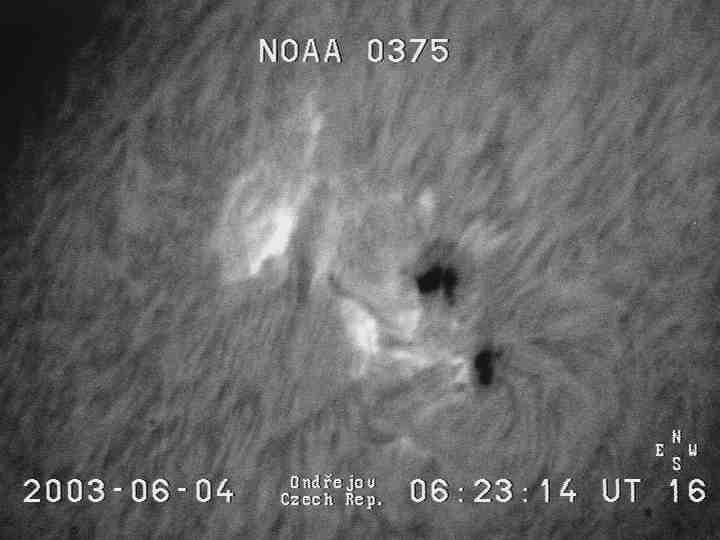 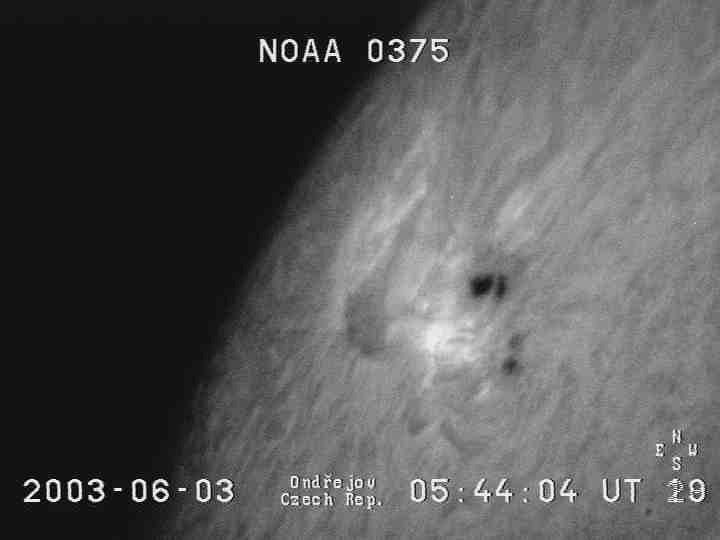 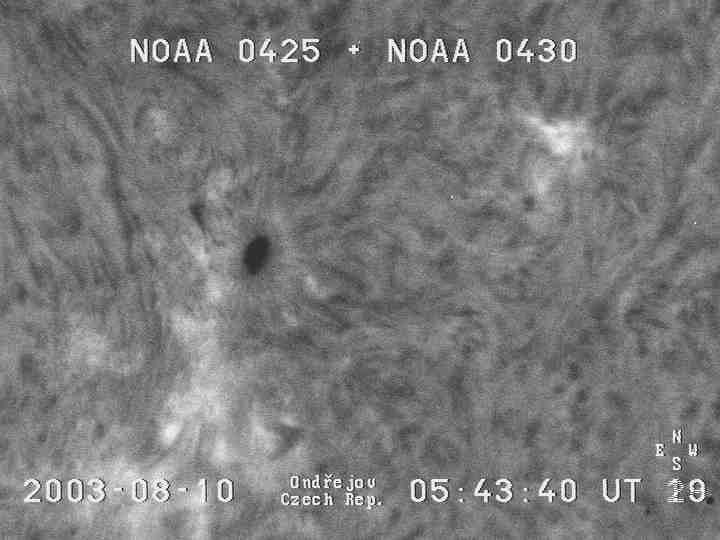 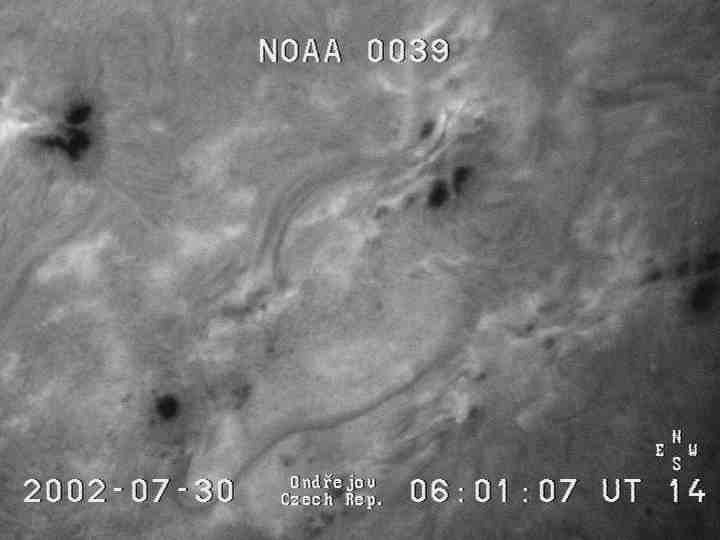 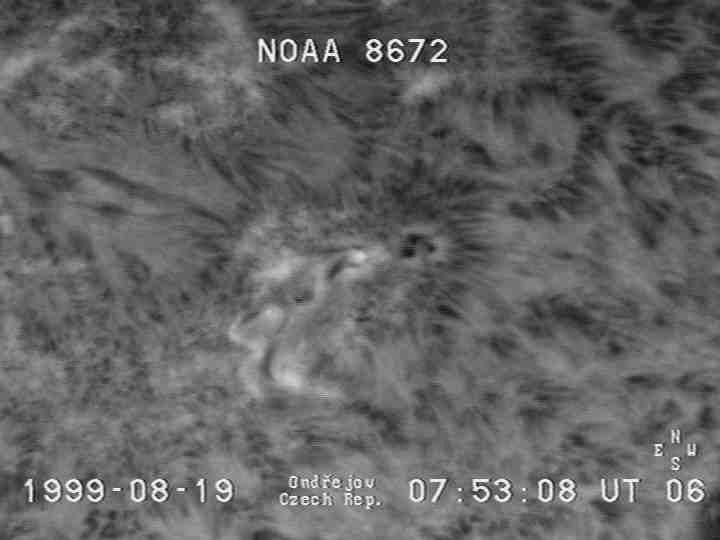 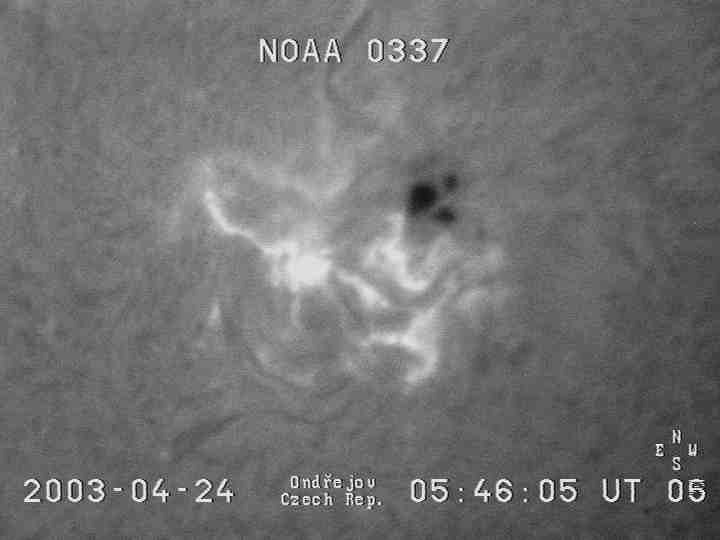 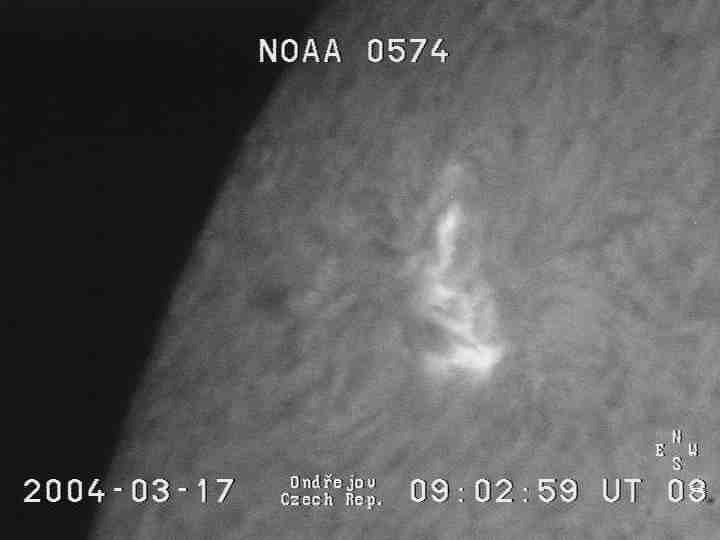 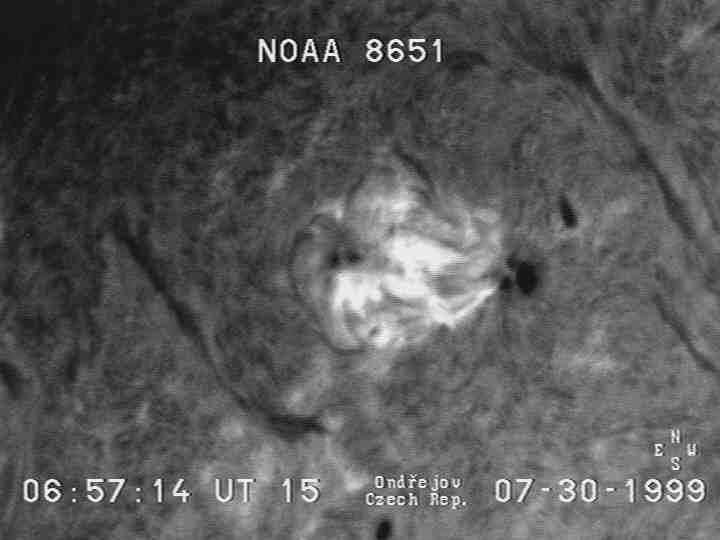 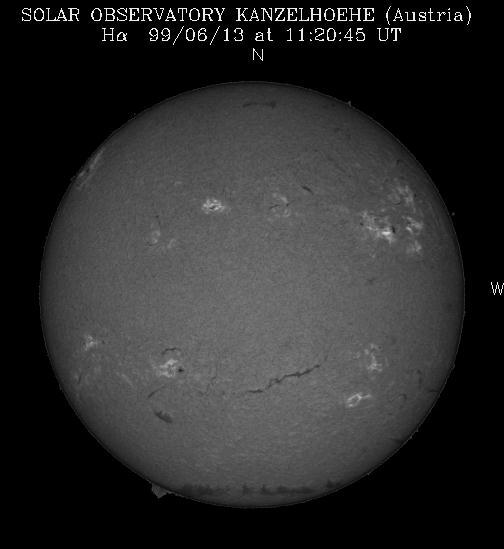 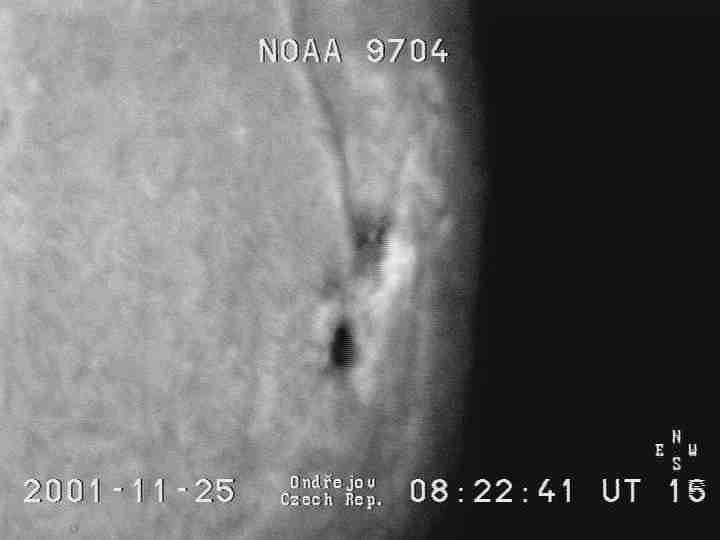 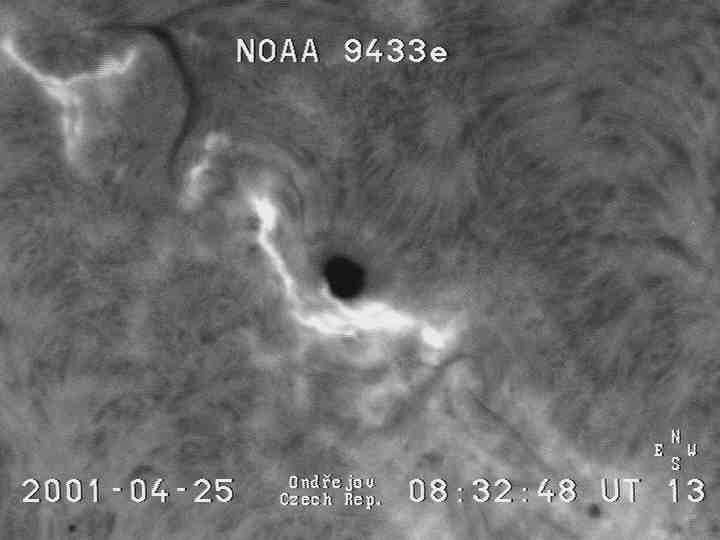 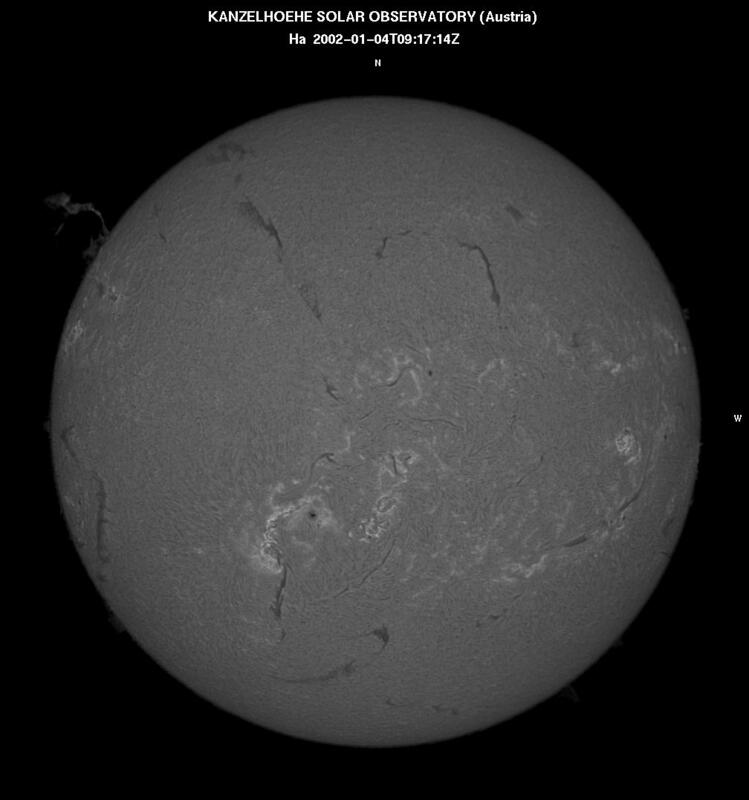 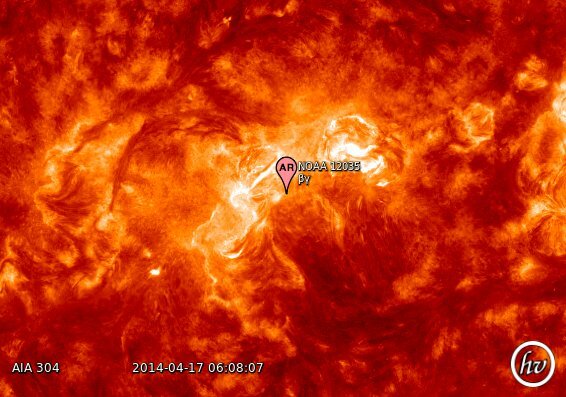 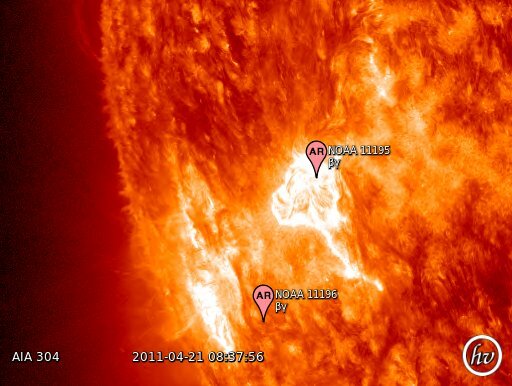 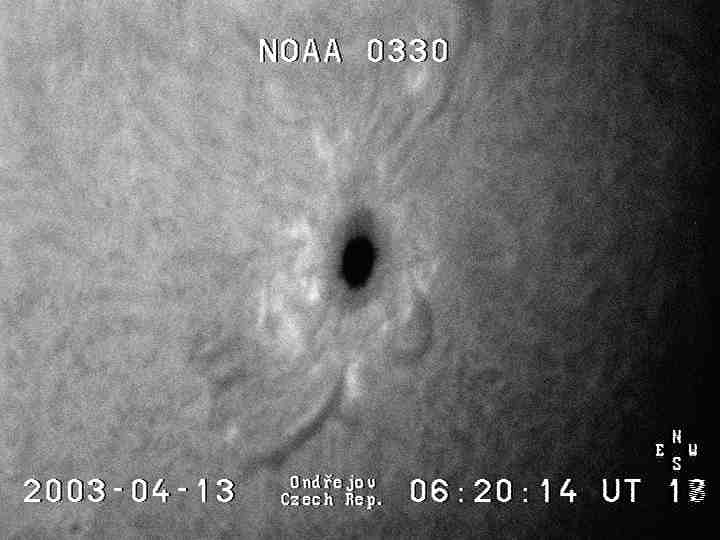 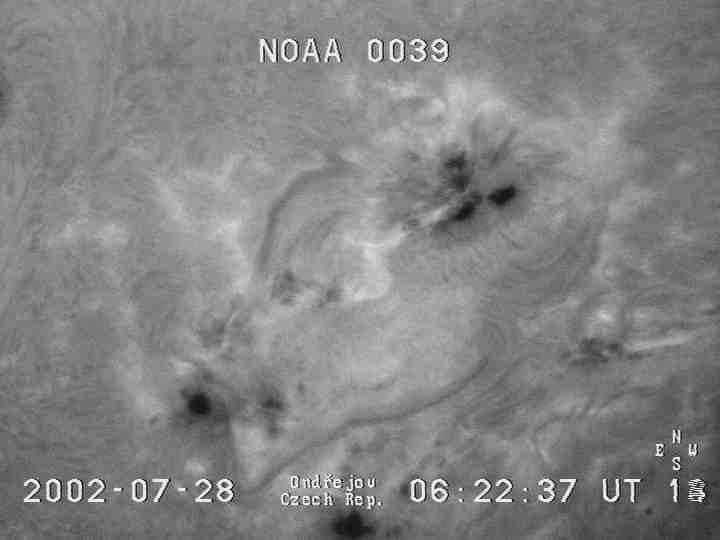 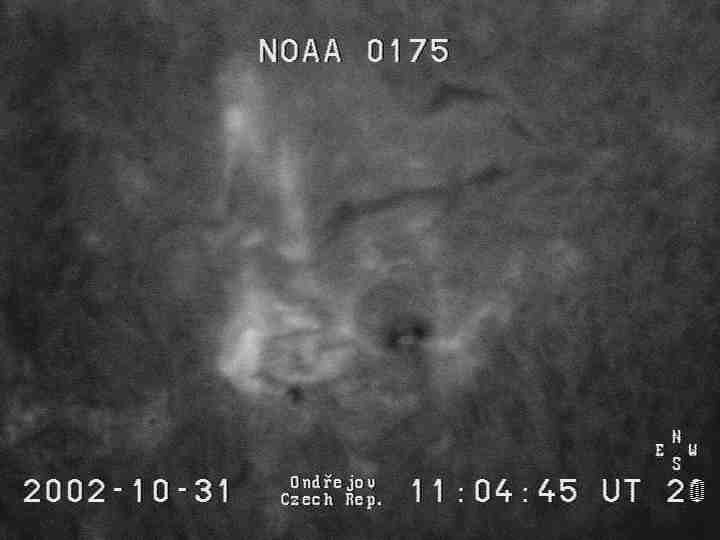 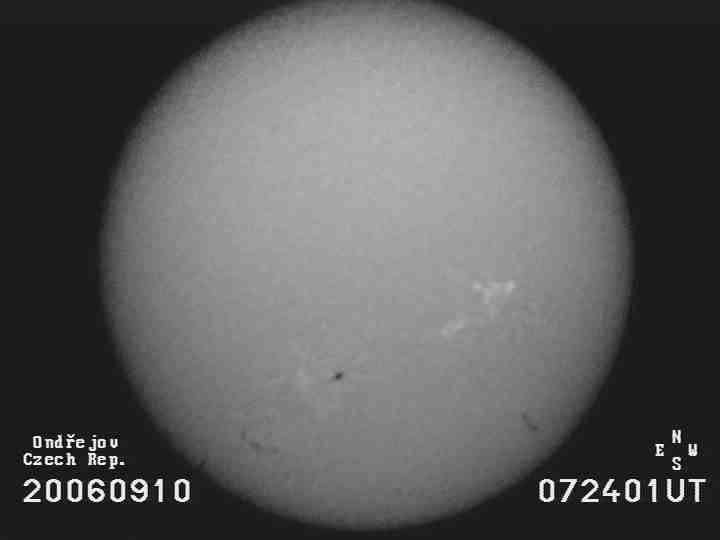 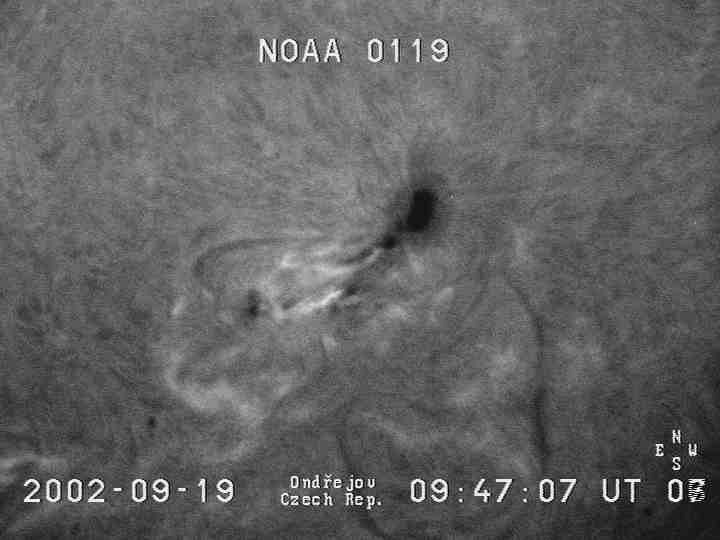 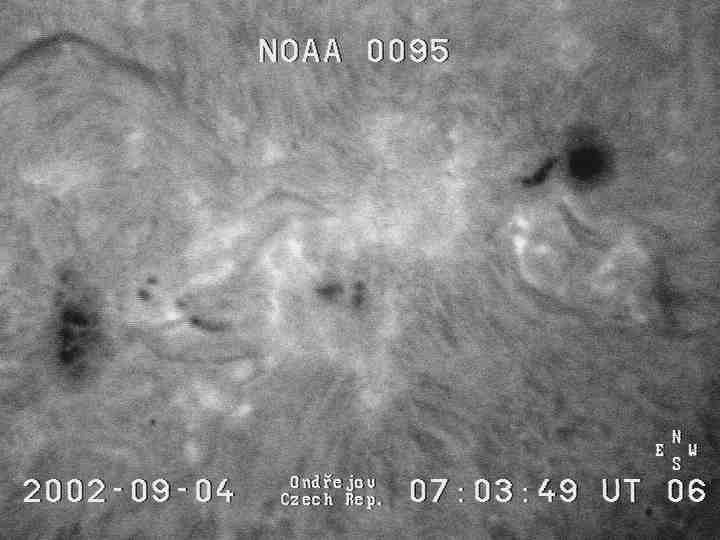 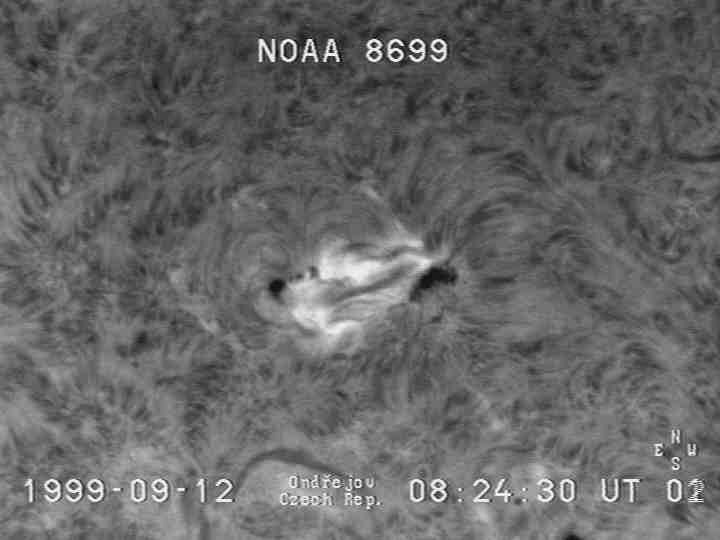 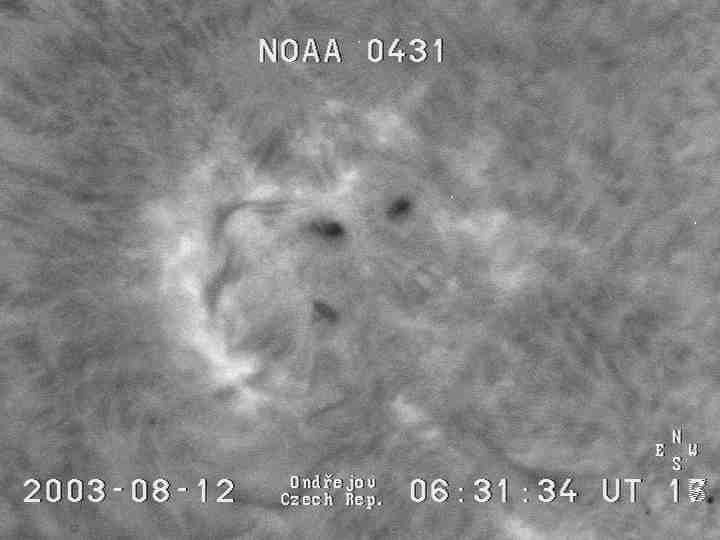 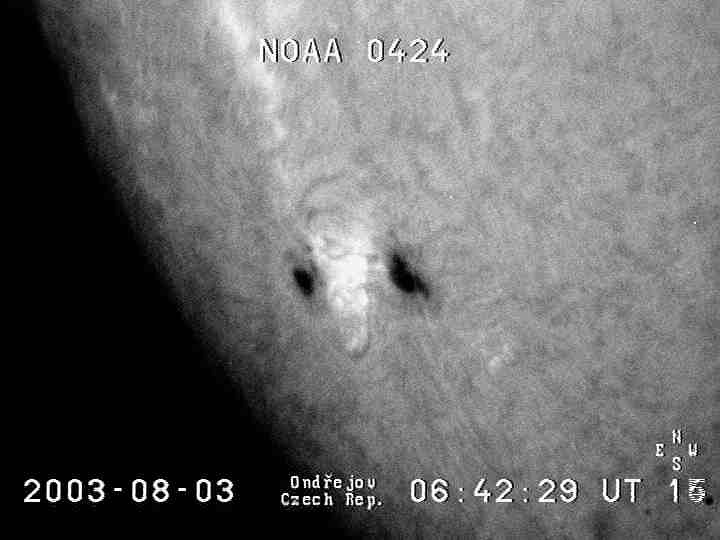 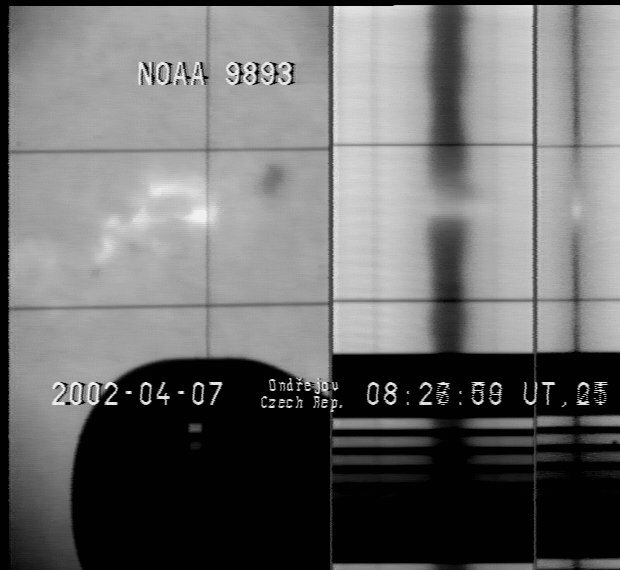 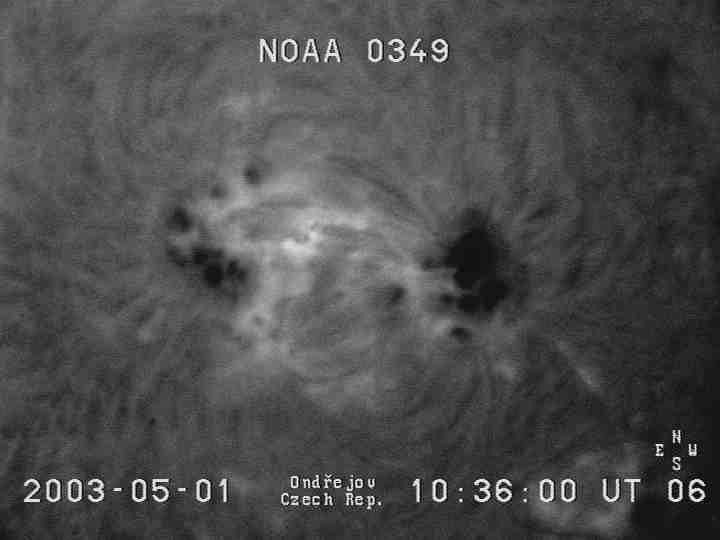 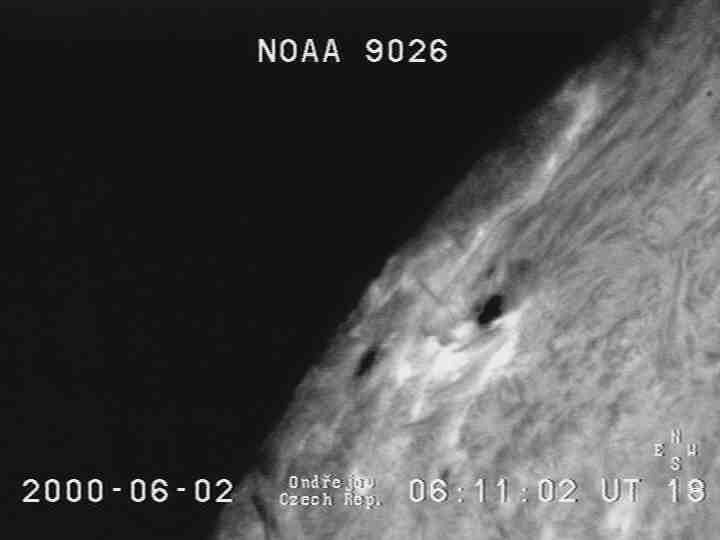 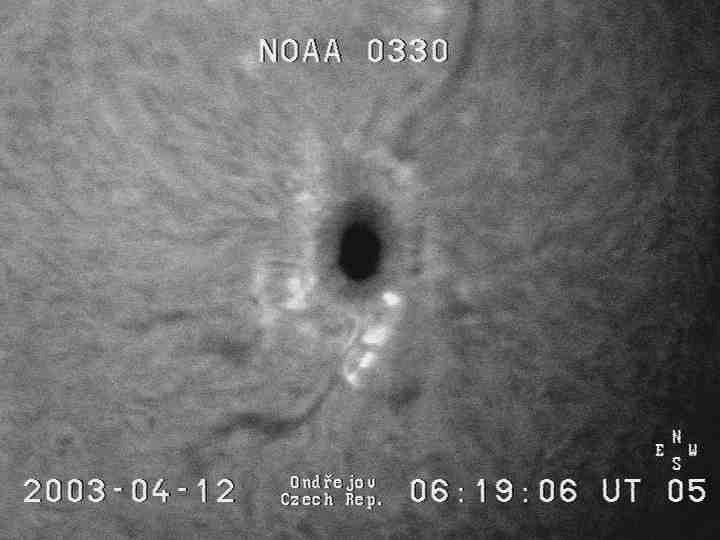 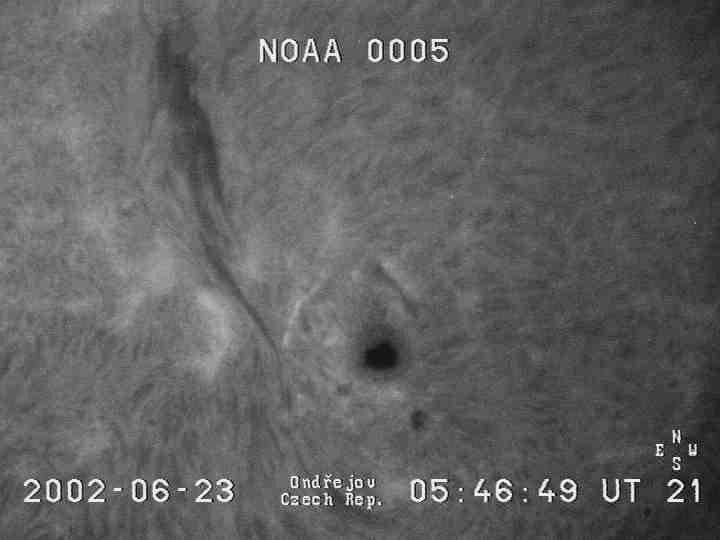 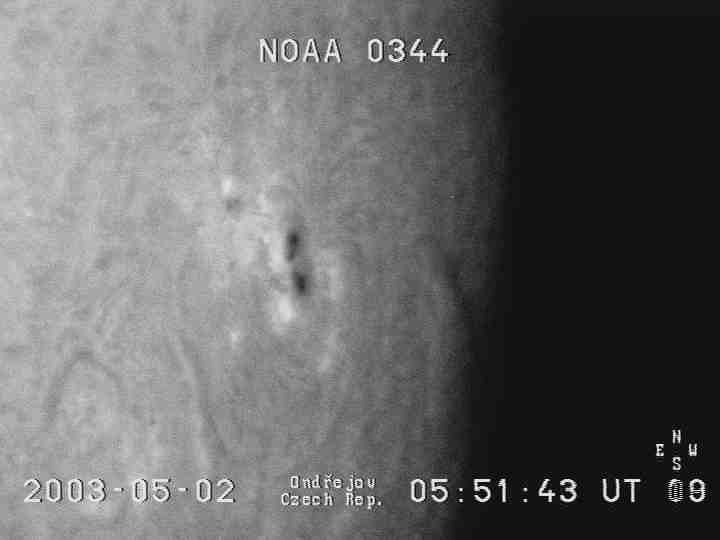 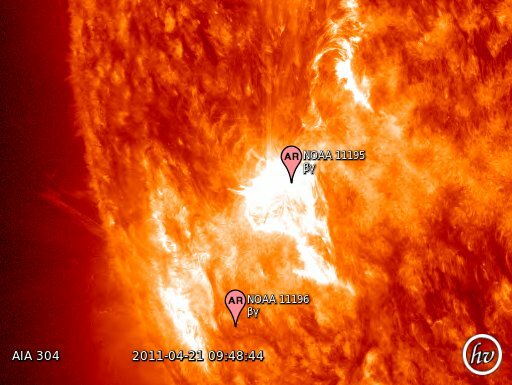 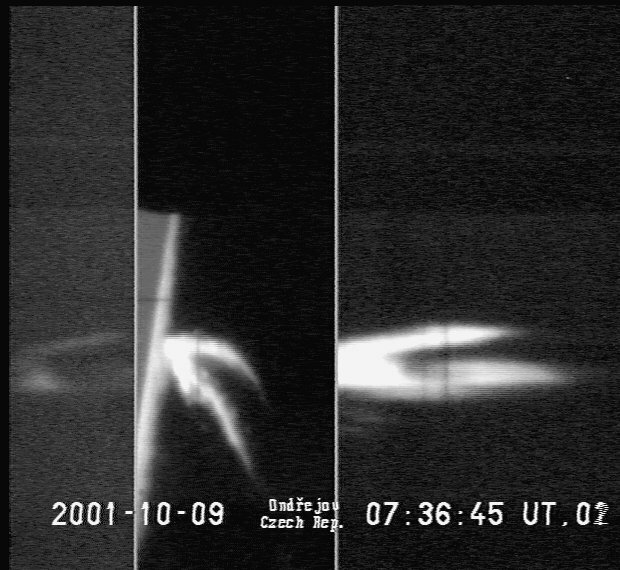 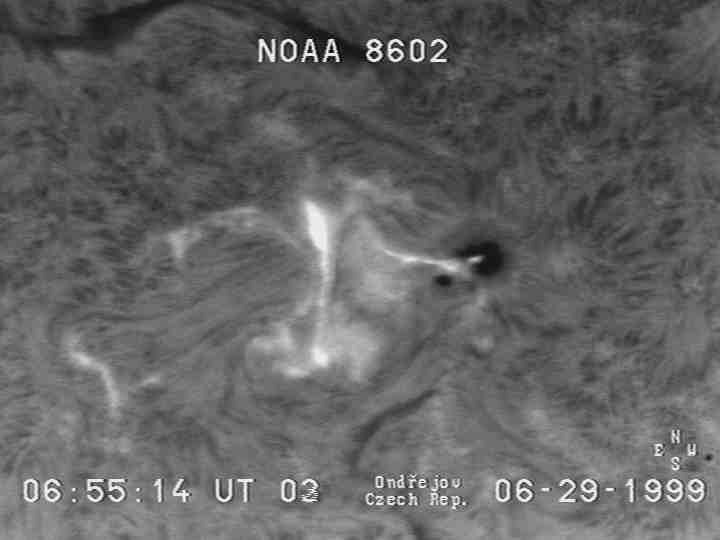 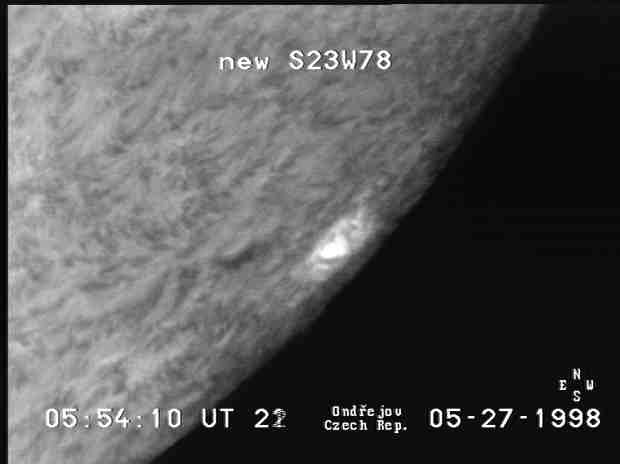 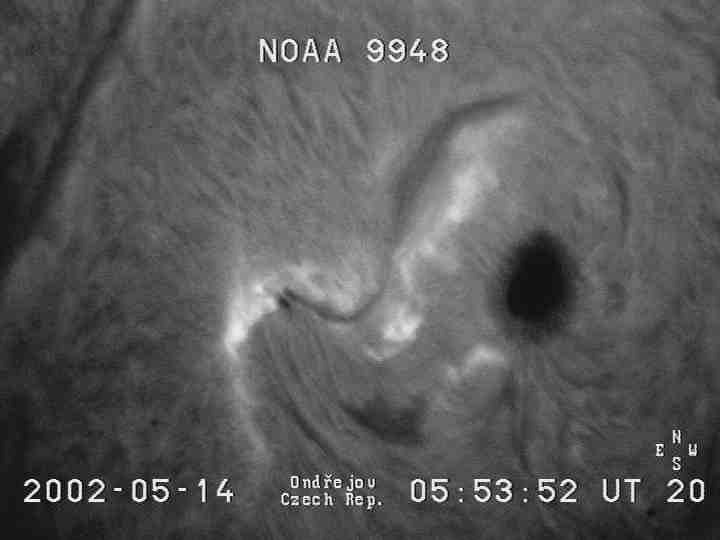 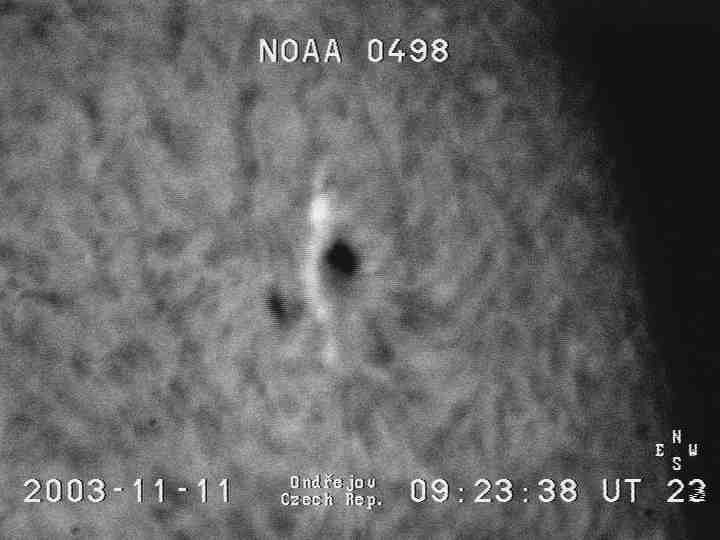 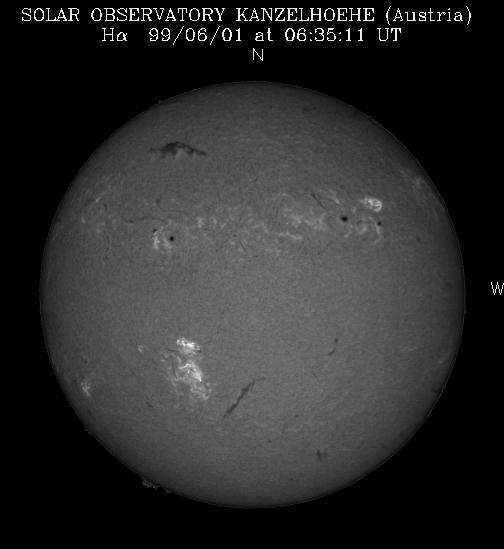 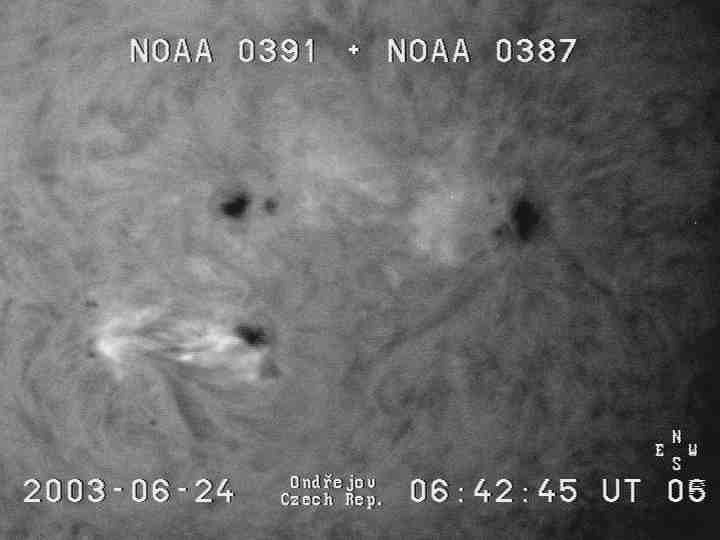 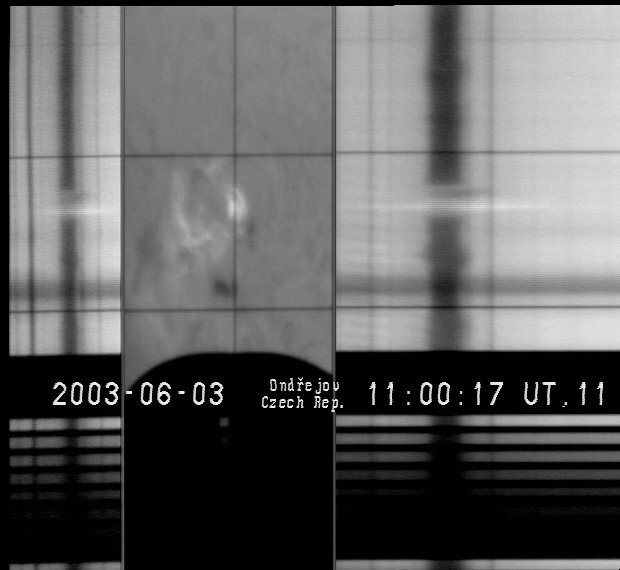 :2010; On the pre-CME phase of the 18 March 2003 solar flare, 10th Hvar Astrophysical Colloquium, 6 - 10 September 2010, Hvar, Croatia. 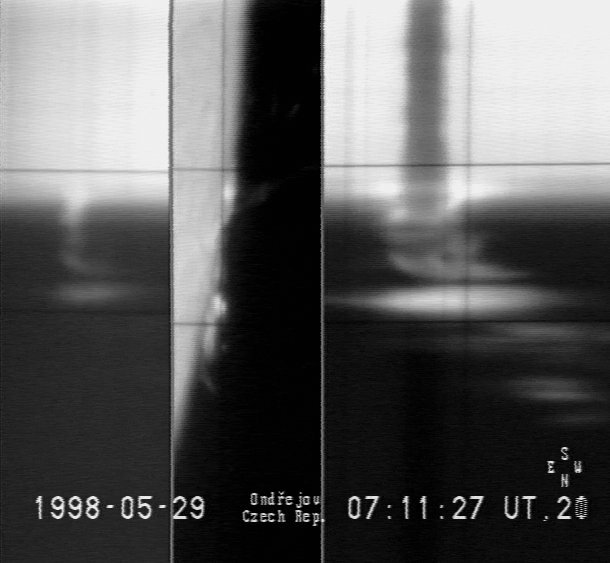 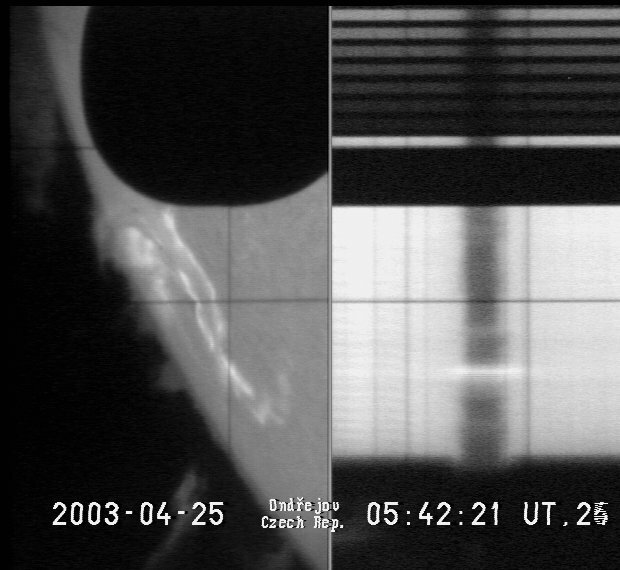 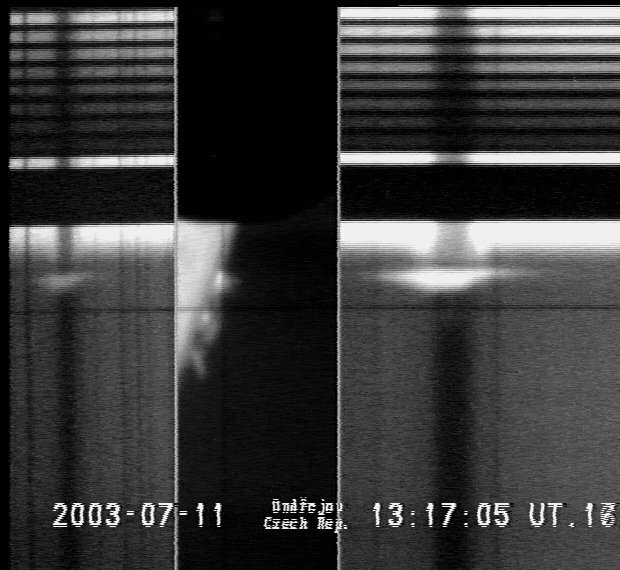 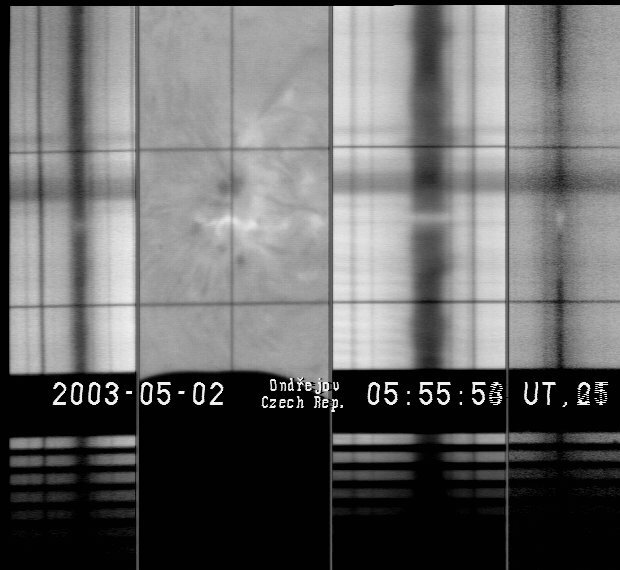 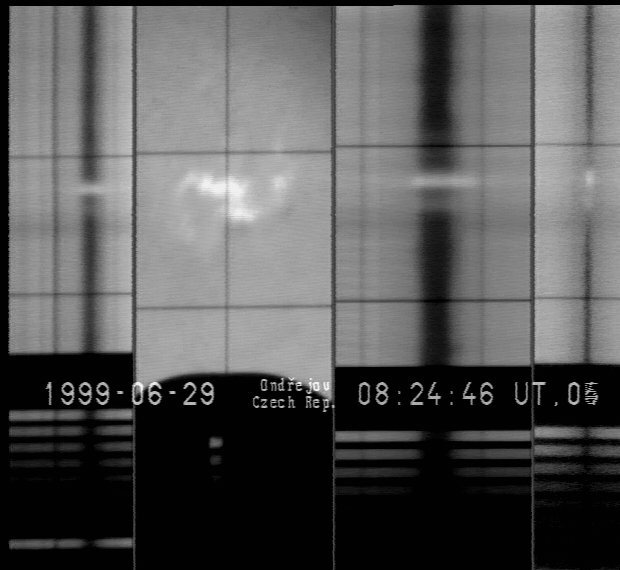 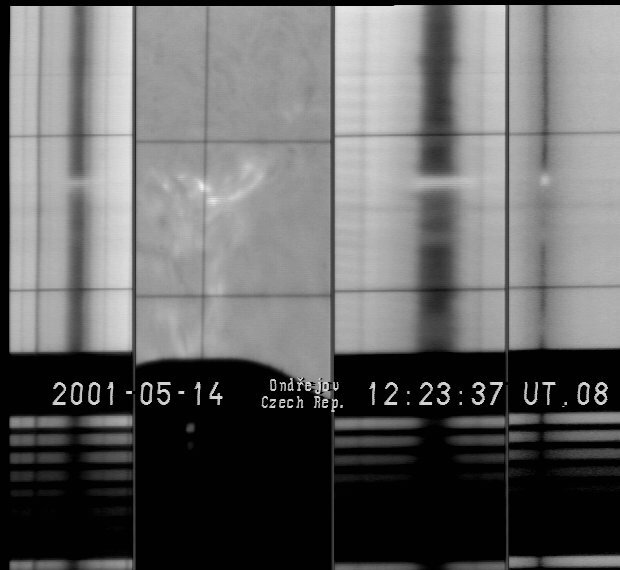 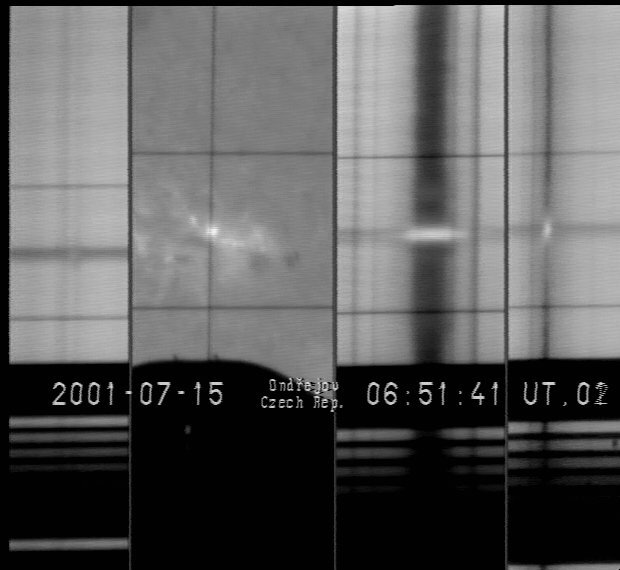 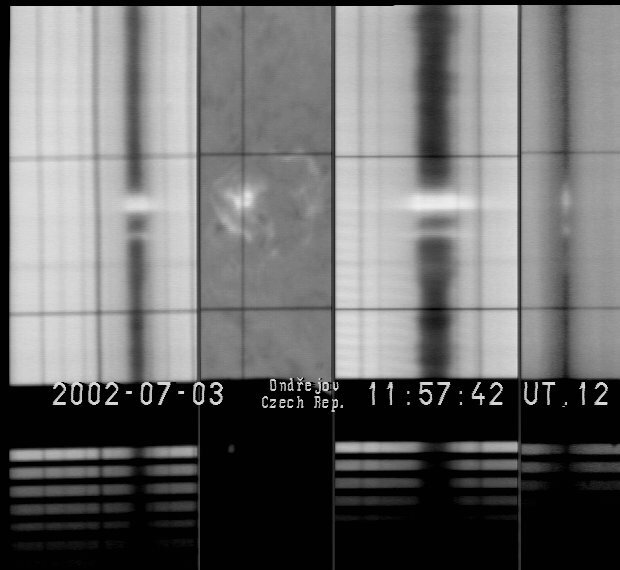 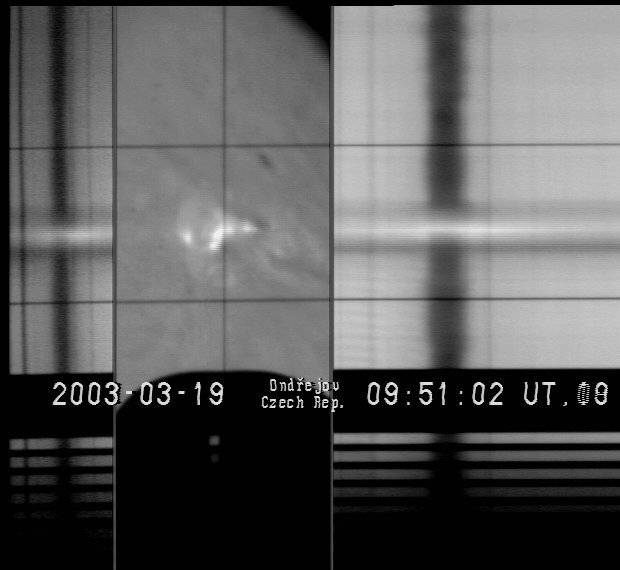 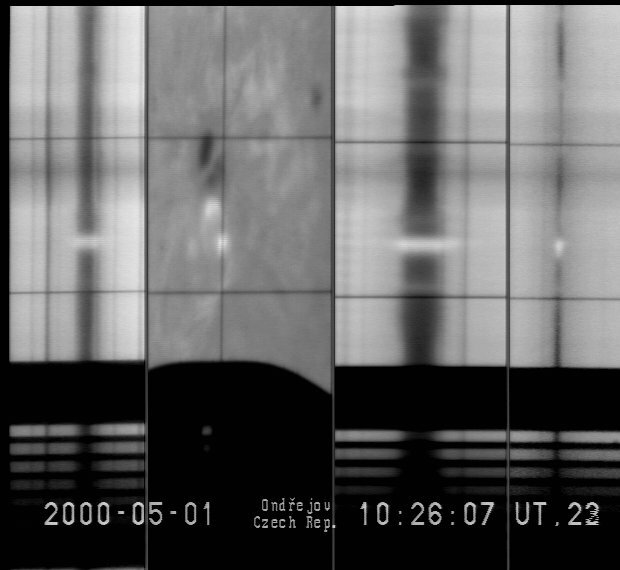 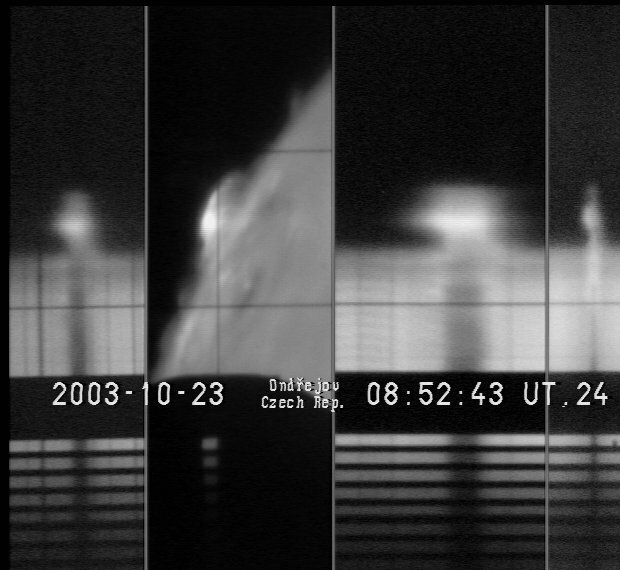 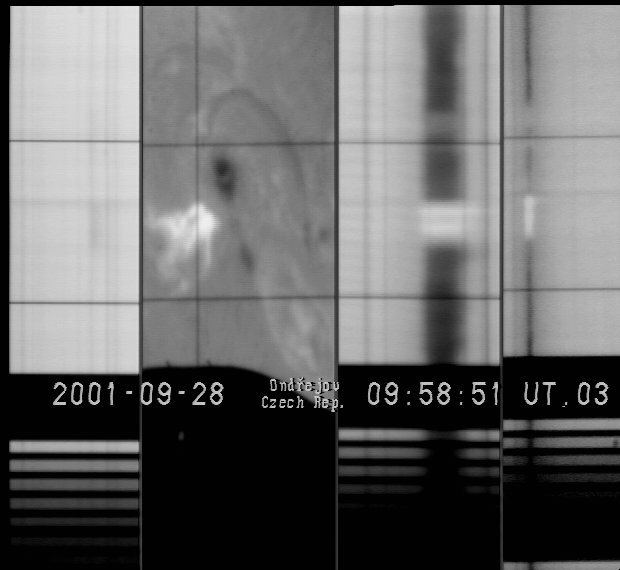 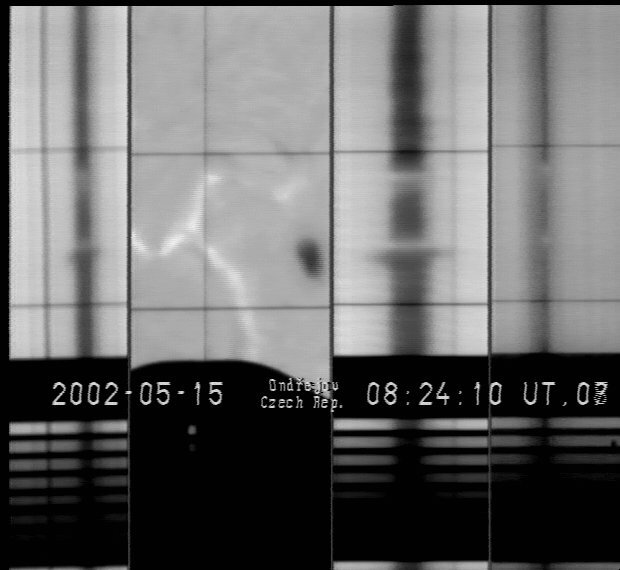 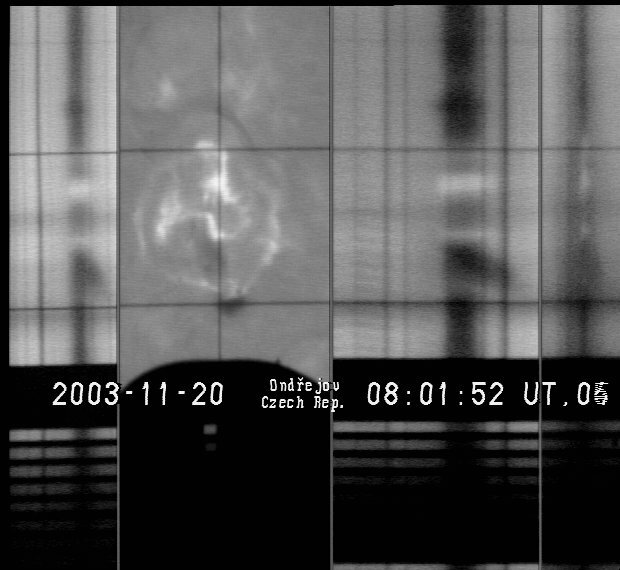 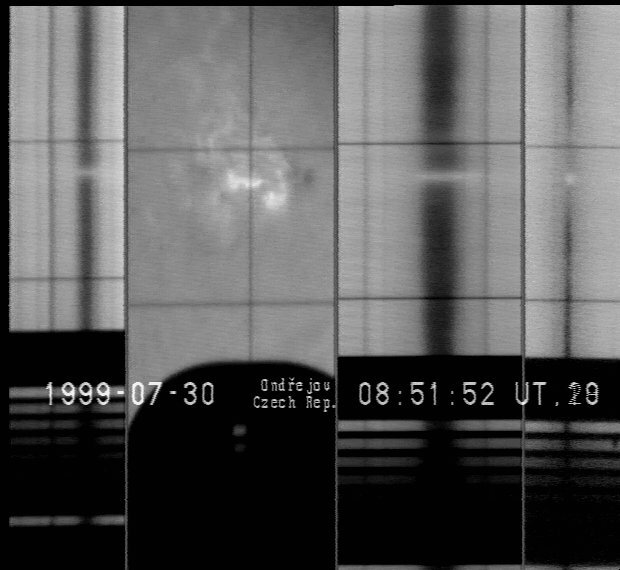 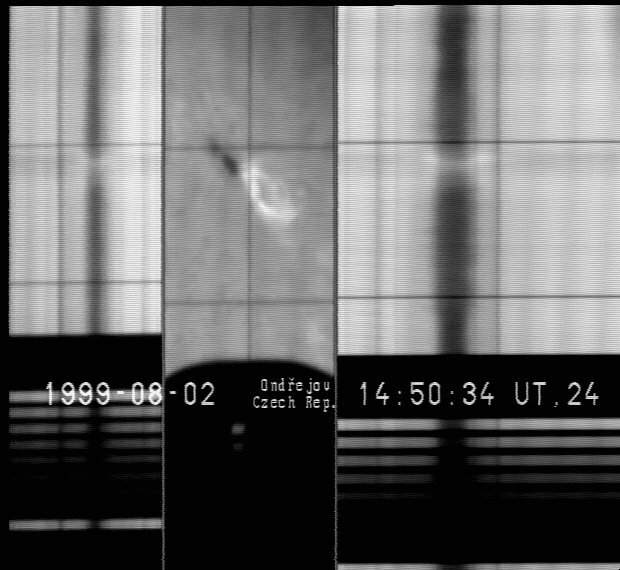 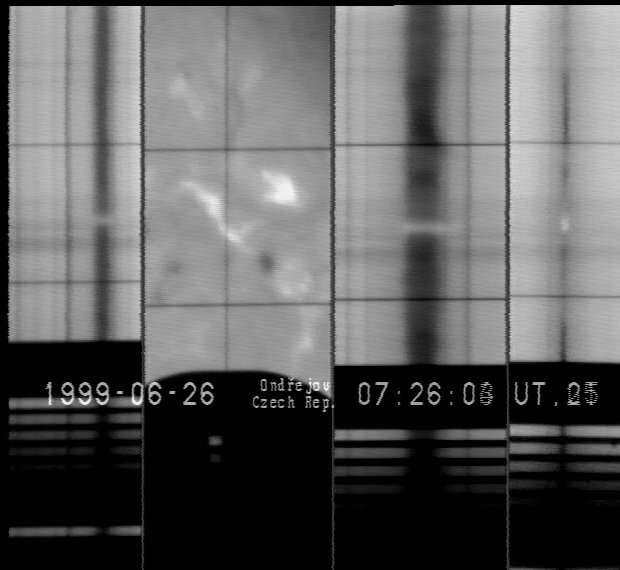 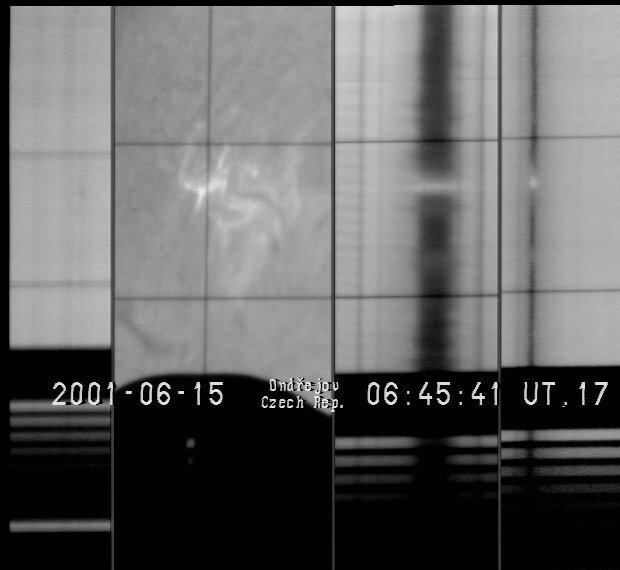 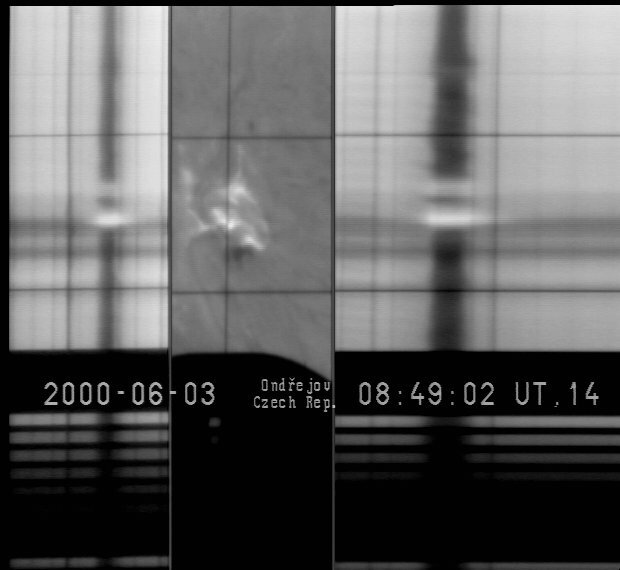 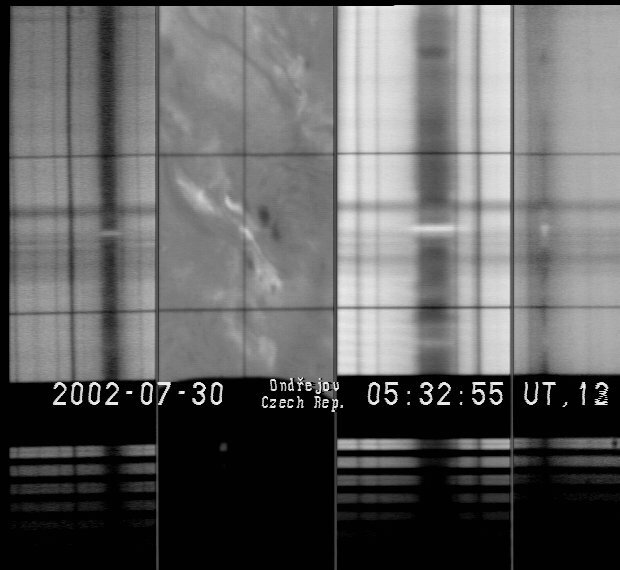 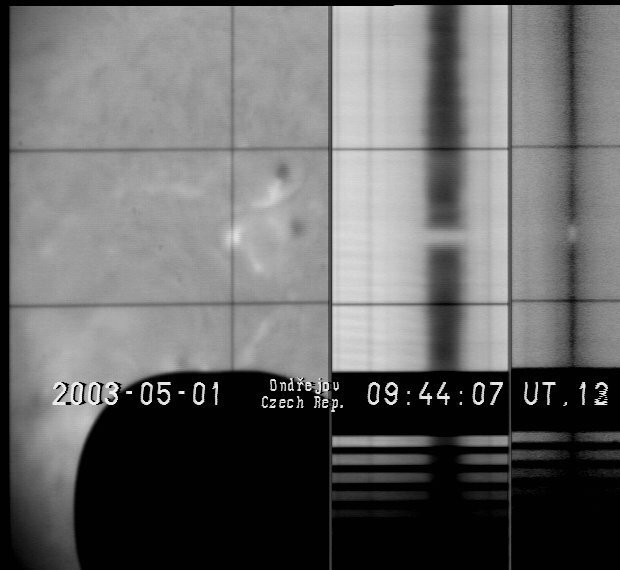 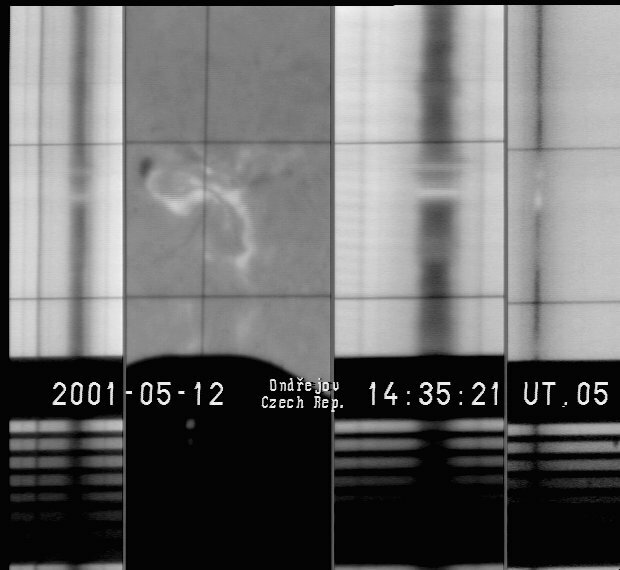 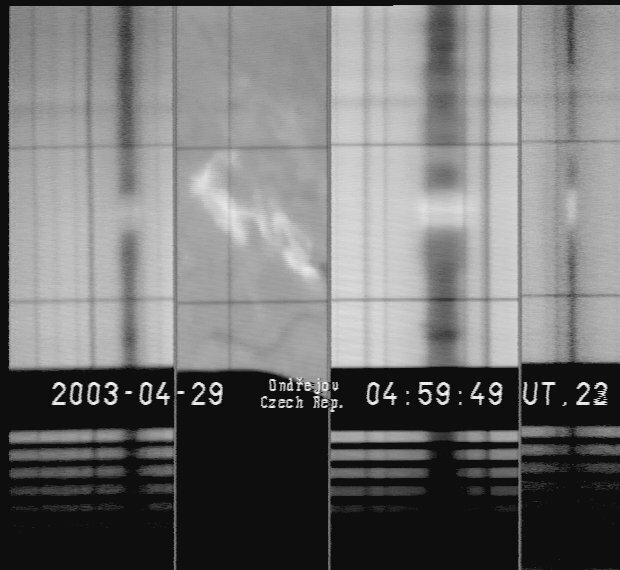 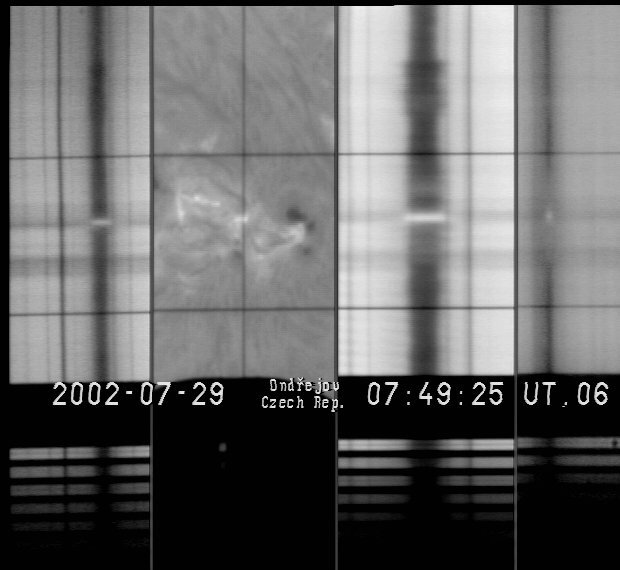 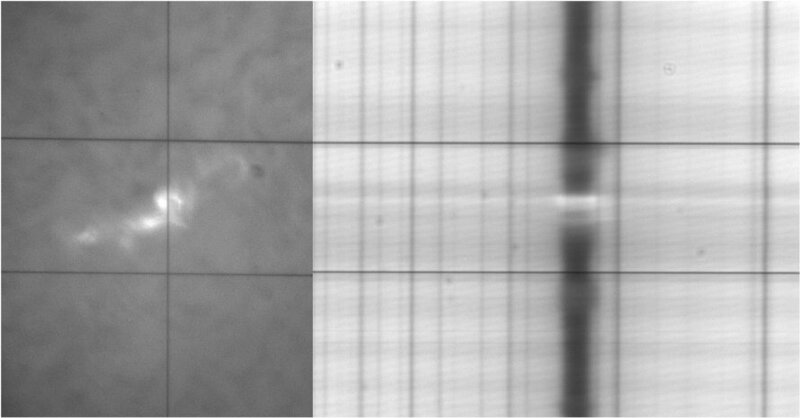 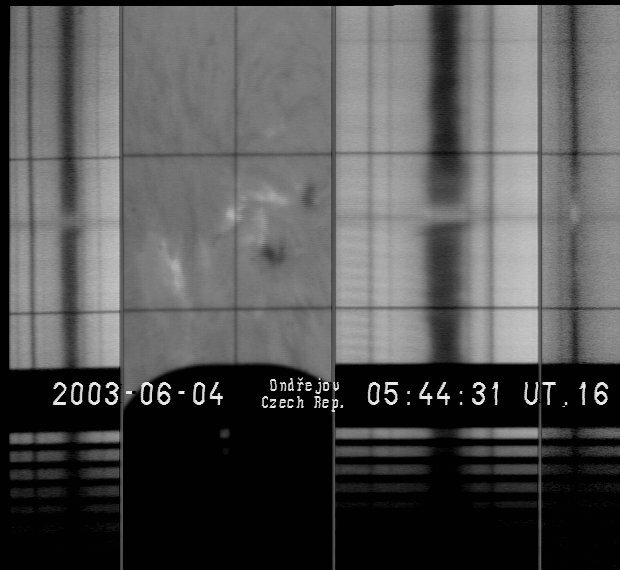 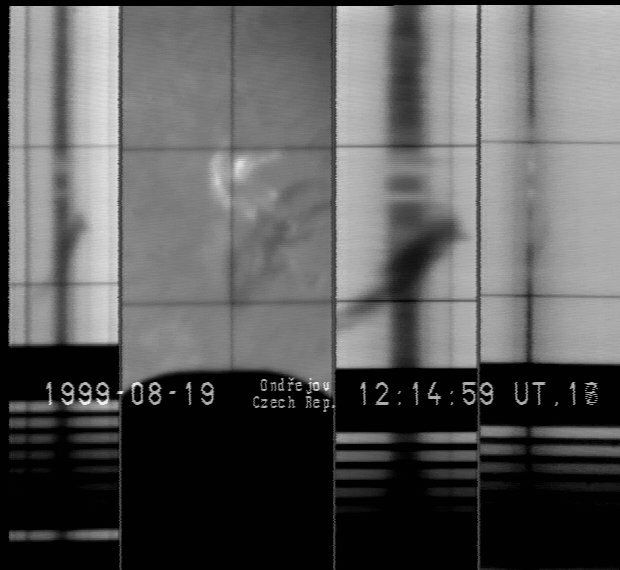 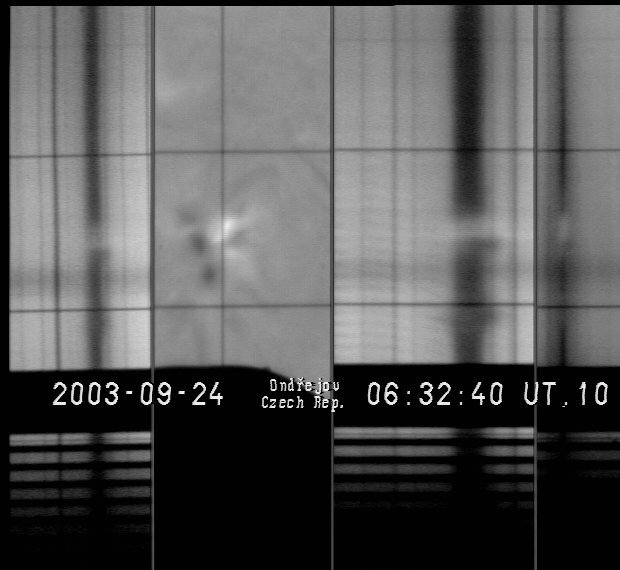 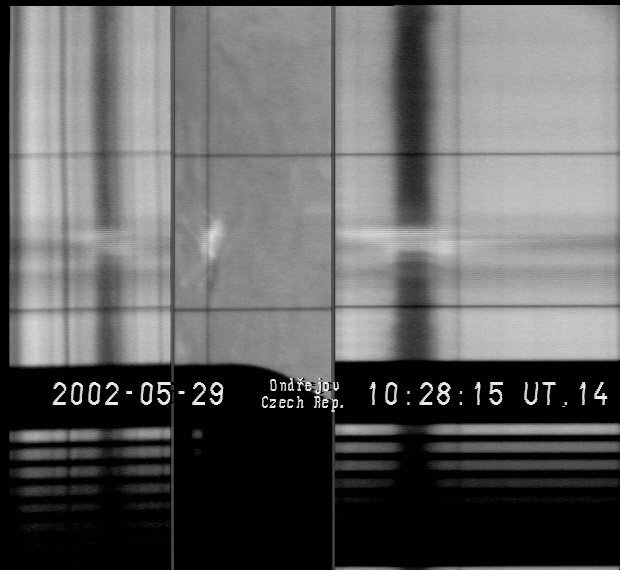 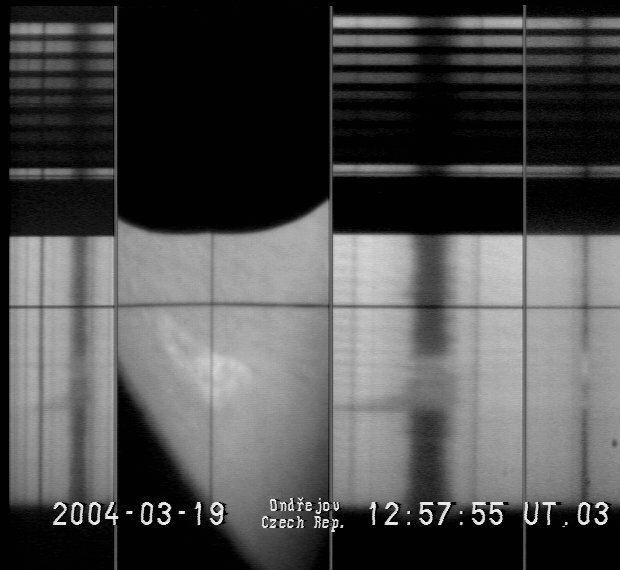 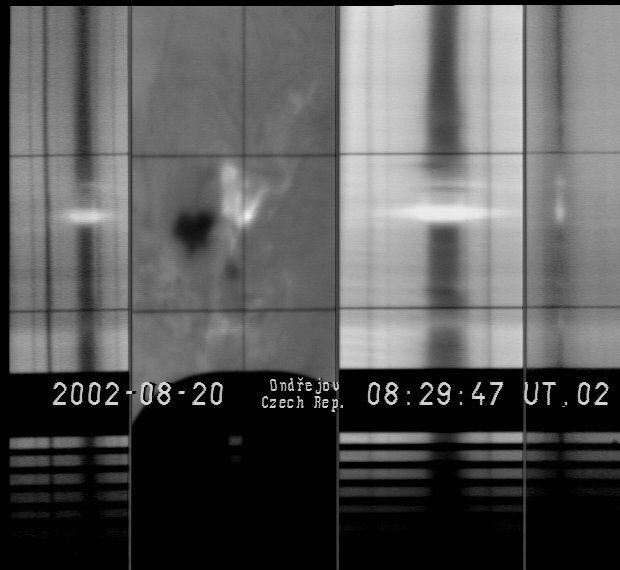 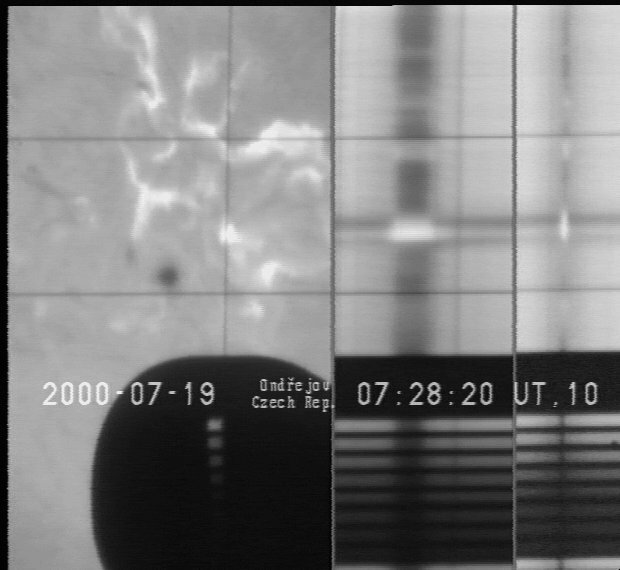 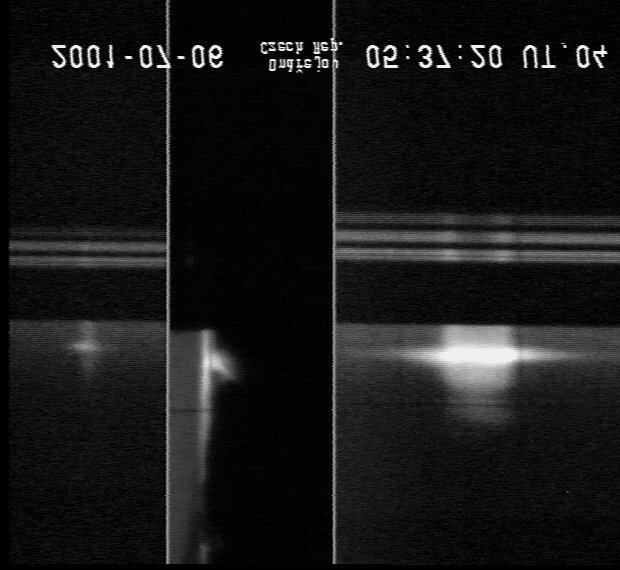 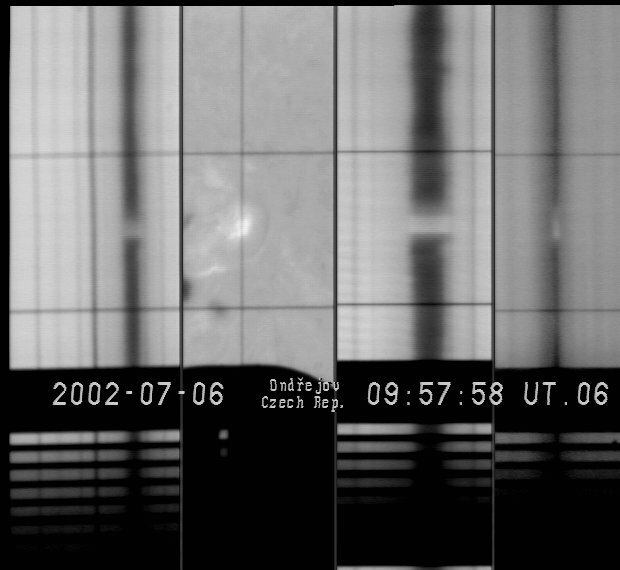 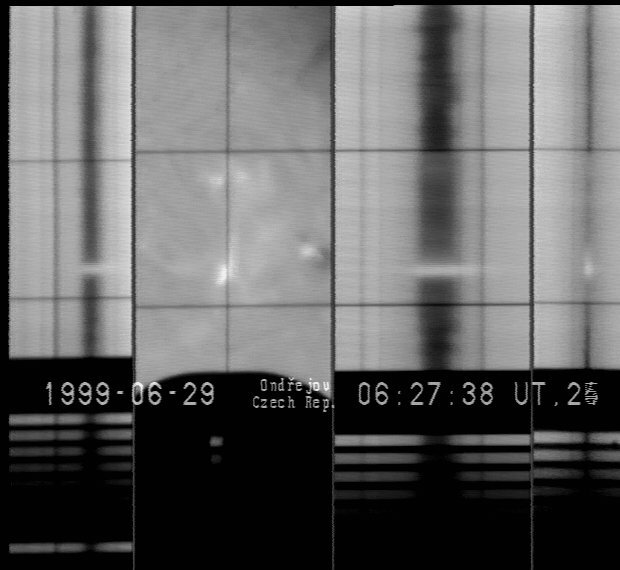 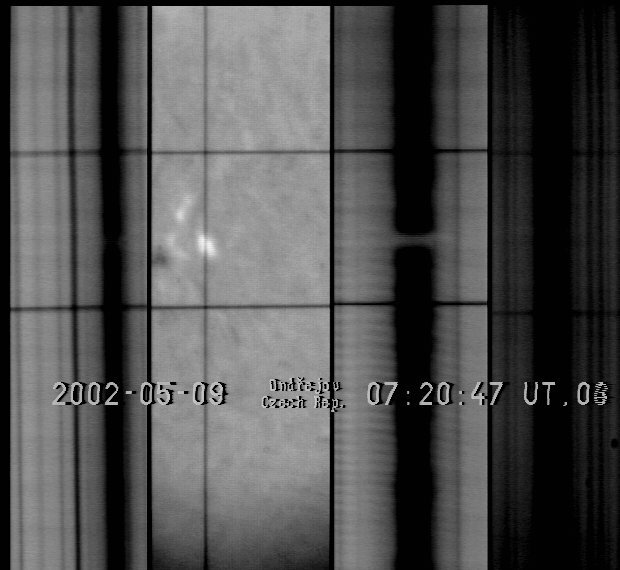 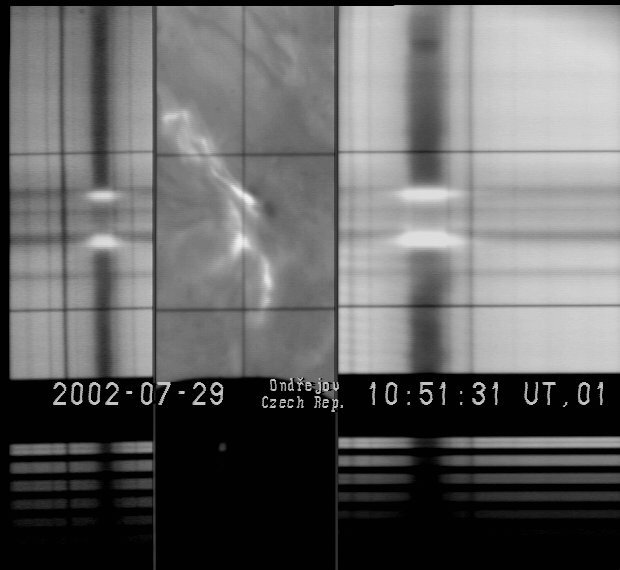 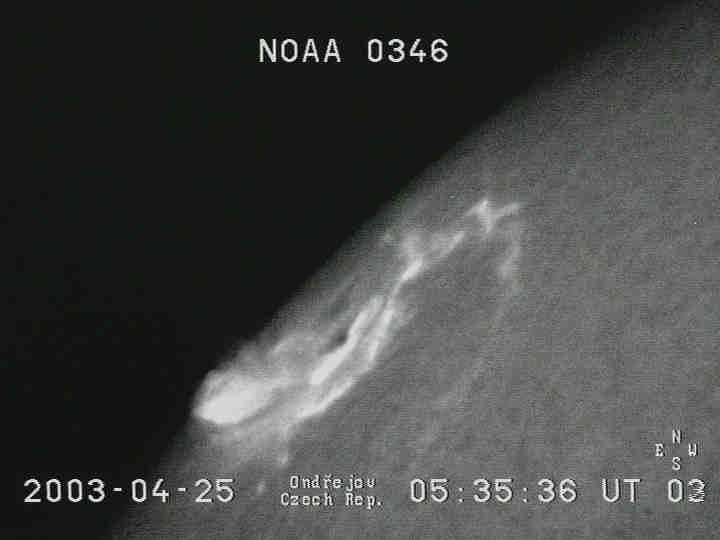 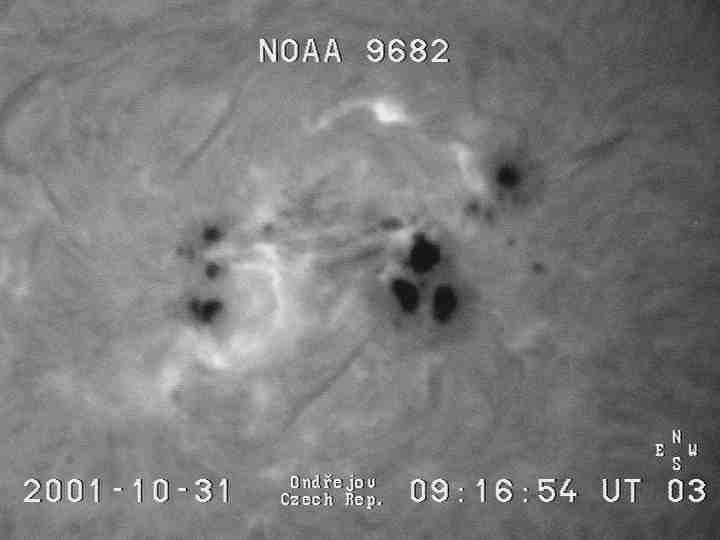 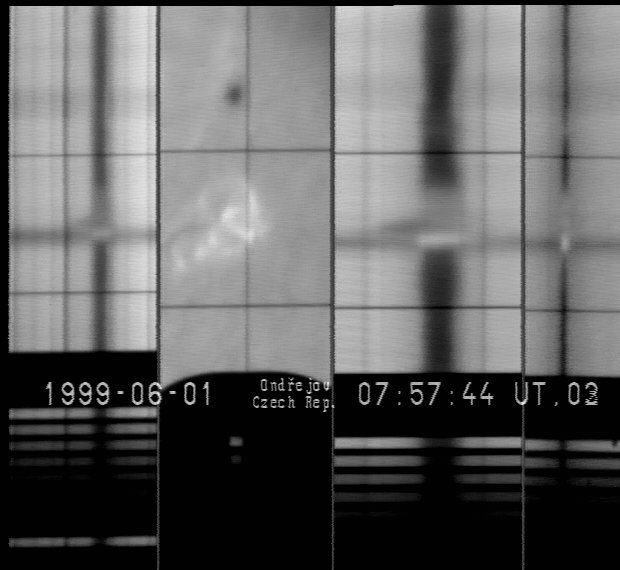 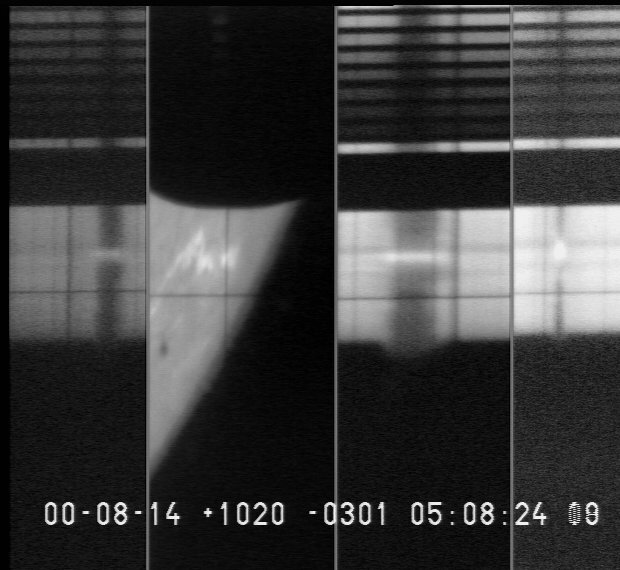 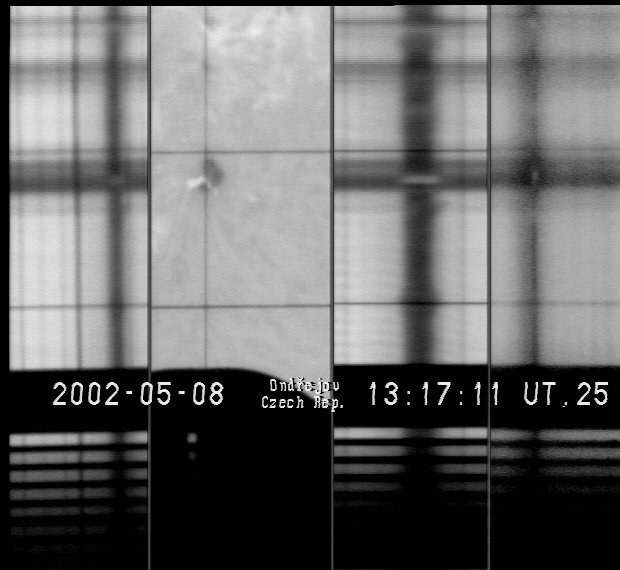 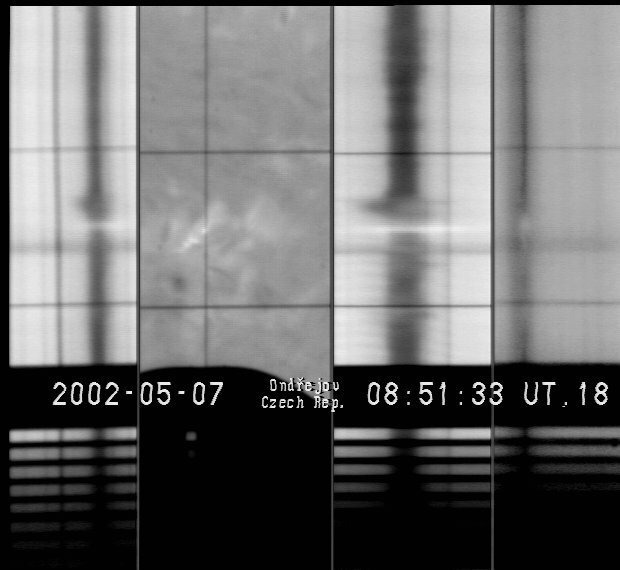 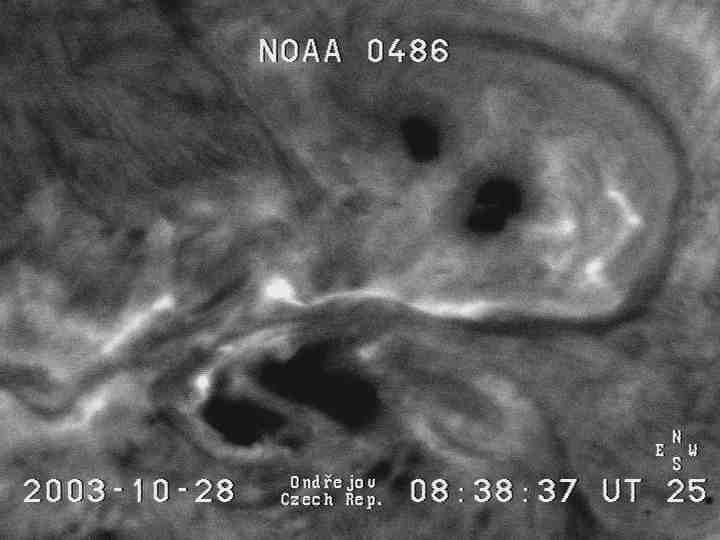 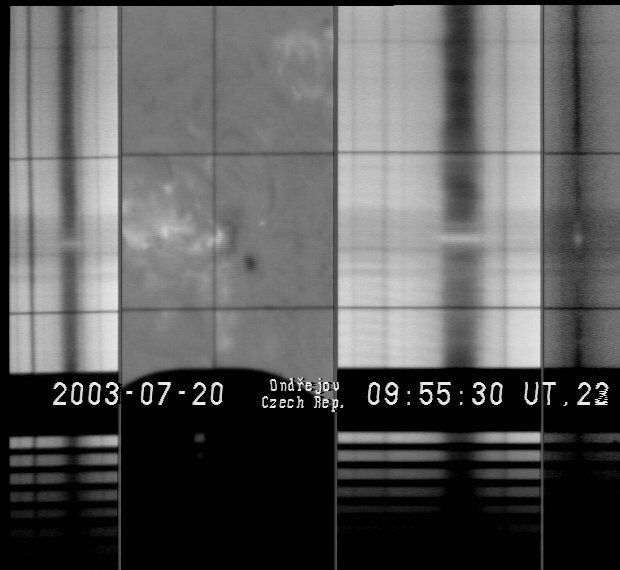 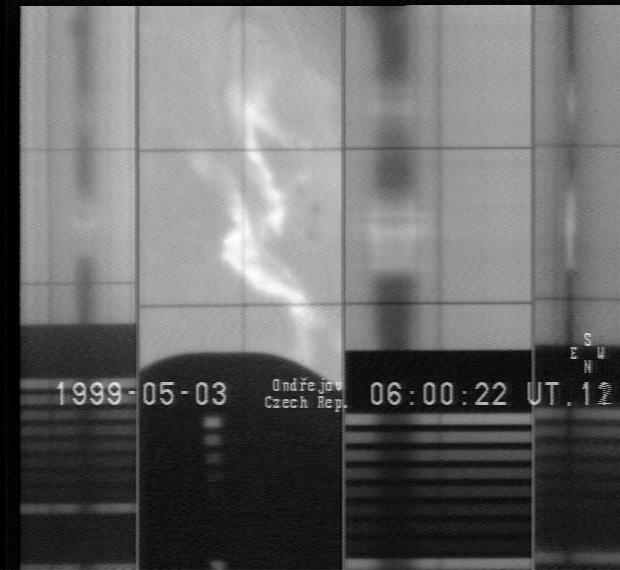 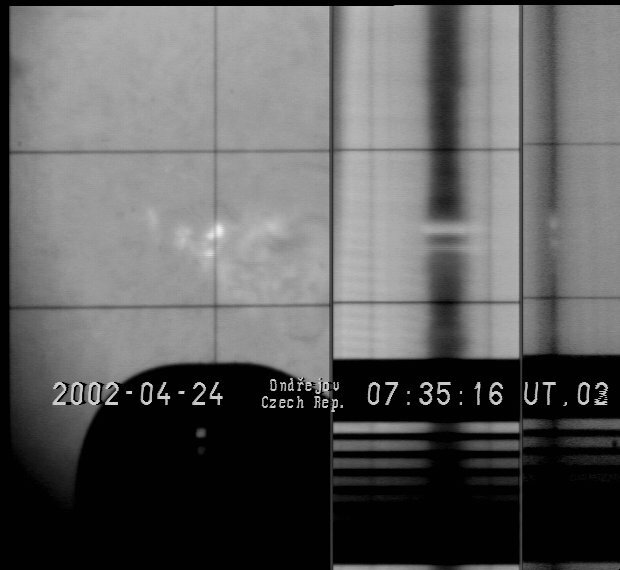 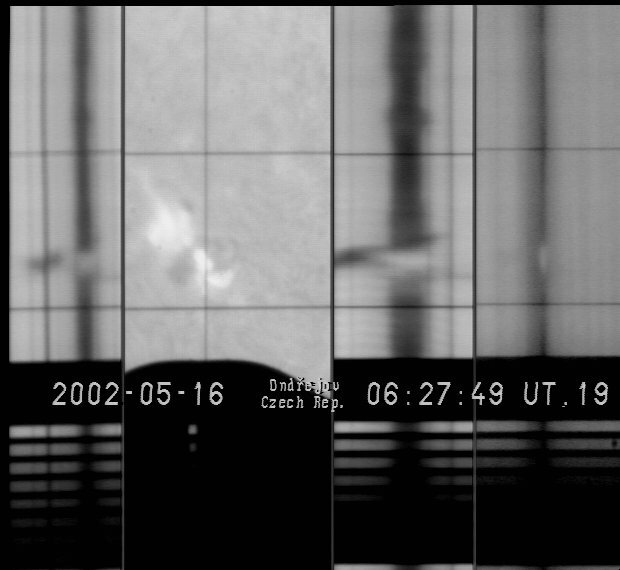 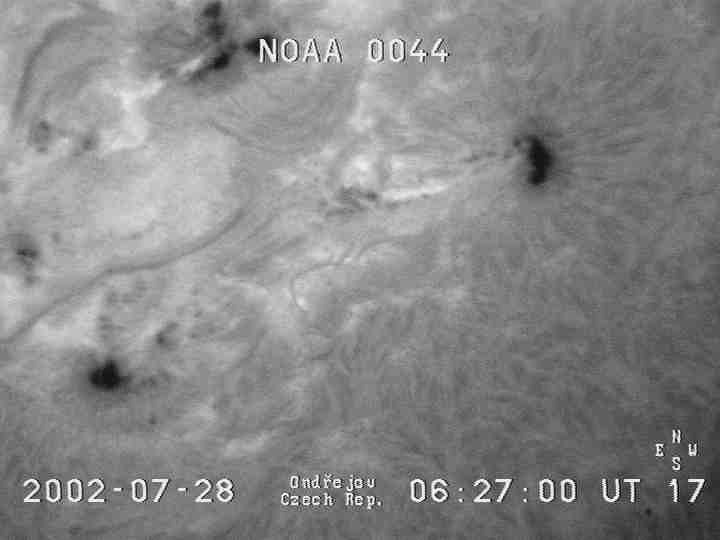 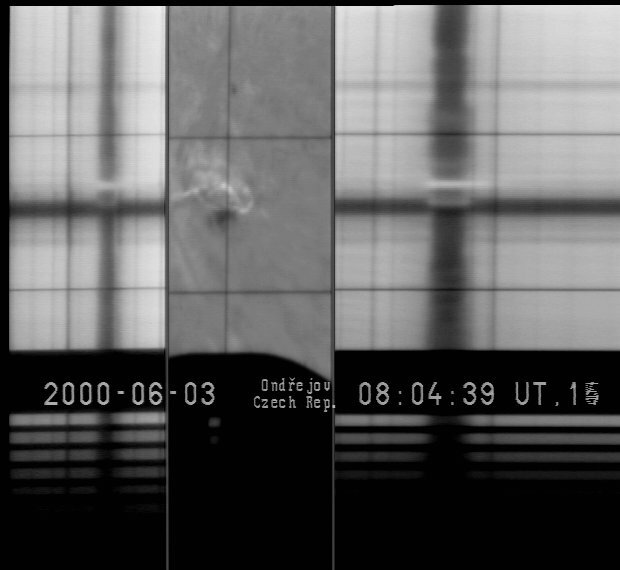 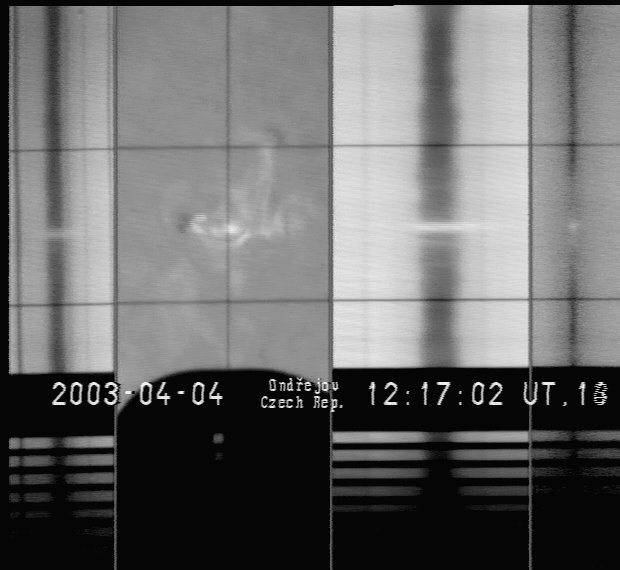 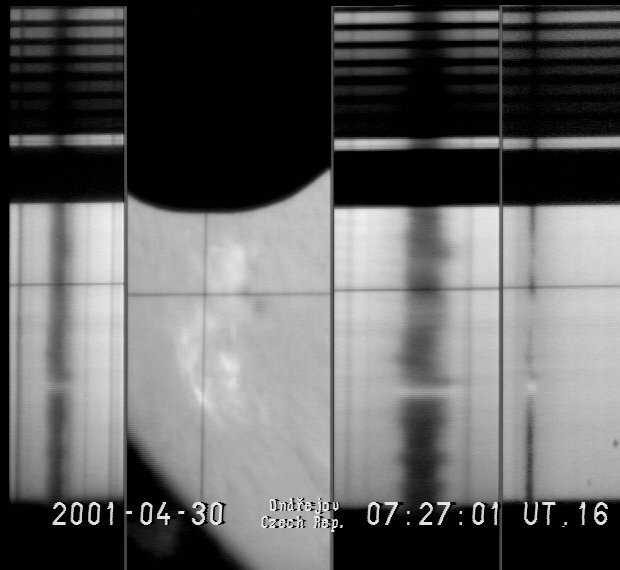 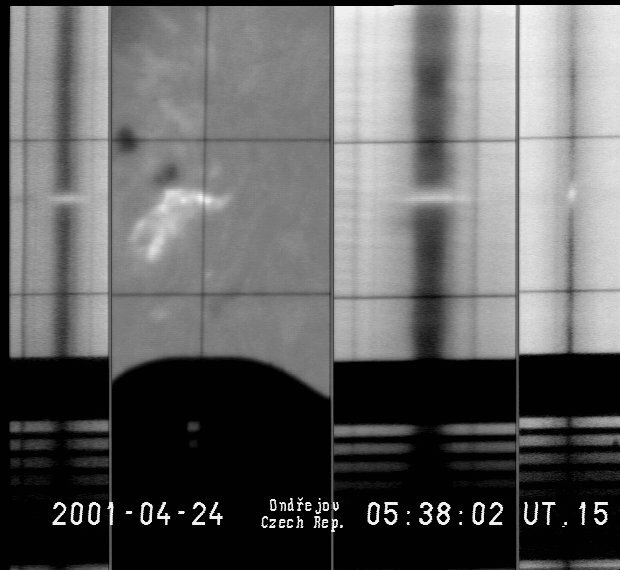 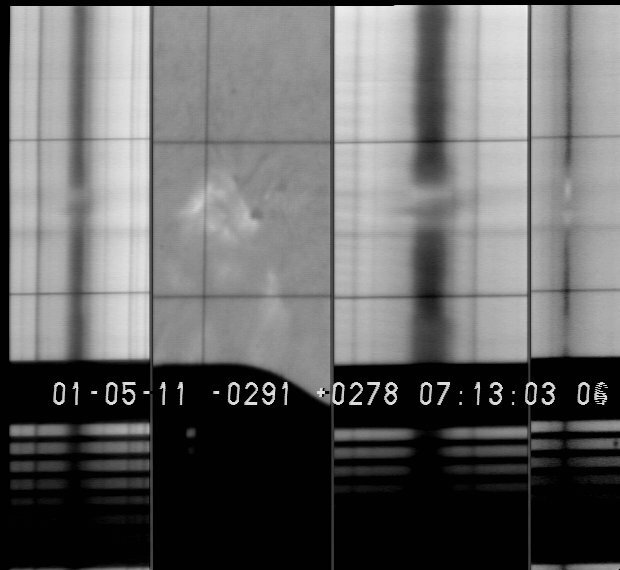 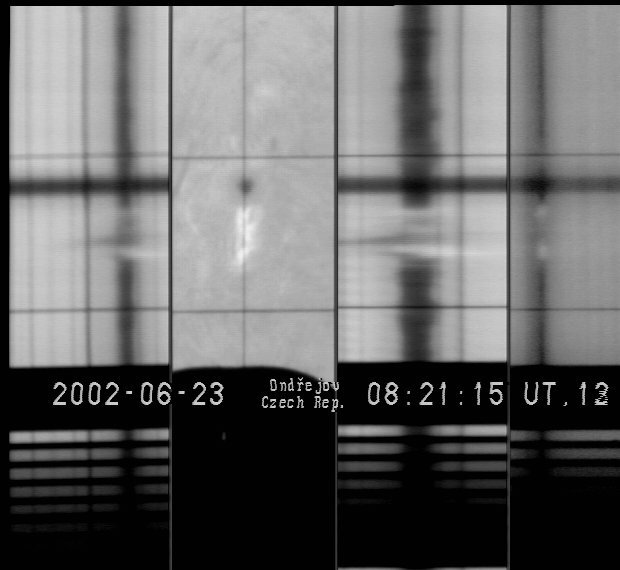 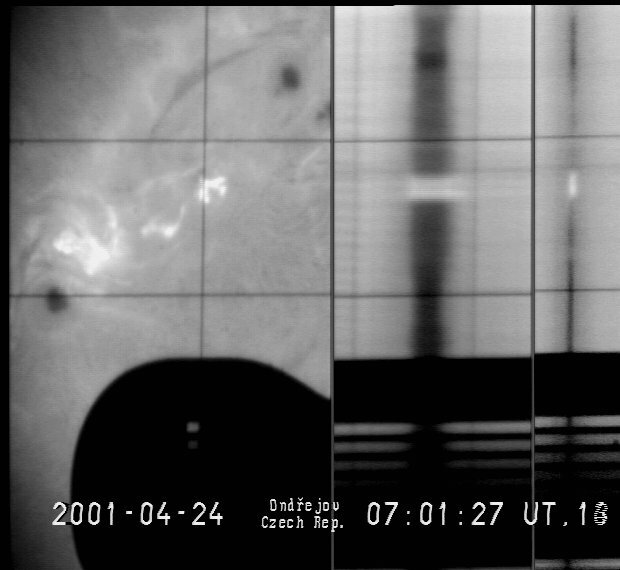 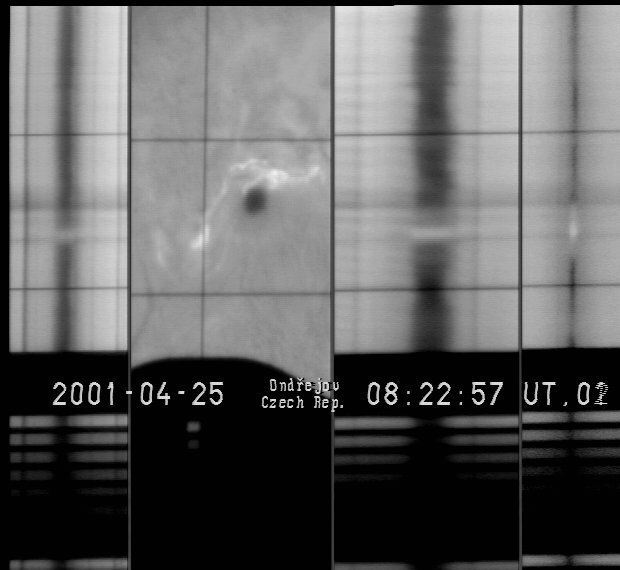 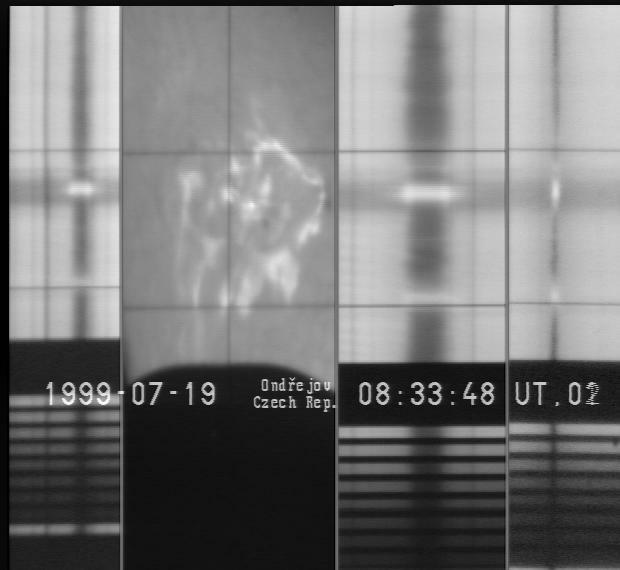 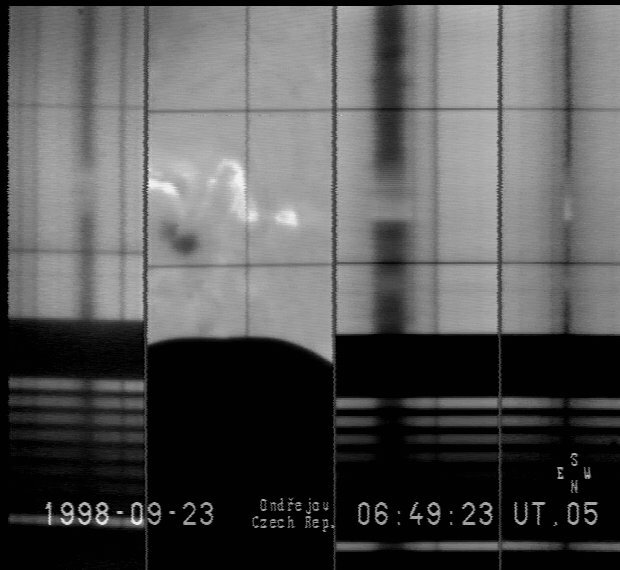 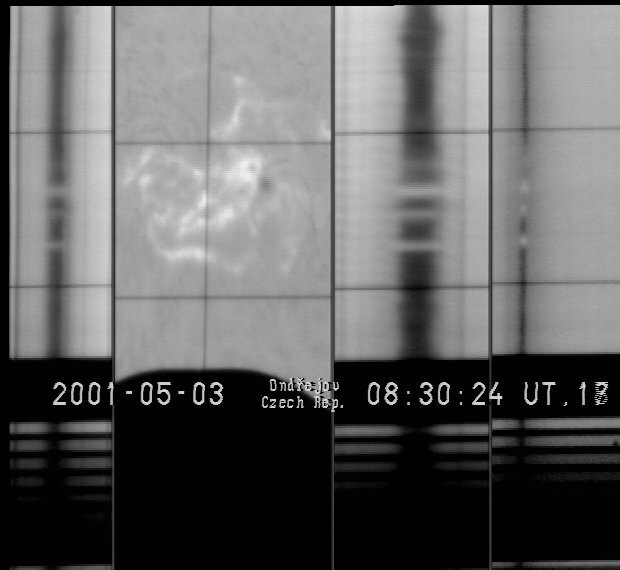 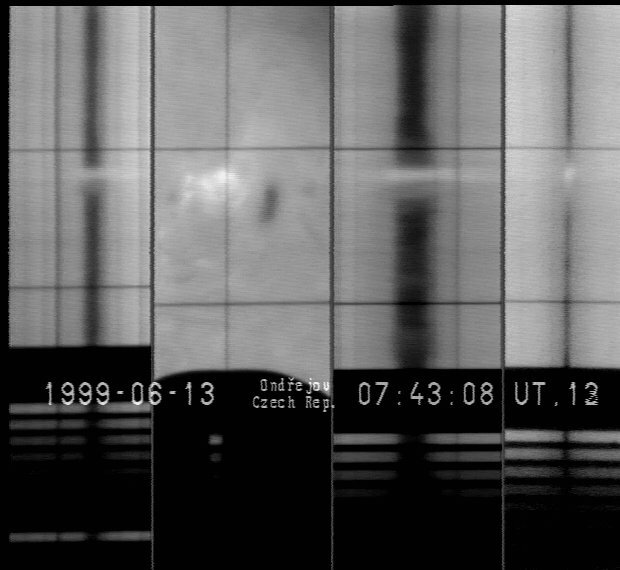 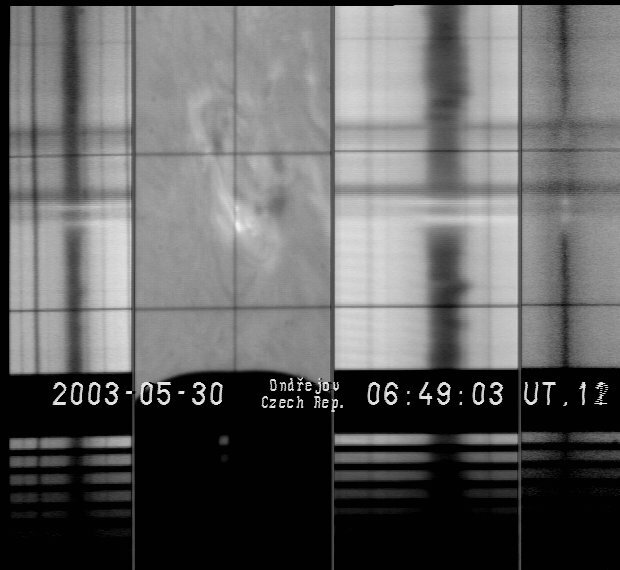 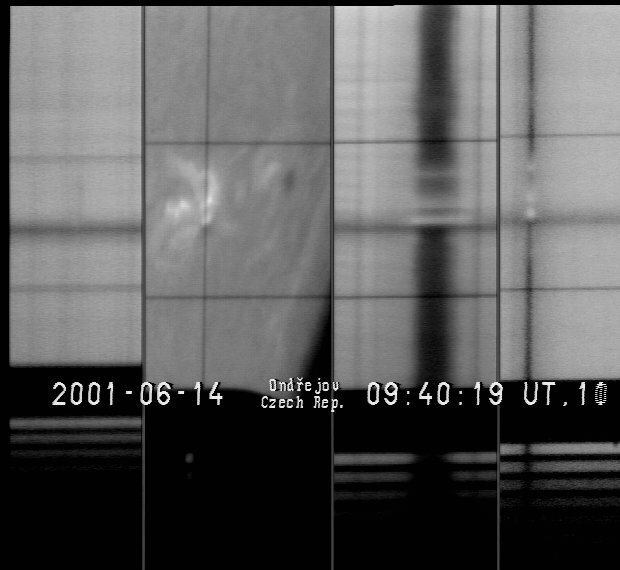 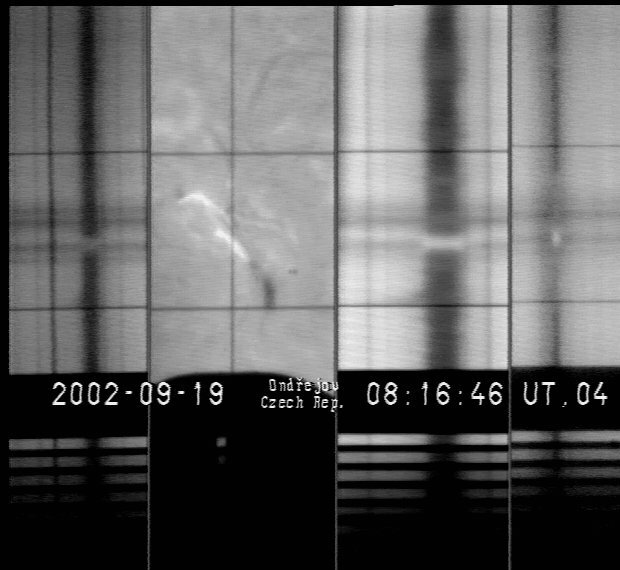 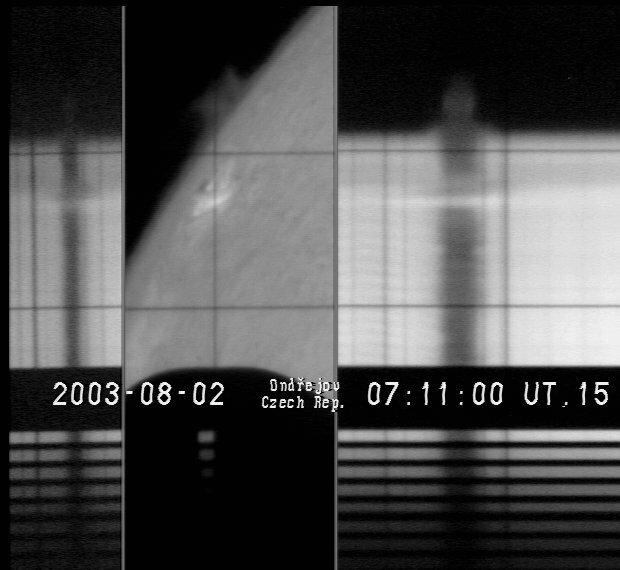 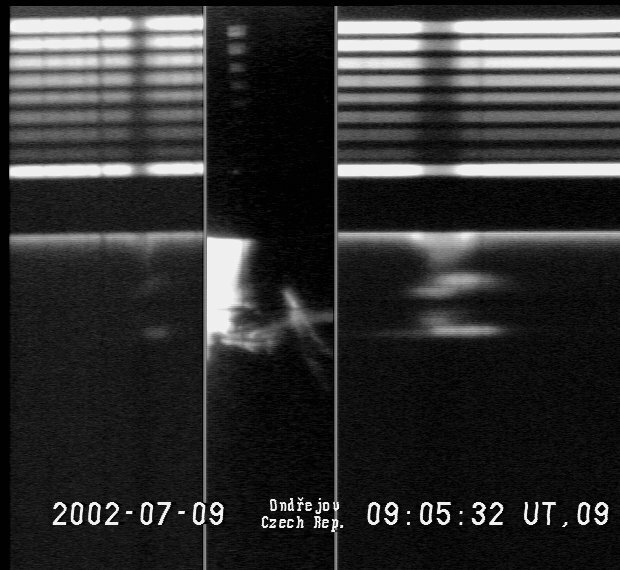 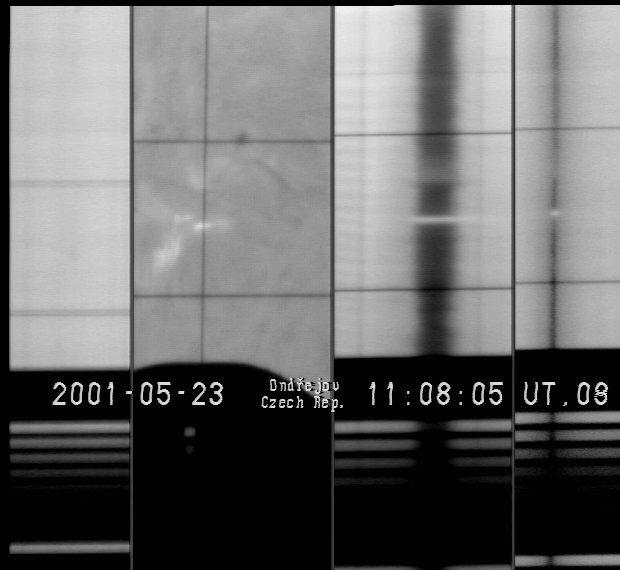 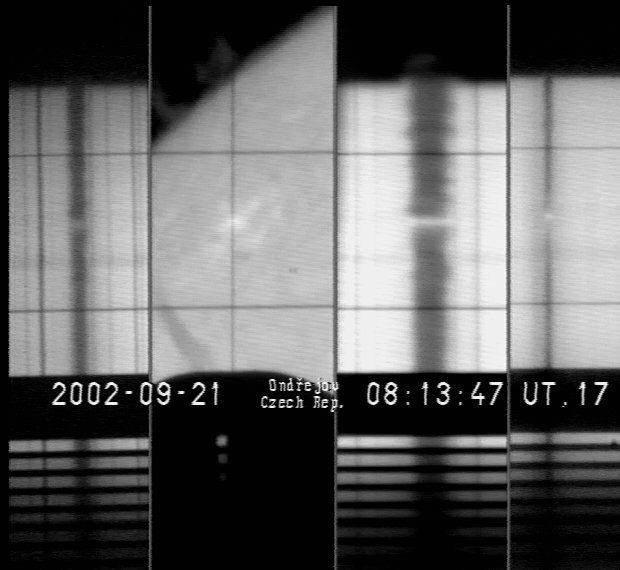 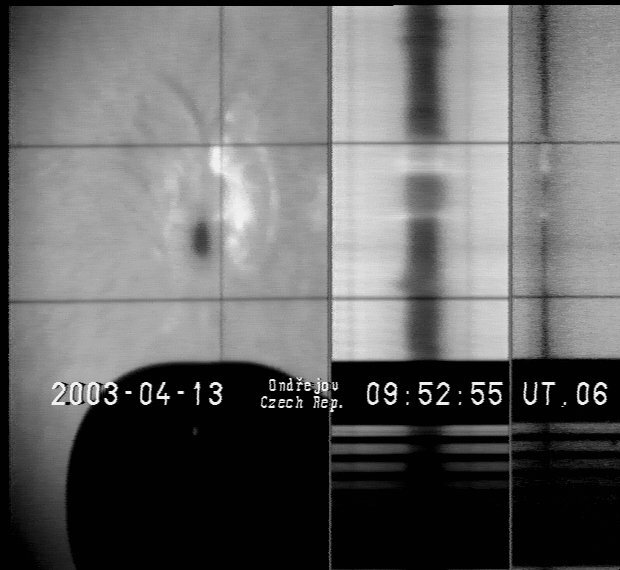 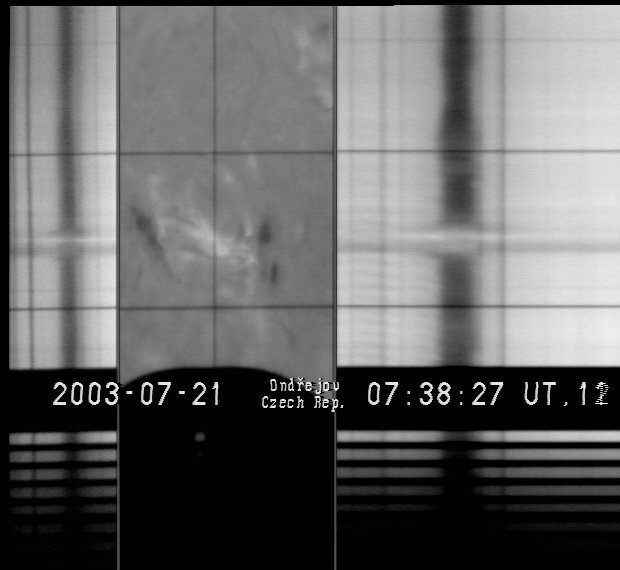 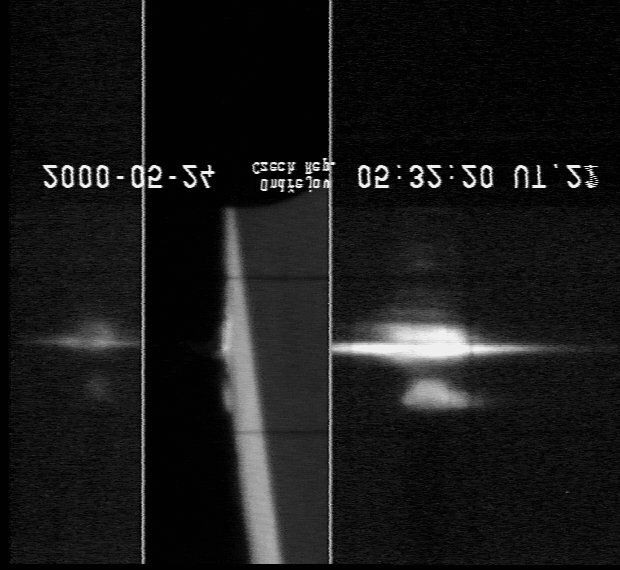 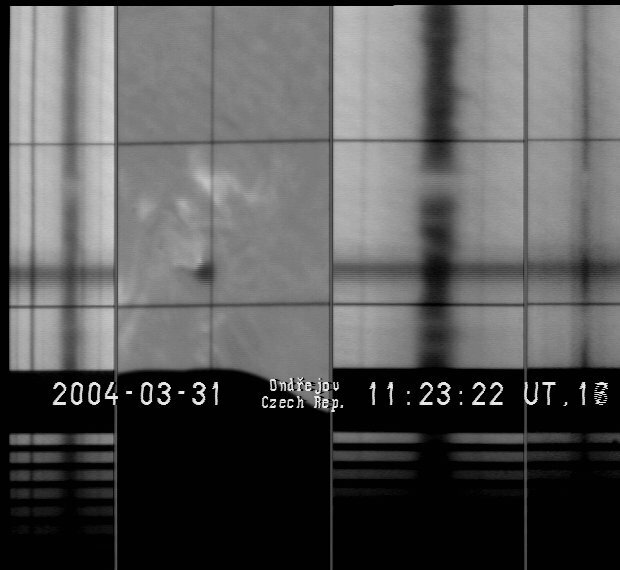 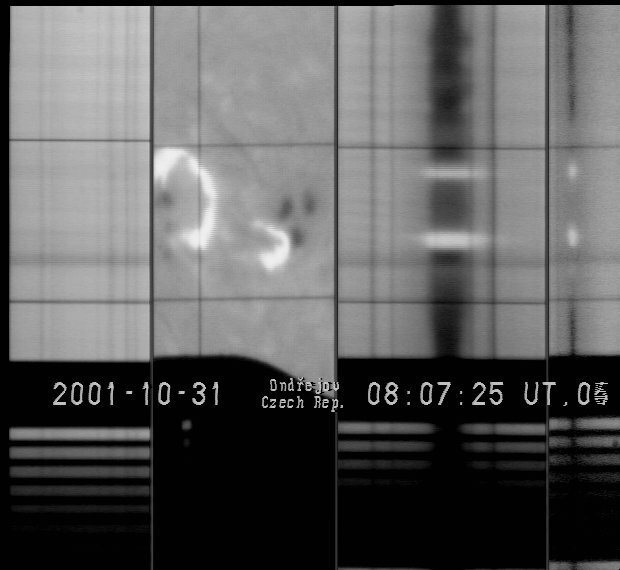 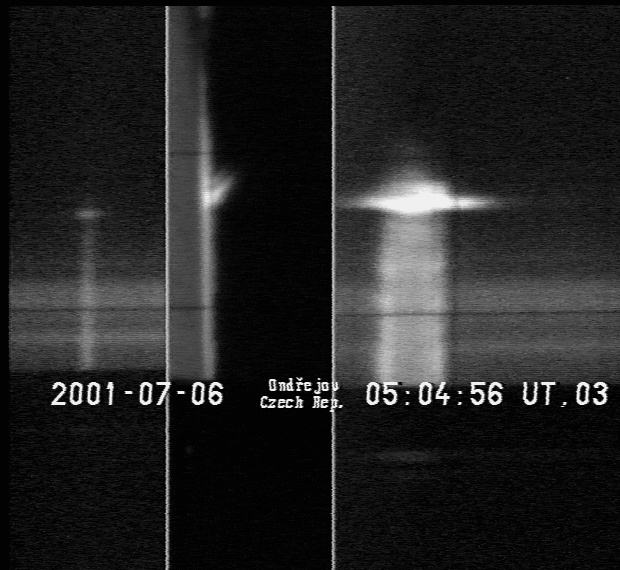 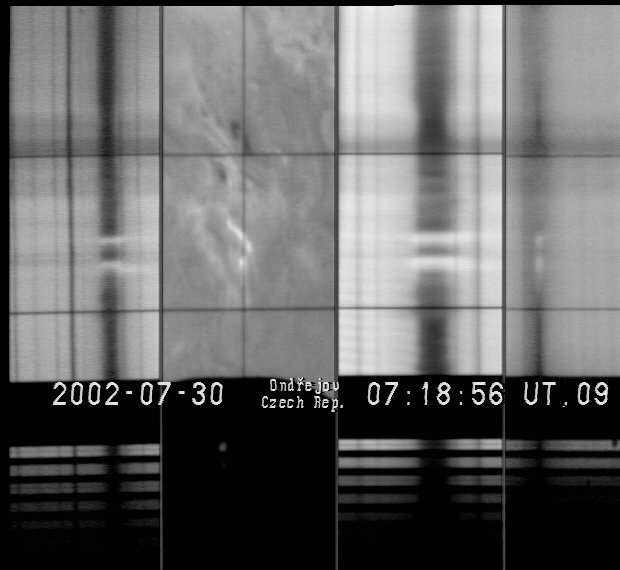 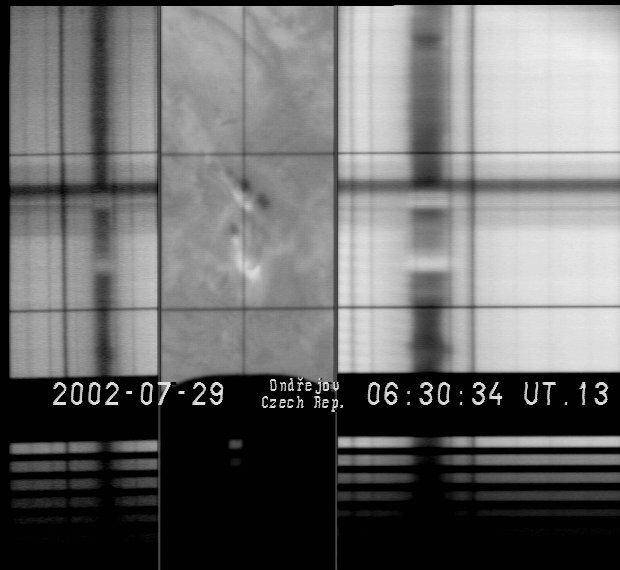 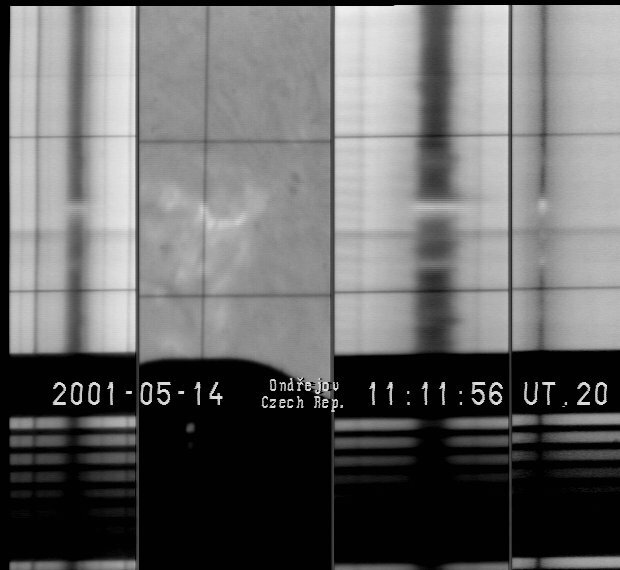 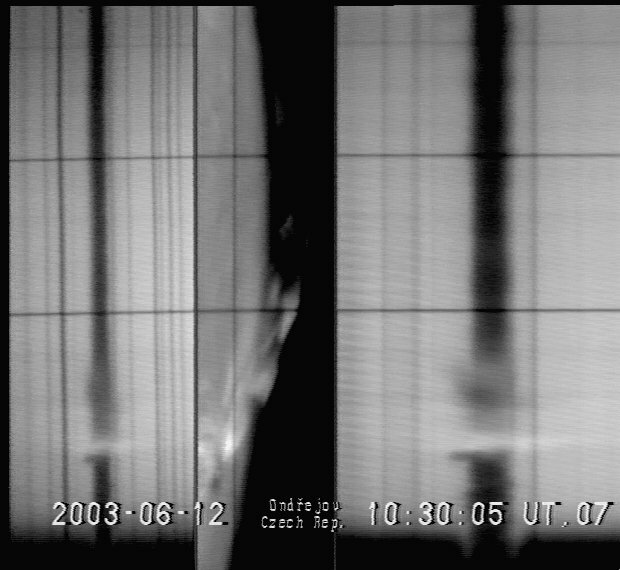 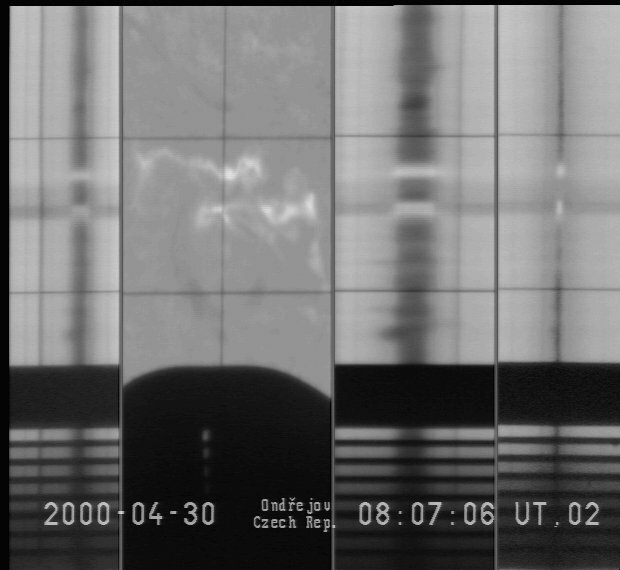 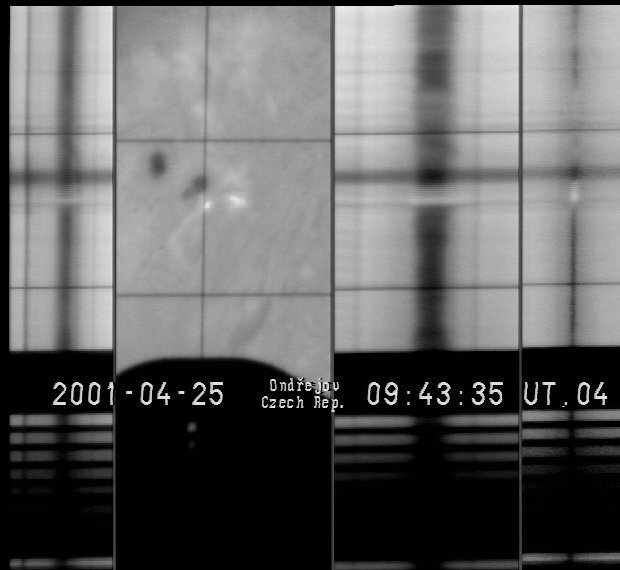 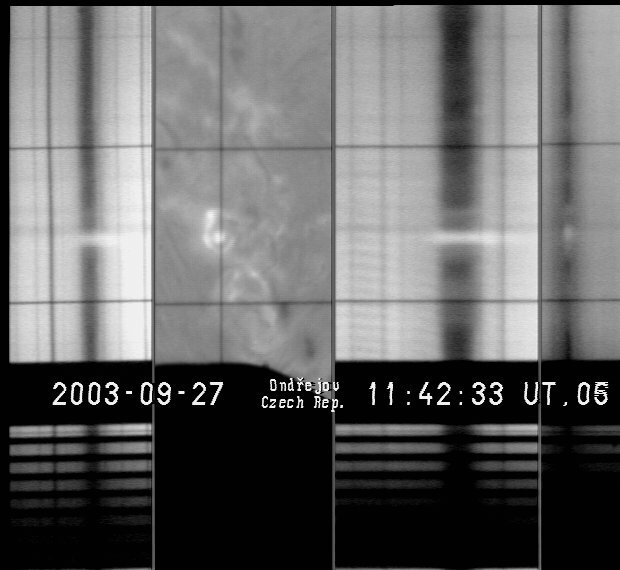 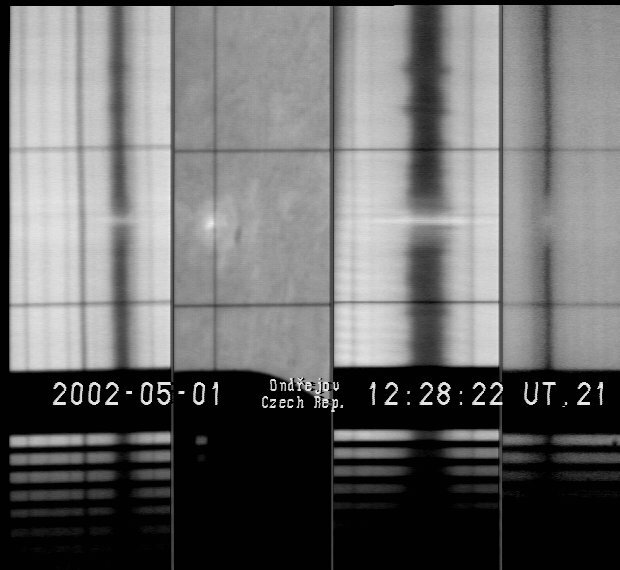 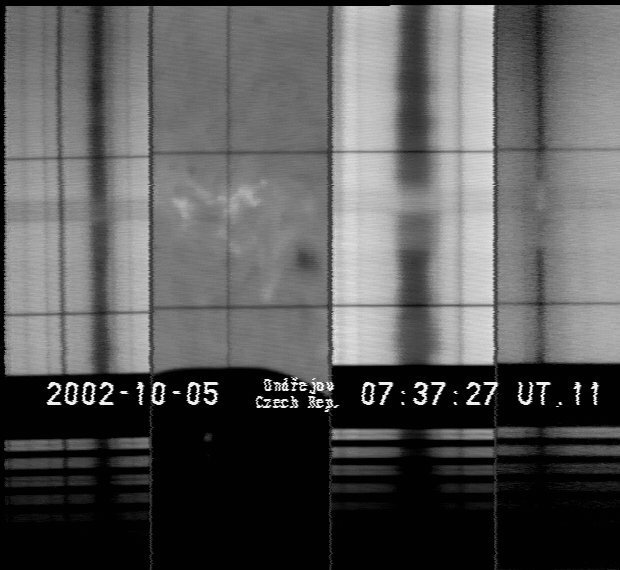 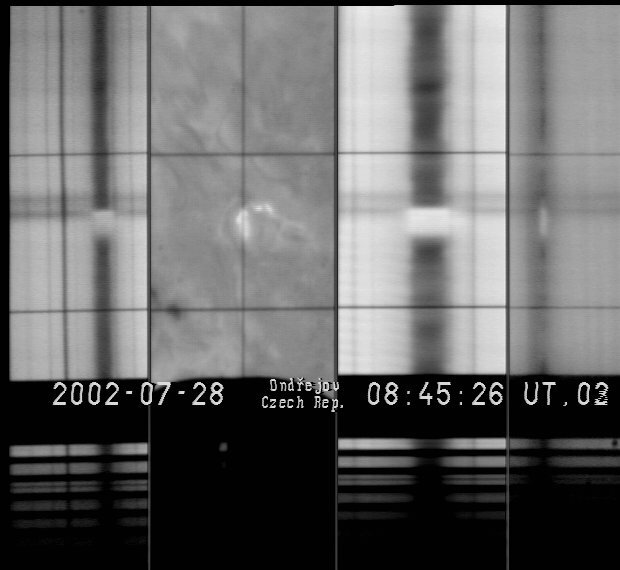 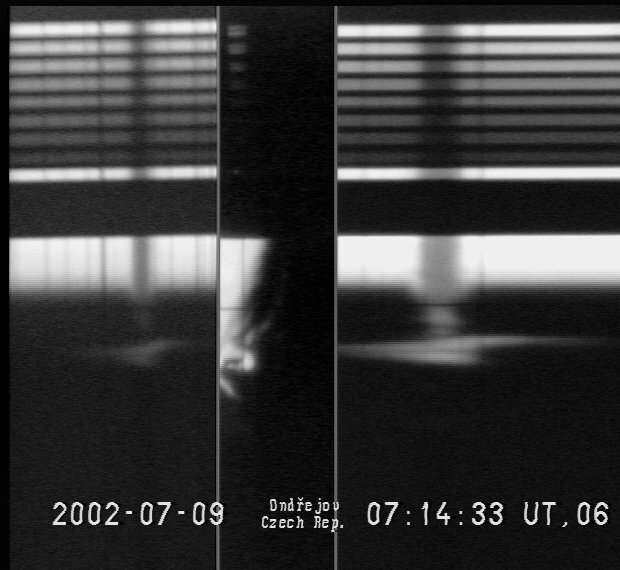 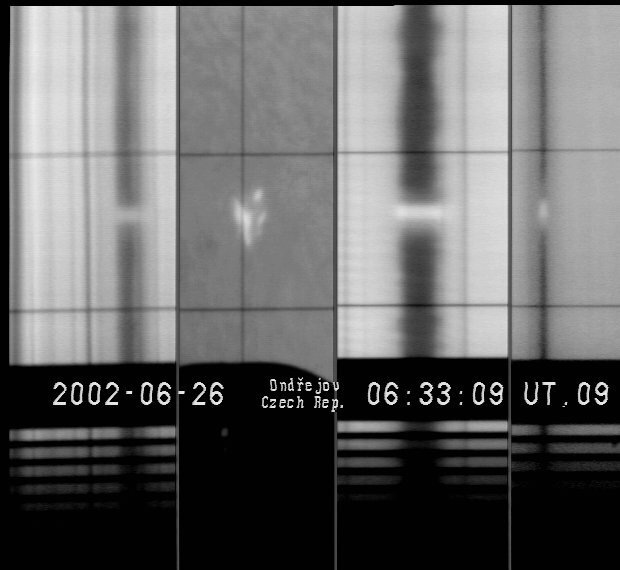 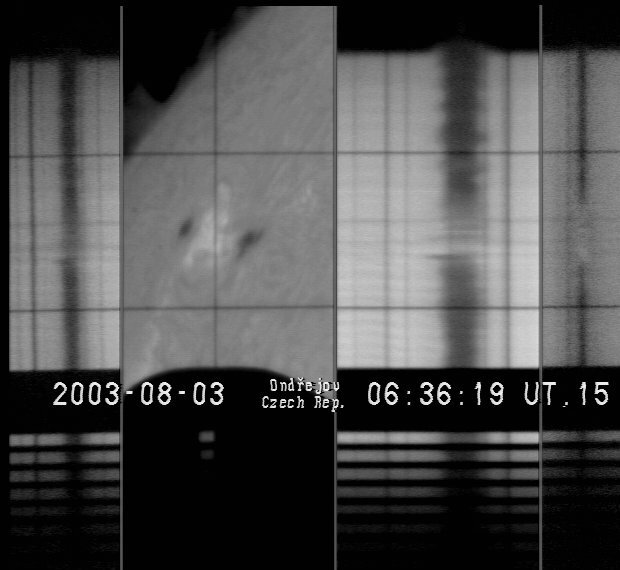 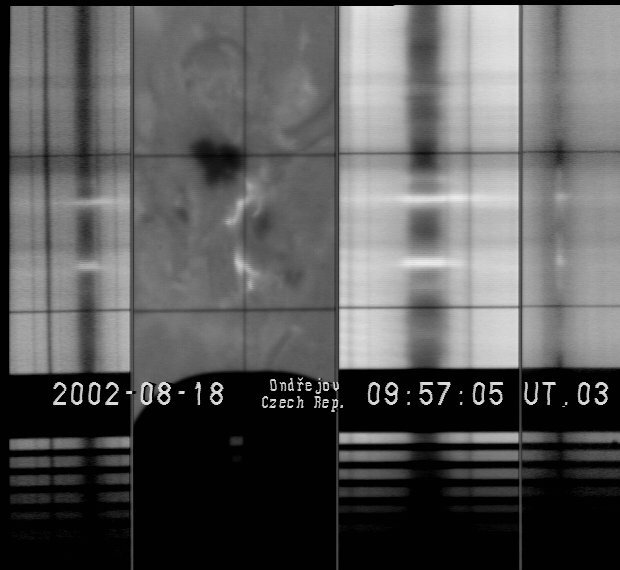 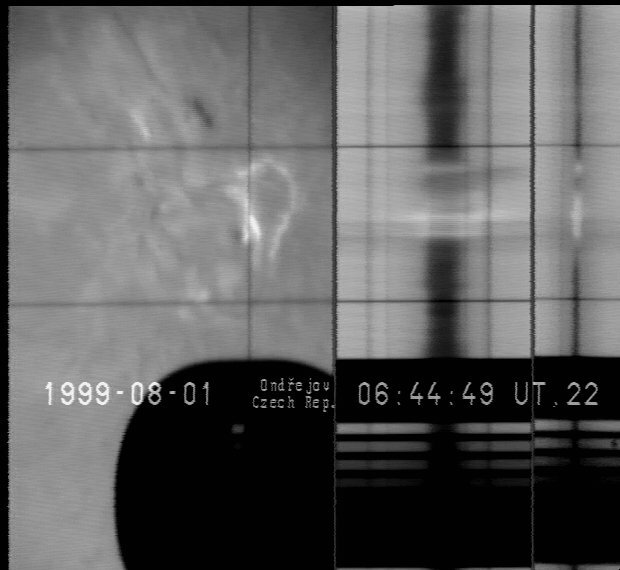 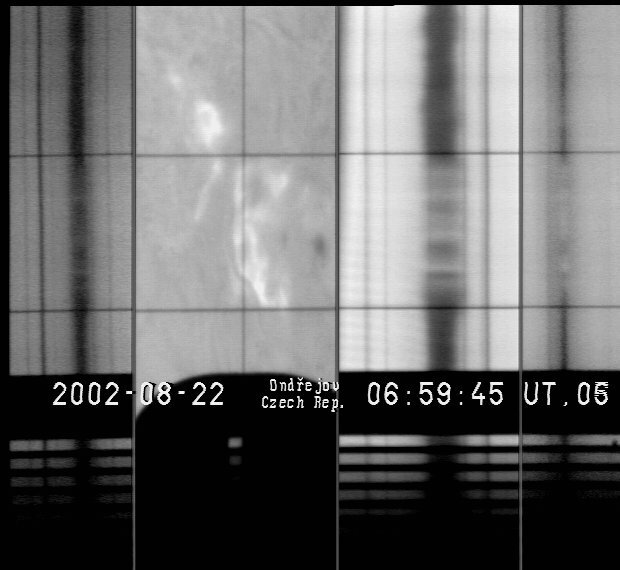 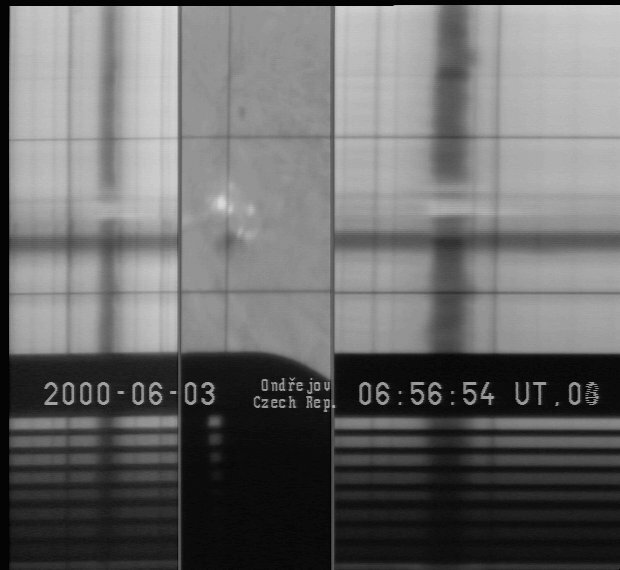 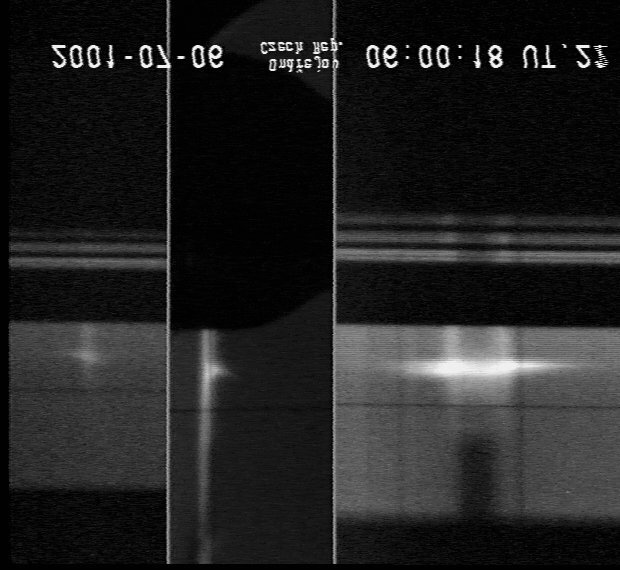 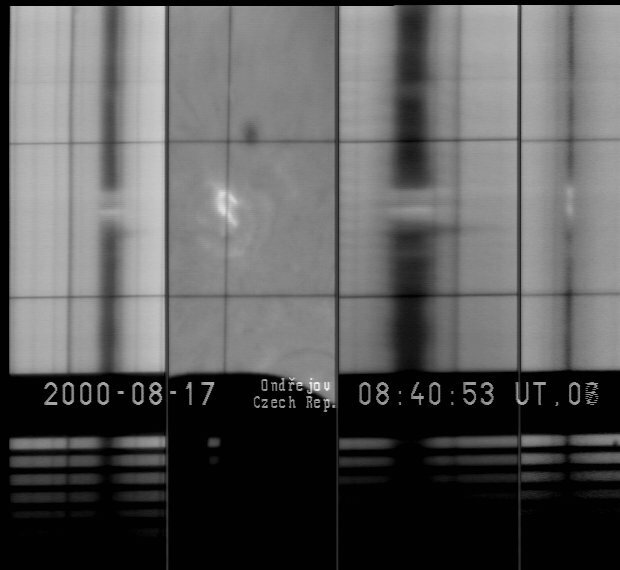 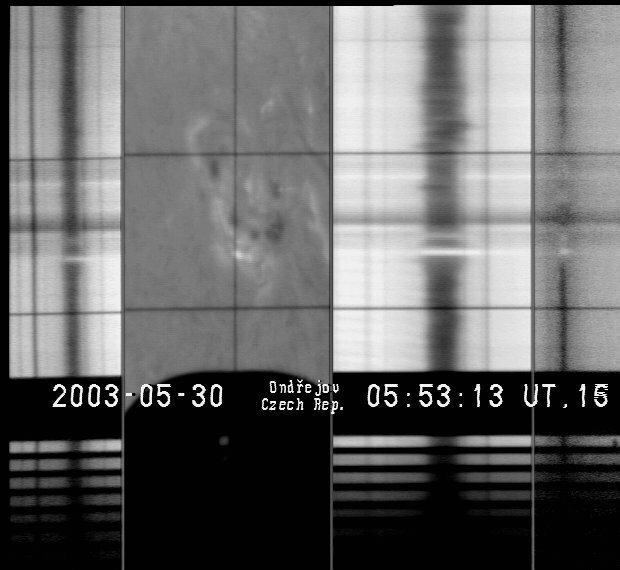 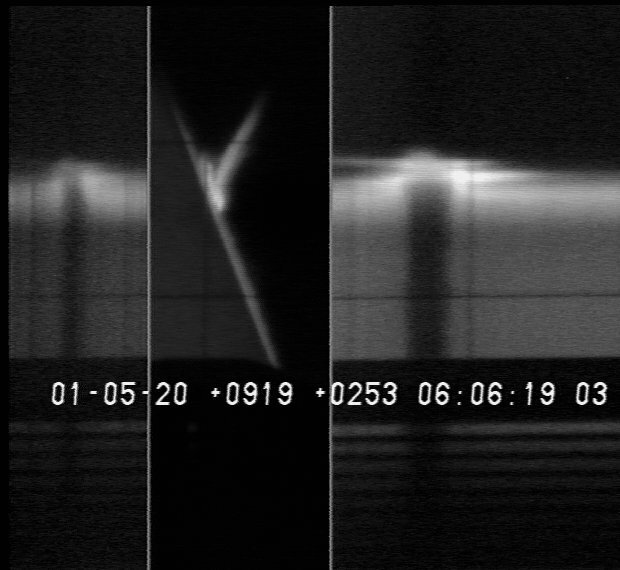 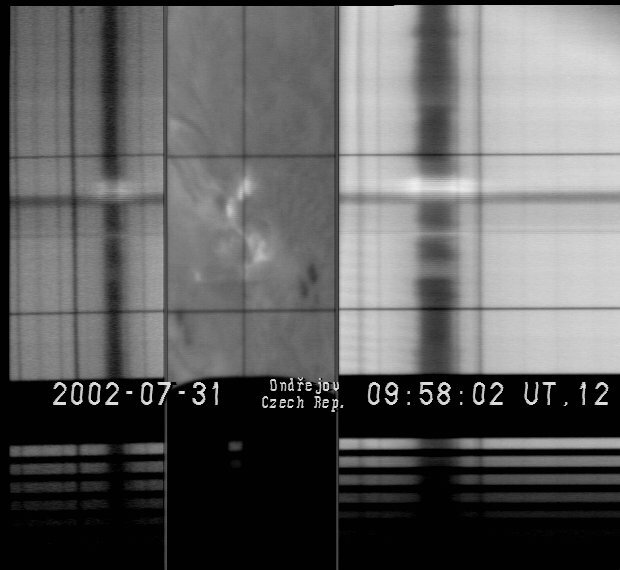 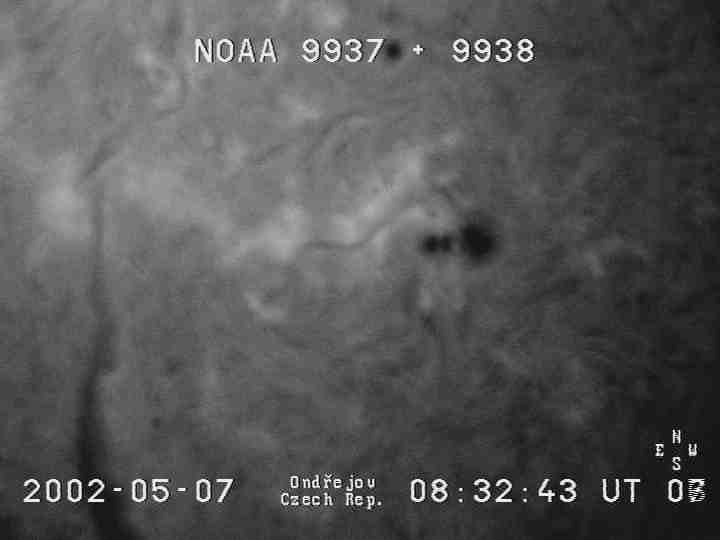 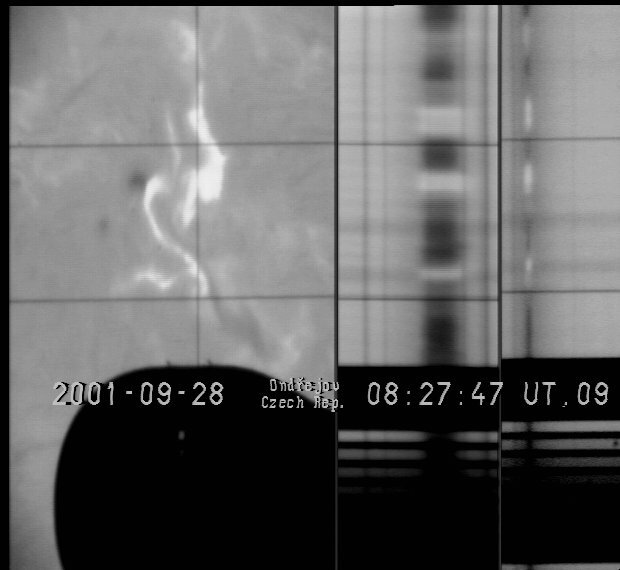 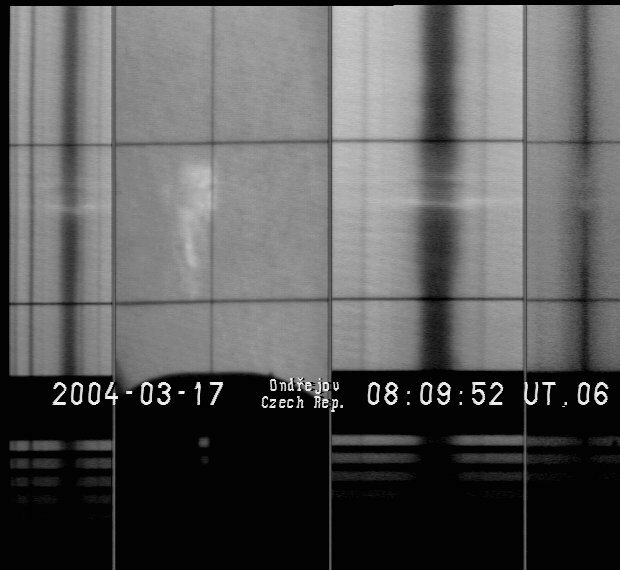 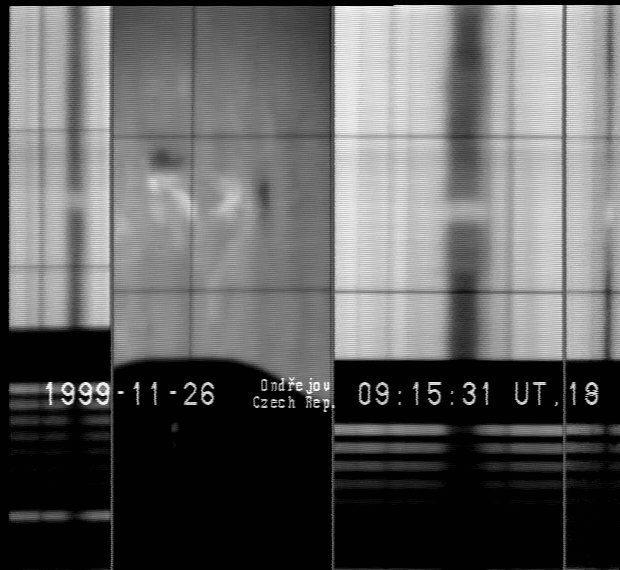 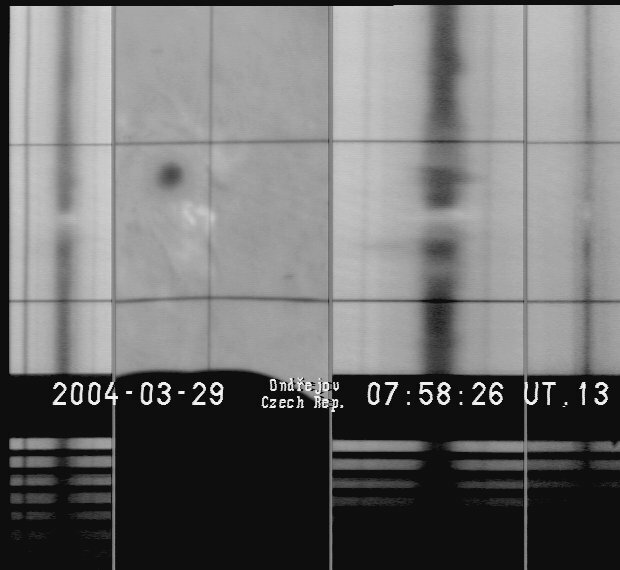 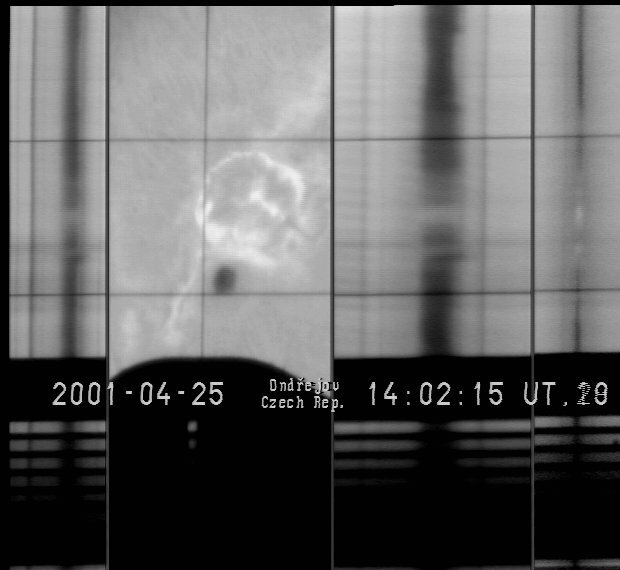 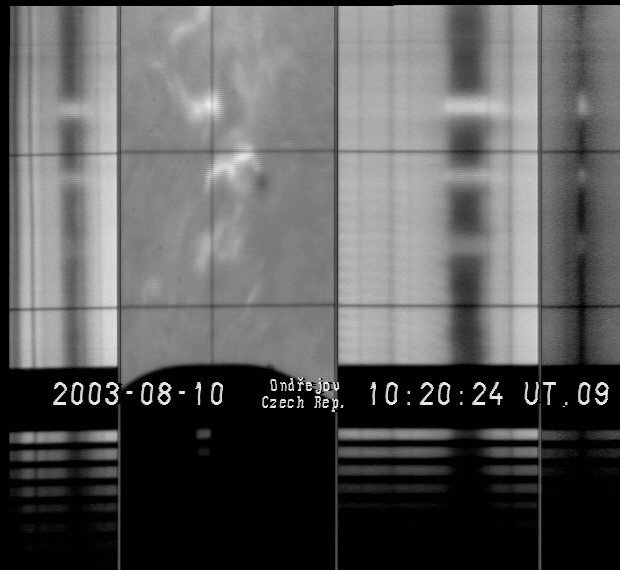 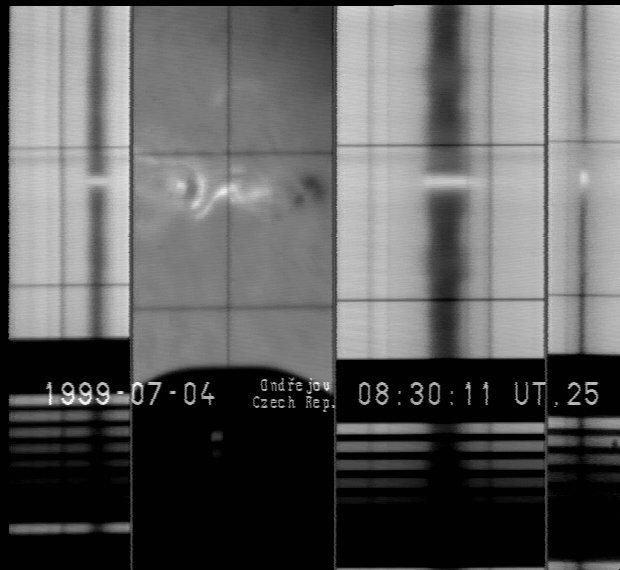 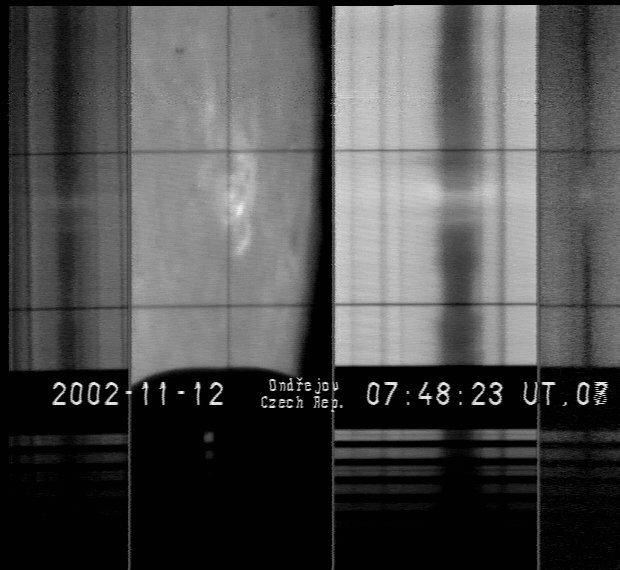 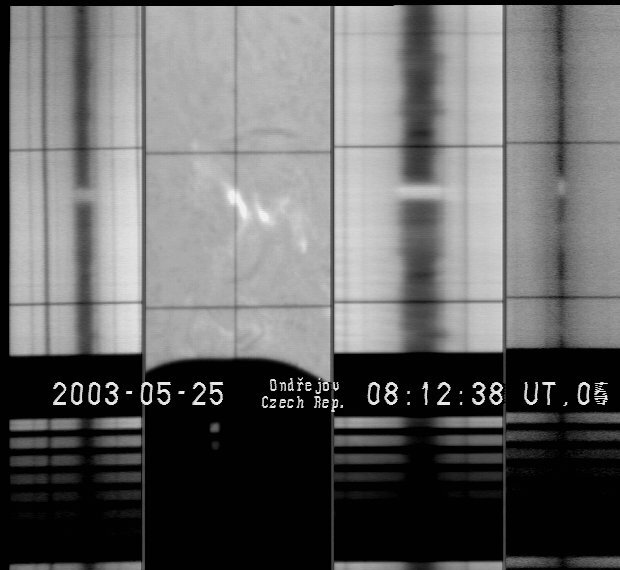 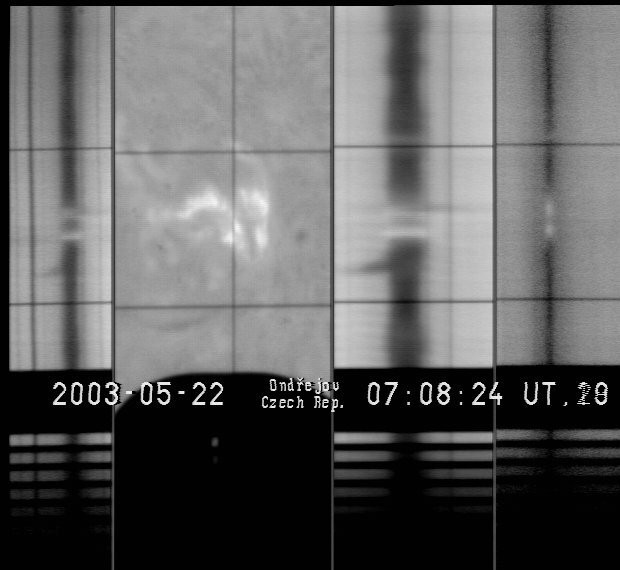 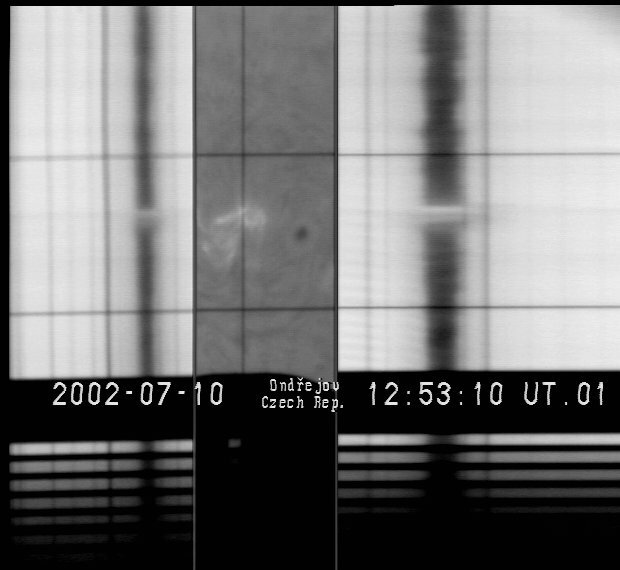 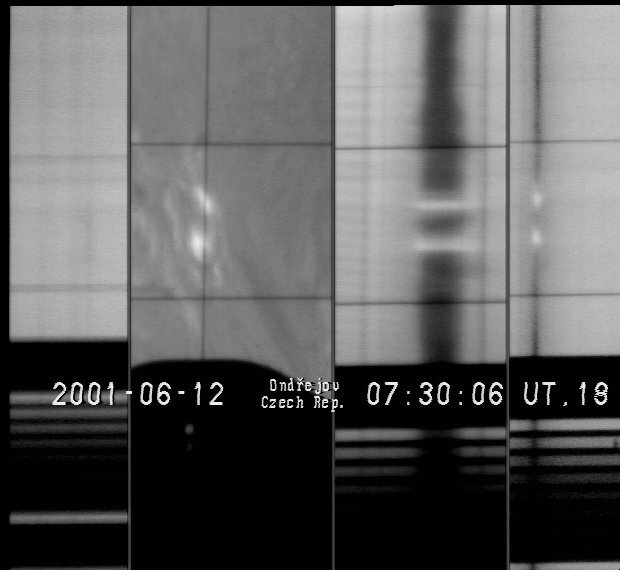 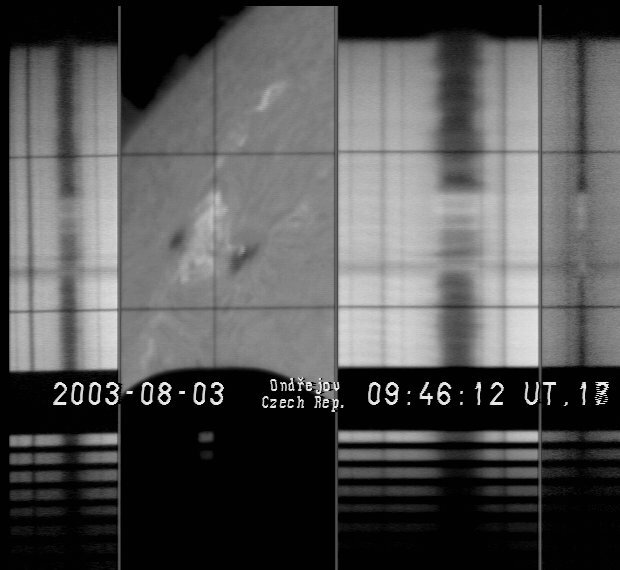 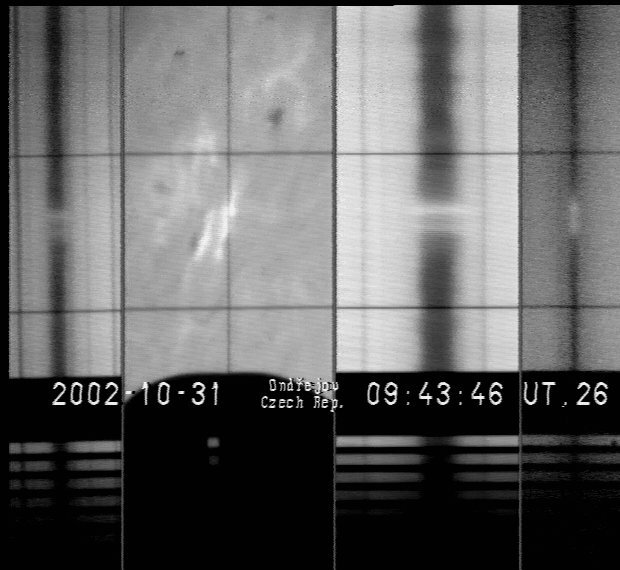 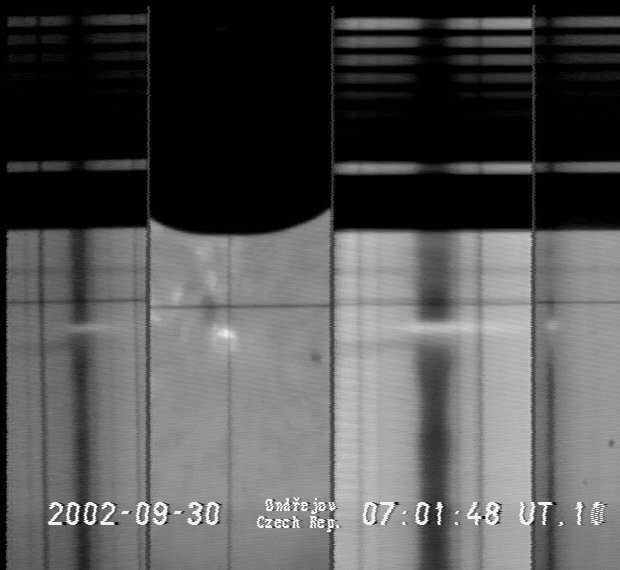 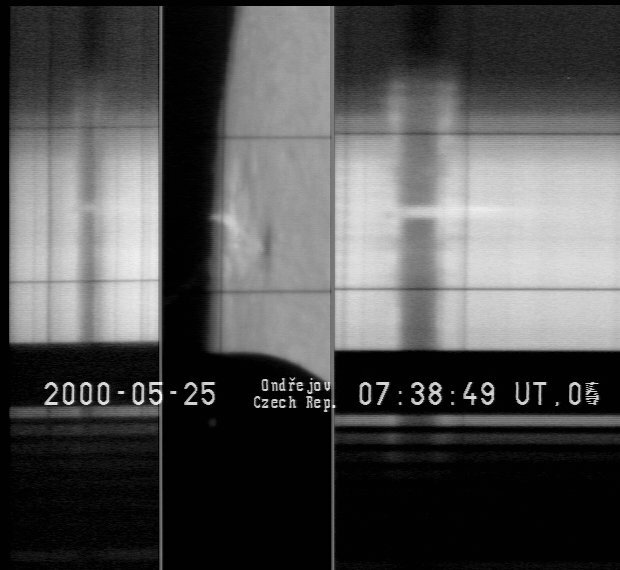 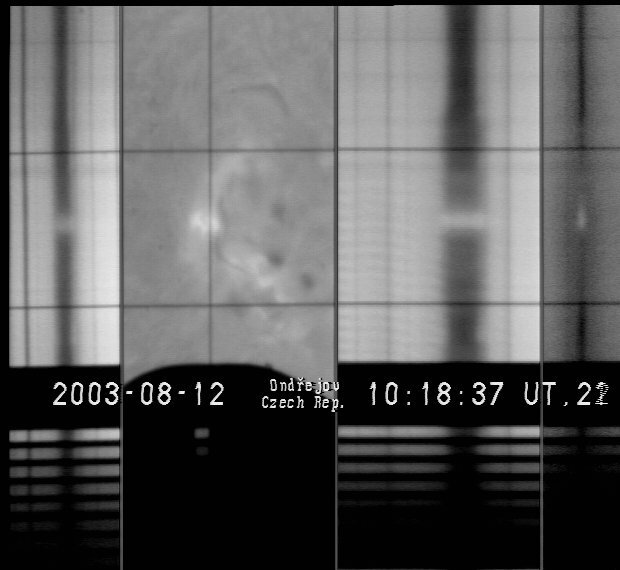 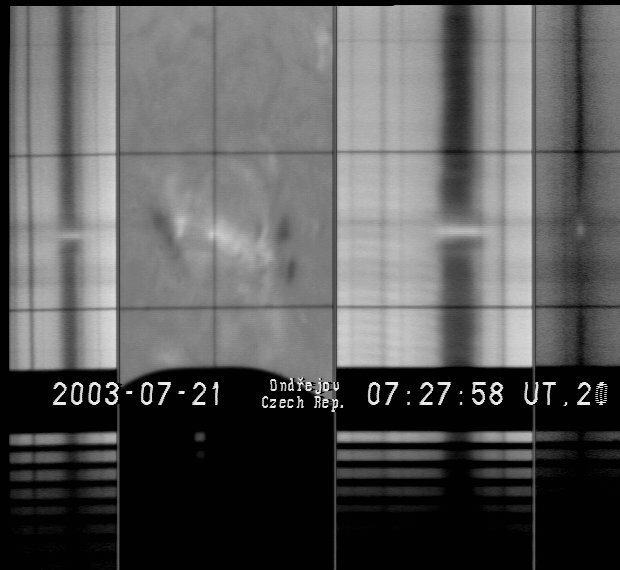 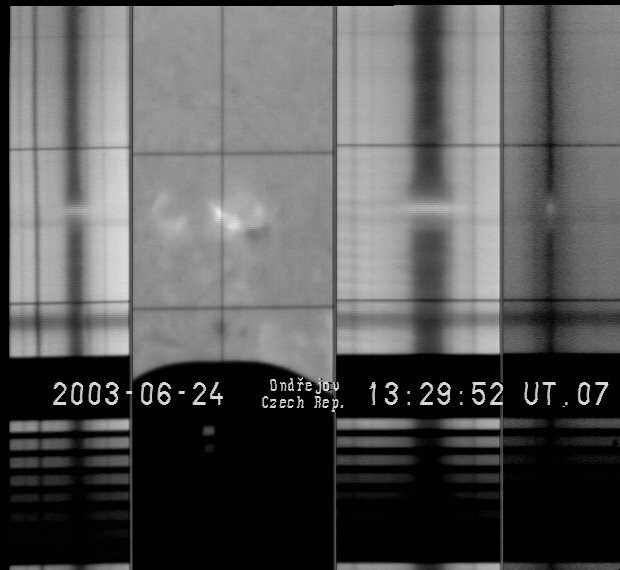 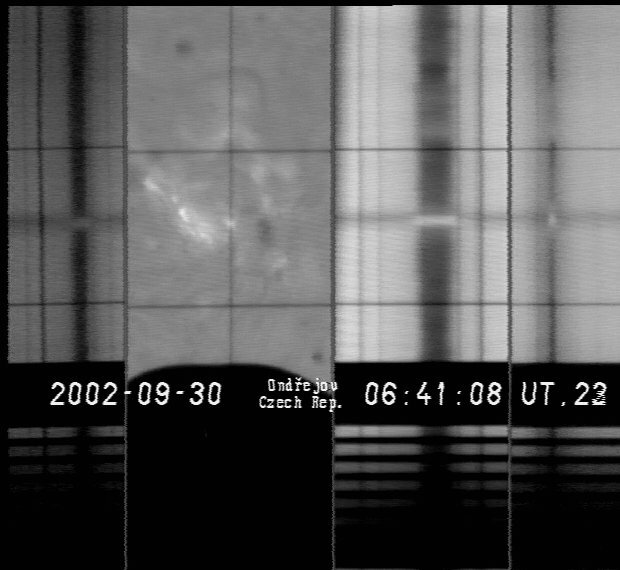 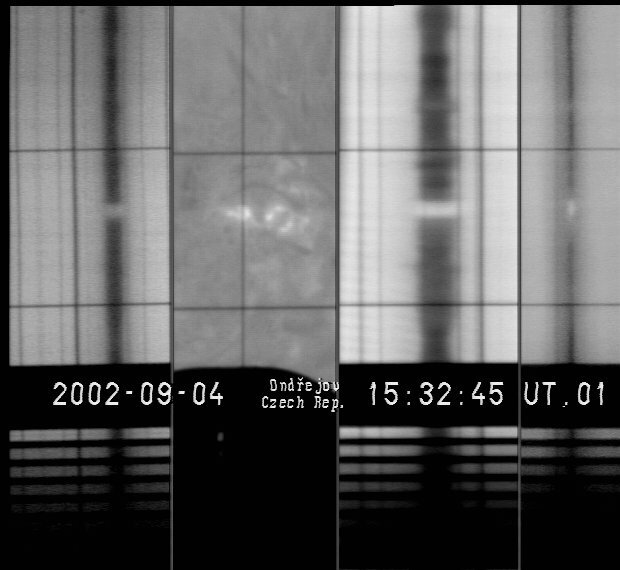 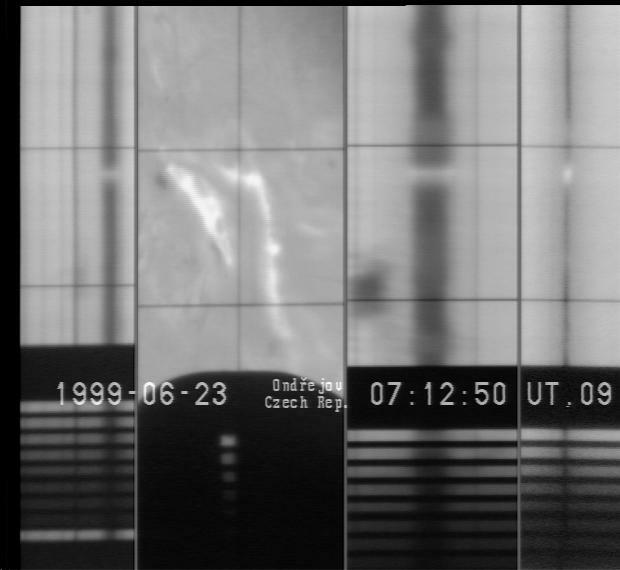 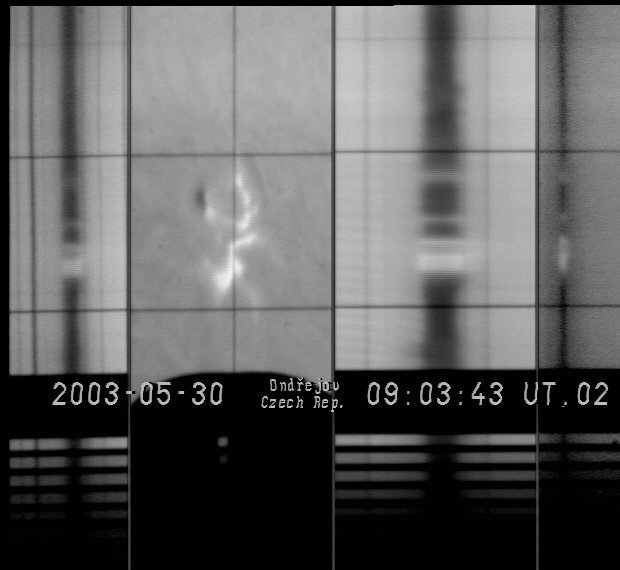 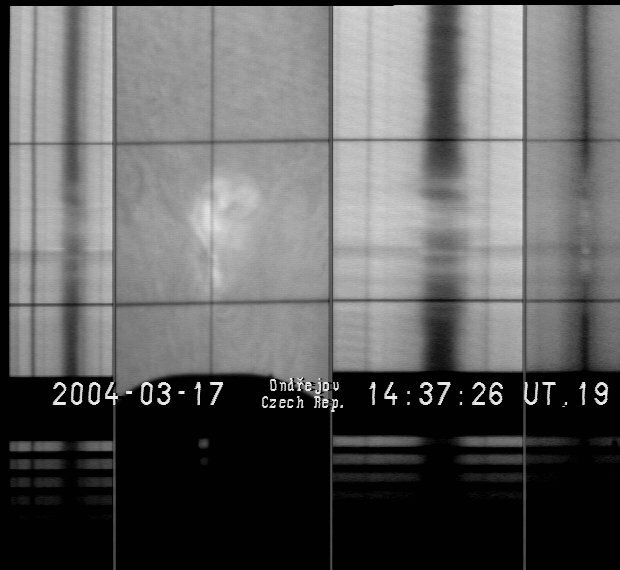 Kashapova L.K., Kotrč P., Kupryakov Yu.A.,:2011; On chromosperic response at the pre-CME phase of the 18 March 2003 solar flare, Cent.Eur.Astrophys. 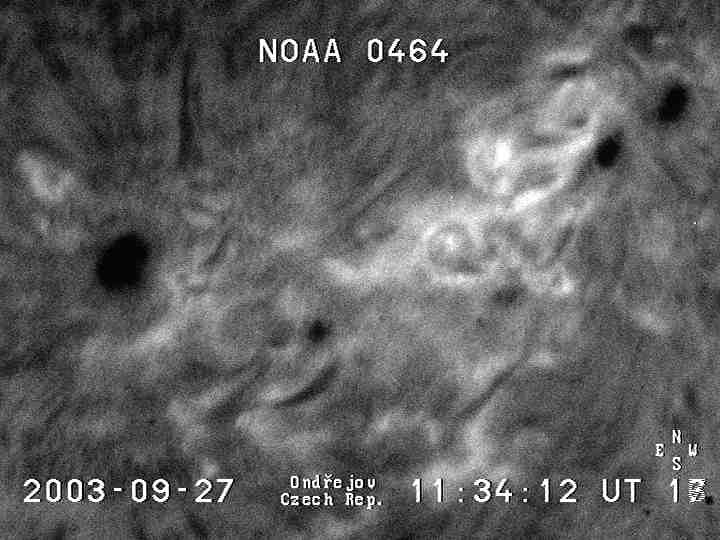 Bull.,vol 35, 2011,1 , pp 125-134. 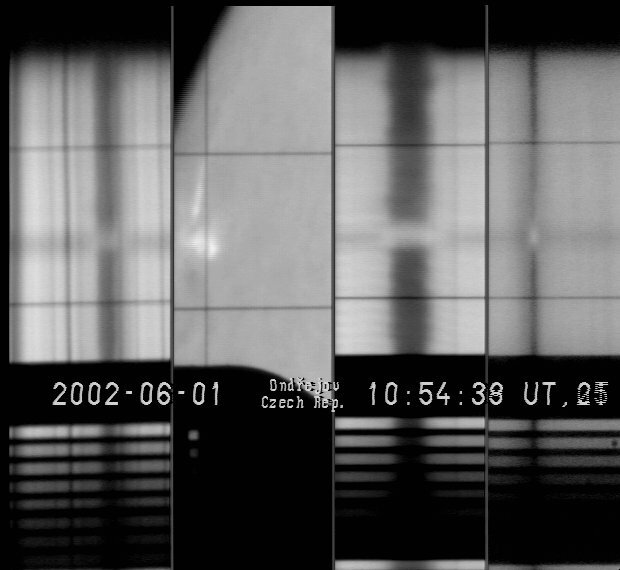 P. Kotrč, M. Barta, E. Dzifcakova, P. Schwartz, E. Havlickova , Yu. 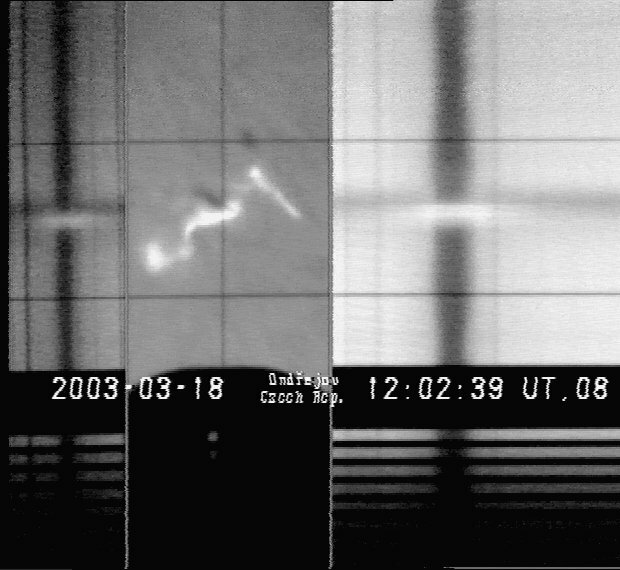 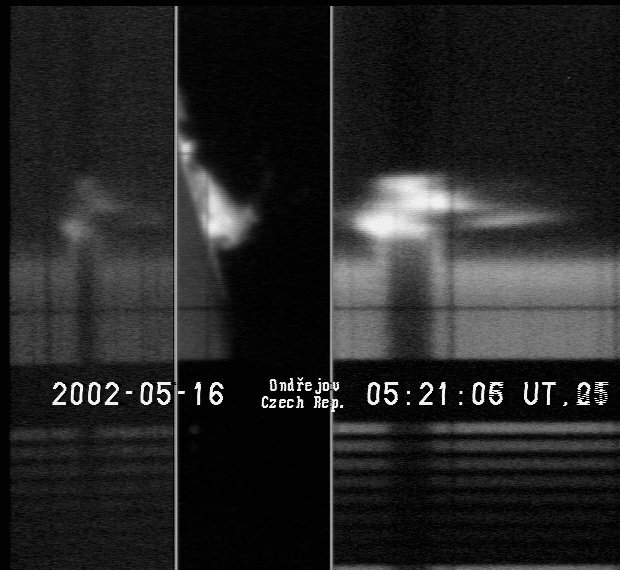 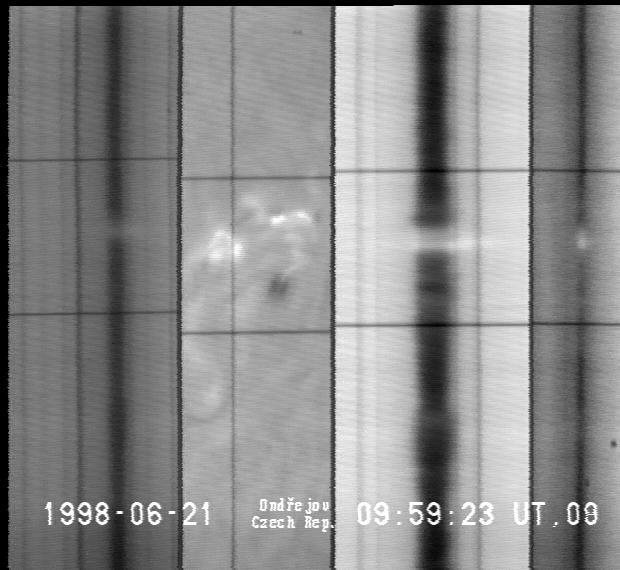 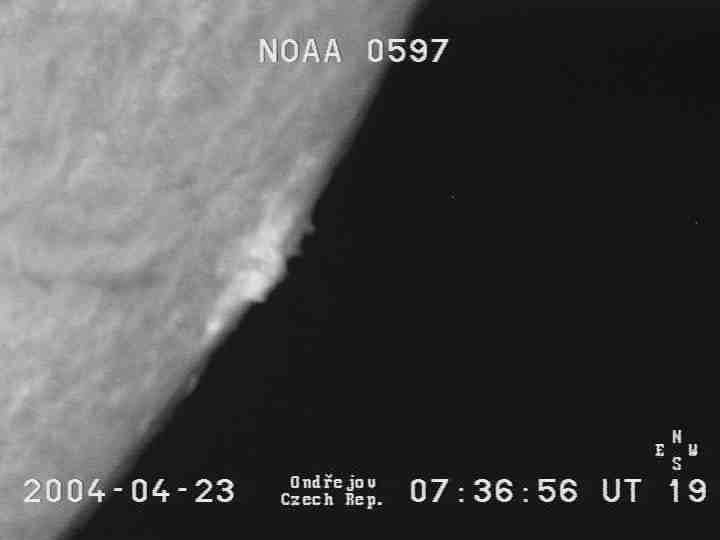 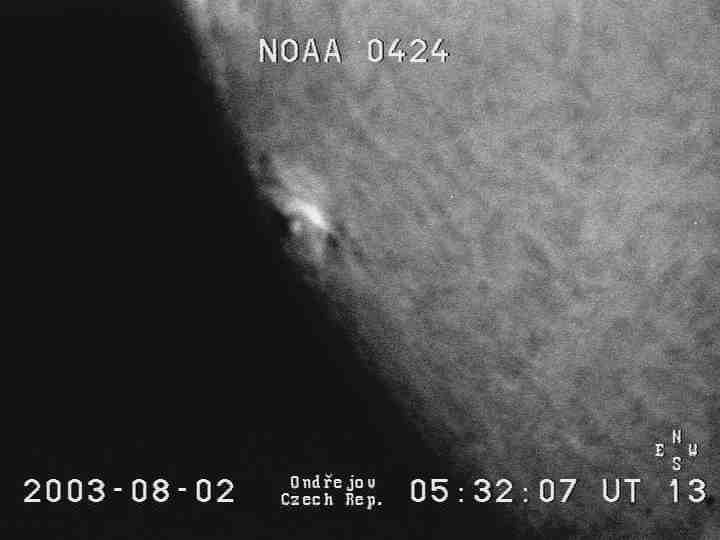 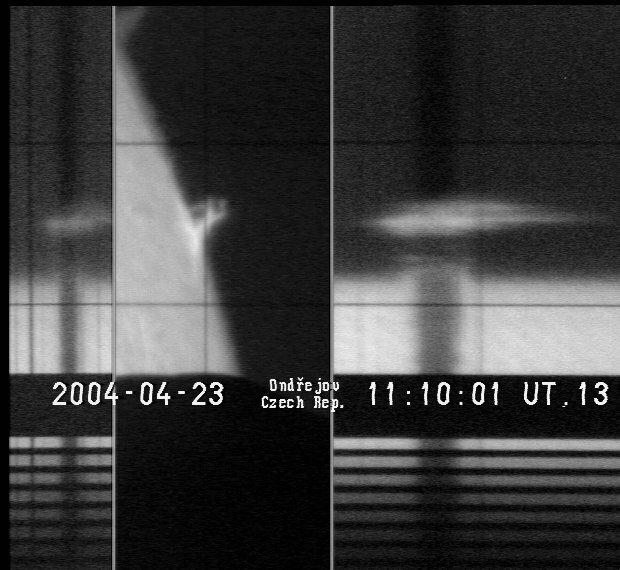 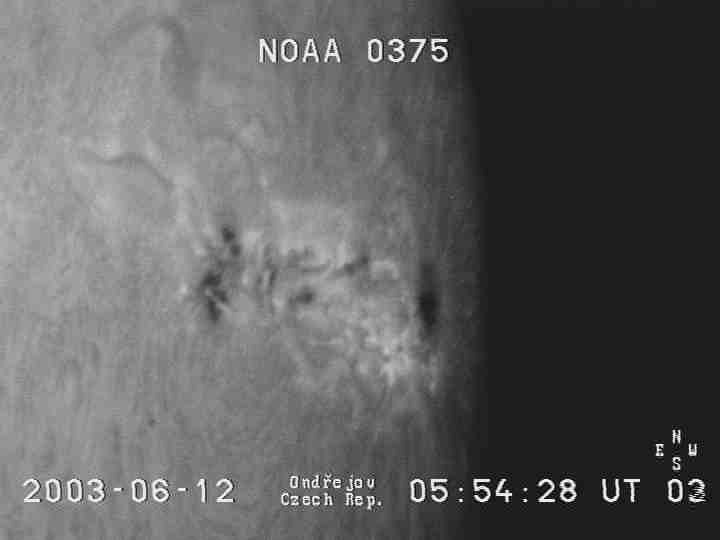 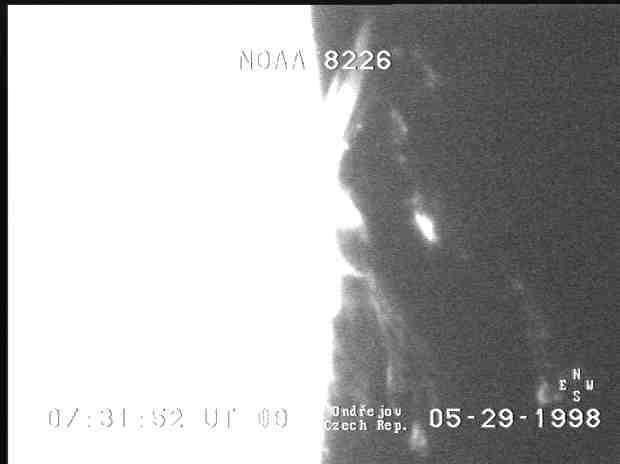 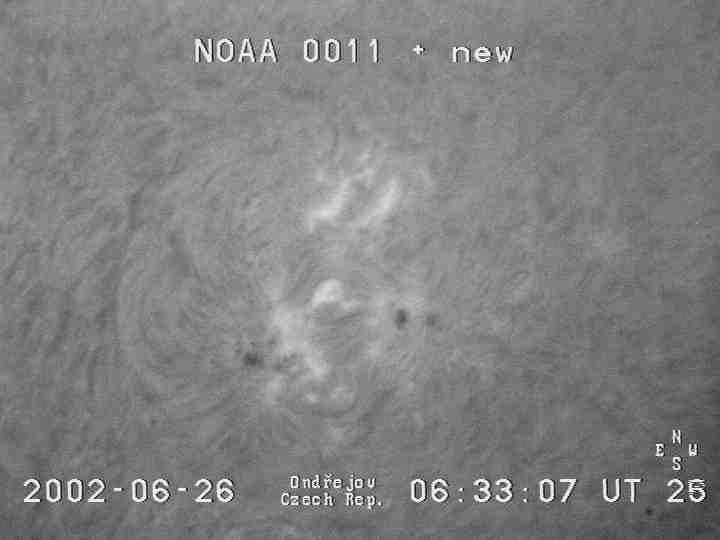 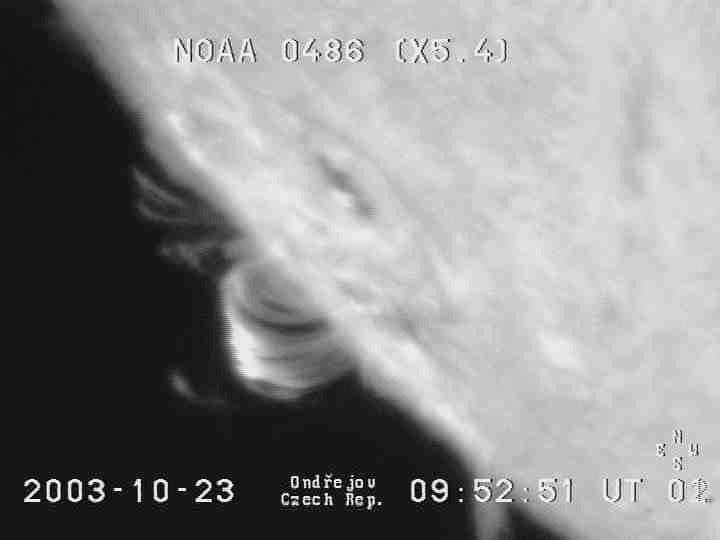 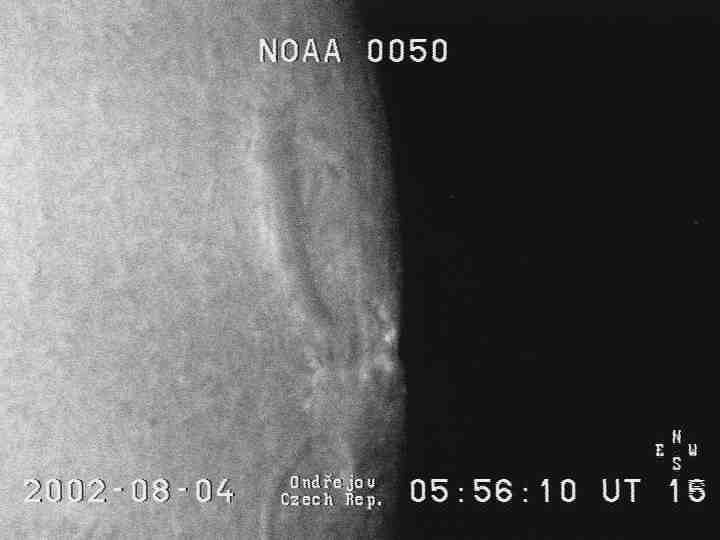 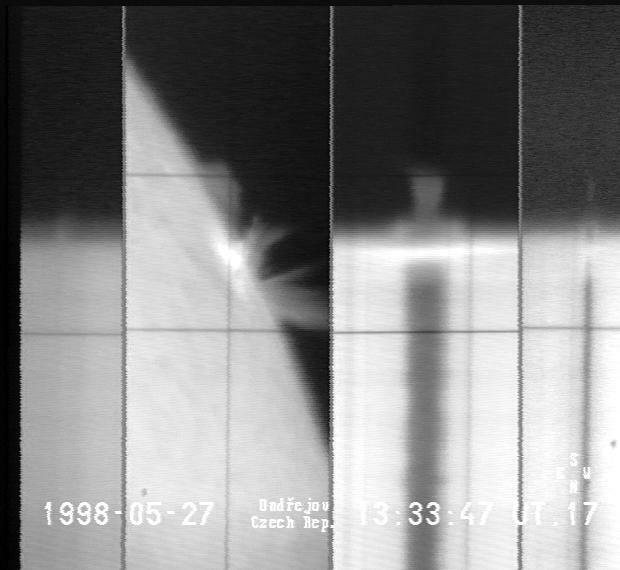 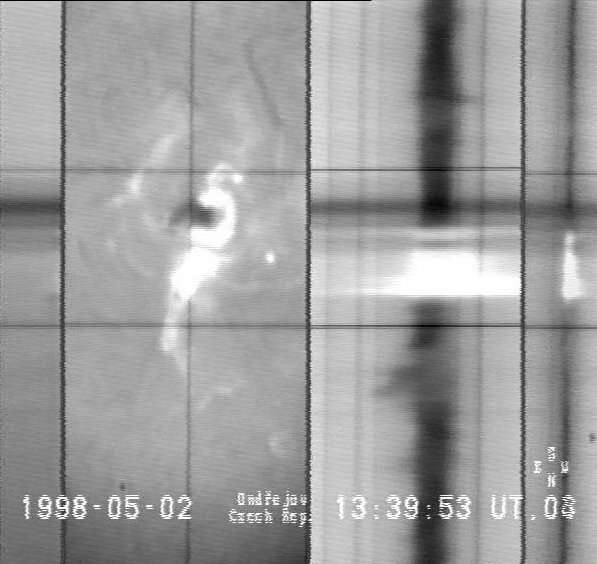 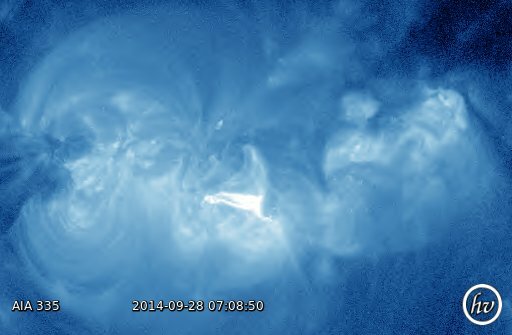 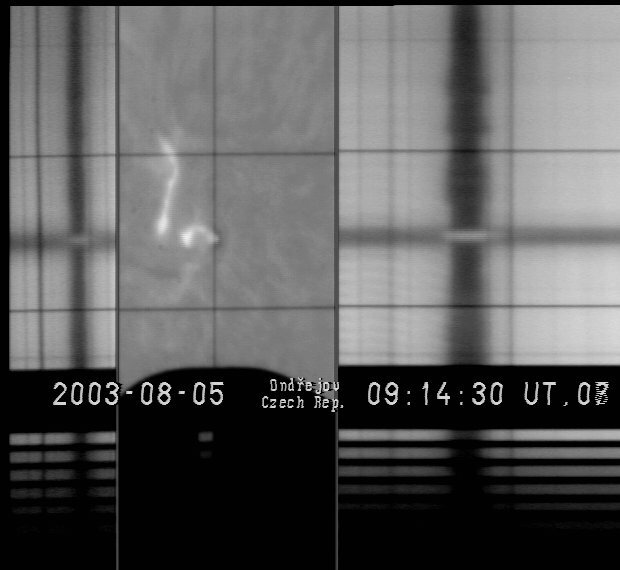 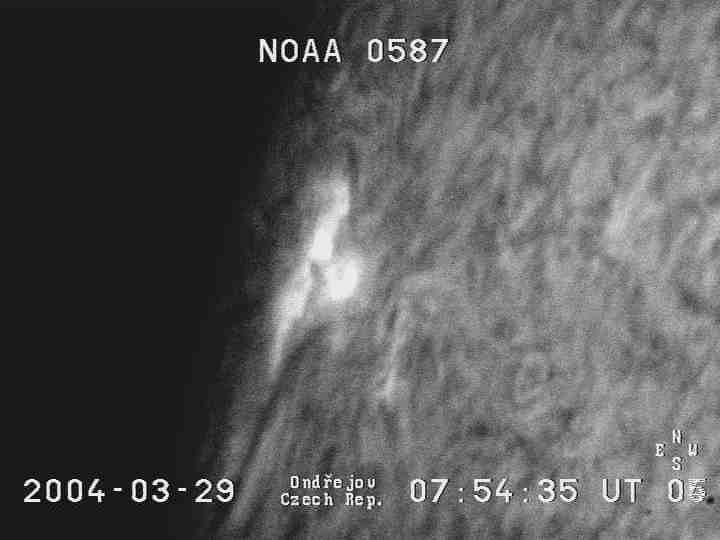 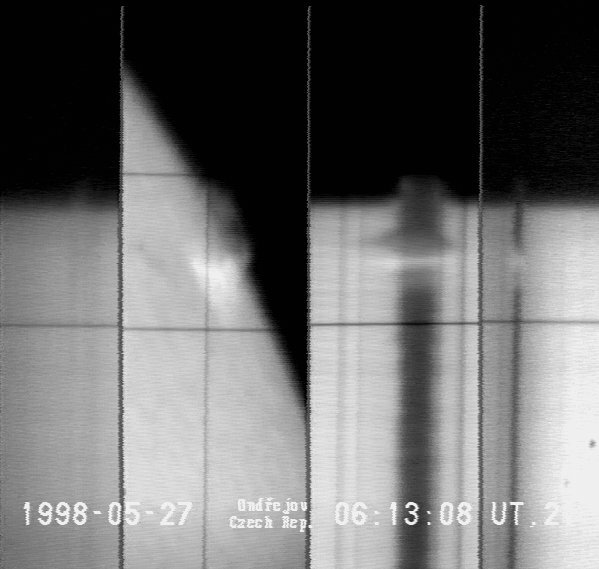 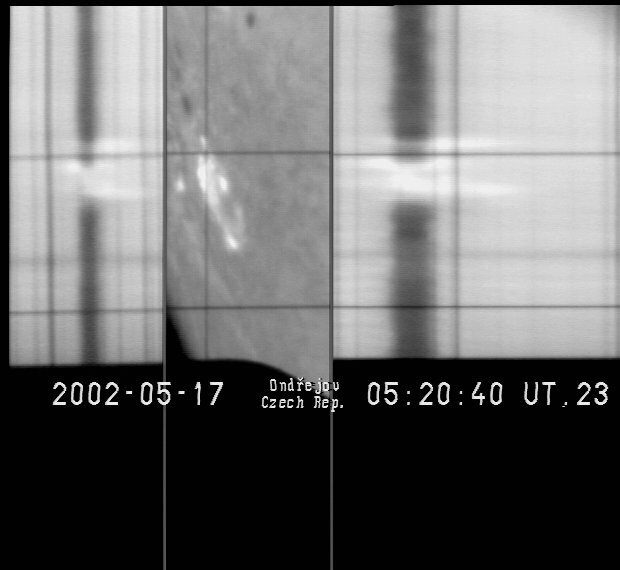 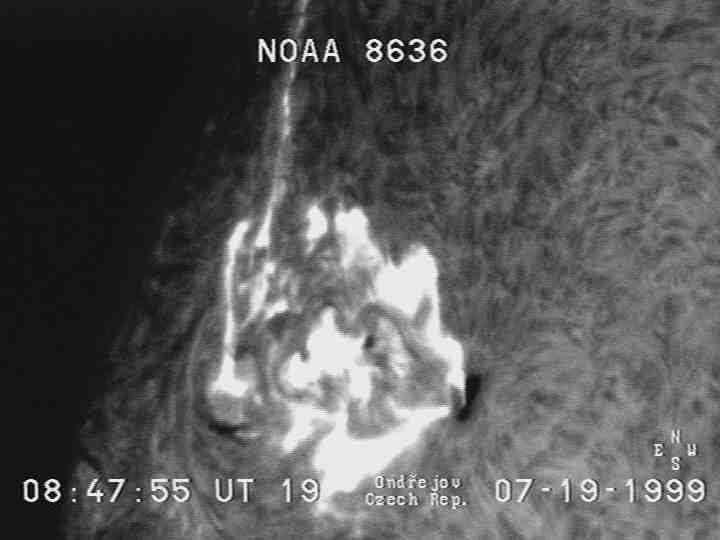 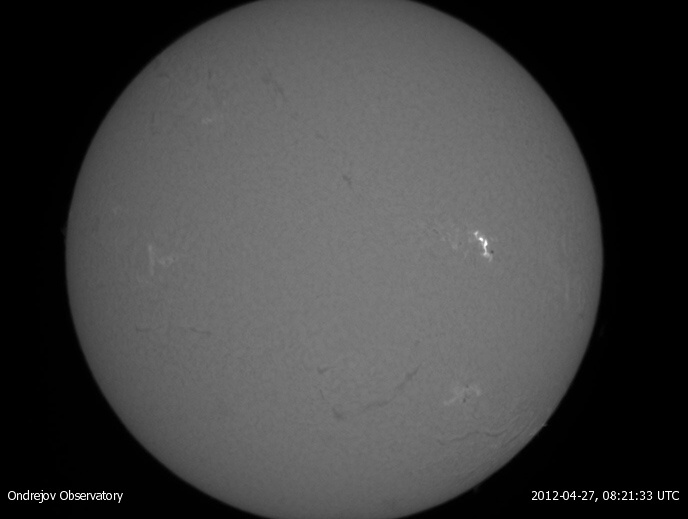 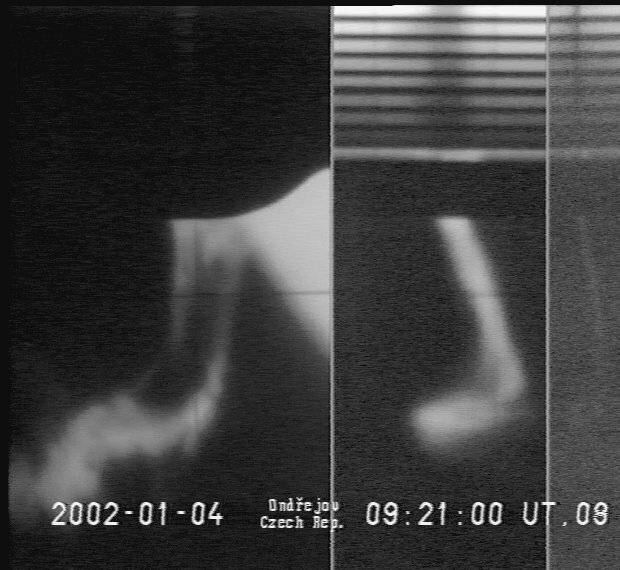 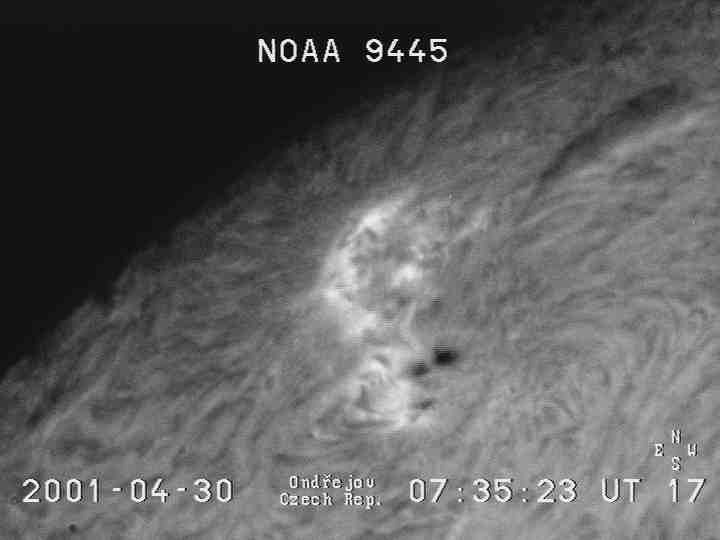 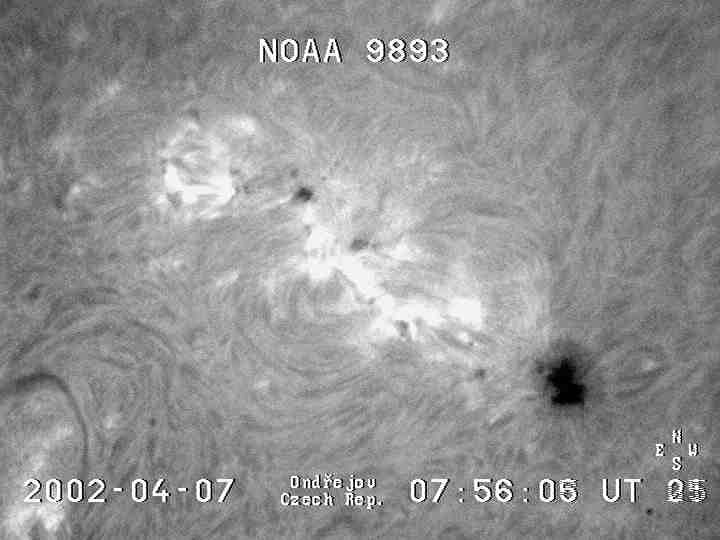 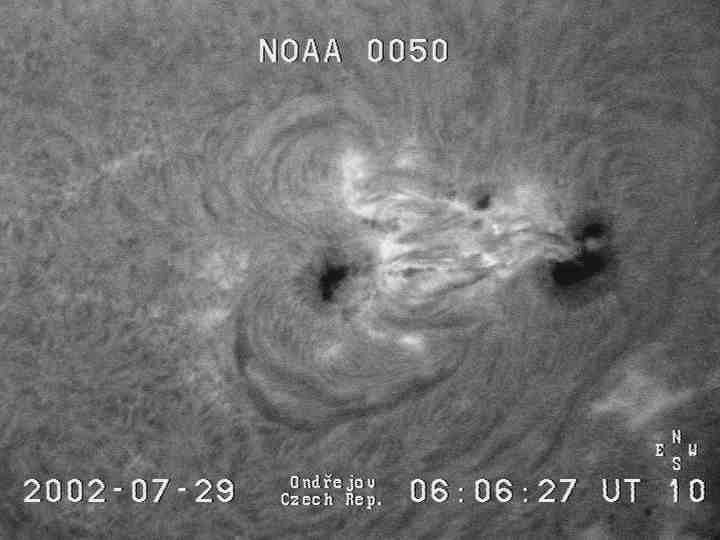 A. Kupryakov and L. K. Kashapova: Limb flare on 4 August 2002, 4-th SOLAIRE Network Meeting, Teistungen , Germany, May 10-13, 2011. 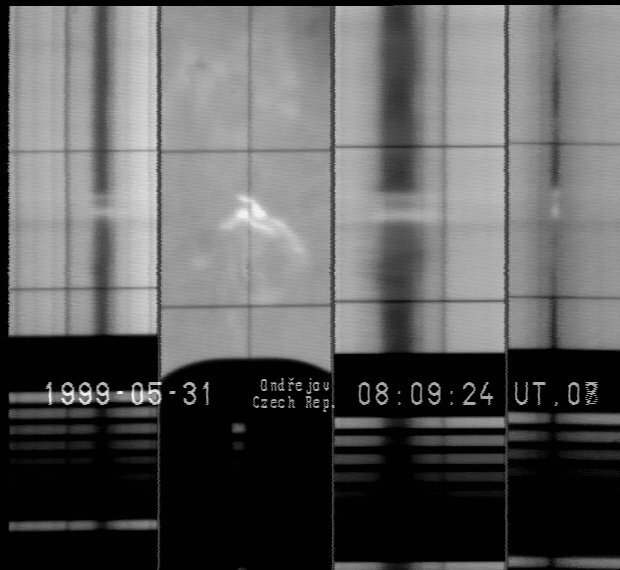 P. Kotrč, Yu. 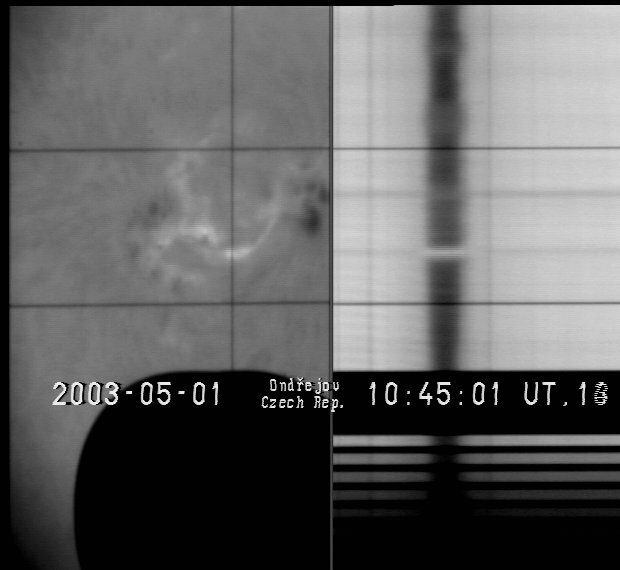 A. Kupryakov: Multi-wavelength study of eruptive and active prominences, The Fifth Coronal Loops Workshop, Palma (Mallorca), Spain, June 29-July 2, 2011. 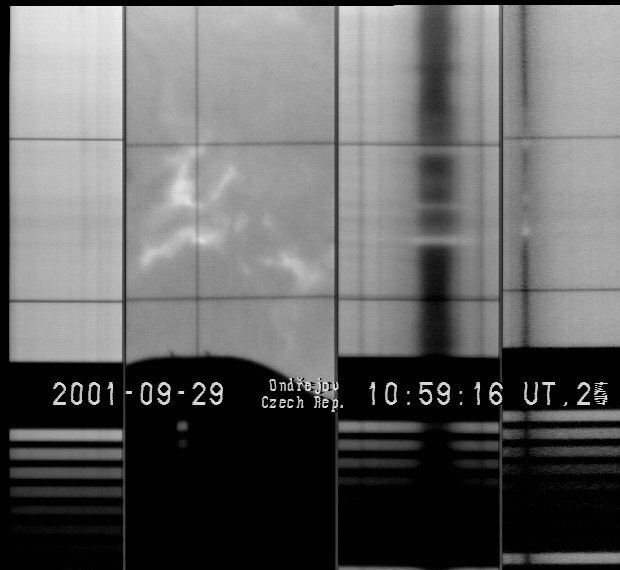 P. Kotrč, M. Barta, P. Schwartz, Yu.A. 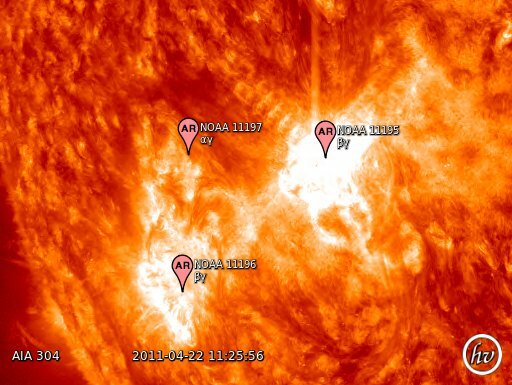 Kupryakov and N. Nishizuka: Modelling of H-alpha eruptive events observed at the solar limb, 13th European Solar Physics Meeting, Rhodes, Greece, 12-16 September 2011. 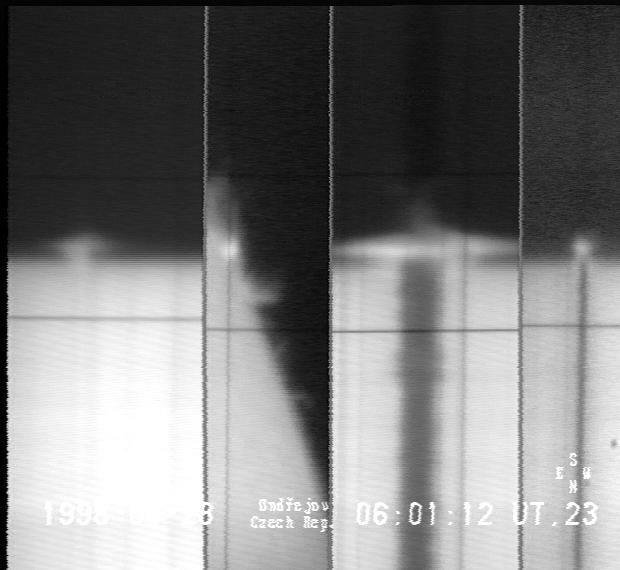 Yu. 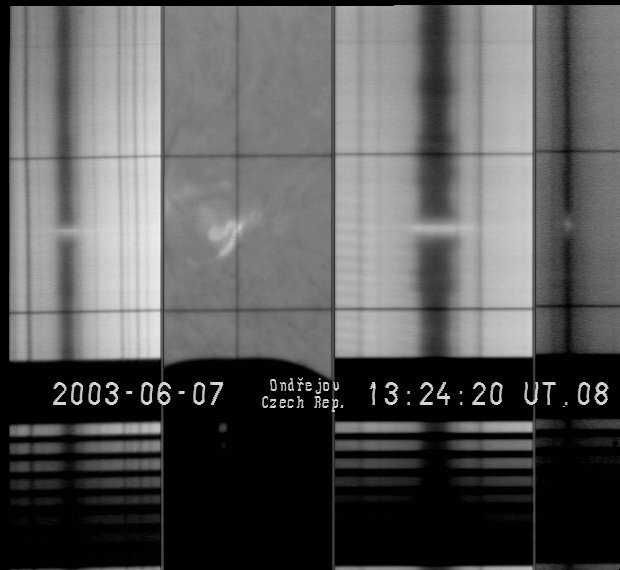 Kuprjakov, S. Dyckova, P. Heinzel, E. Markova, P. Kotrc: 2013; Solar flare light-curve observations, XVI Consultations on Solar Physics, 22-24 May 2013, Astronomical Institute of the University of Wroclaw, Wroclaw, Poland. 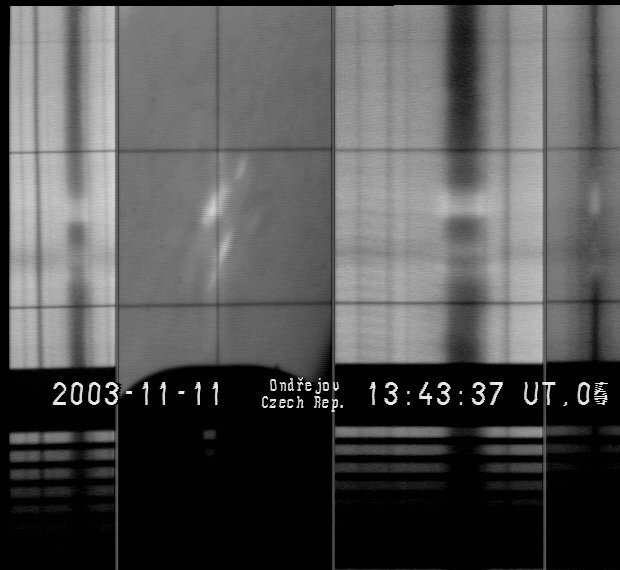 P. Kotrc, J.A. 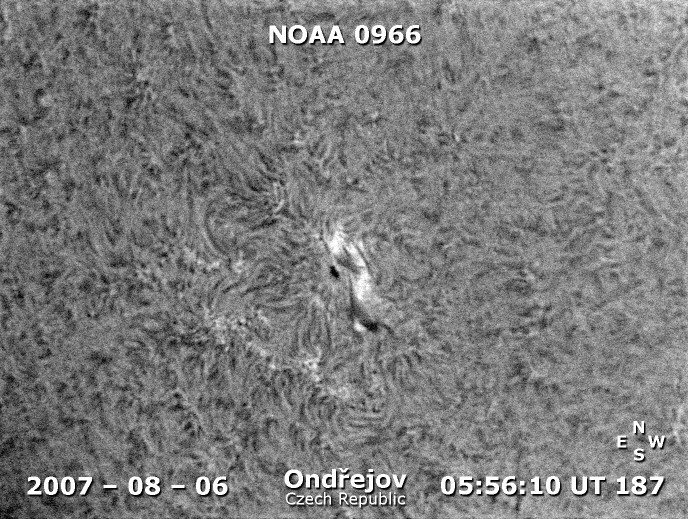 Kuprjakov, L.K. 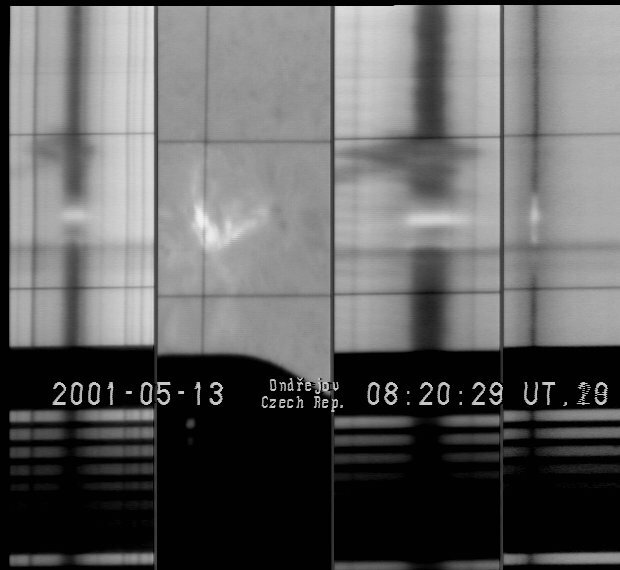 Kashapova, N. Nishizuka, M. Leintzinger, V. Sebelik, J. Zak: 2013; On the Solar Eruptive Event on June 7, 2011, XVI Consultations on Solar Physics, 22-24 May 2013, Astronomical Institute of the University of Wroclaw, Wroclaw, Poland. 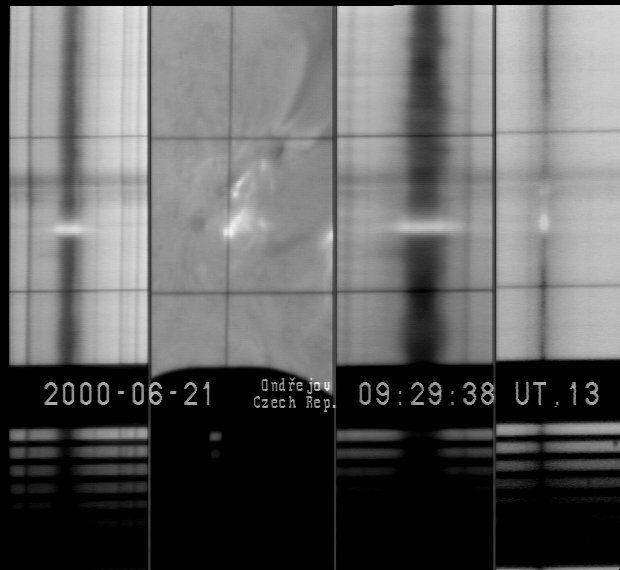 Pavol Schwartz, Petr Heinzel, Frantisek Farnik, Yura Kupryakov, Pavel Kotrc, Edward DeLuca, Leon Golub: 2013; Total mass loading of prominences estimated from their multi-spectral observations, IAU Symposium 300, Nature of Prominences and their role in Space Weather,10-14 June 2013, Paris, France.